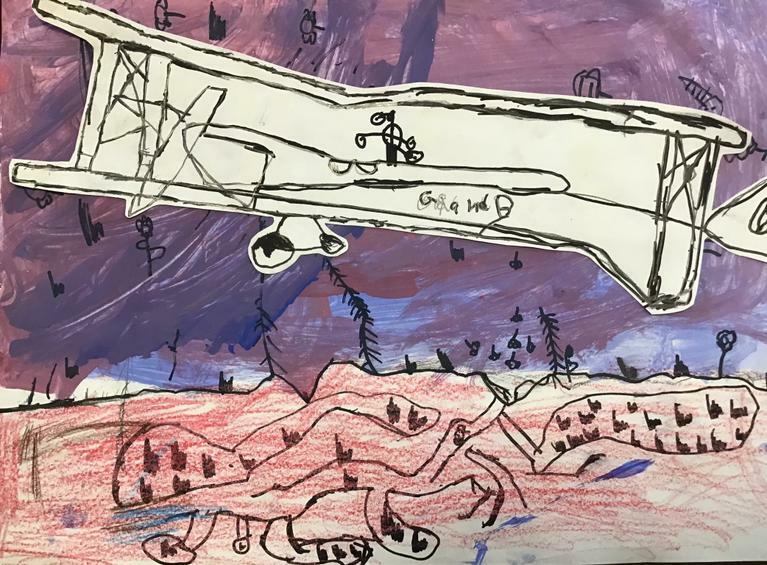 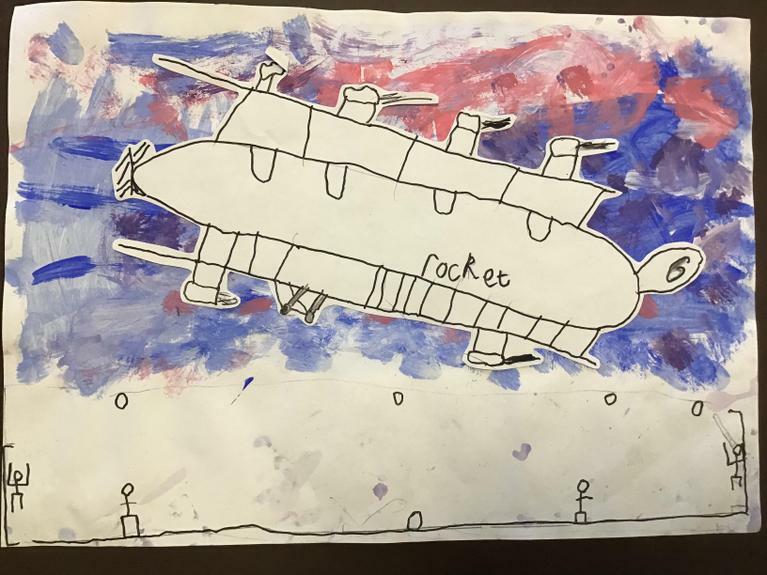 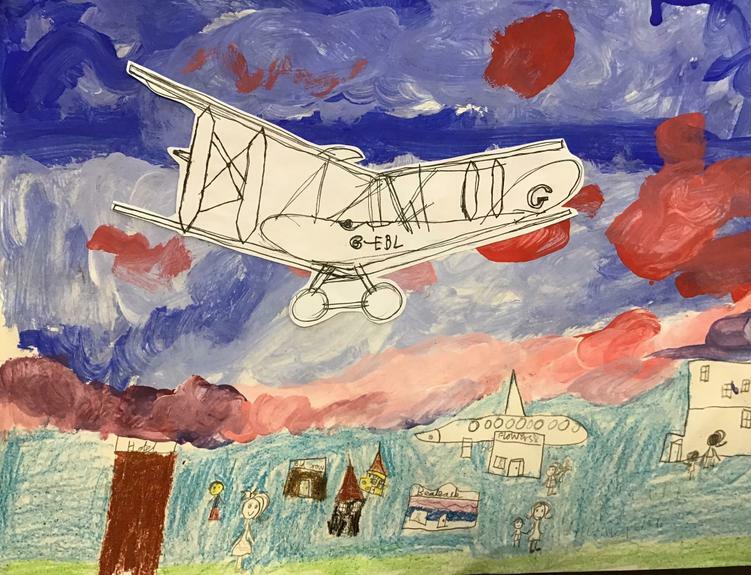 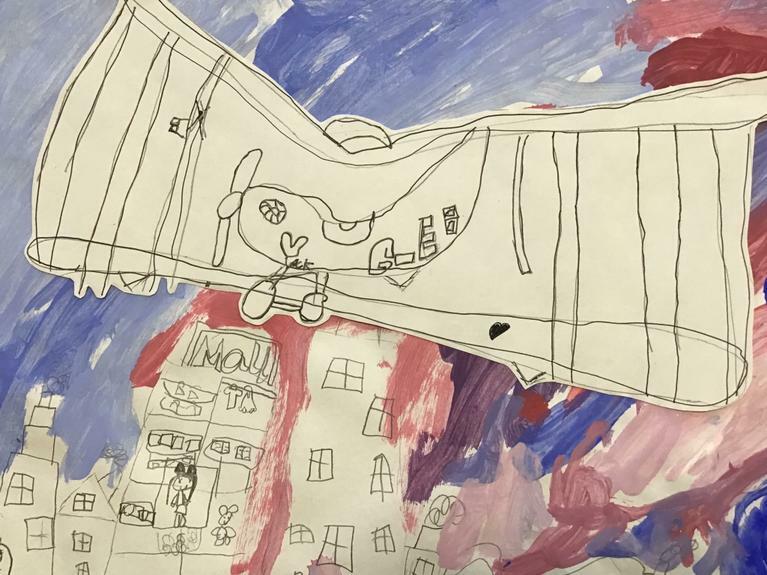 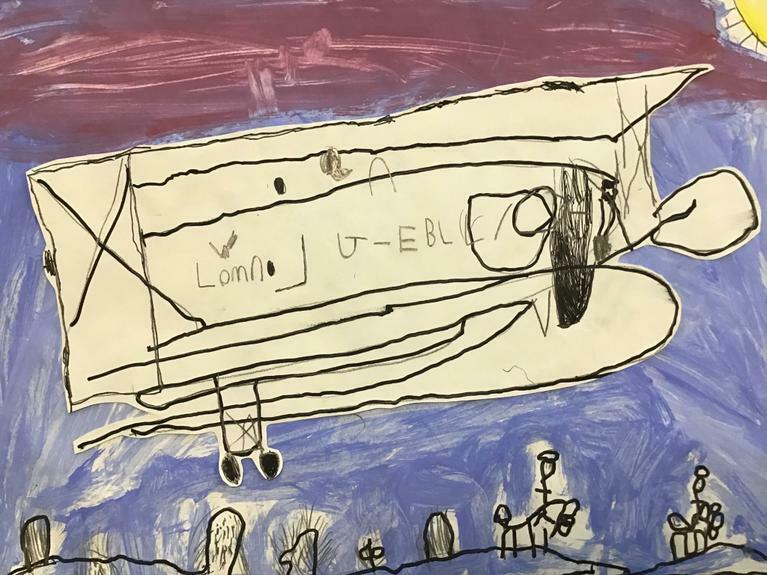 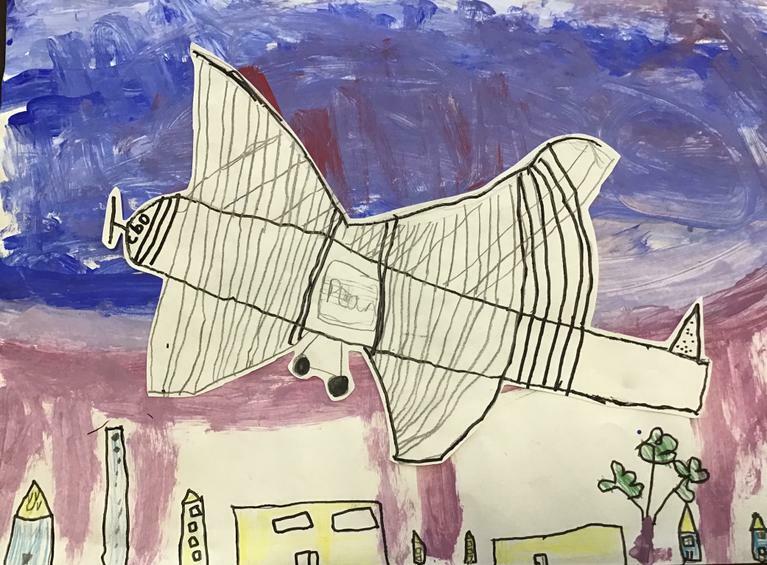 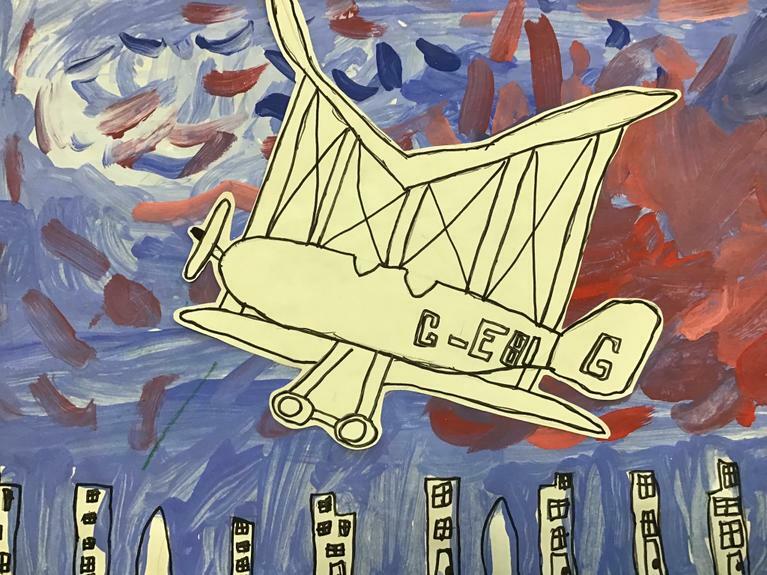 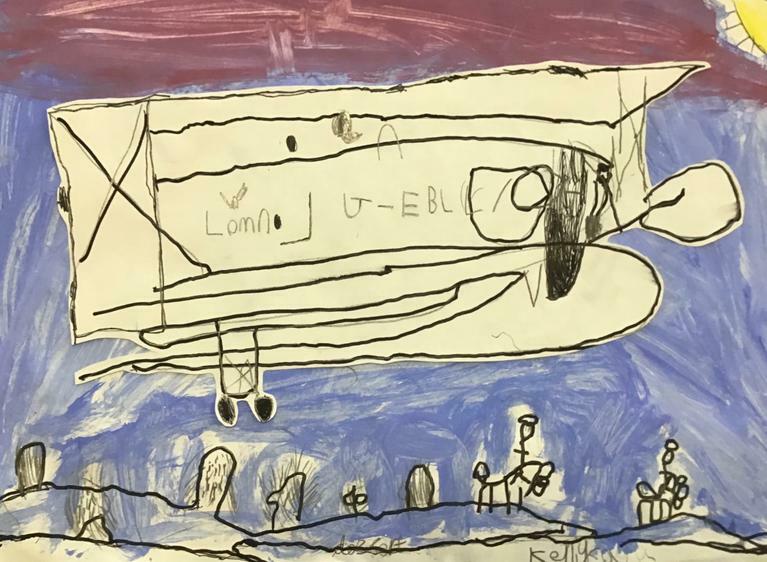 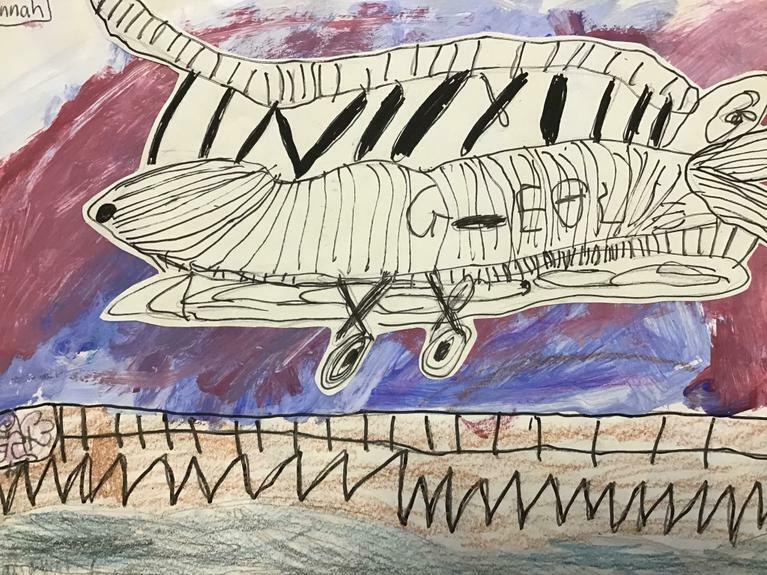 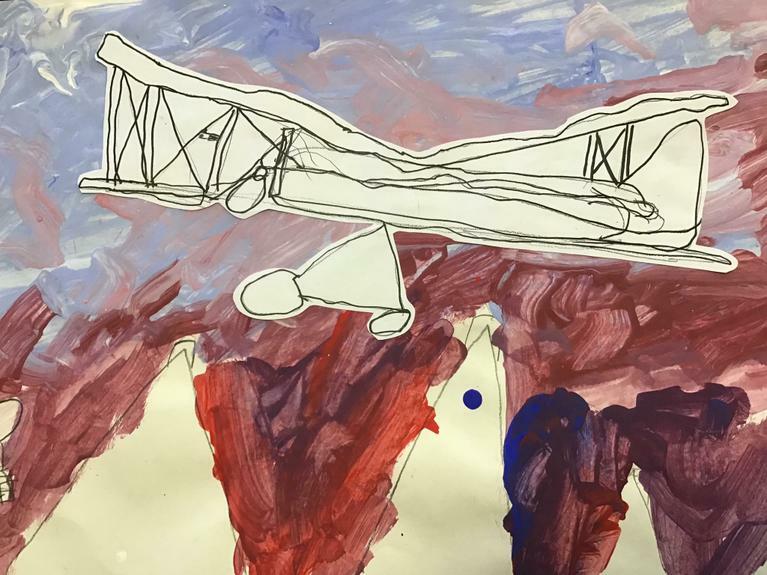 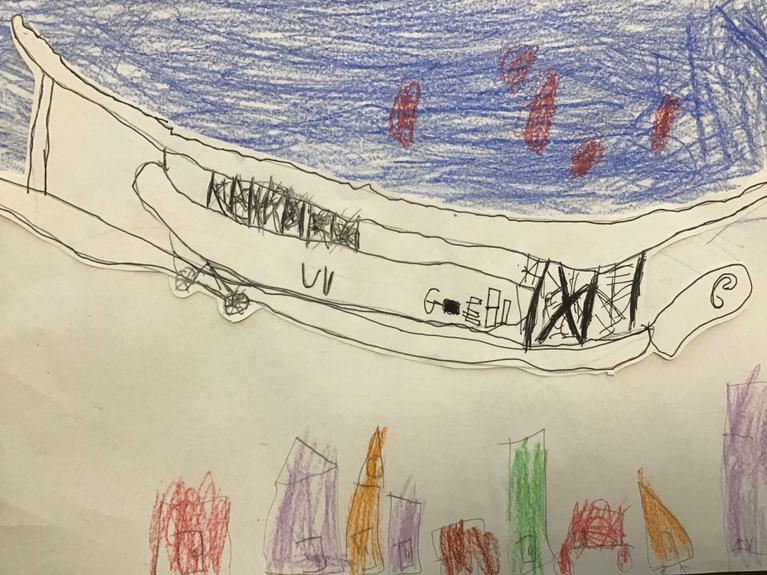 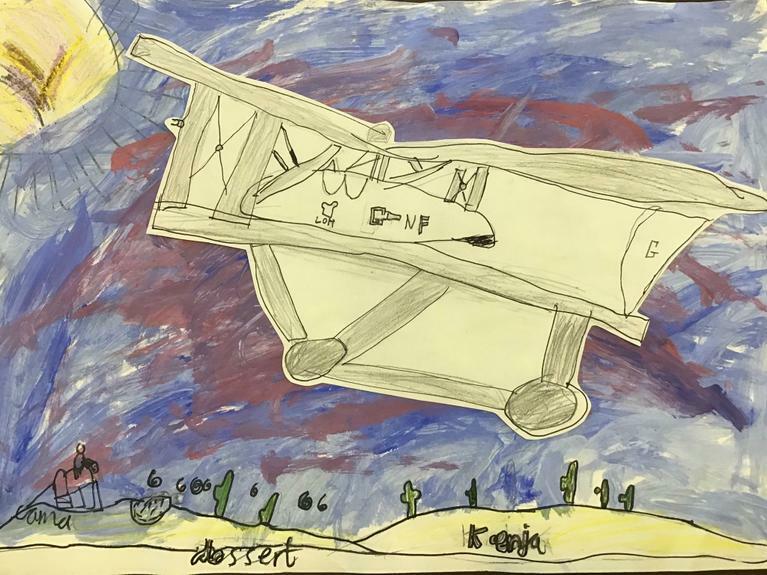 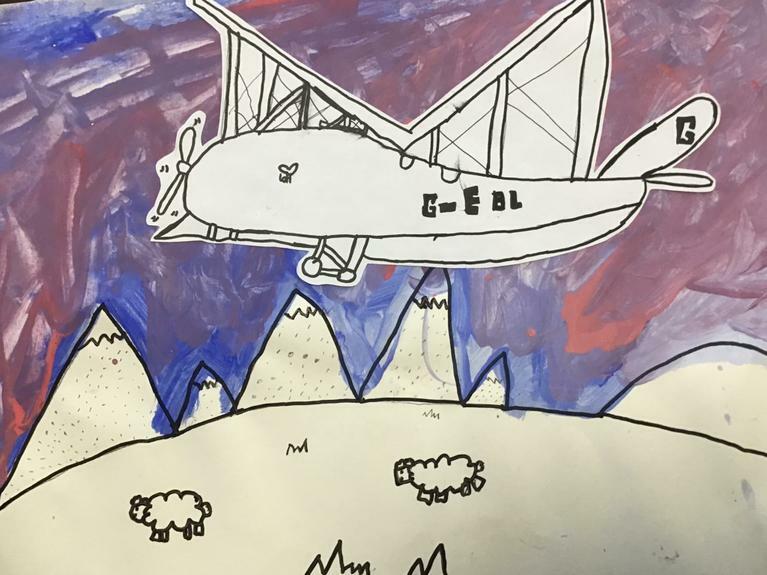 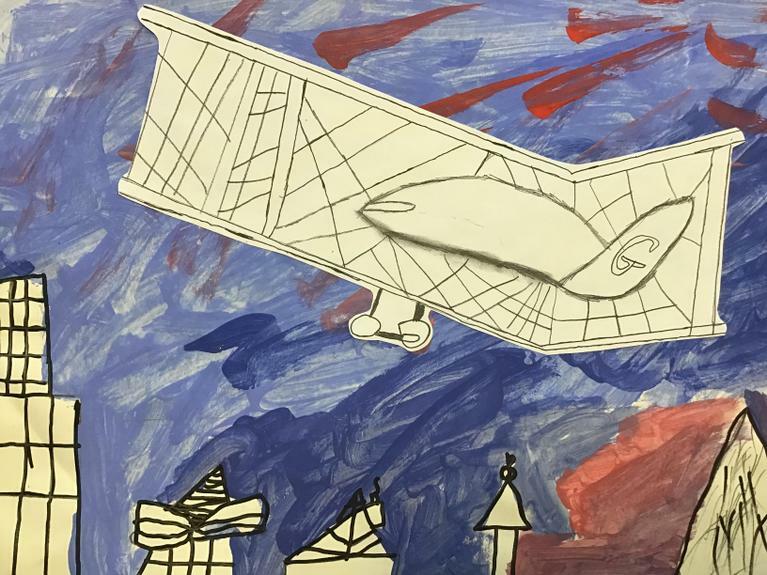 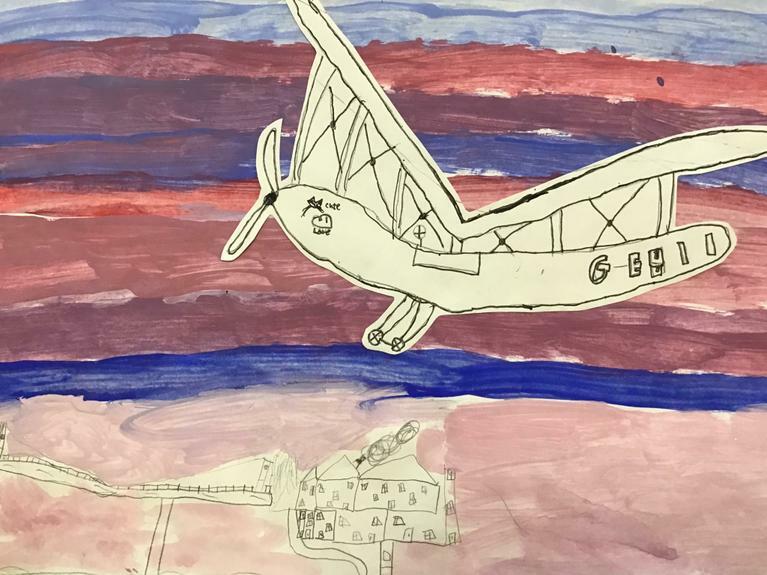 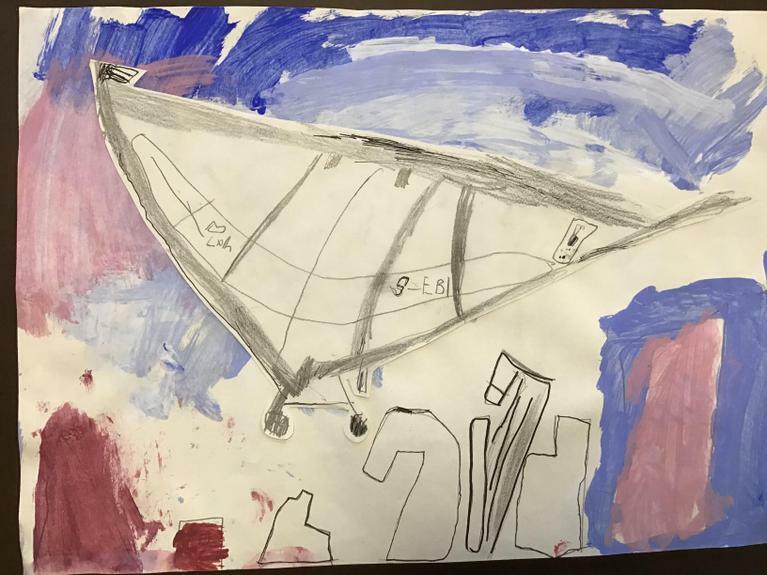 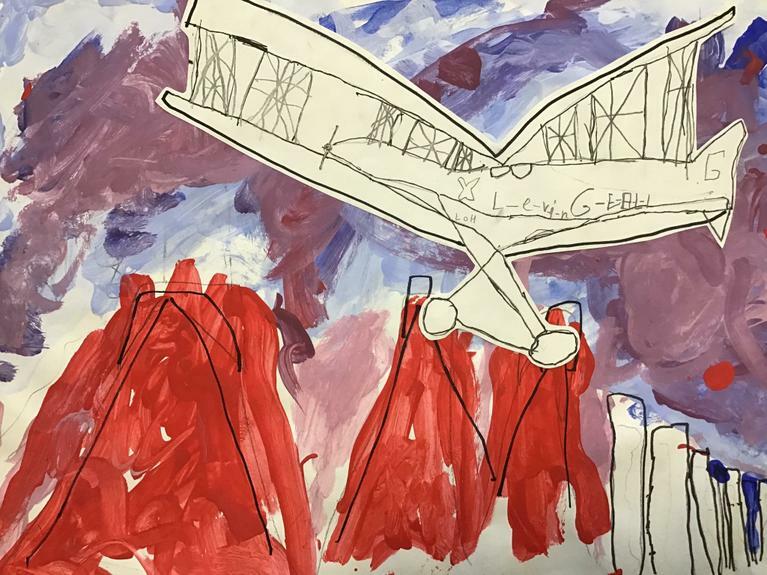 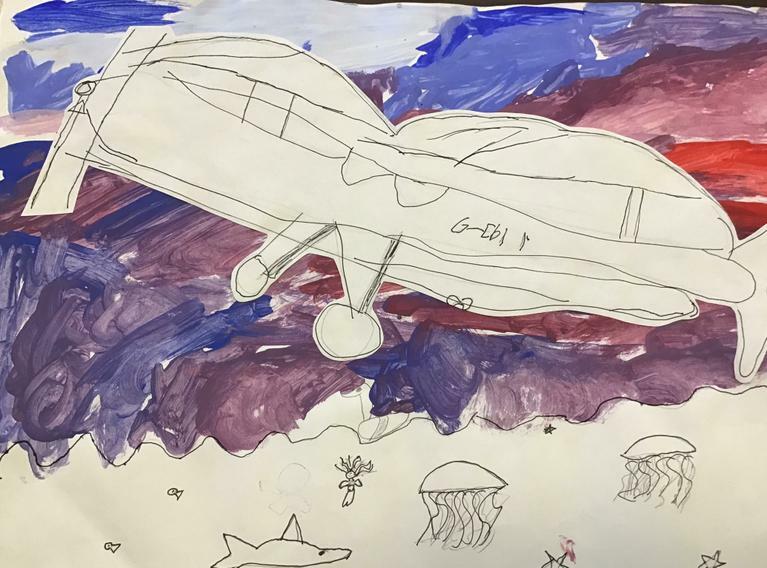 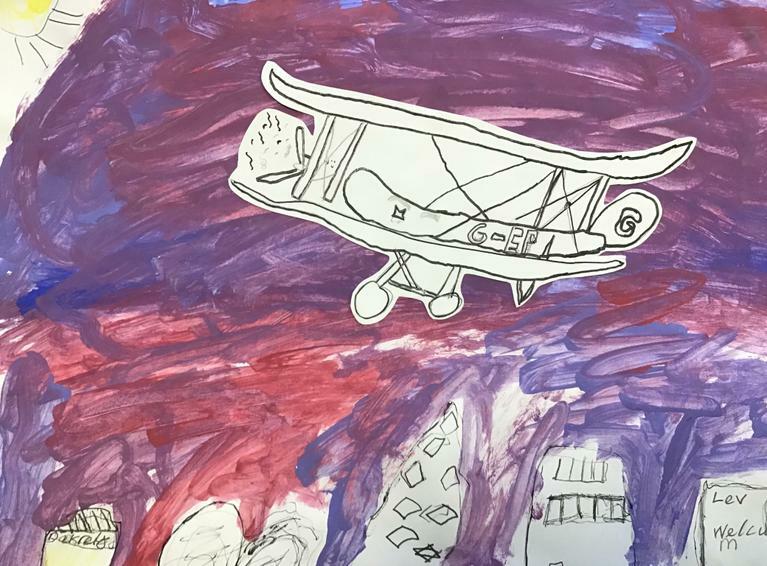 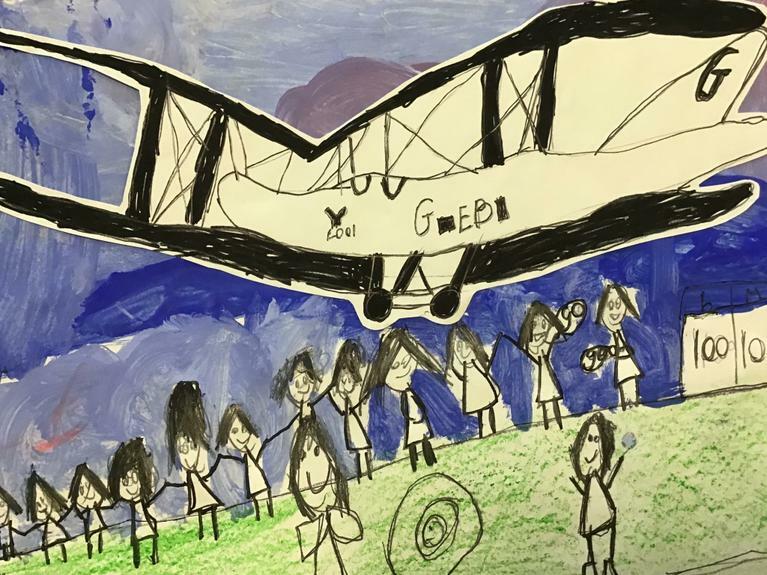 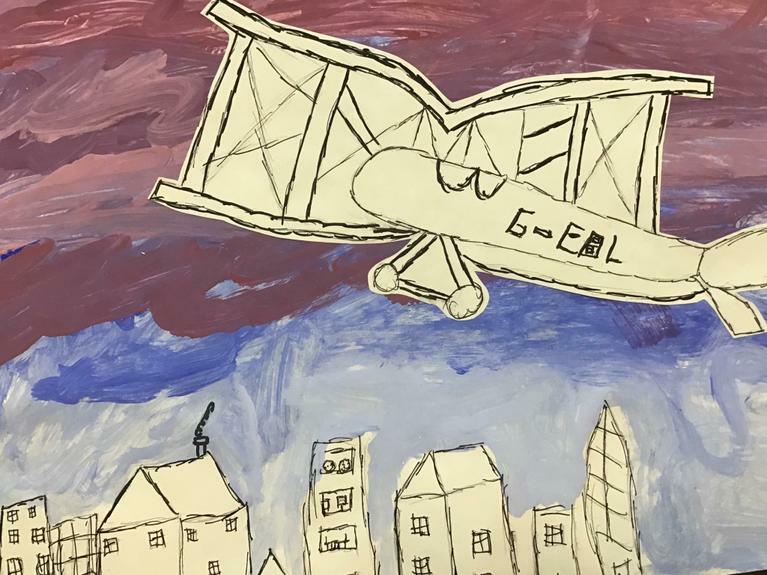 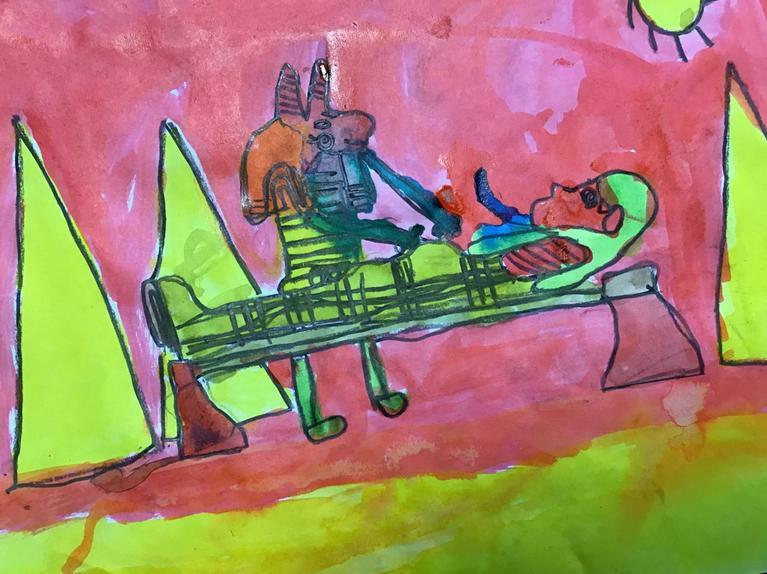 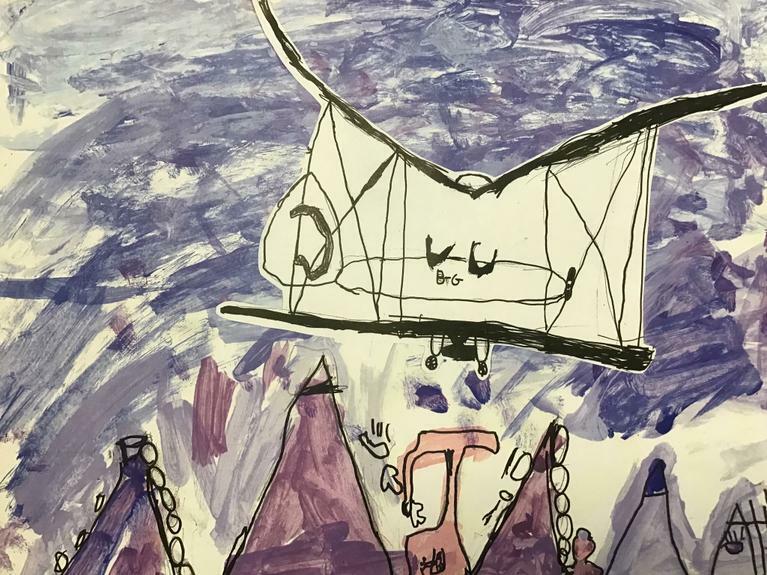 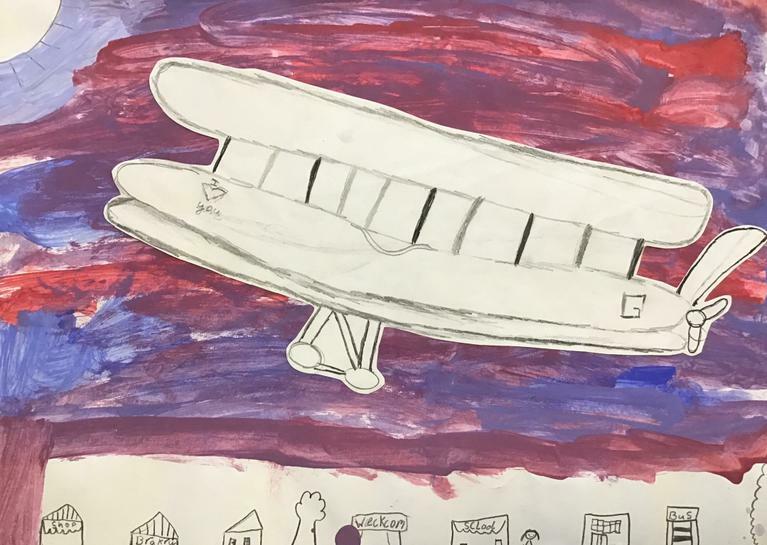 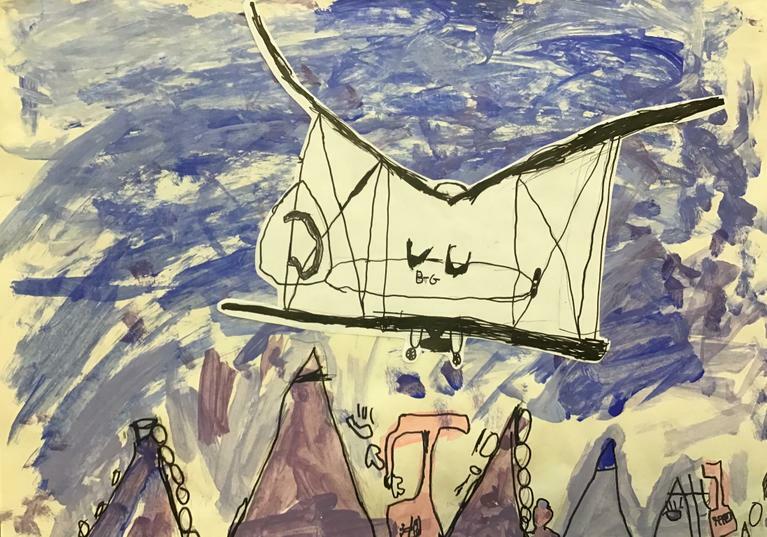 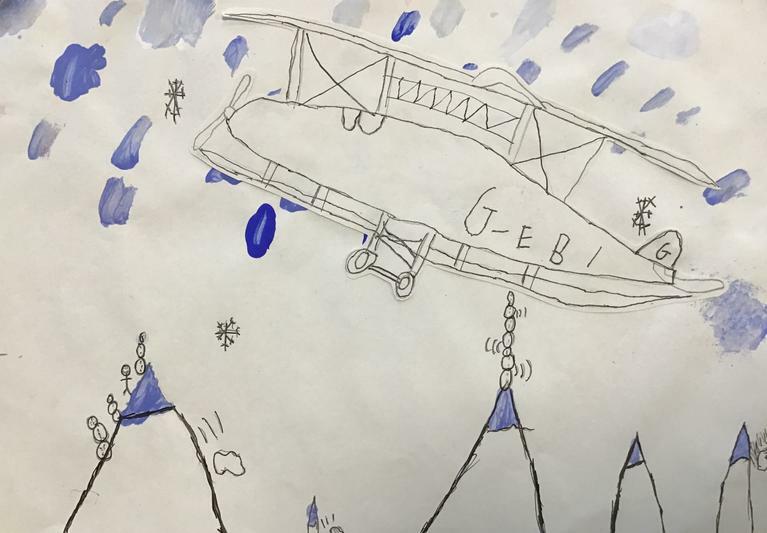 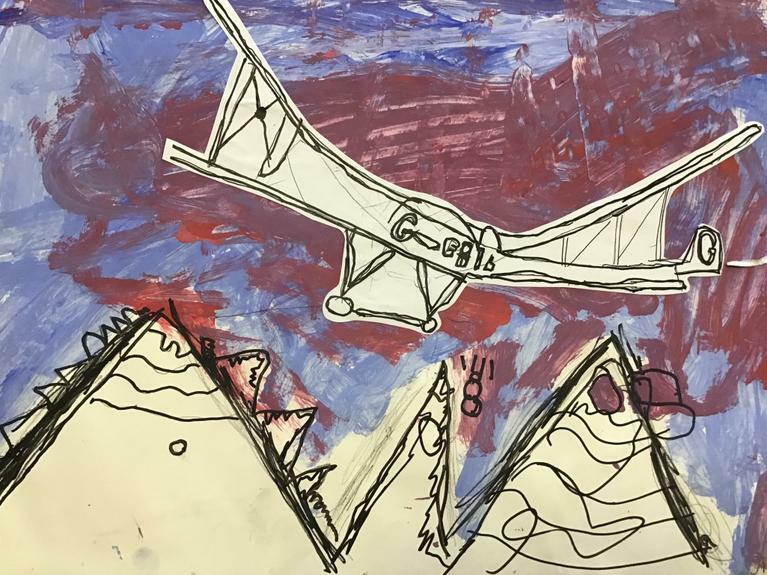 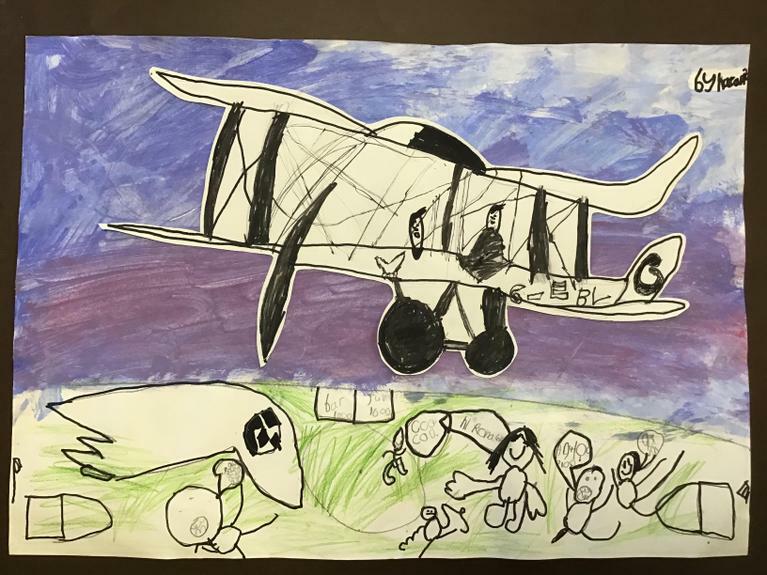 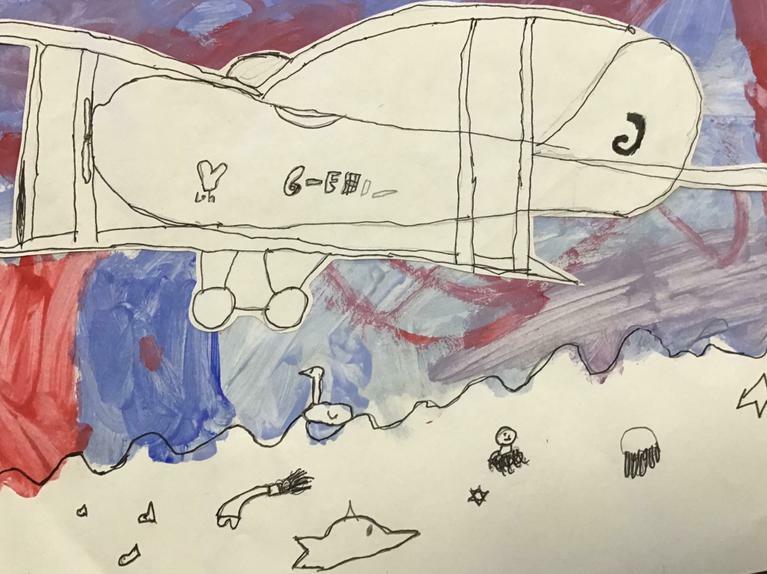 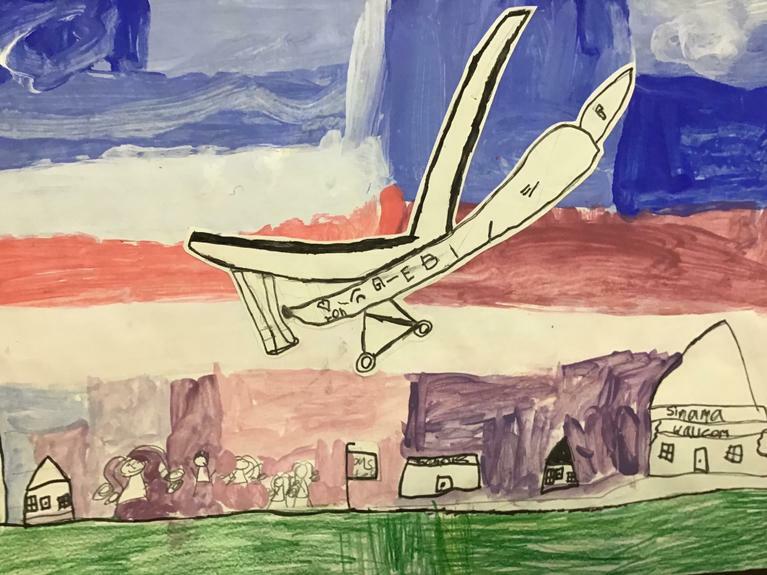 Year 2 have been inspired by the famous pilot Amy Johnson. 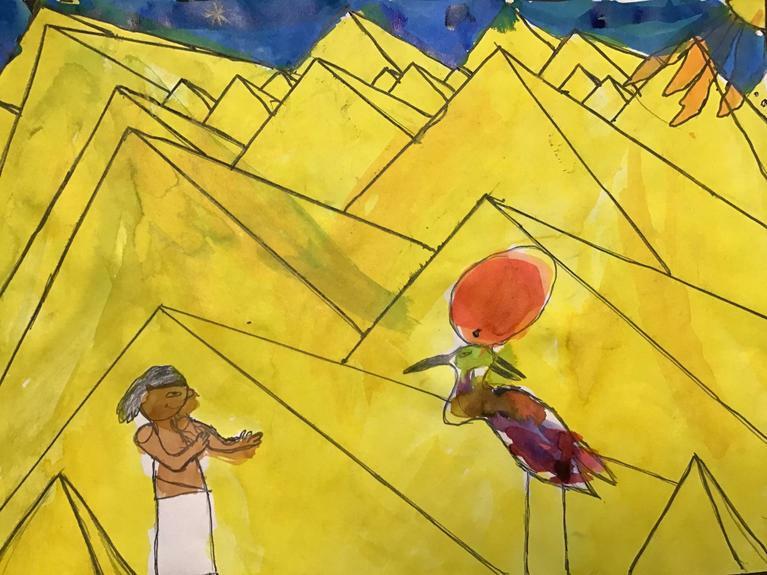 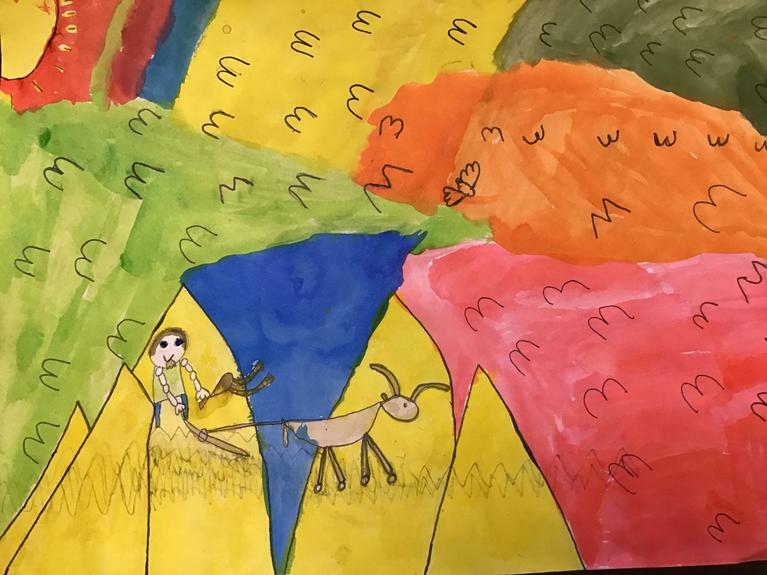 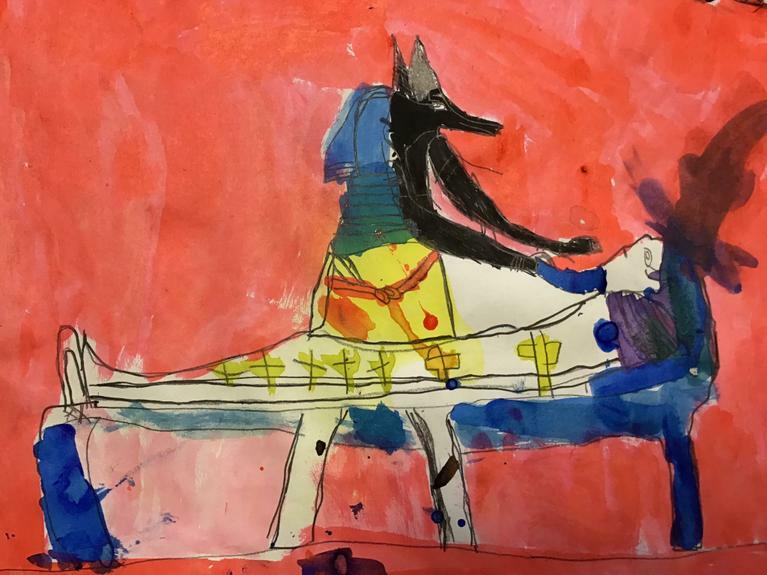 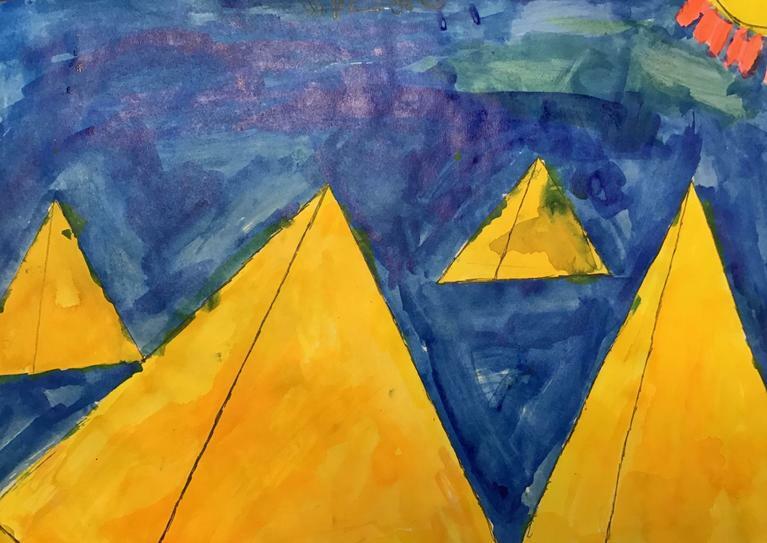 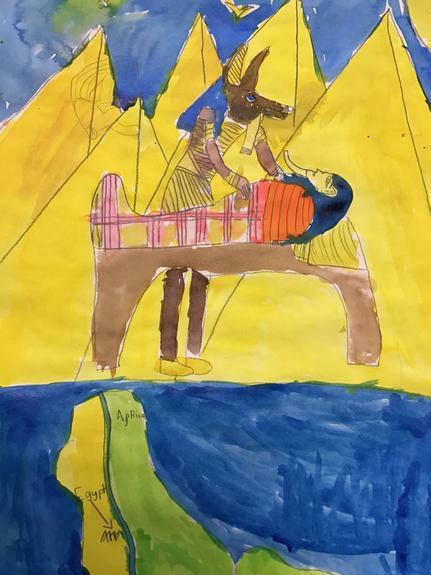 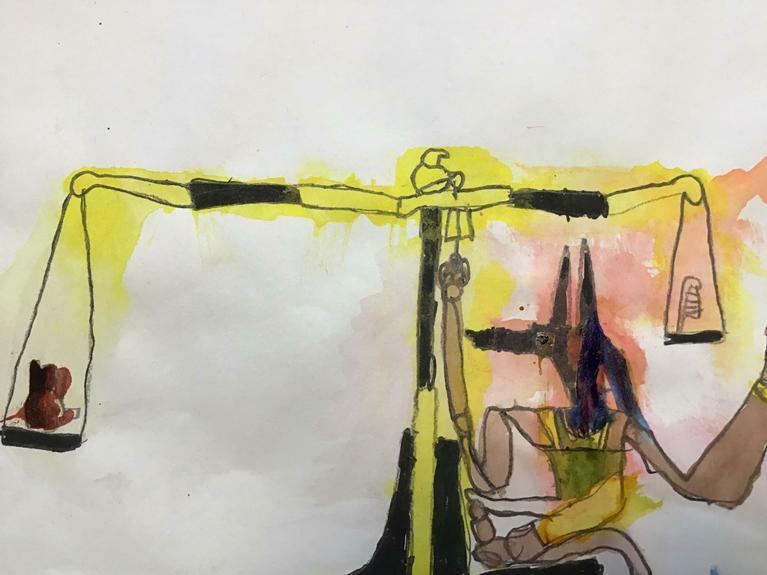 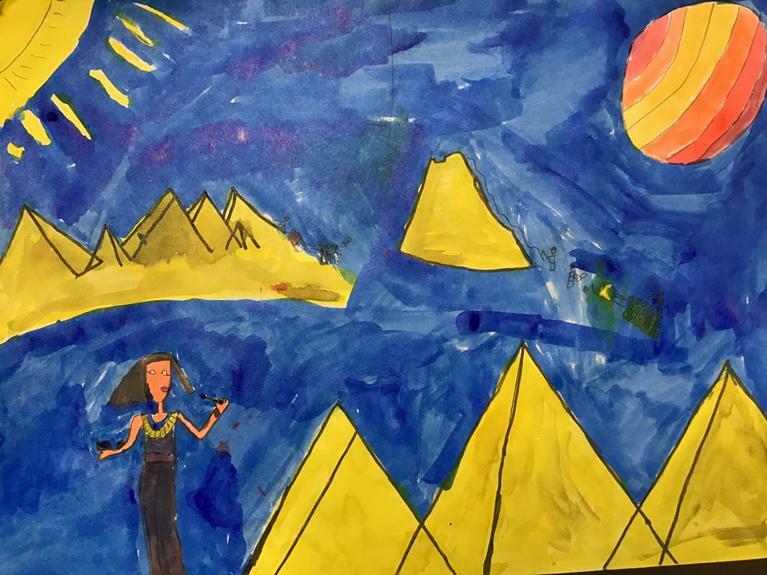 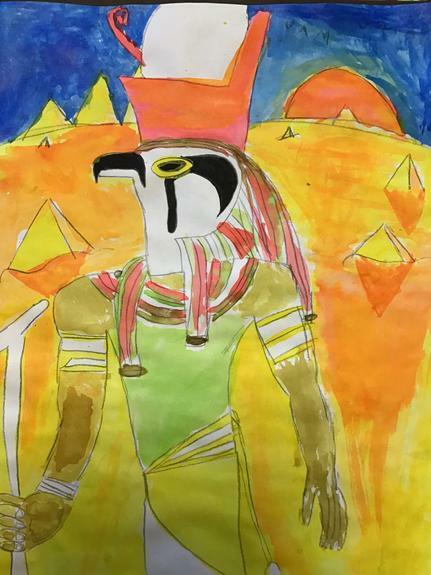 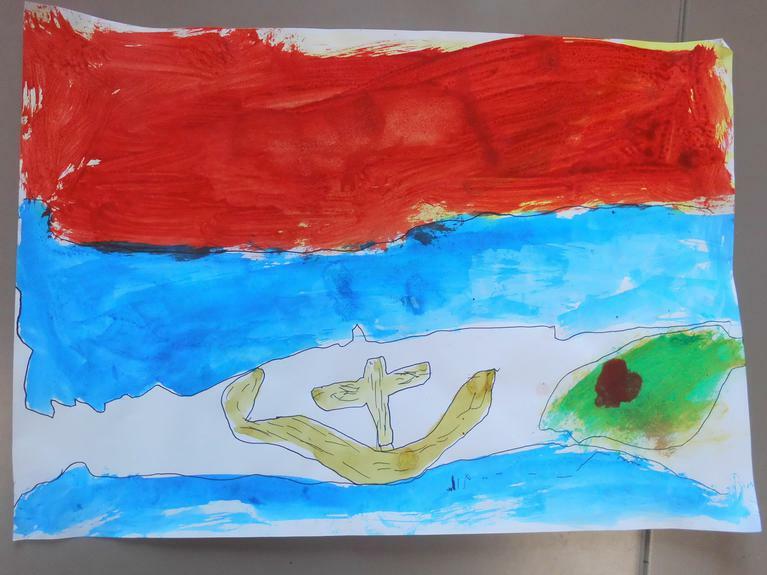 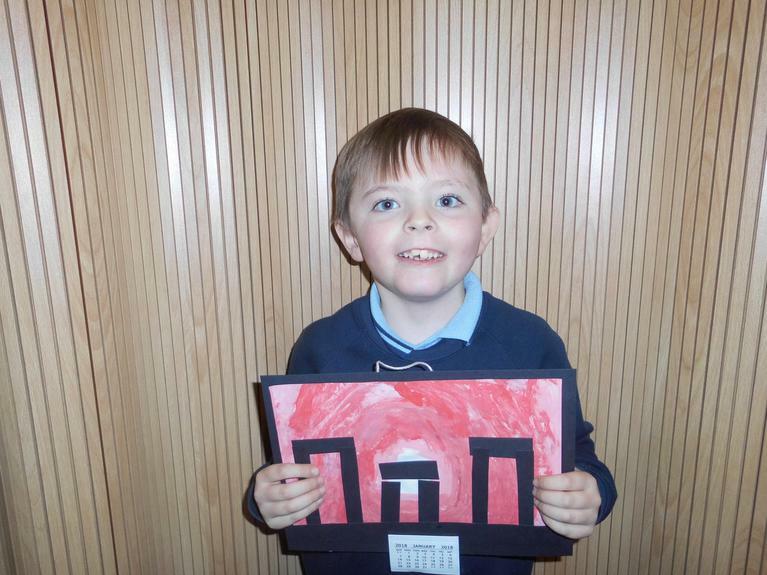 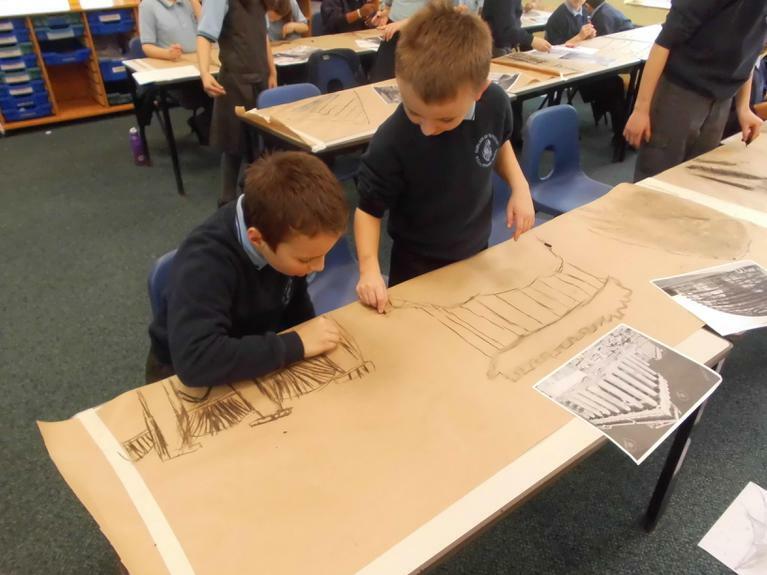 Year 4 have designed brilliant Egyptian wall paintings. 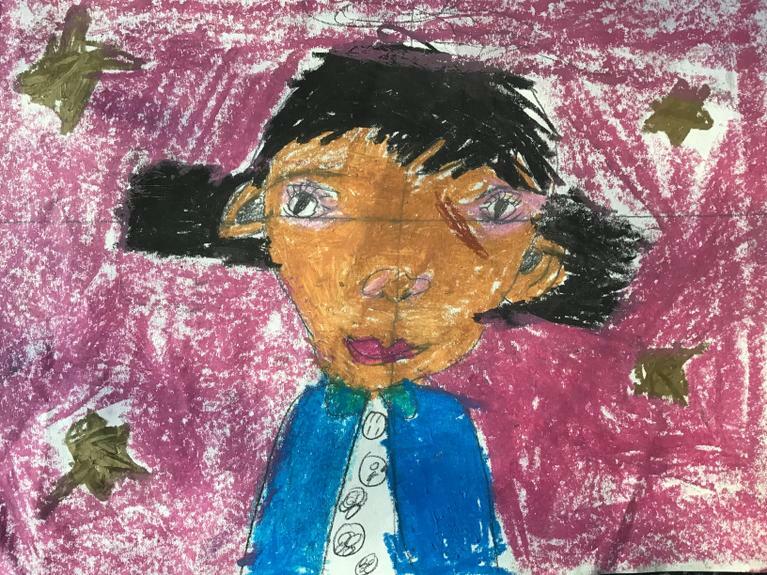 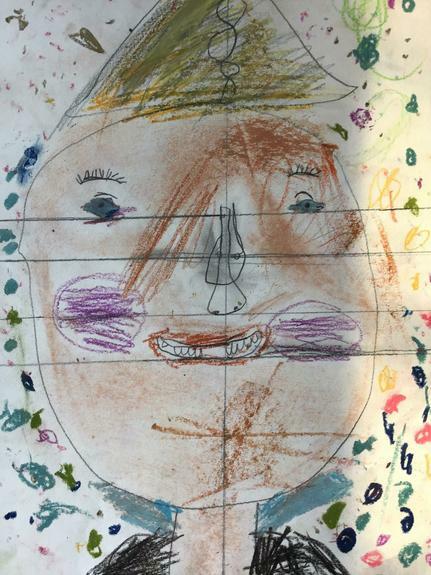 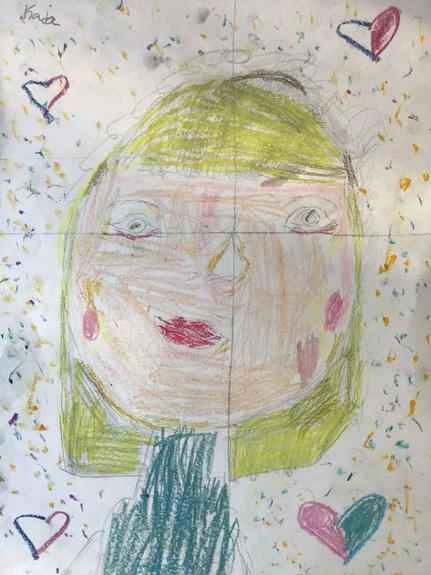 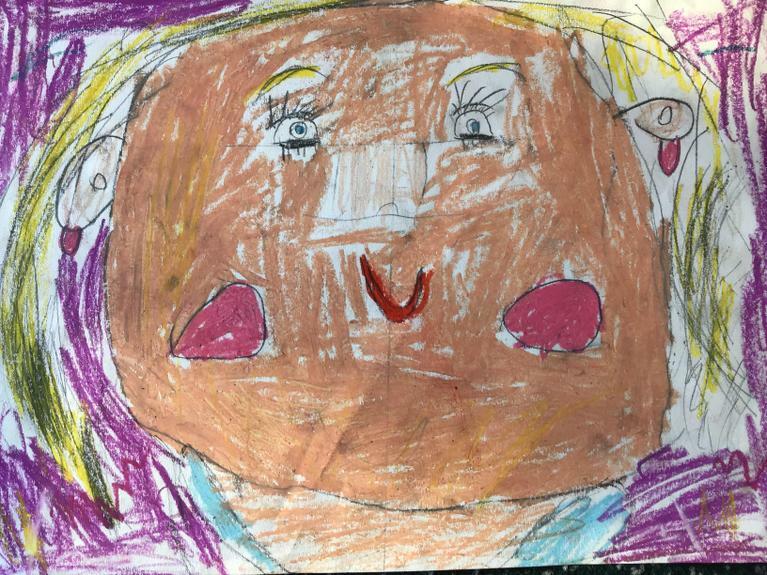 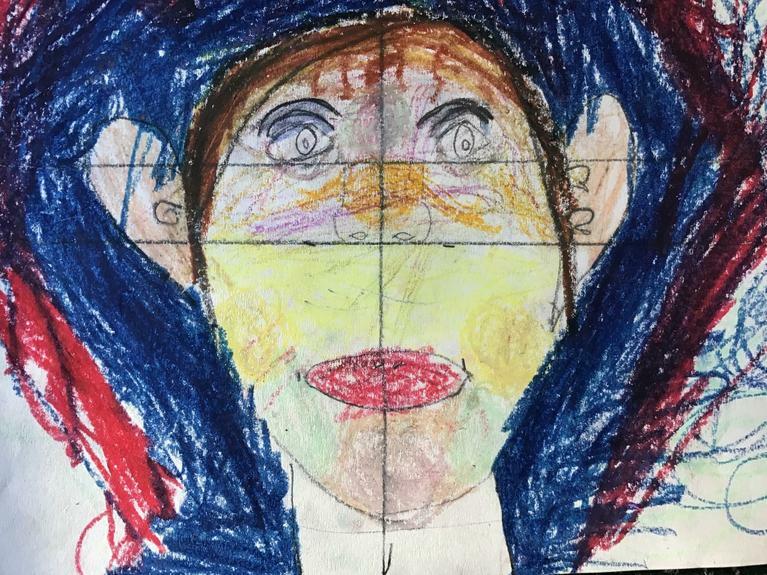 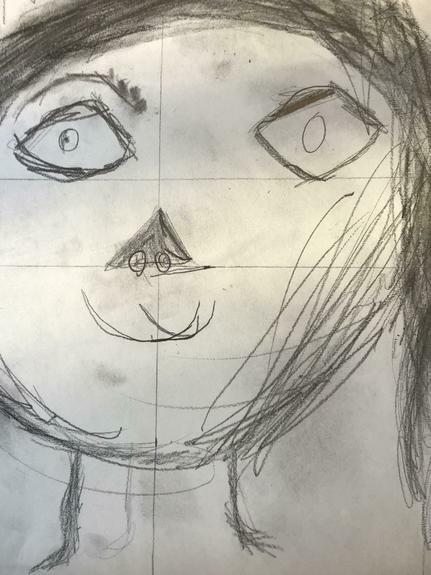 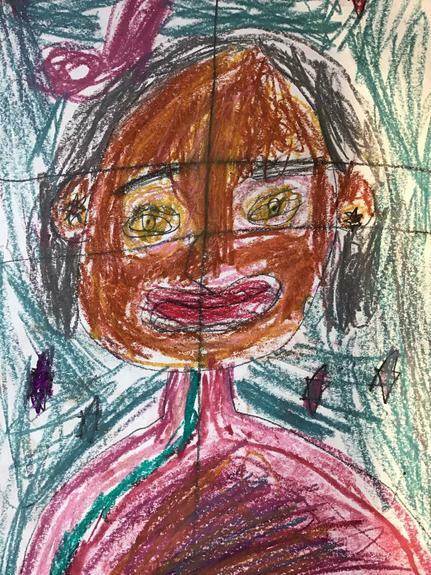 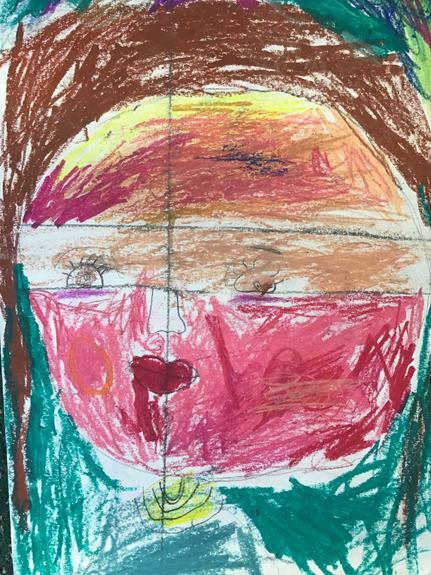 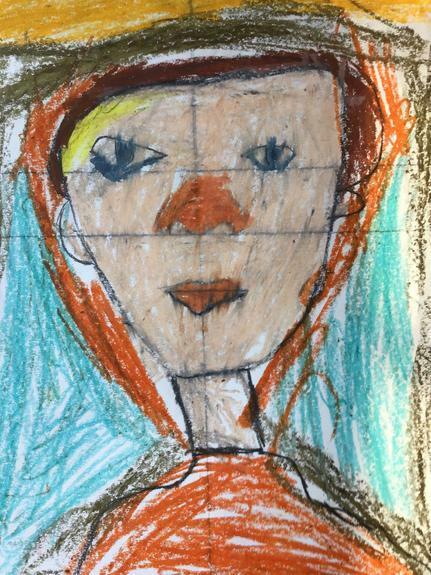 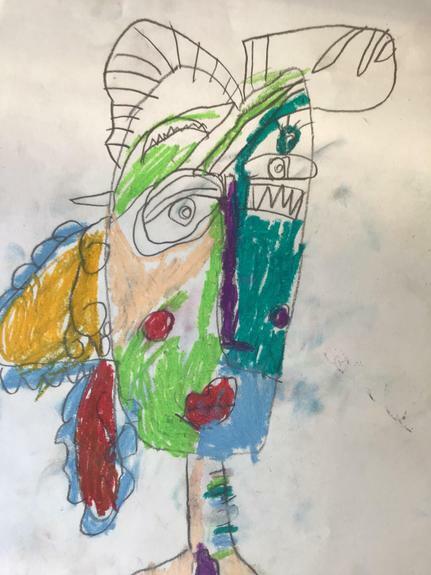 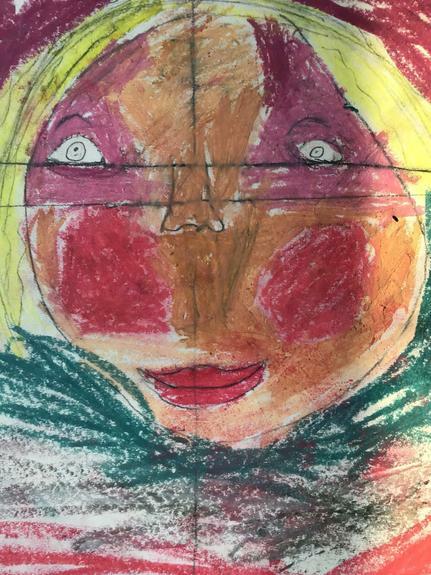 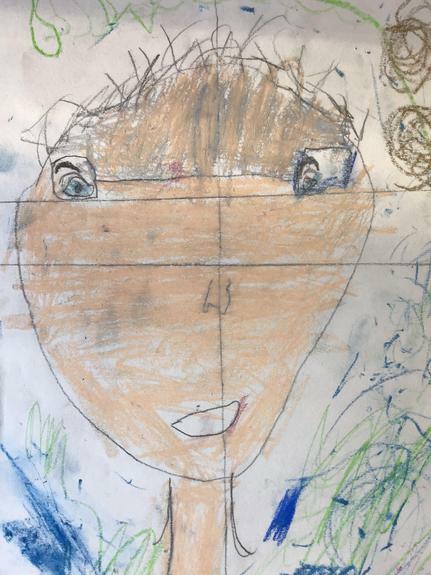 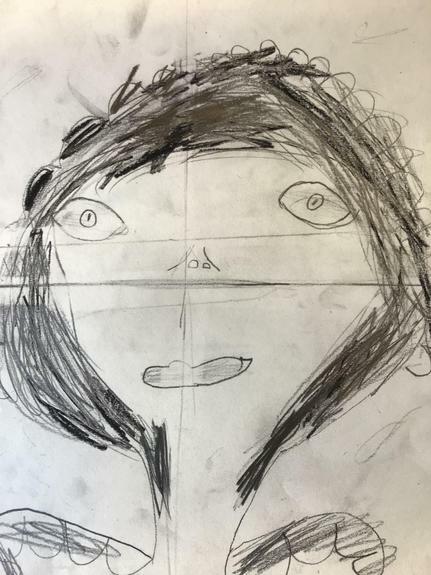 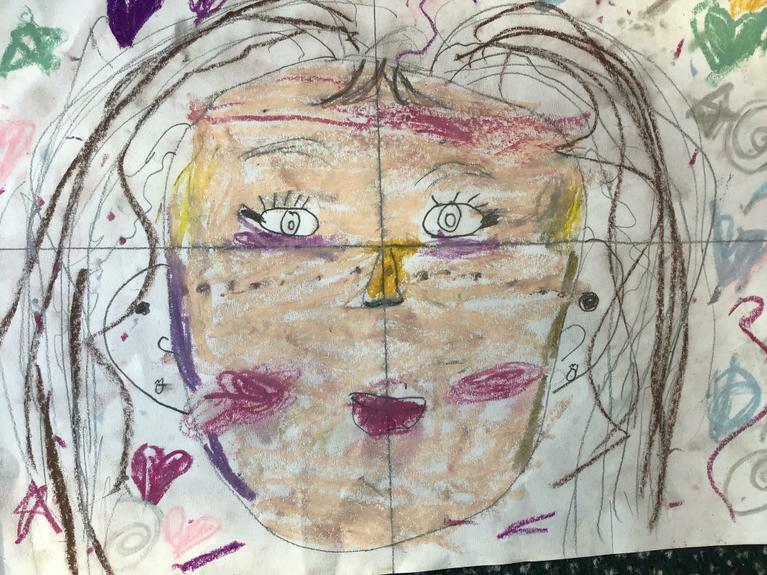 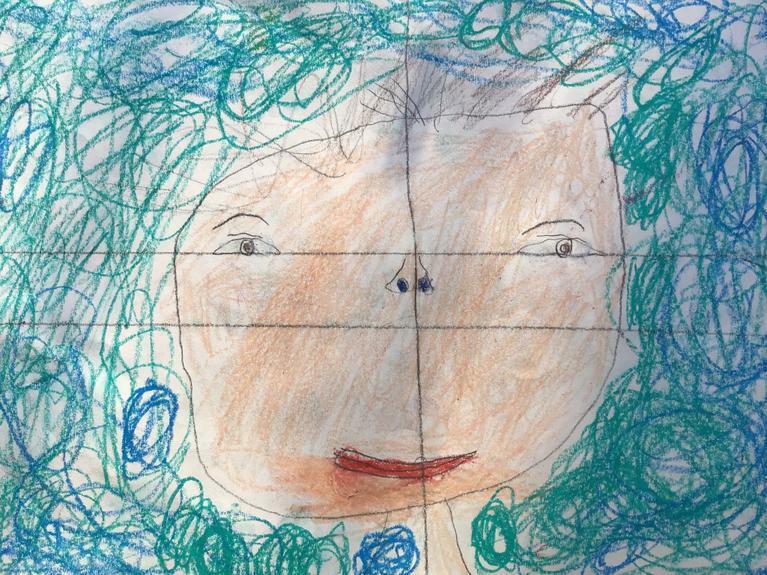 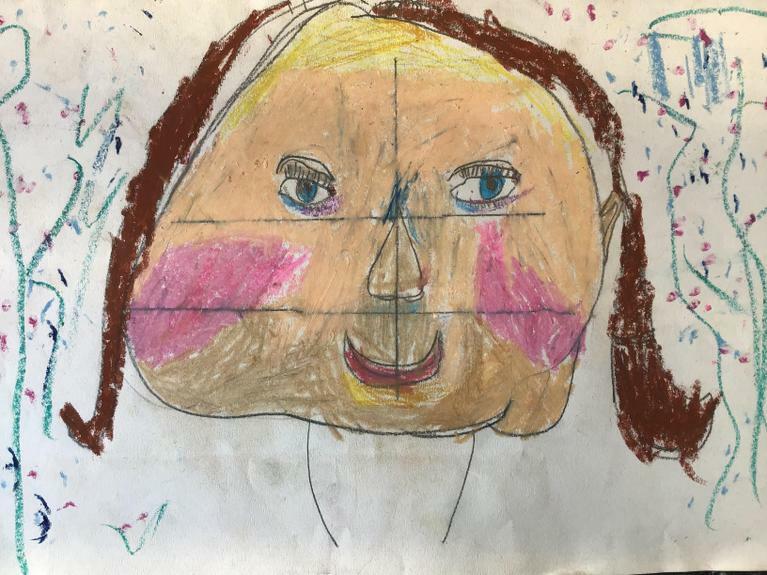 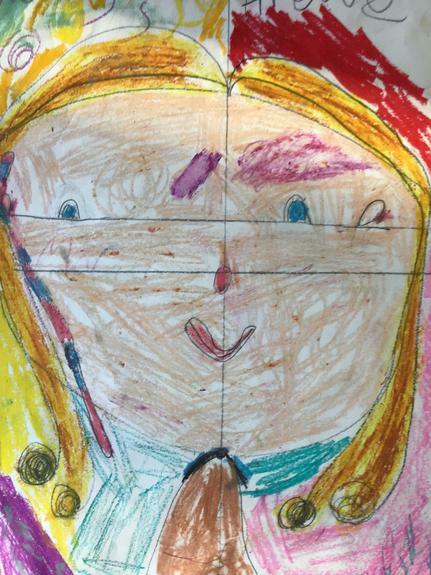 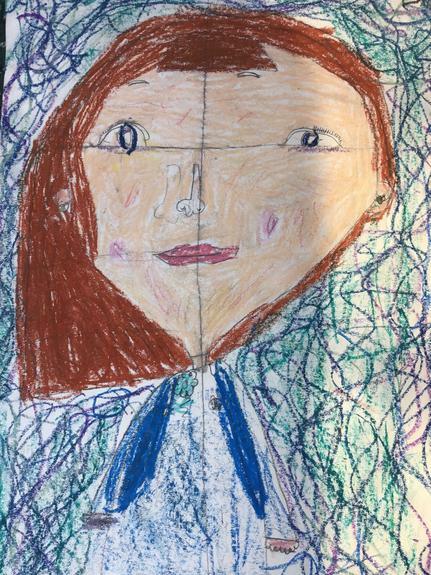 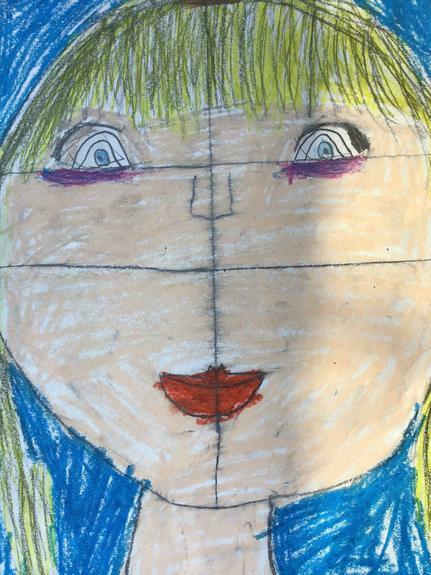 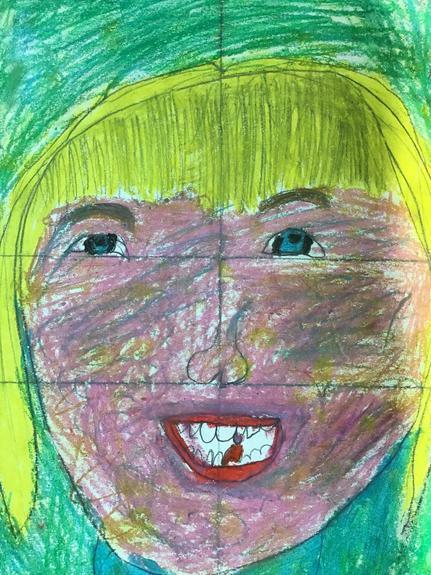 Year 2 have been learning how to draw self portraits. 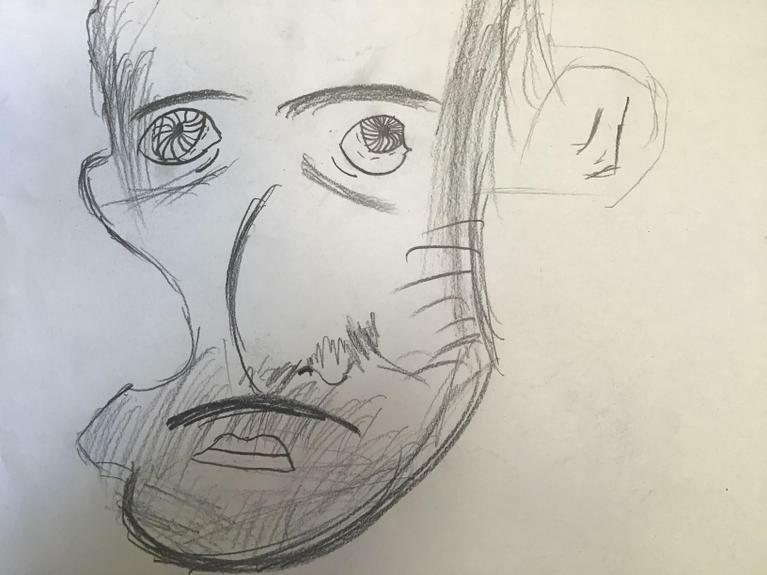 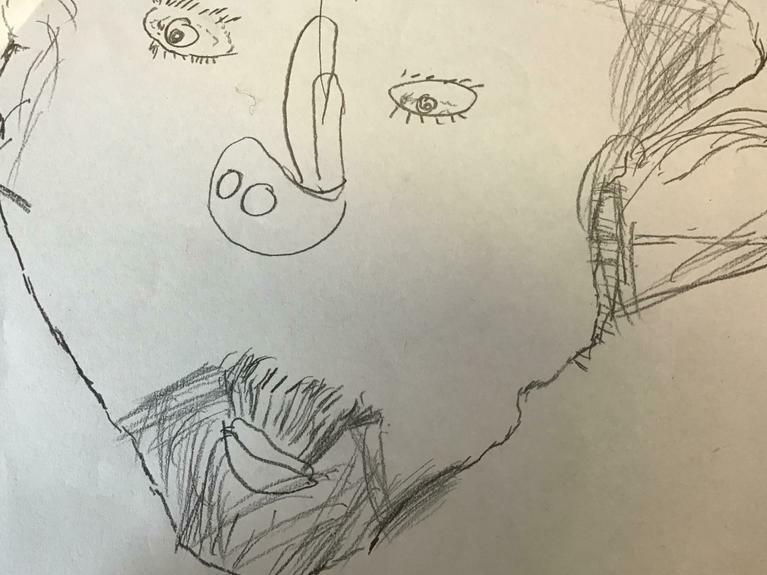 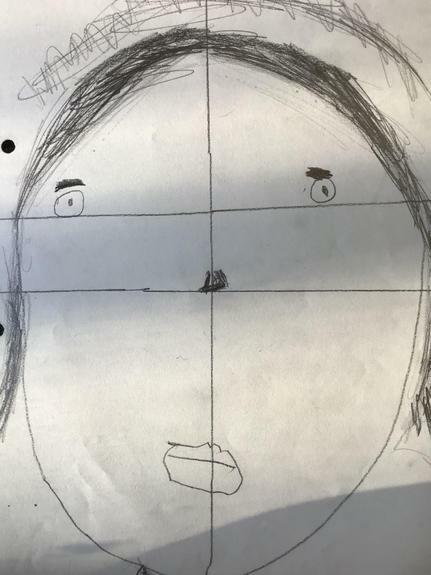 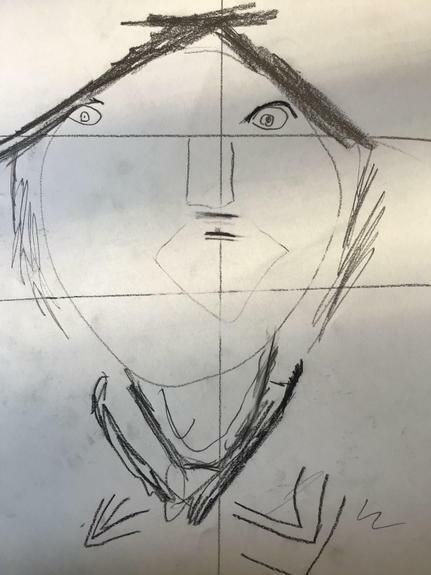 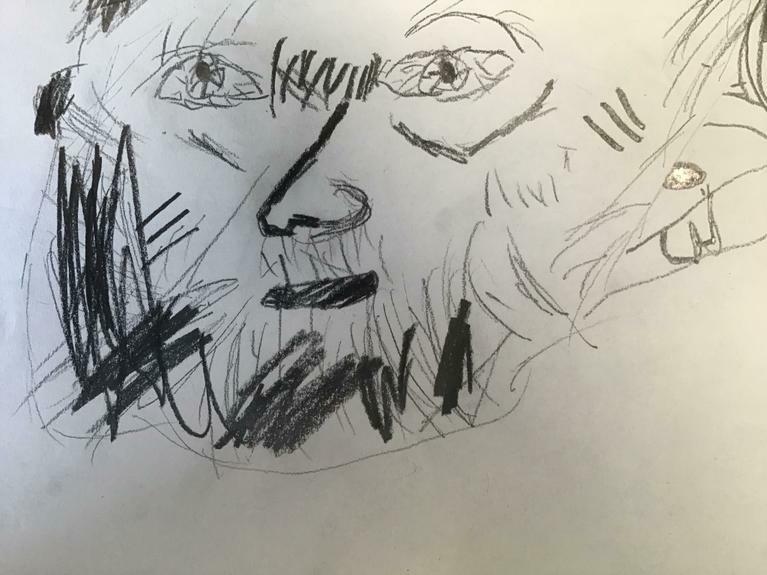 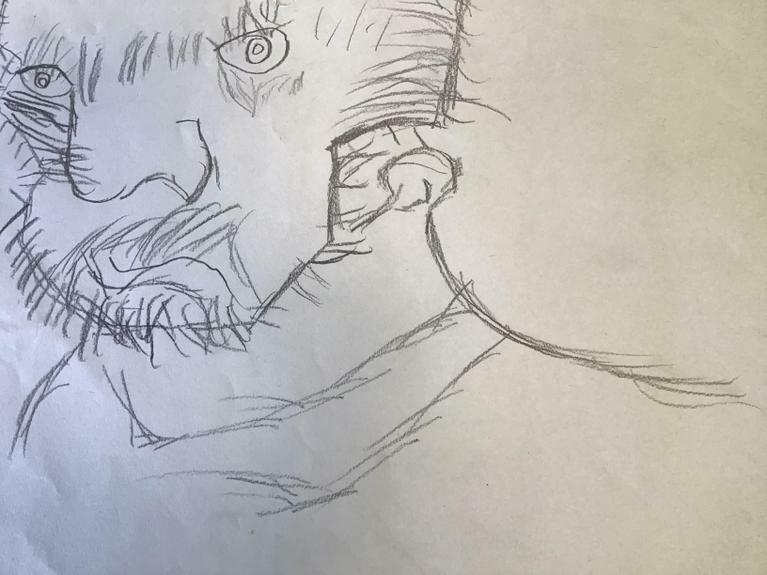 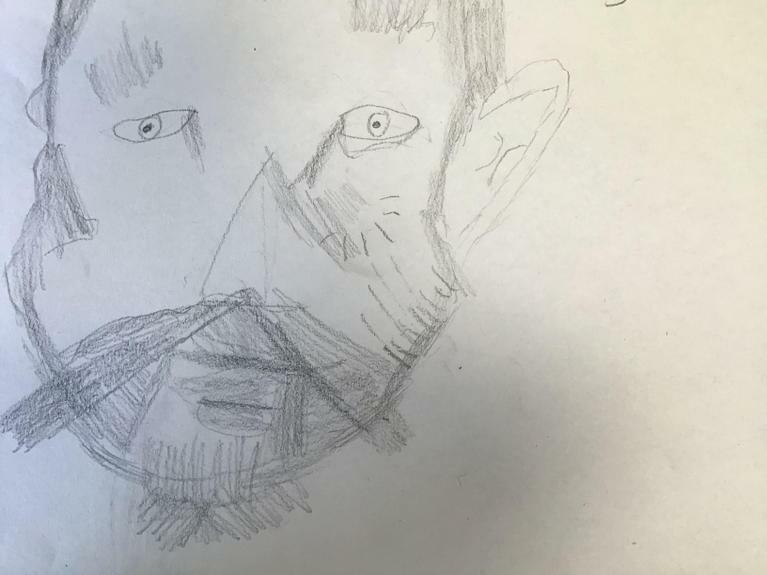 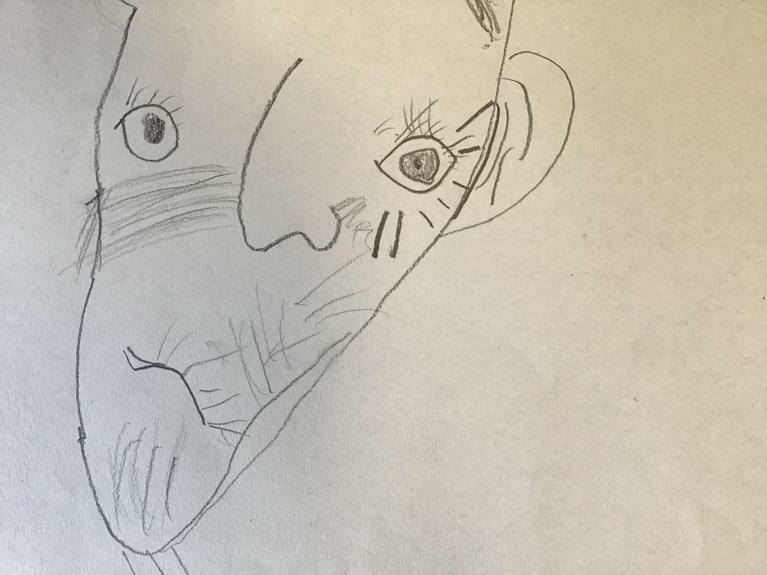 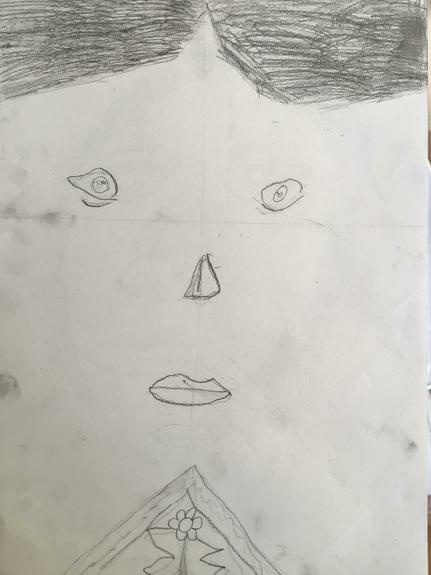 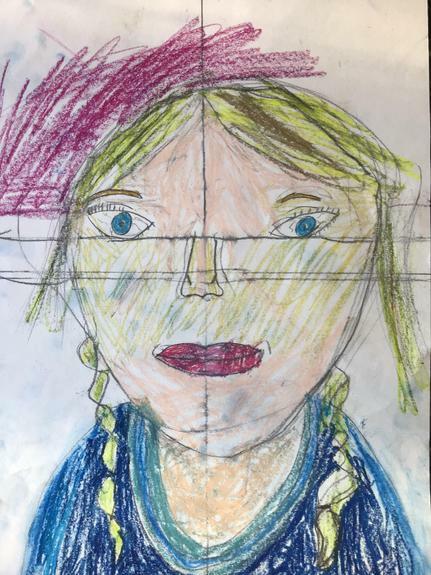 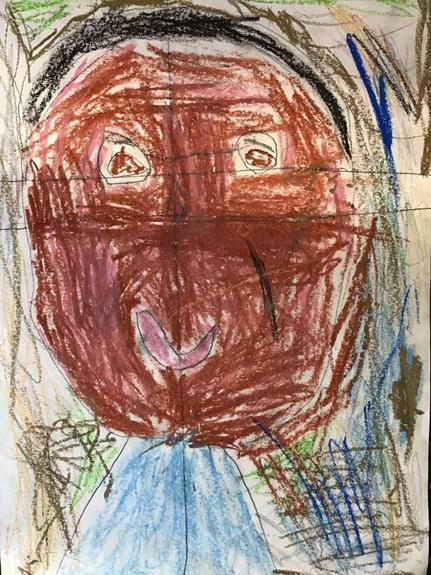 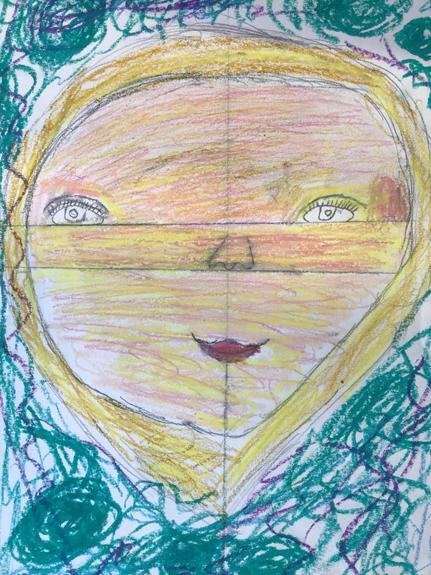 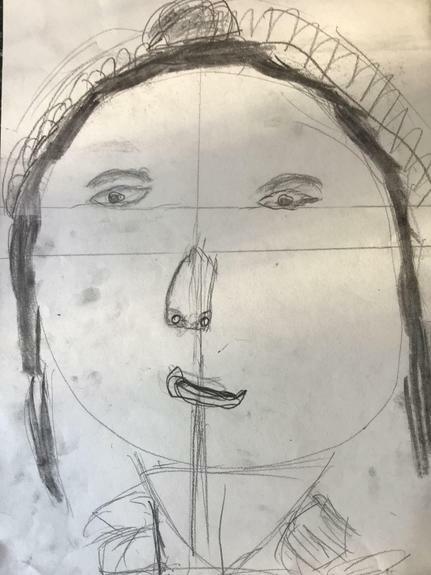 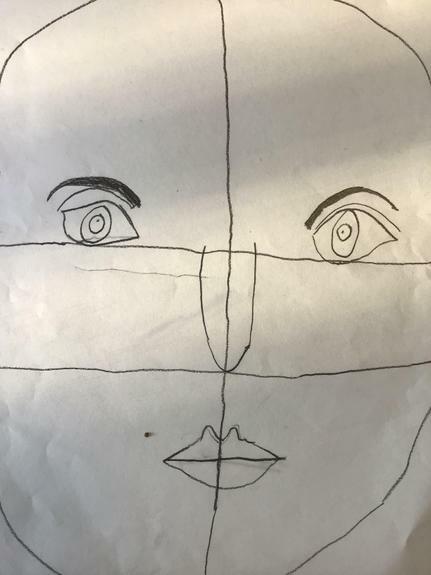 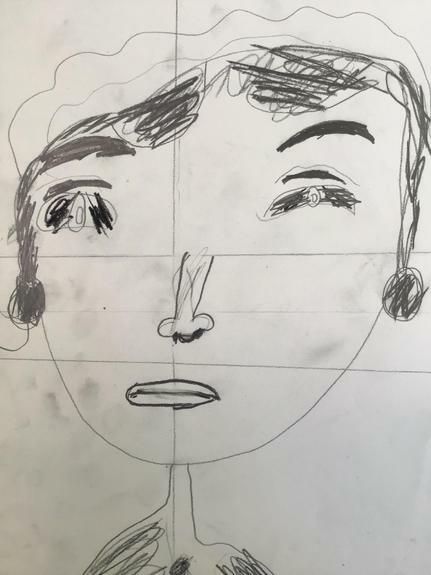 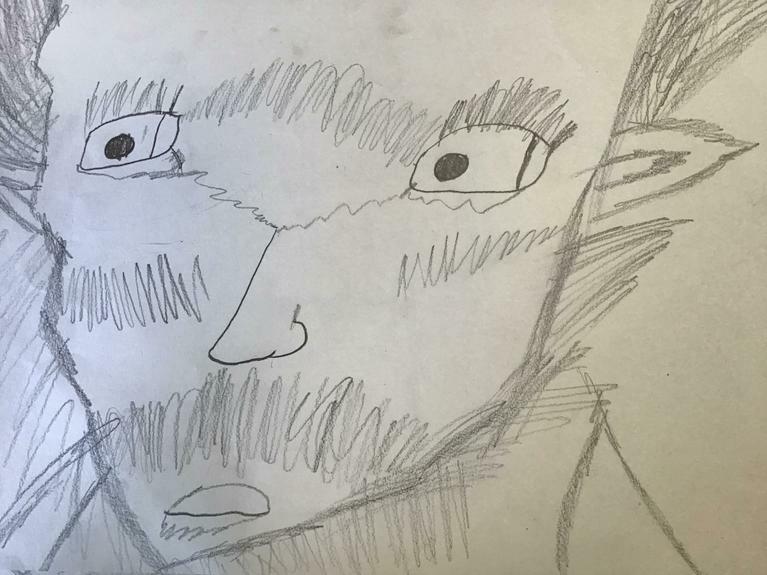 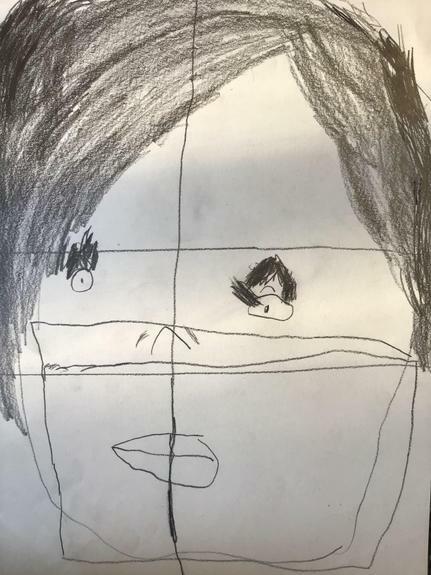 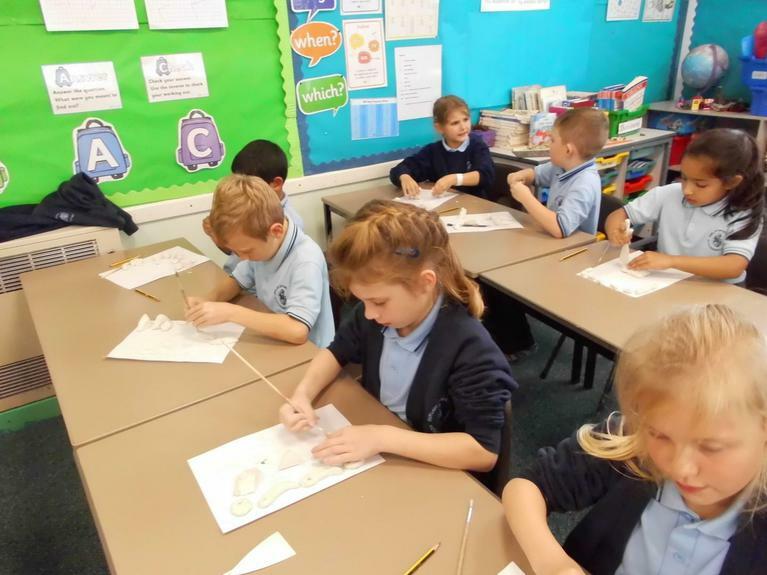 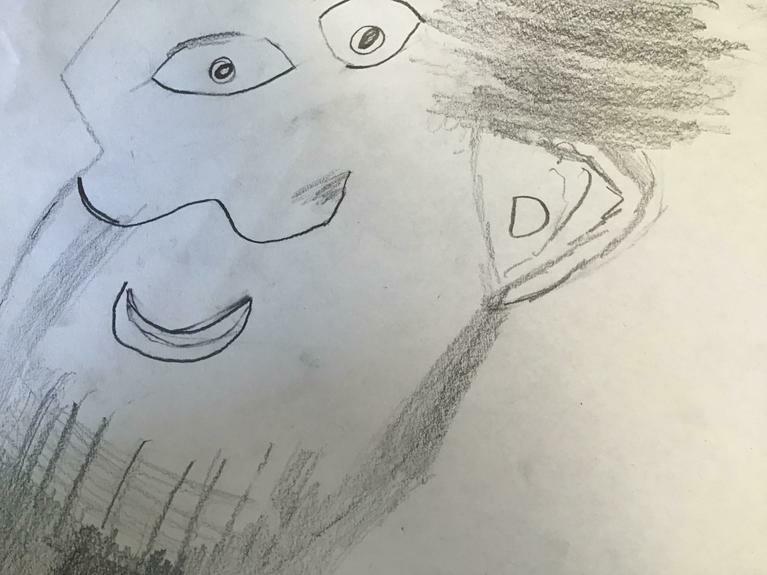 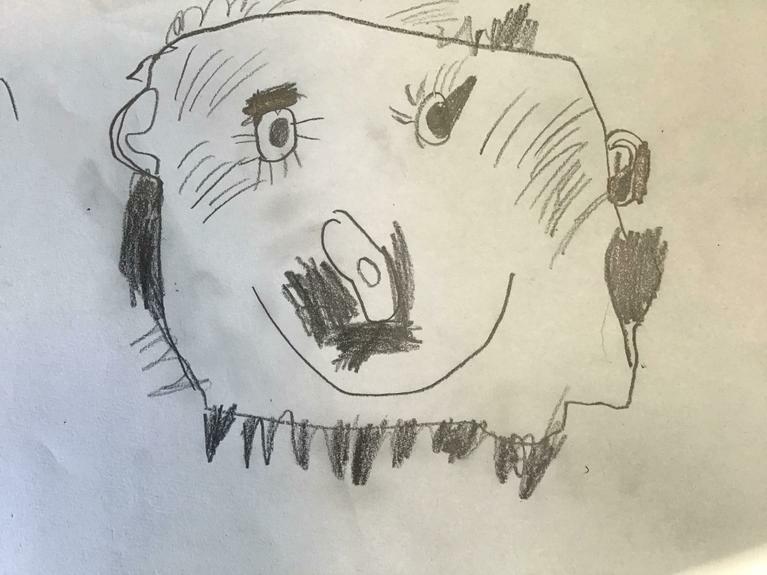 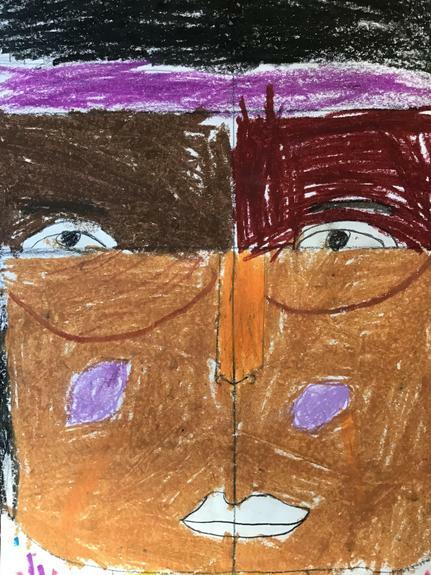 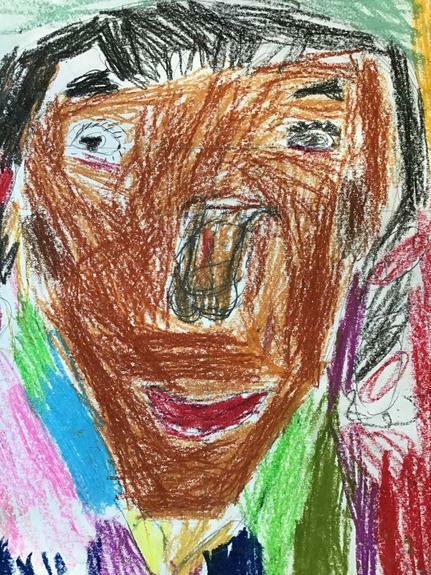 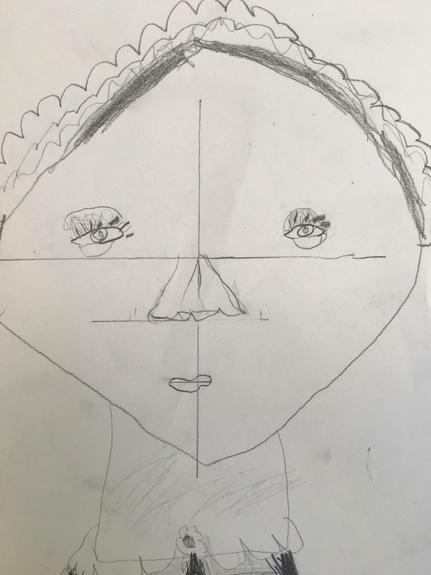 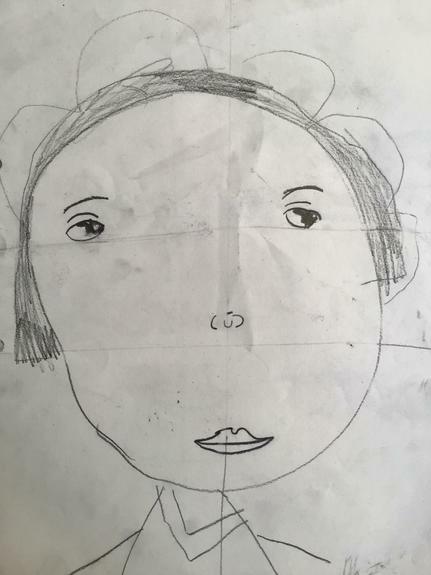 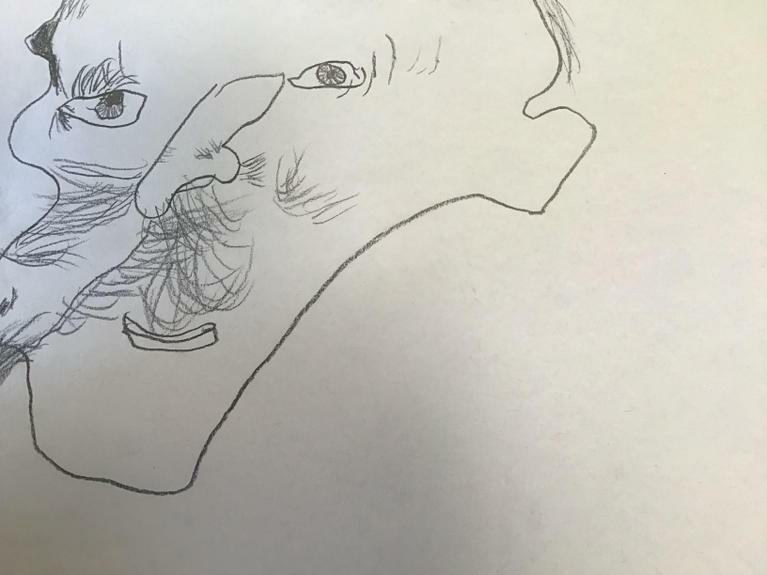 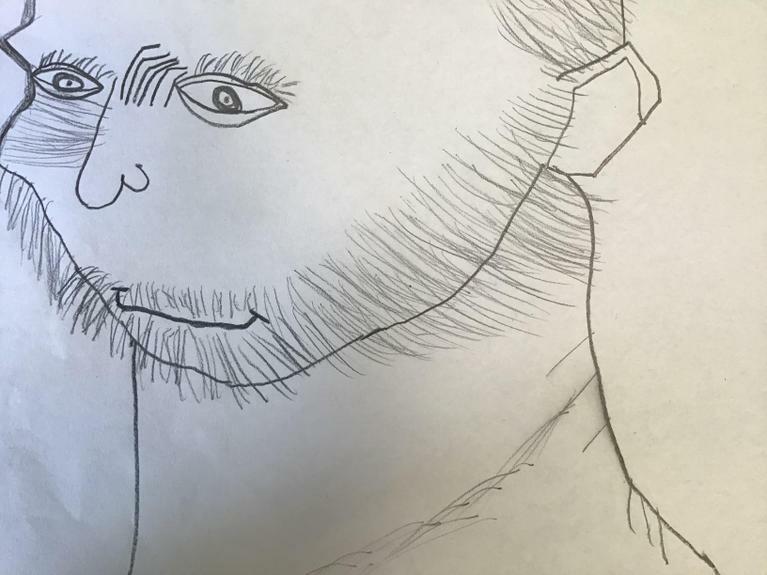 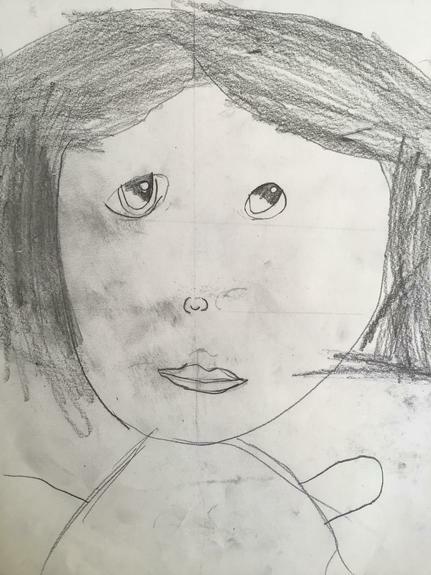 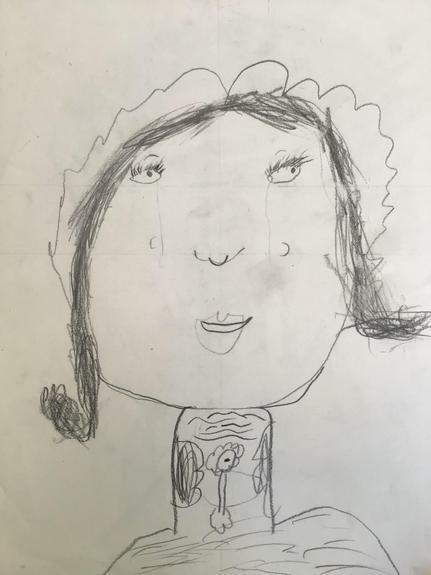 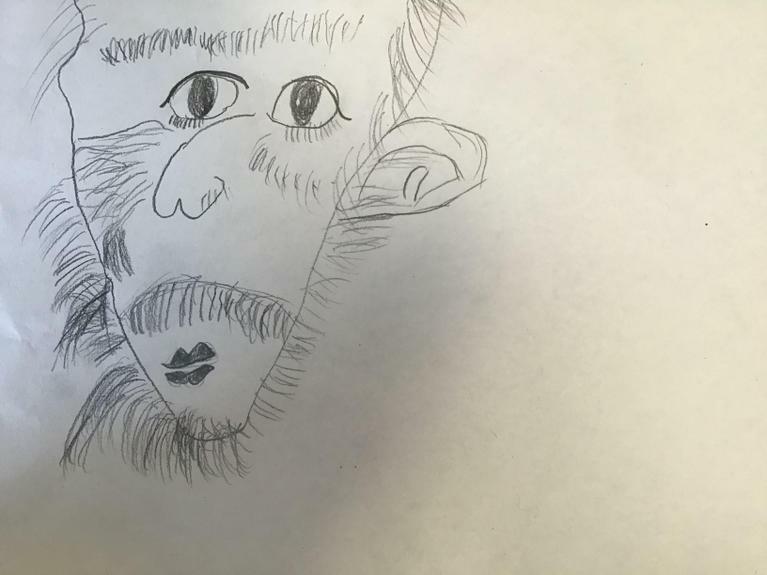 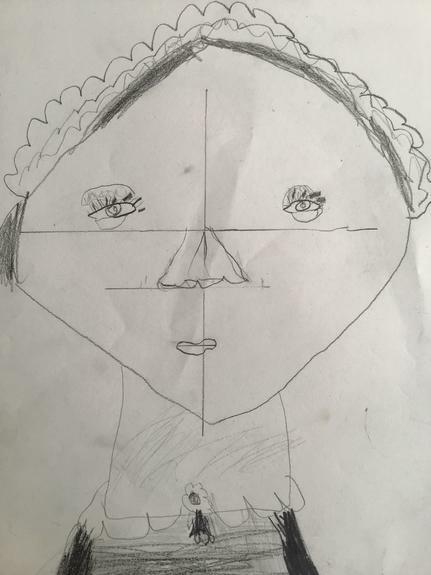 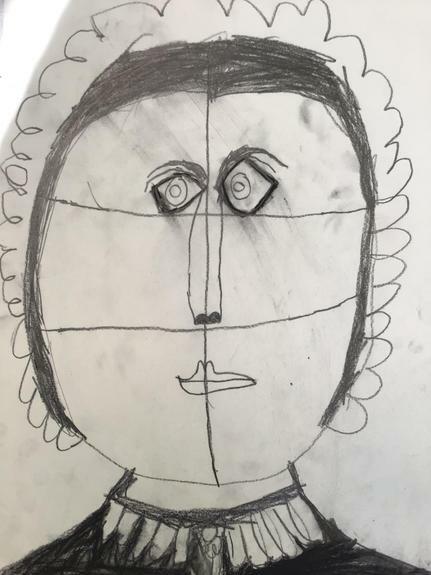 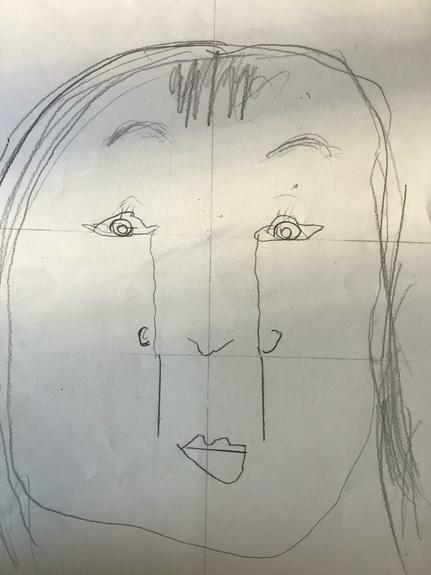 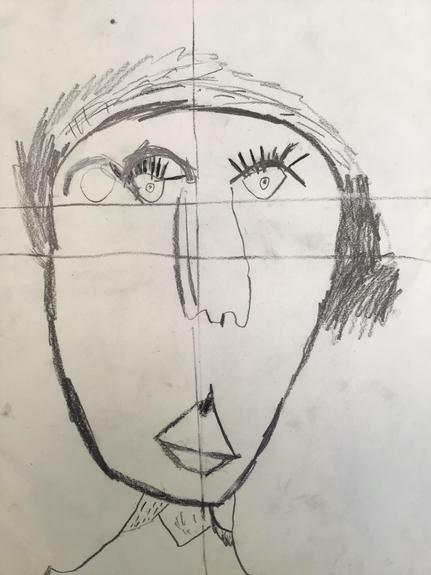 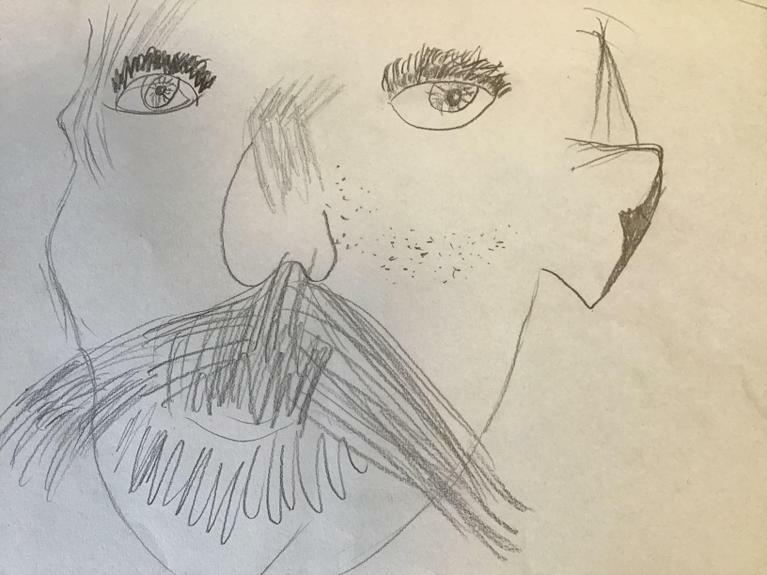 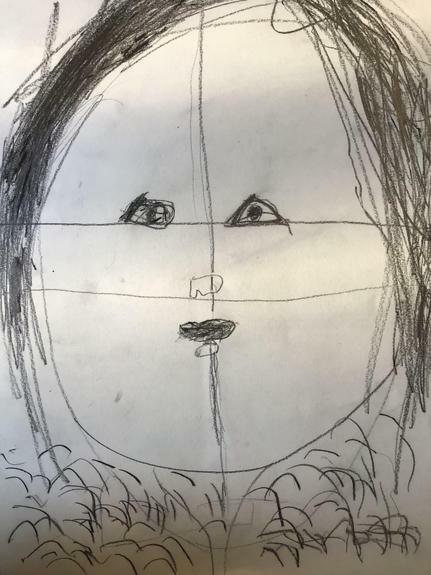 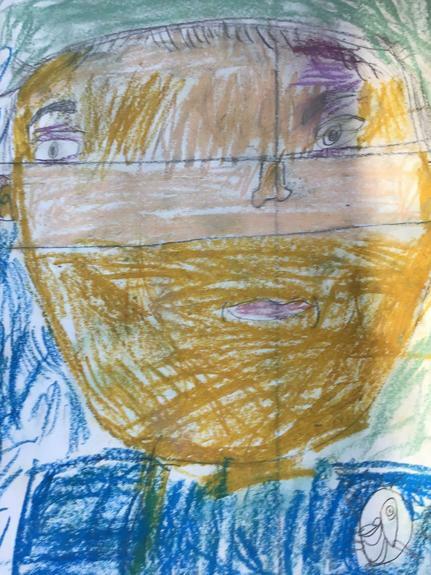 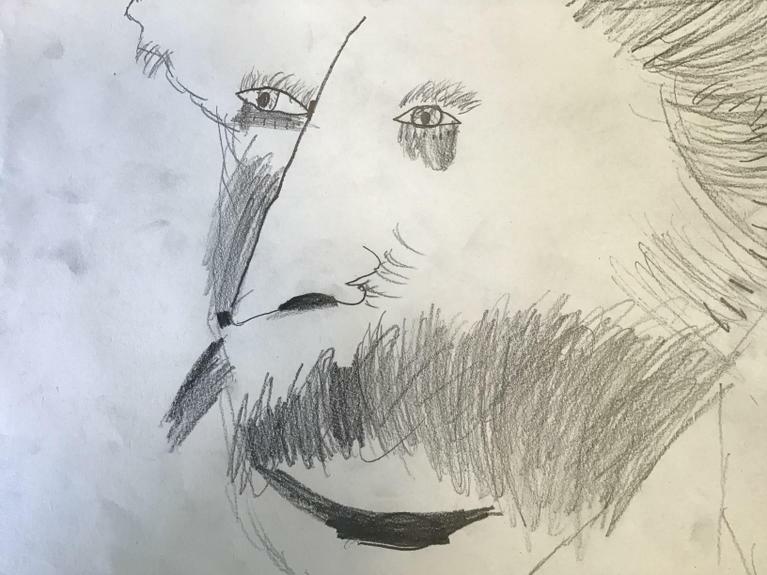 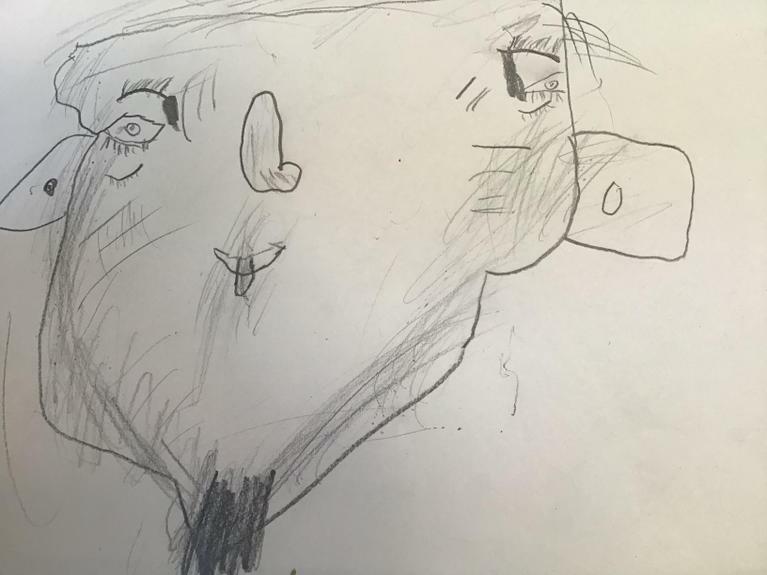 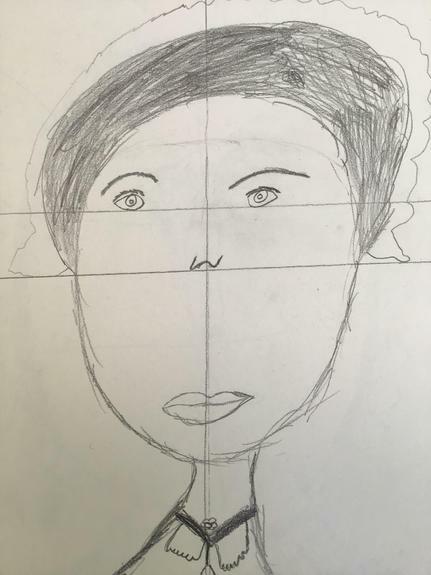 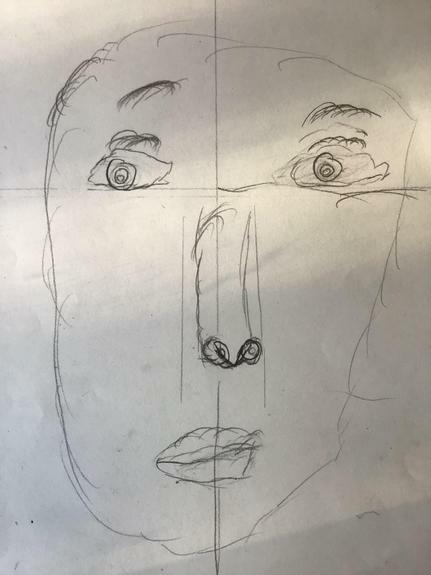 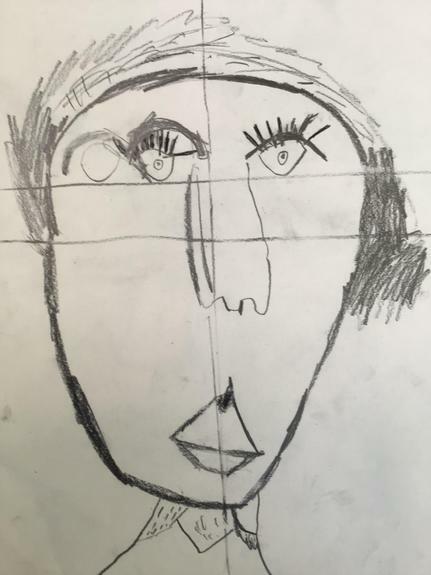 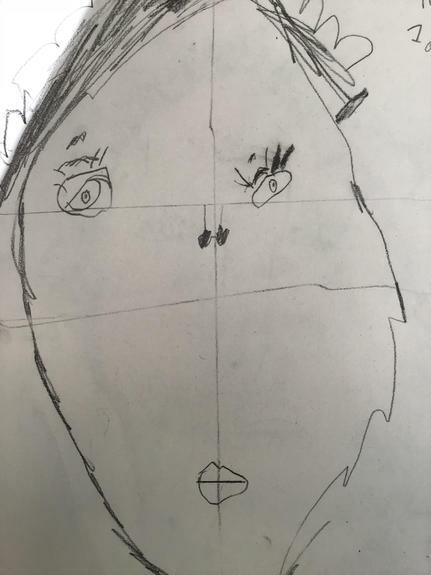 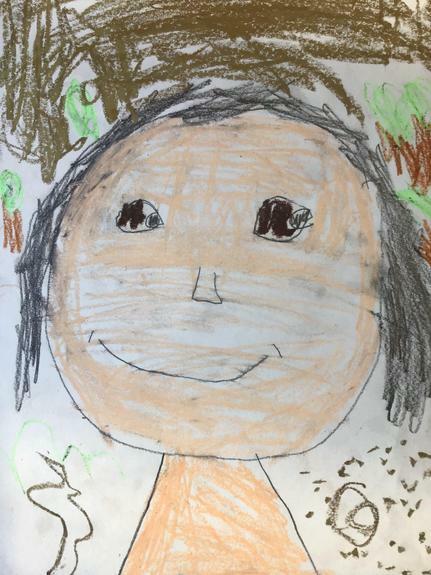 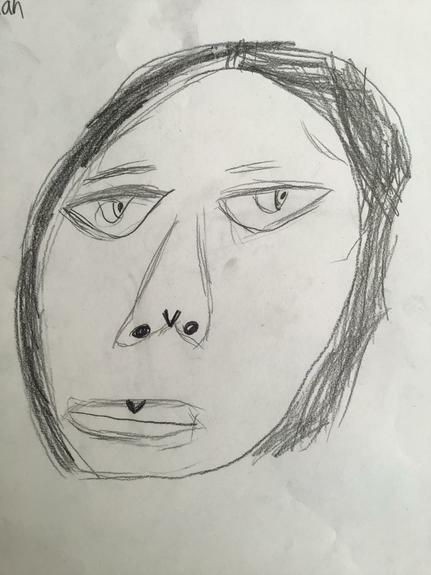 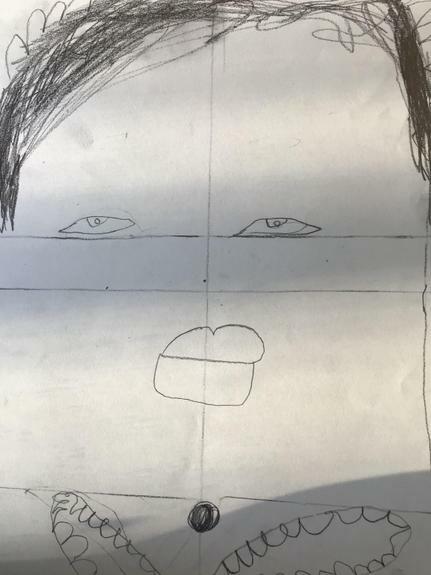 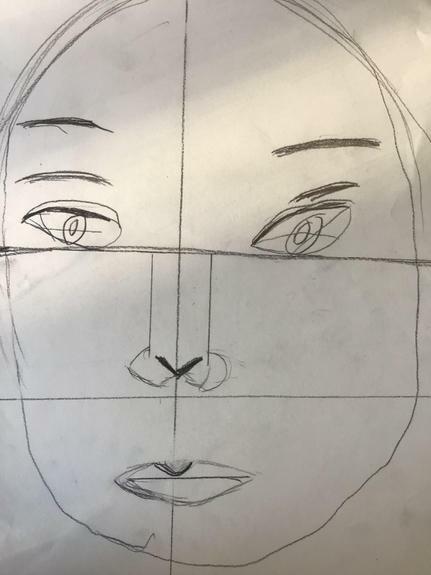 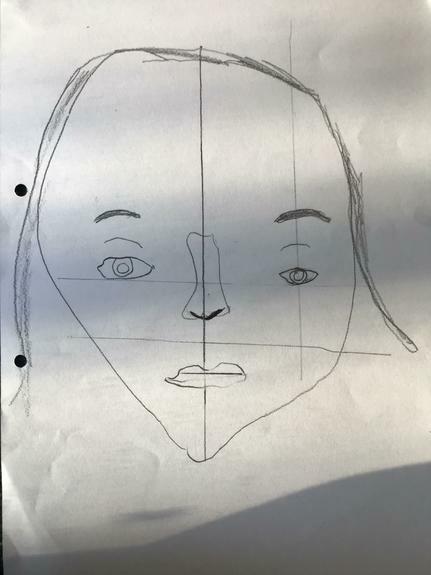 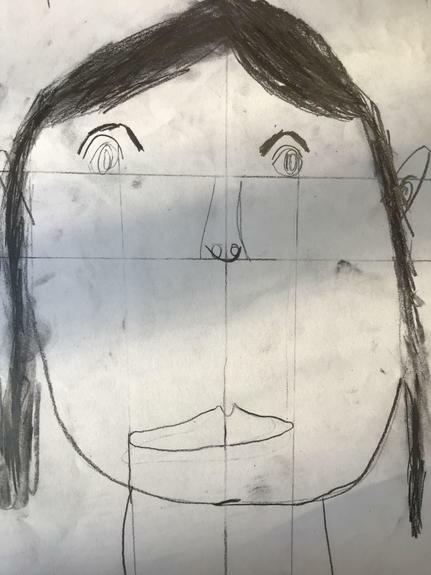 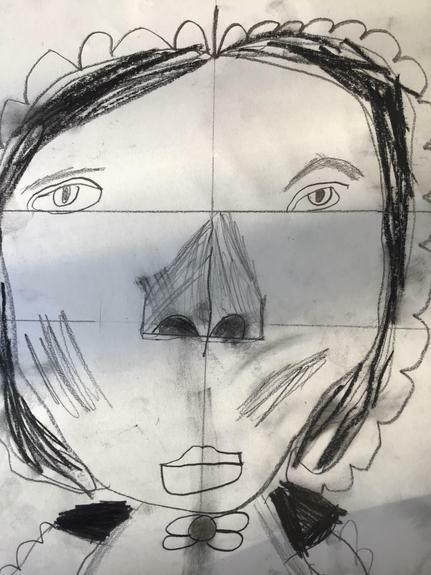 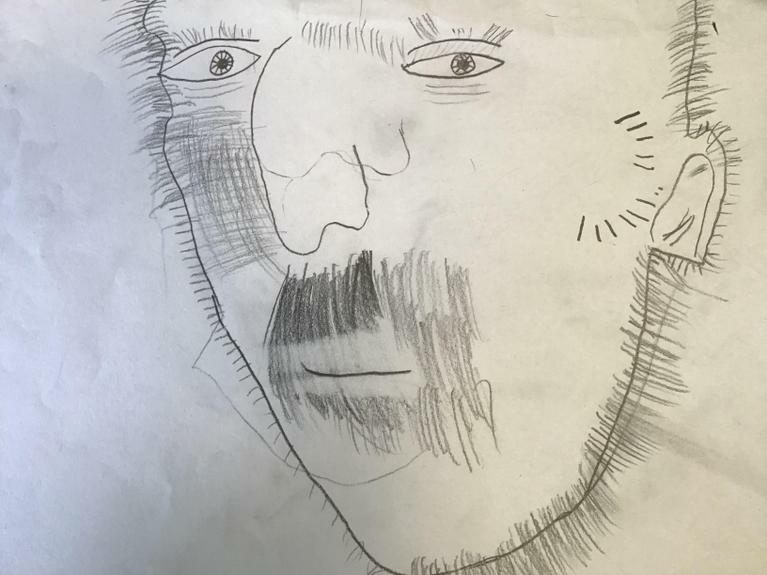 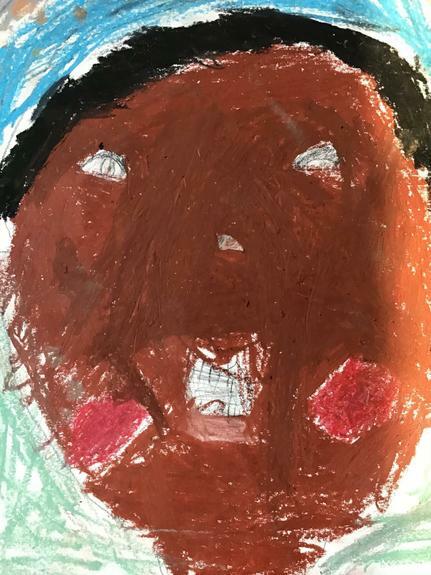 Year 2 have been learning how to draw portraits. 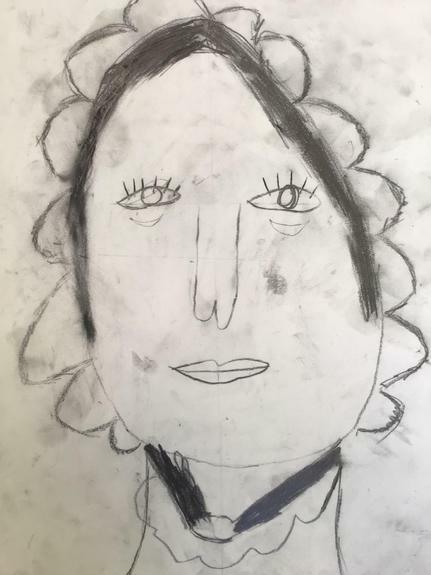 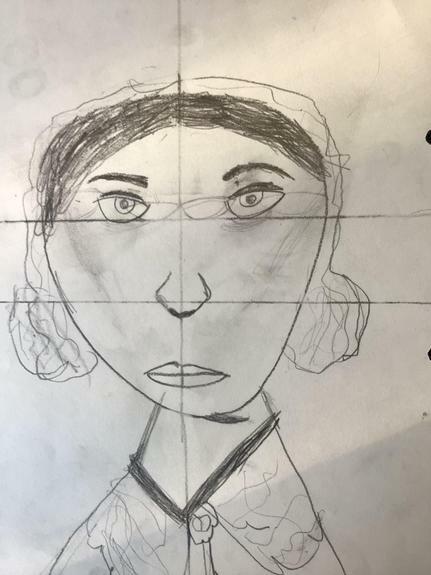 Here are their portraits of Florence Nightingale. 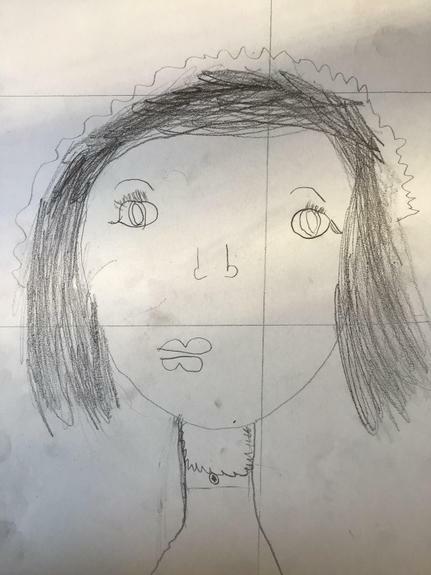 Year 2 have been learning how to draw portraits. 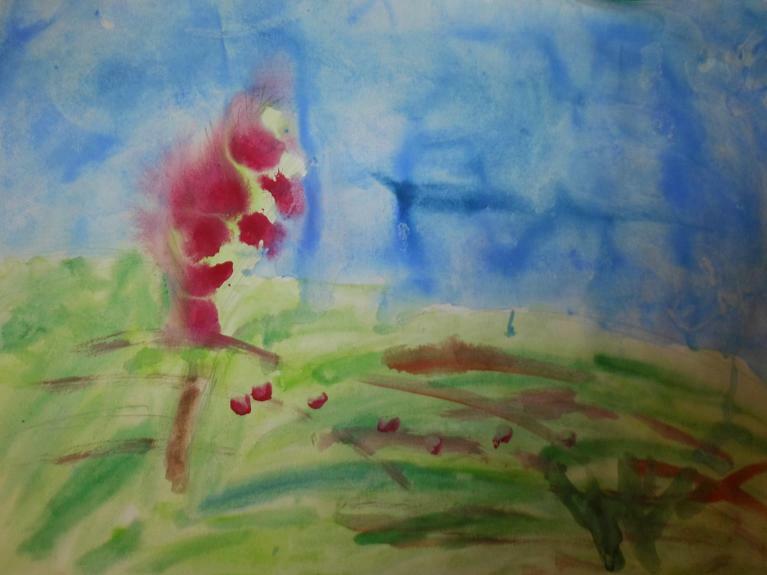 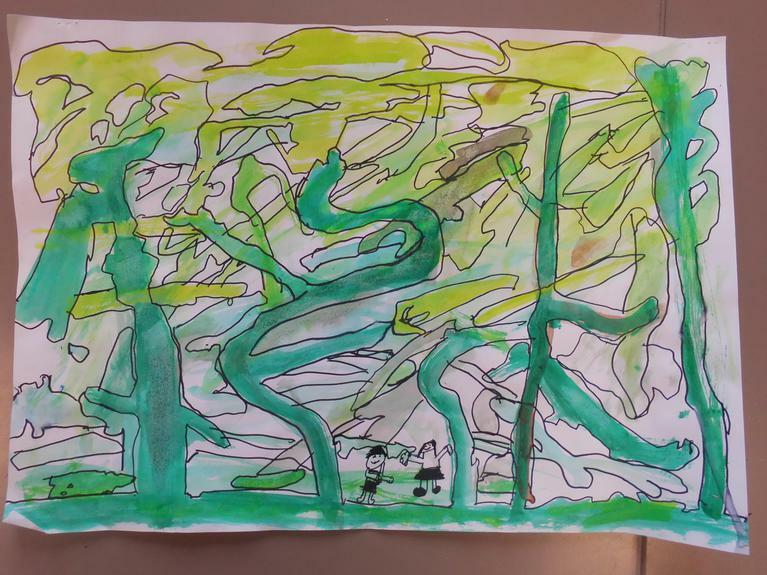 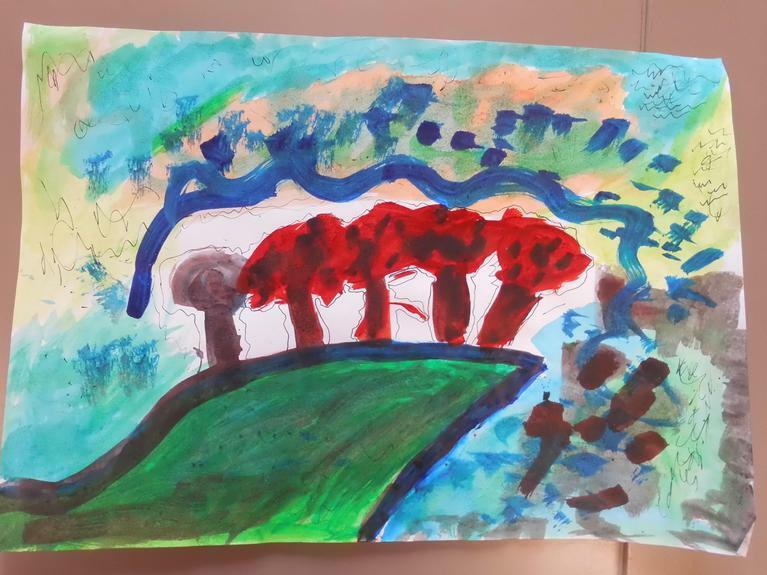 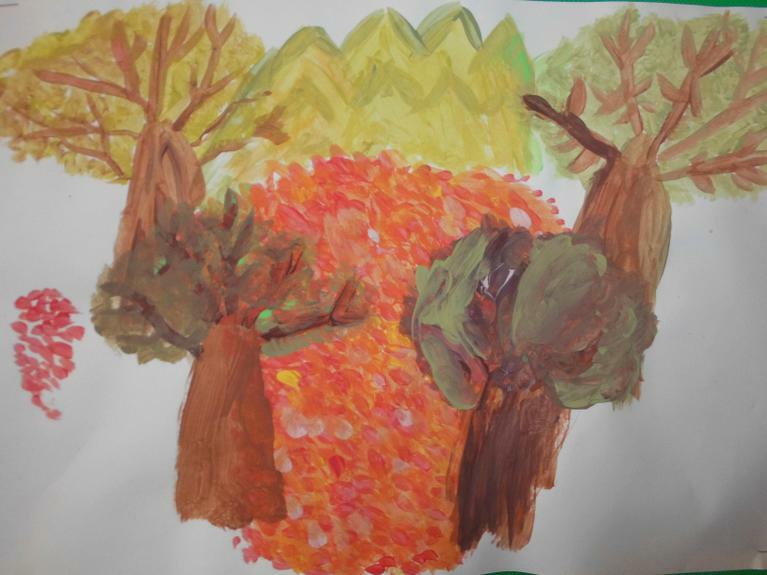 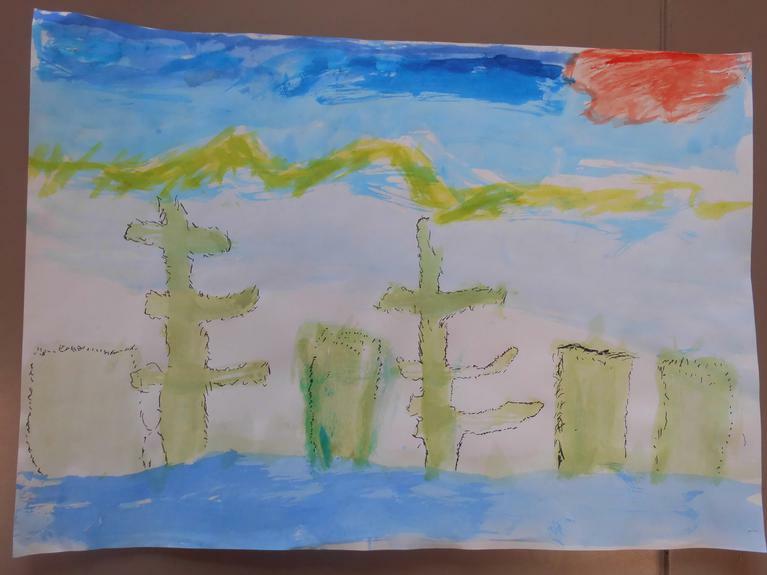 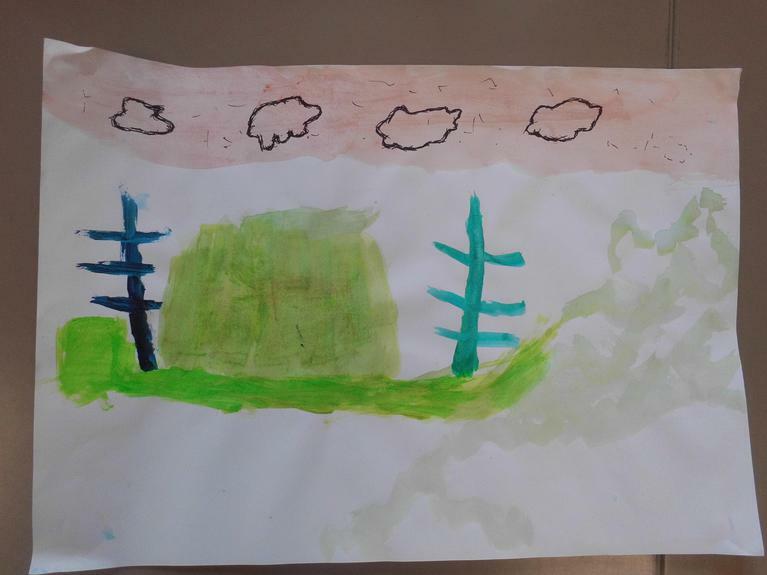 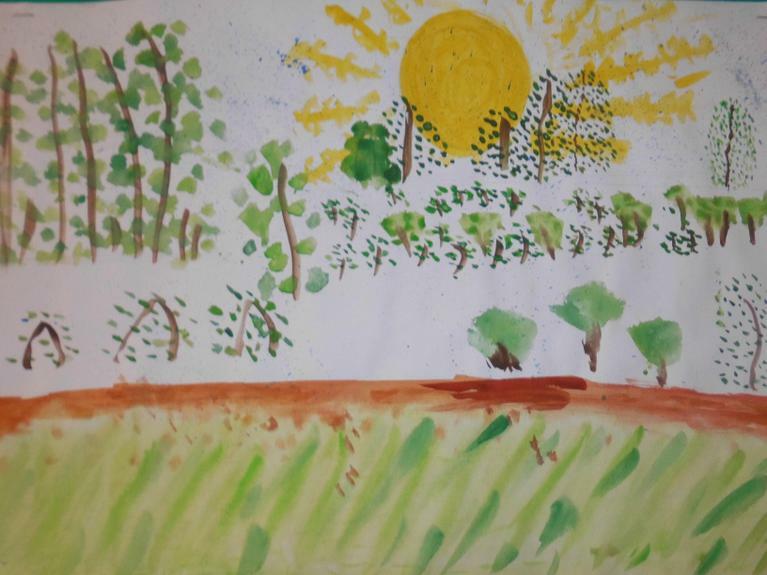 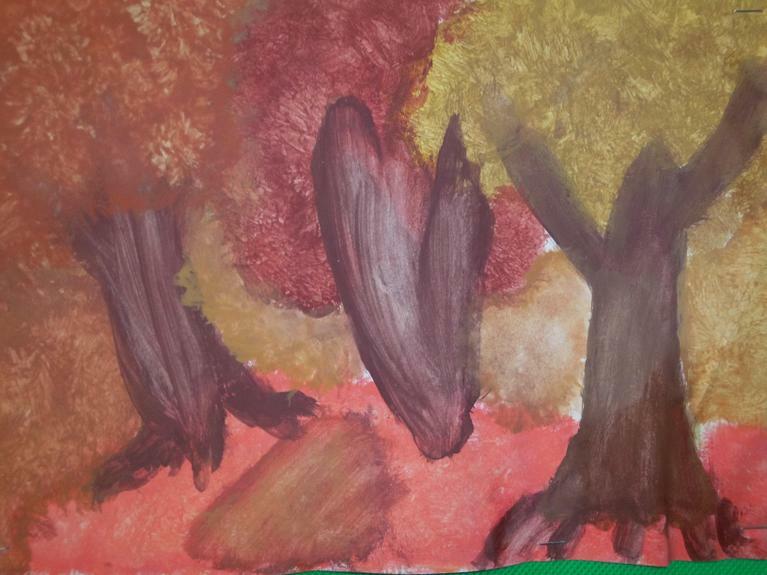 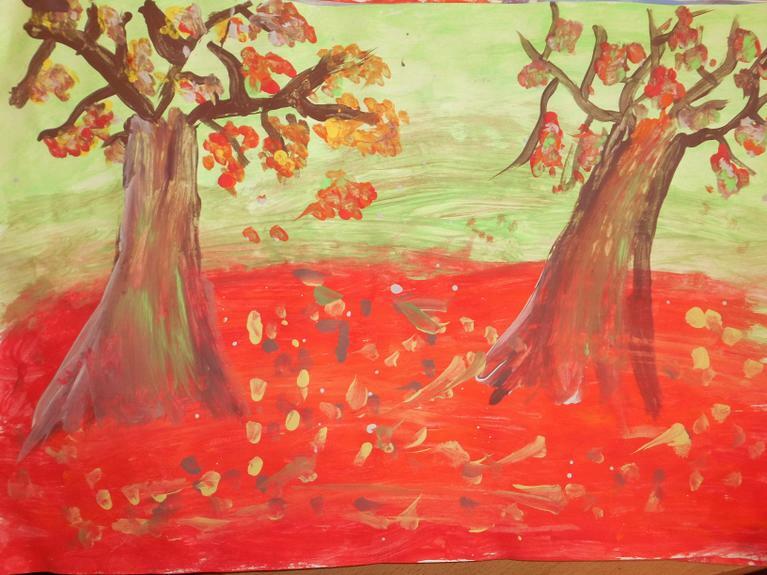 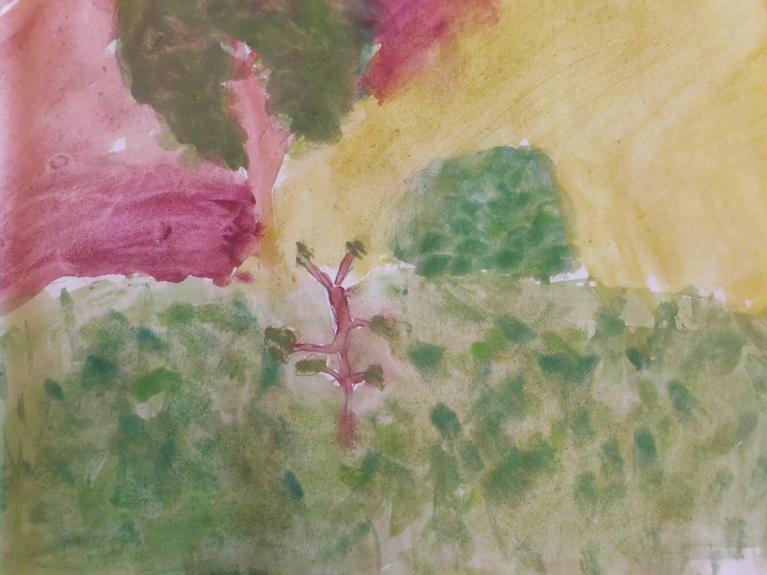 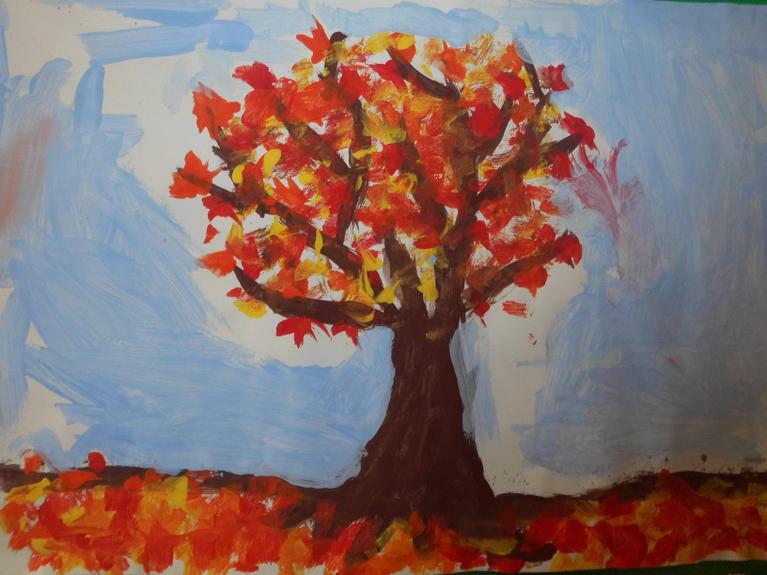 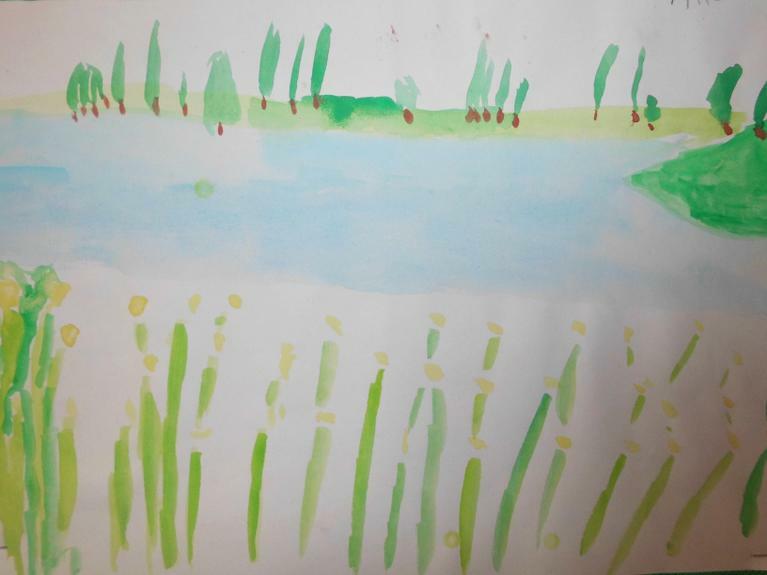 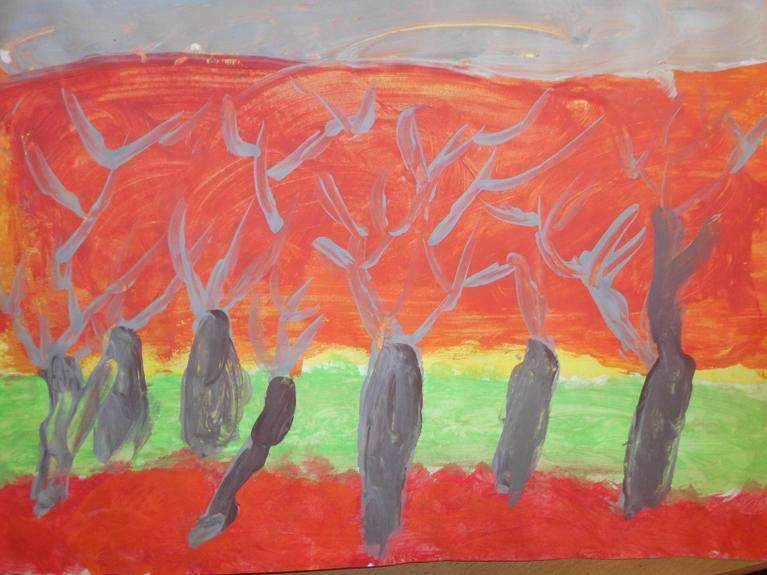 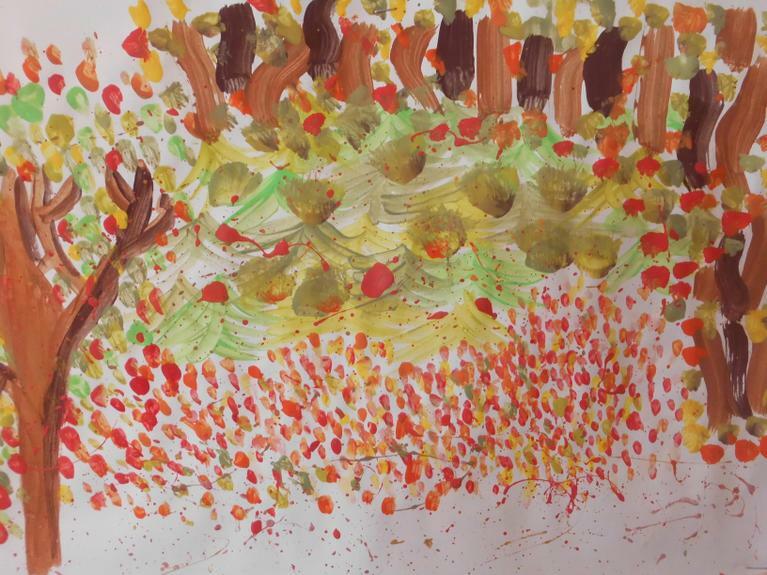 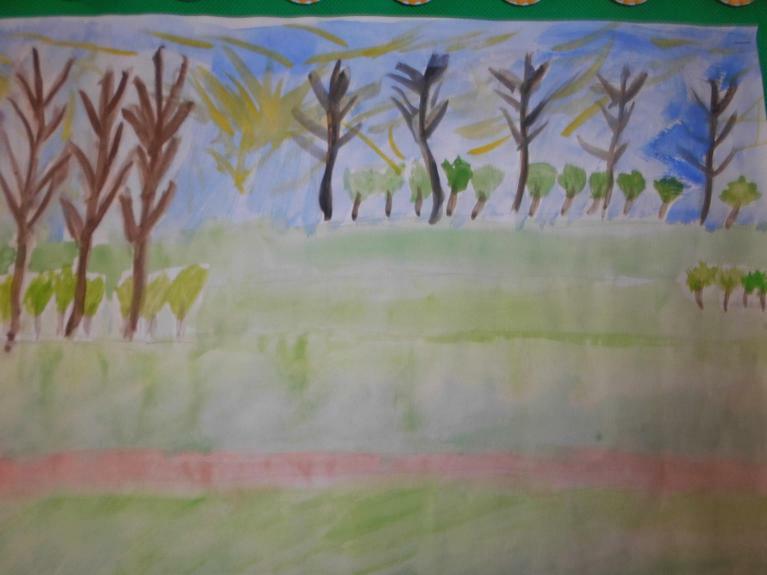 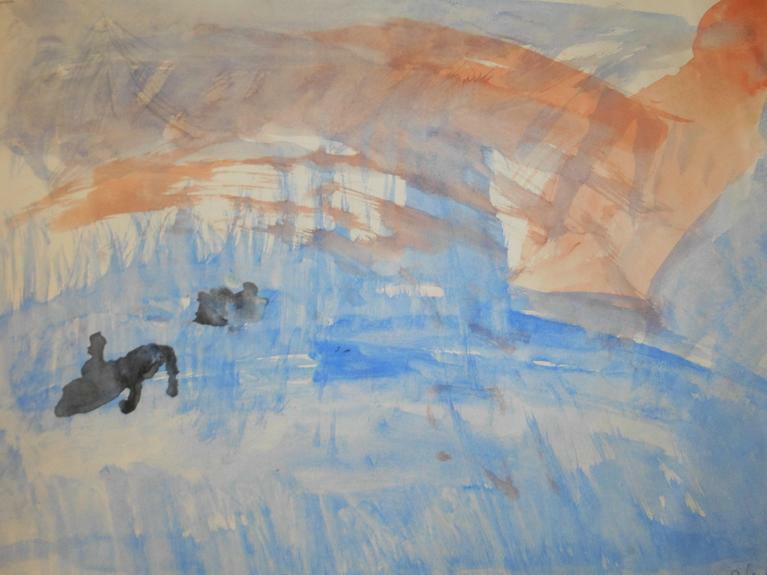 Year 6 have been learning about Impressionism. 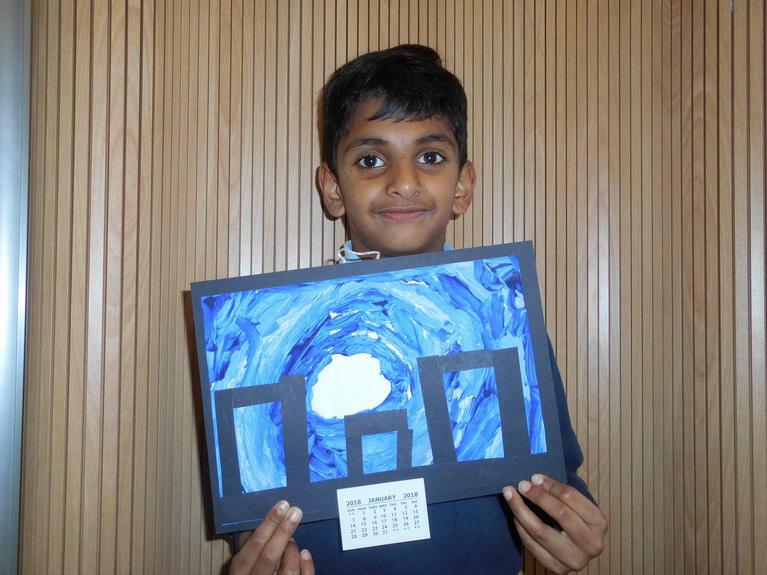 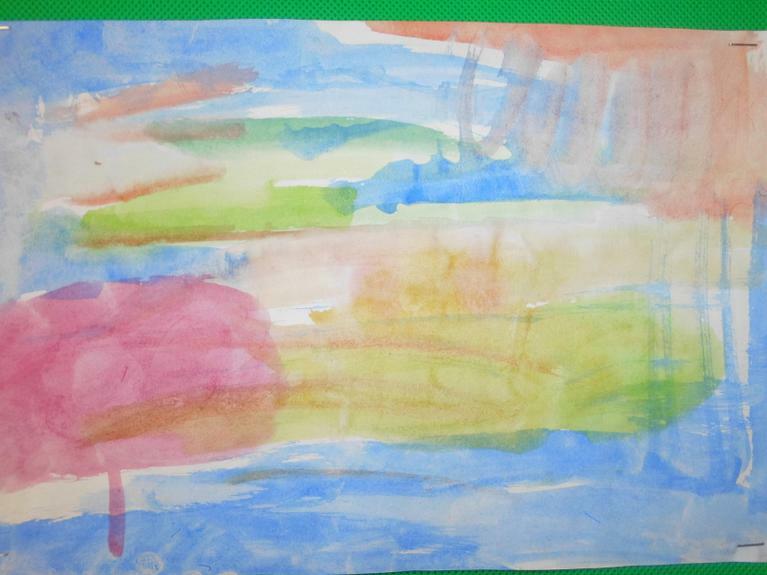 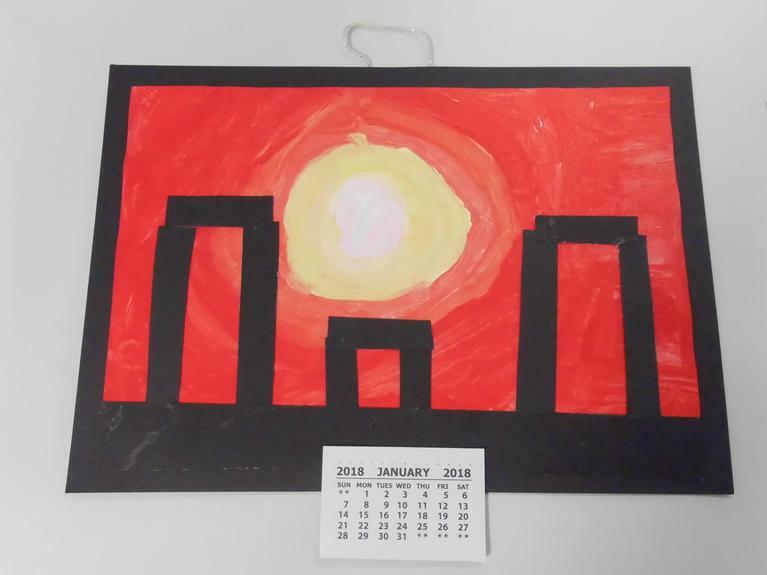 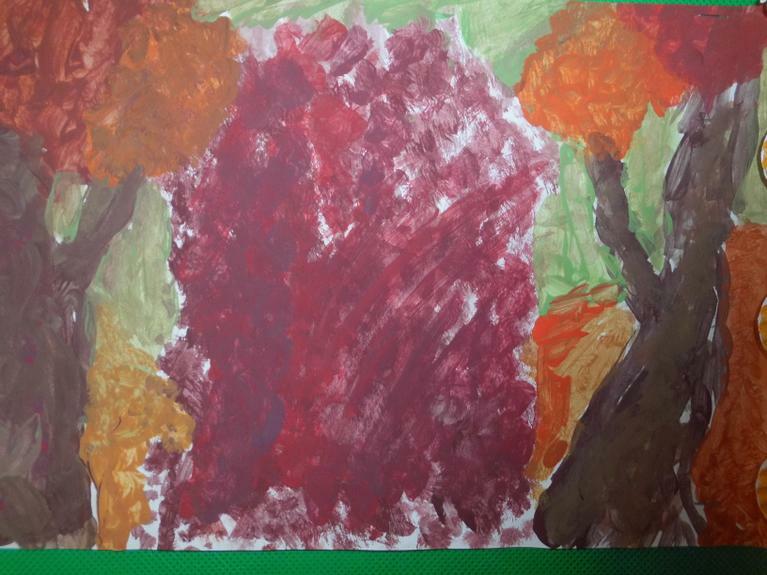 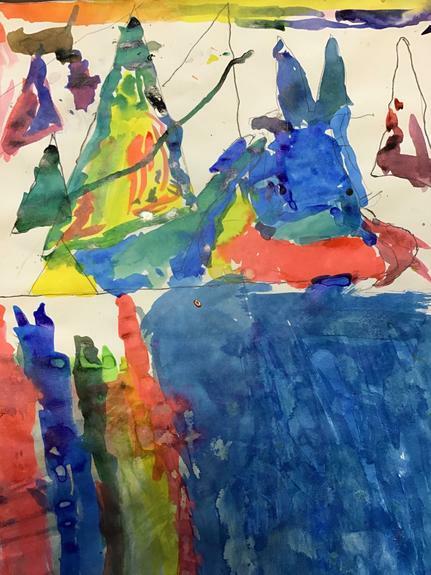 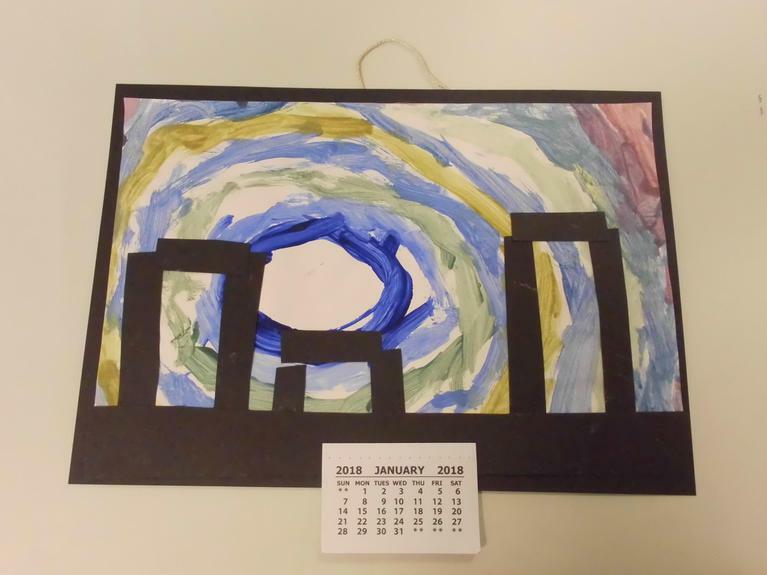 Here are some of their paintings using this style. 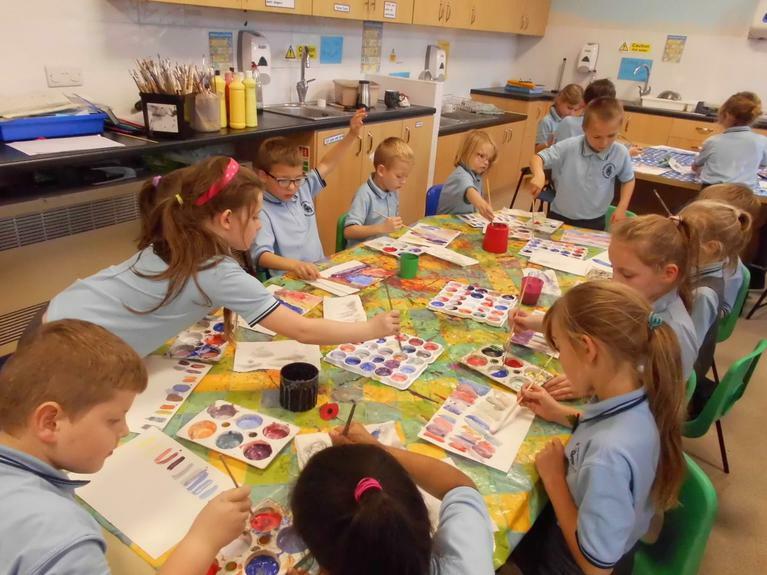 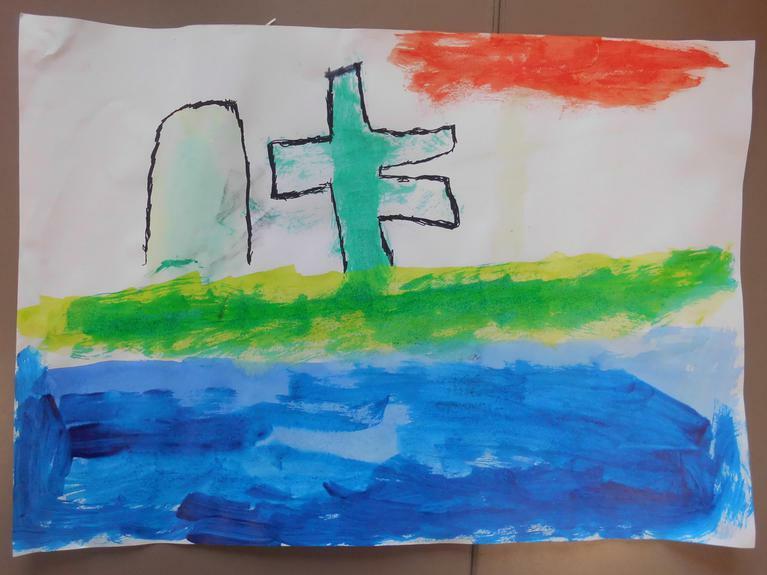 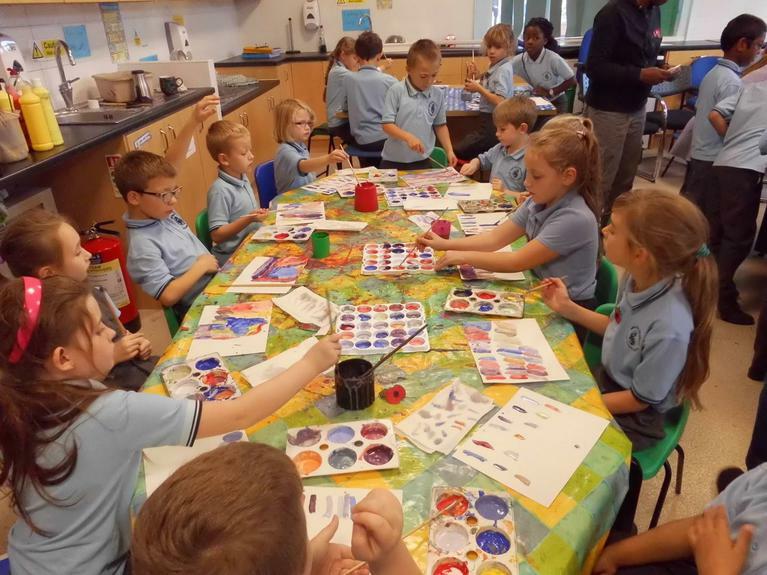 Year 3 practised colour mixing . 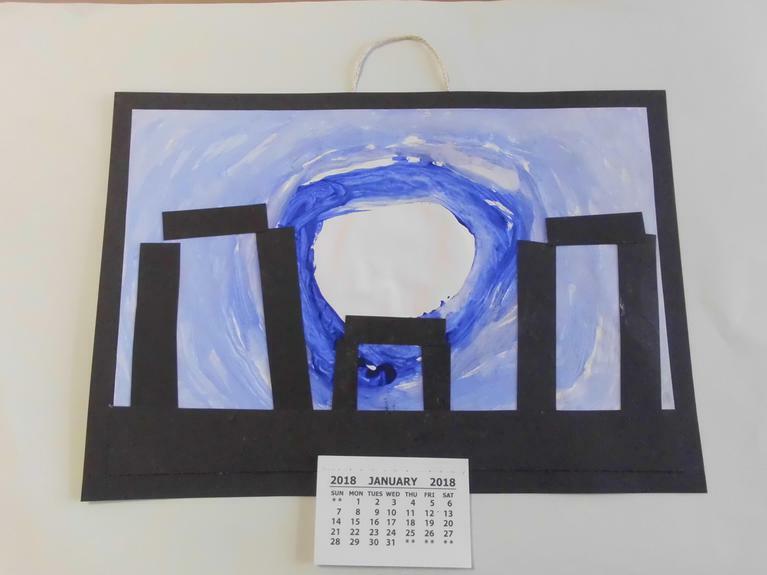 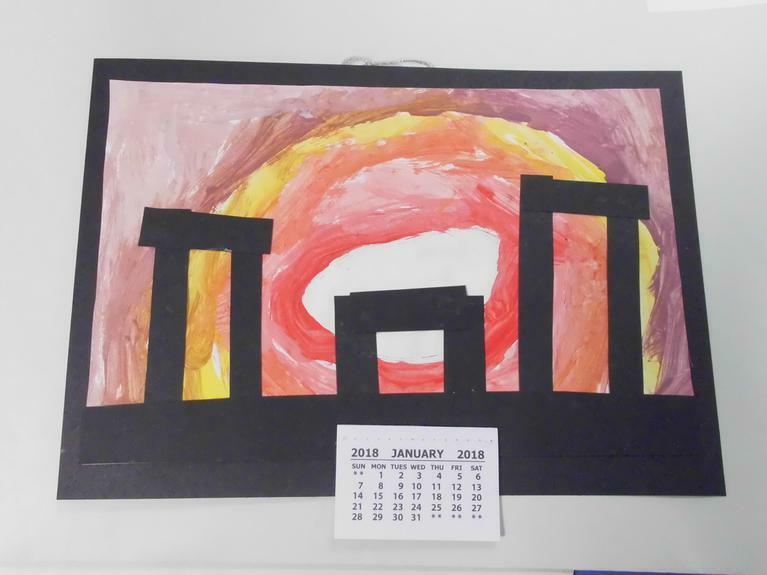 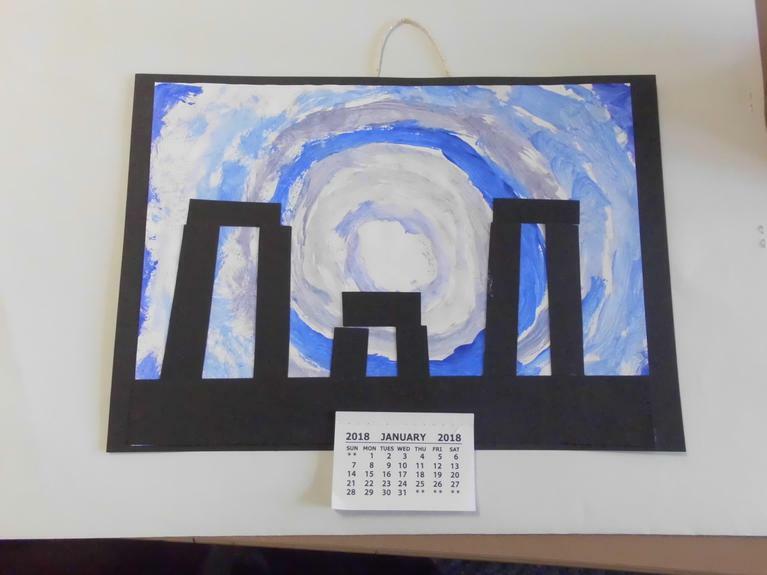 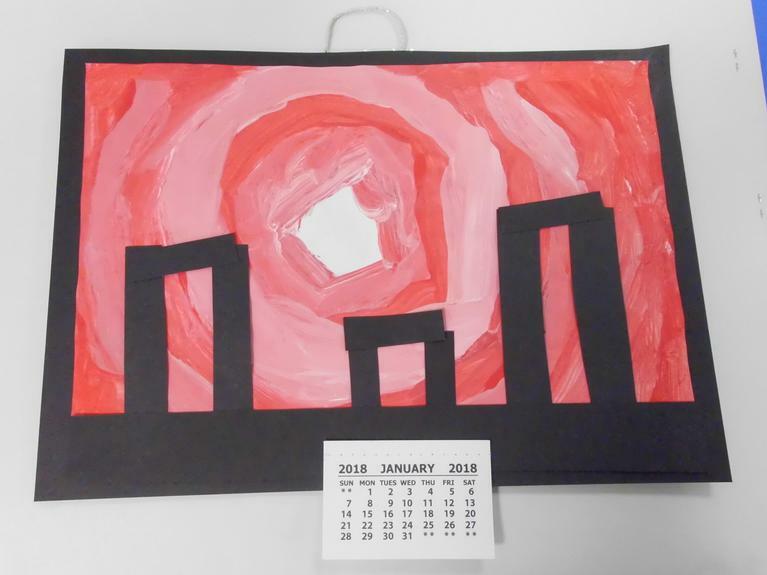 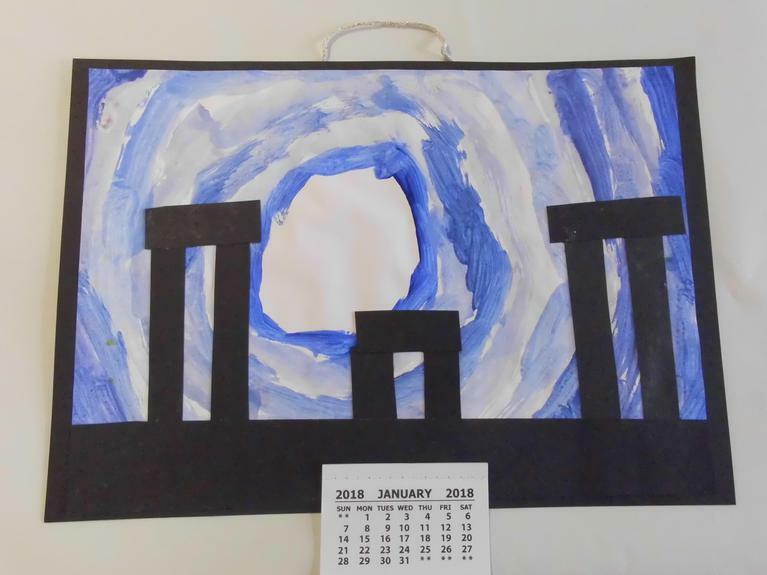 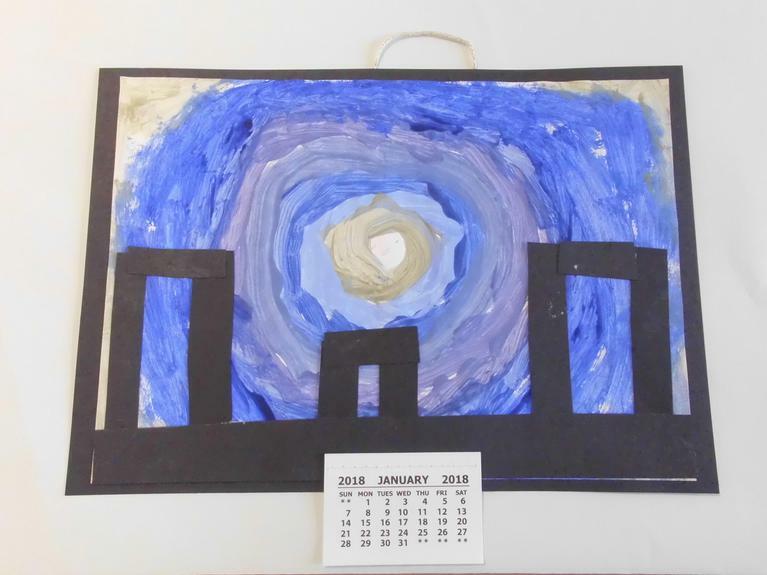 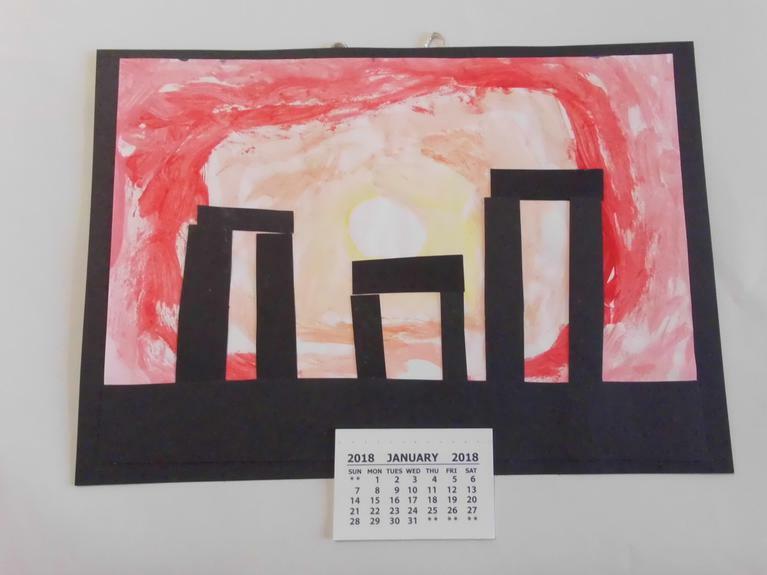 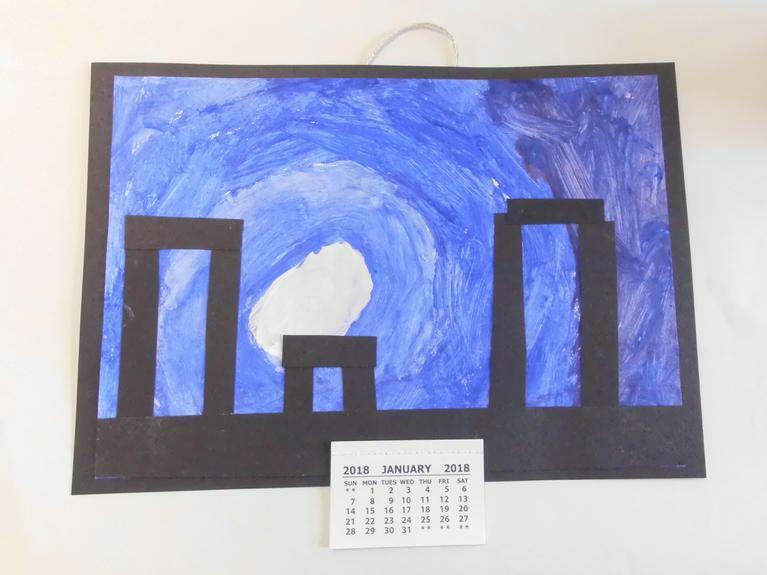 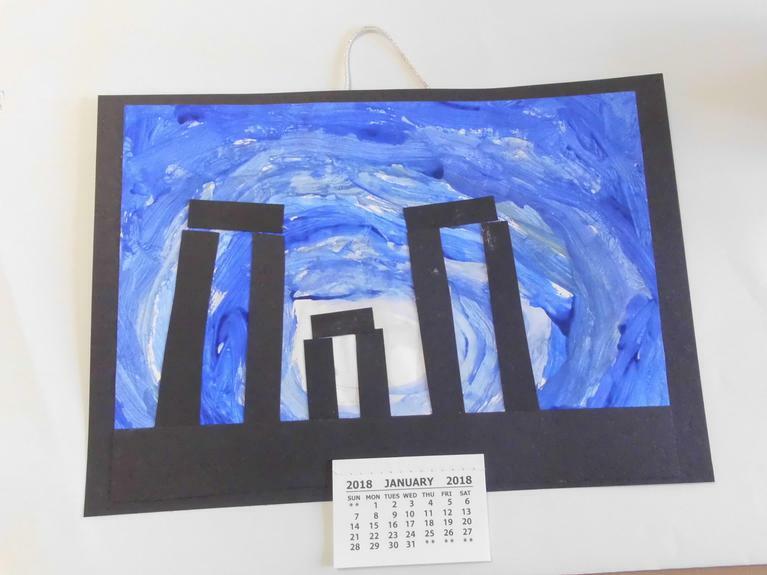 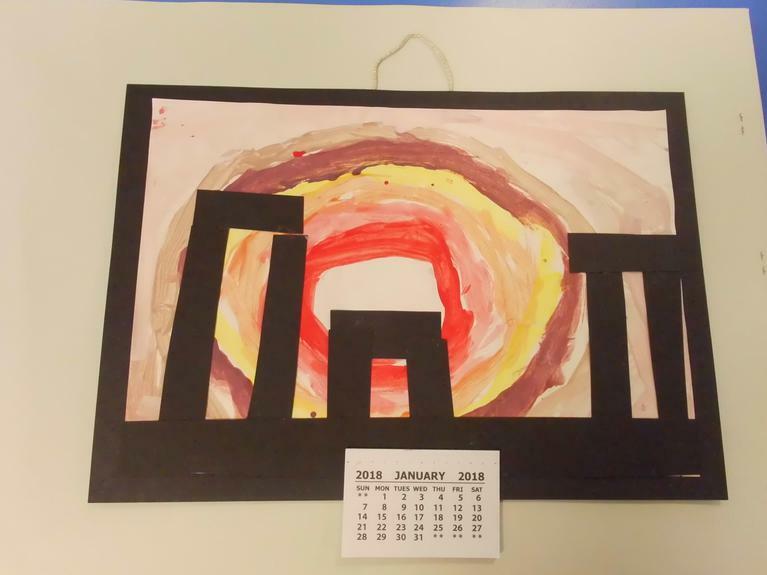 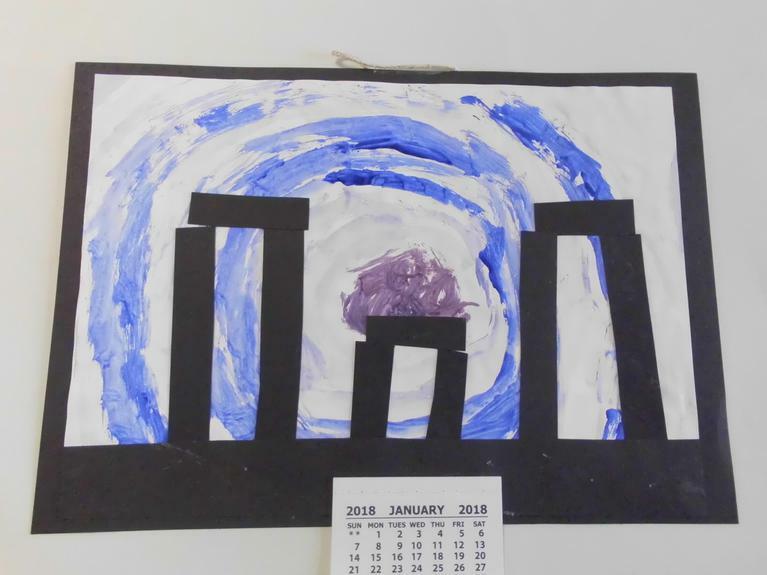 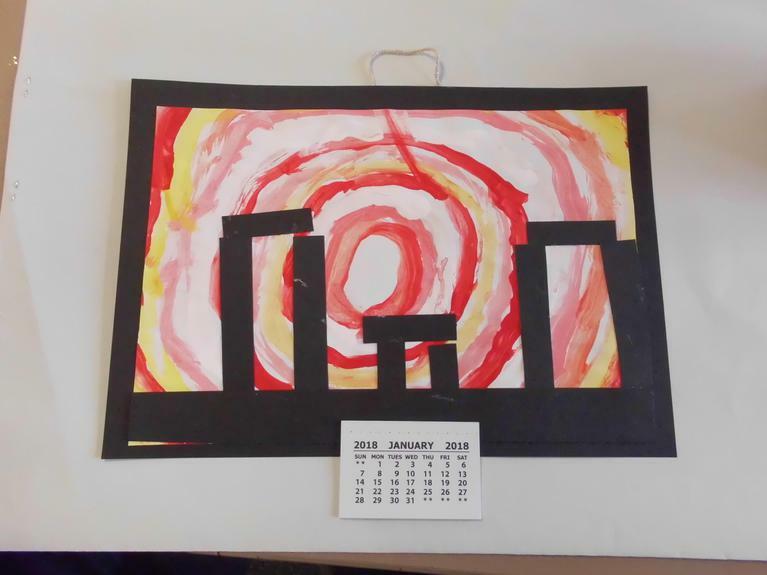 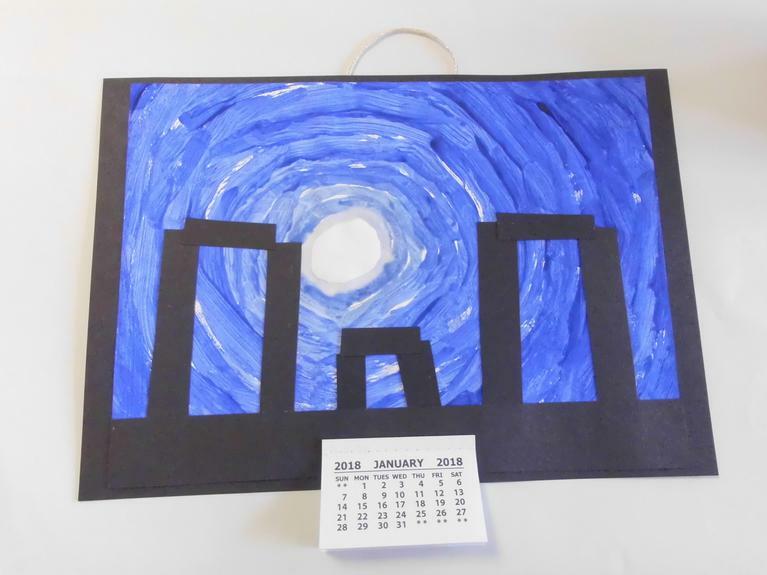 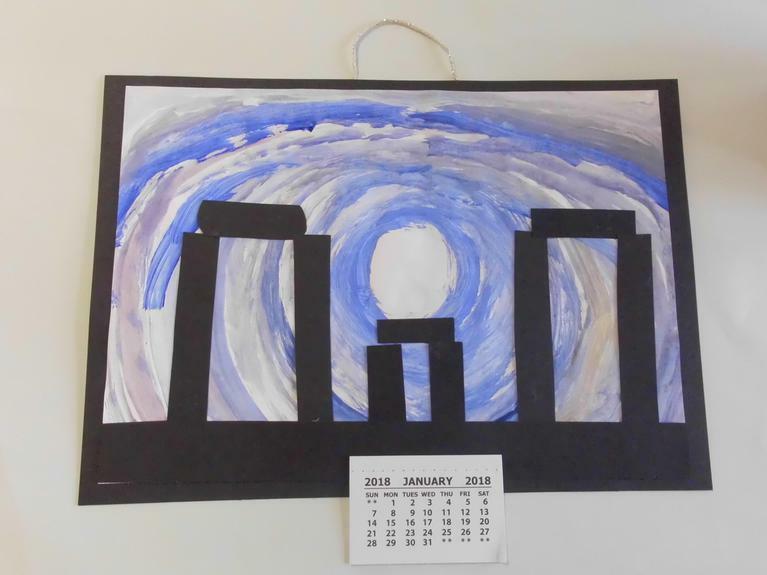 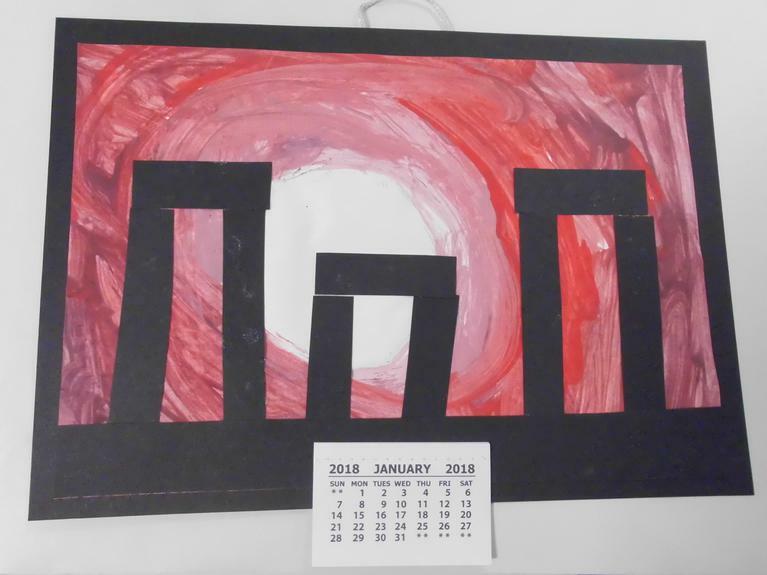 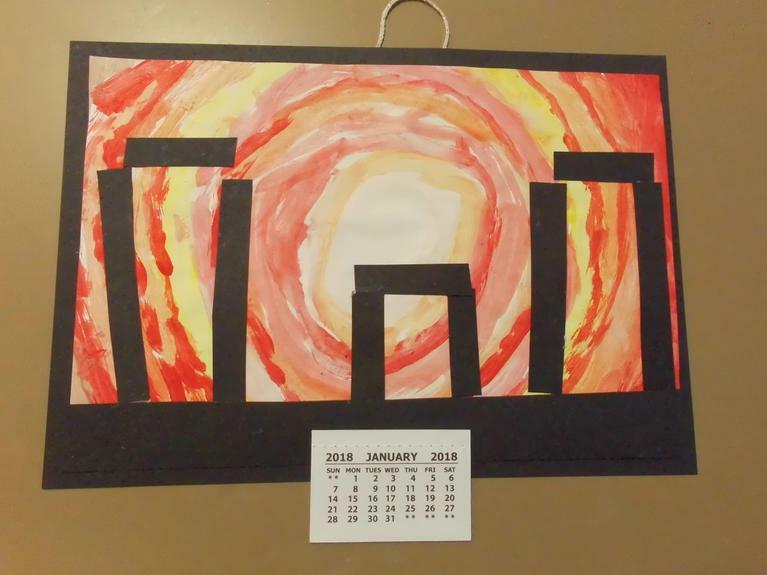 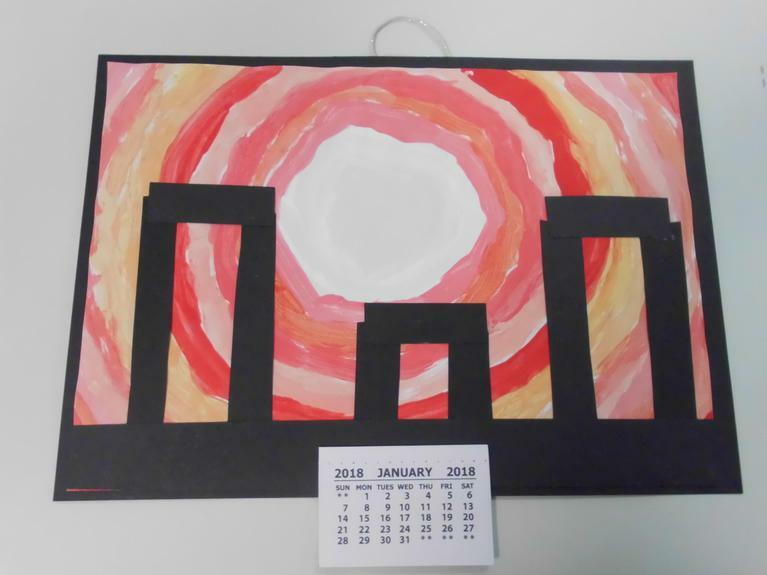 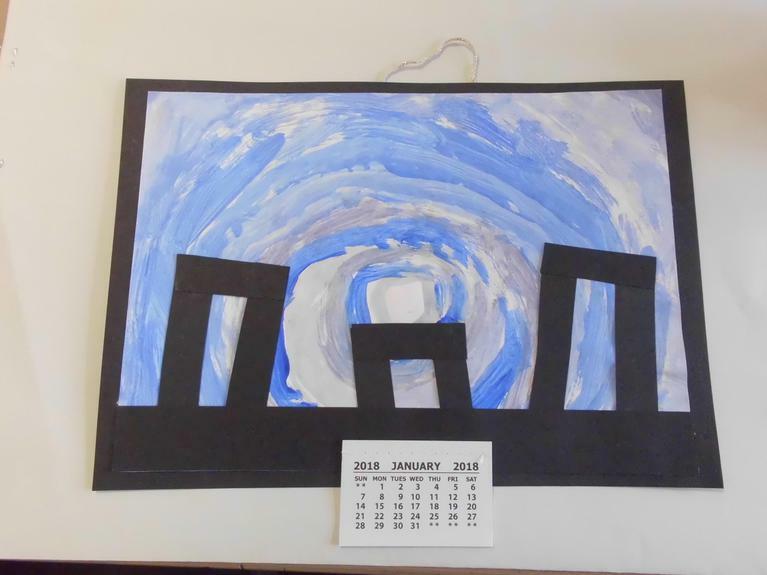 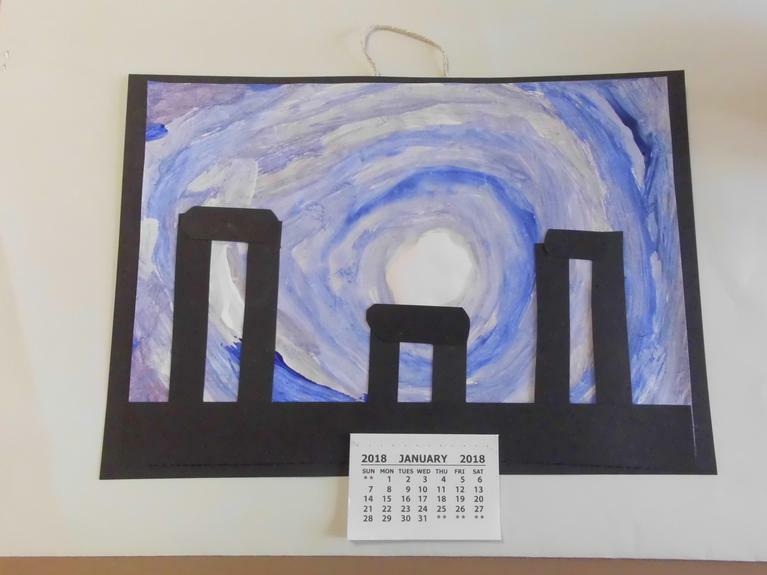 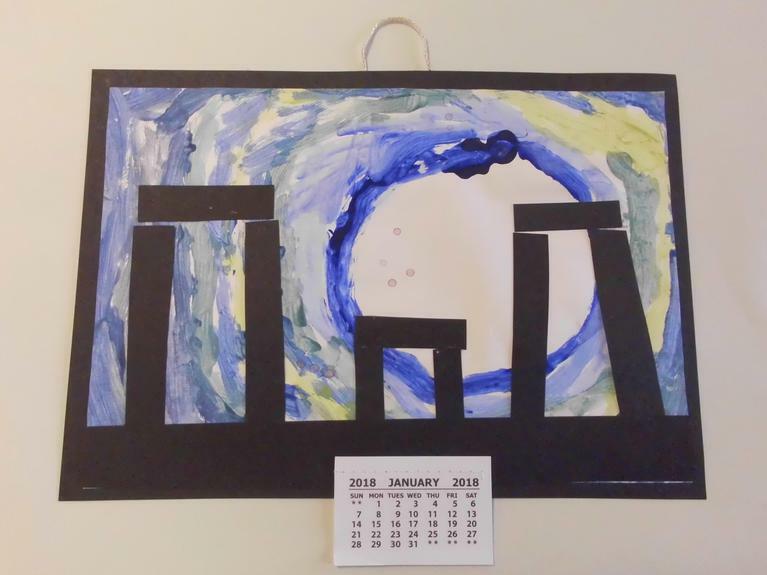 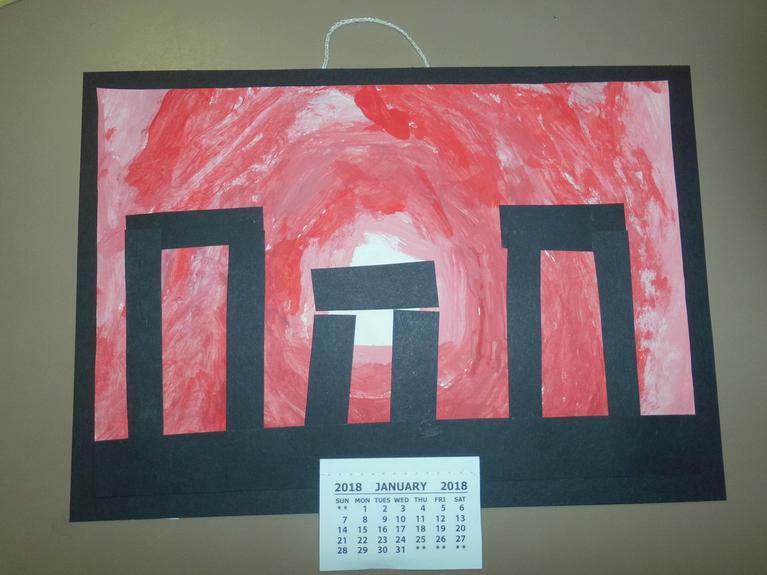 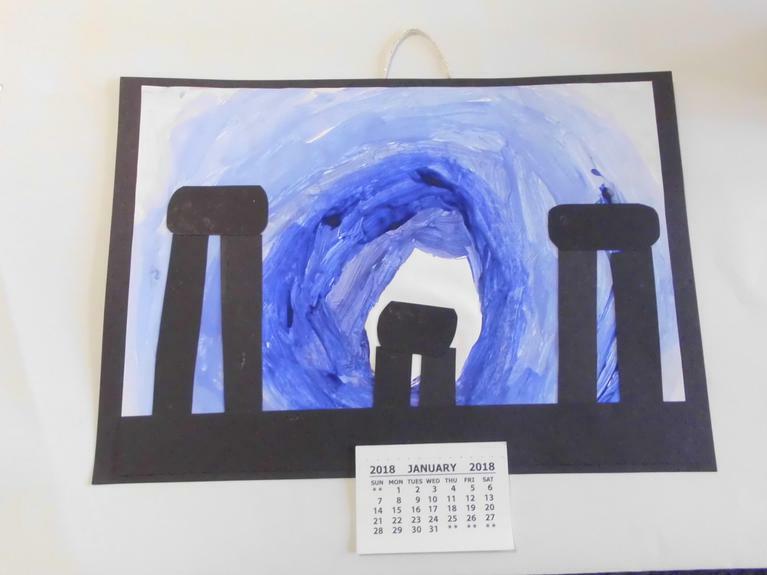 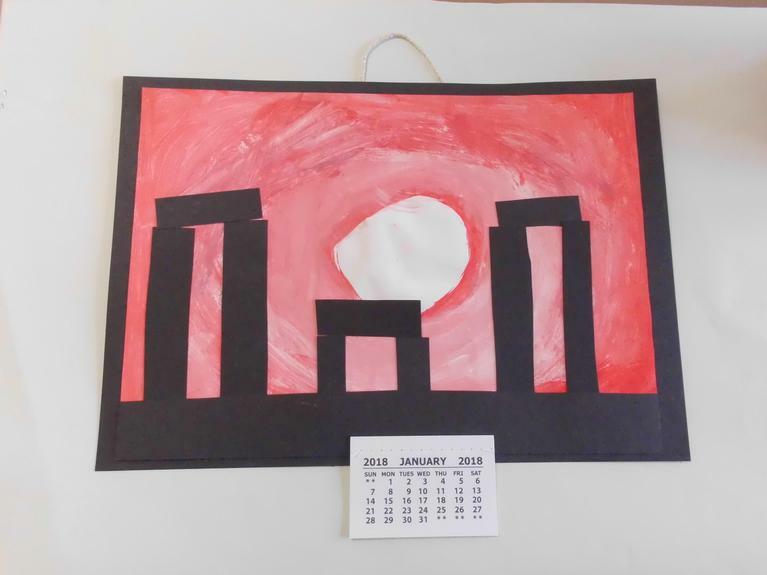 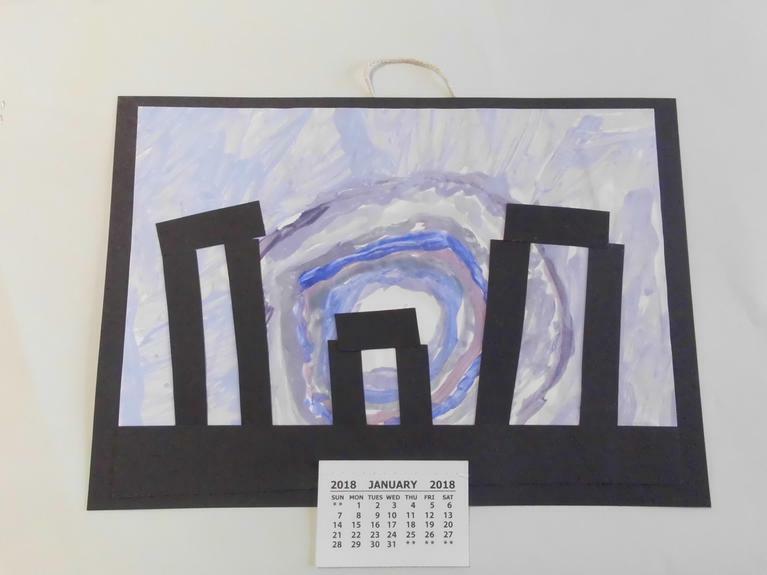 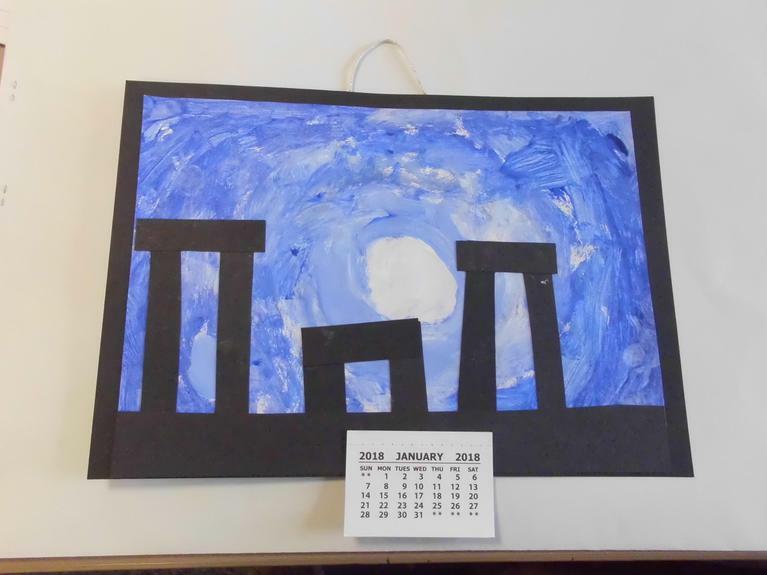 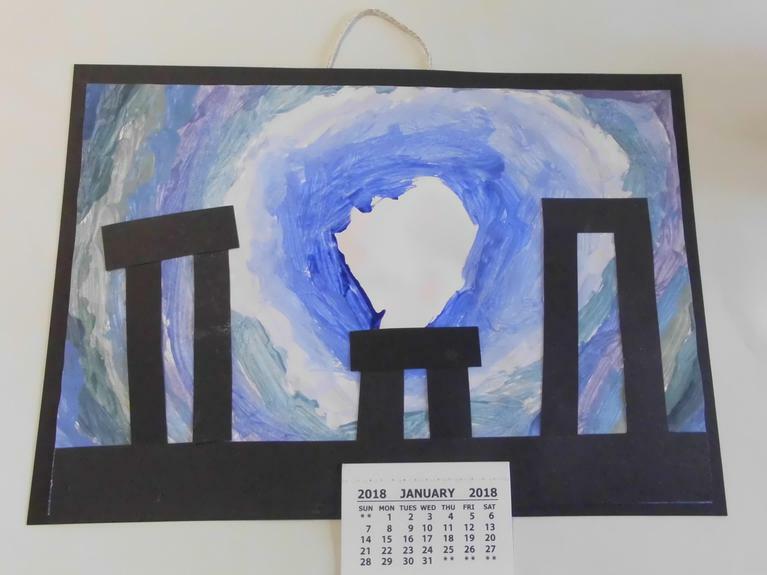 They went on to make paintings of the winter and summer solstice at Stonehenge. 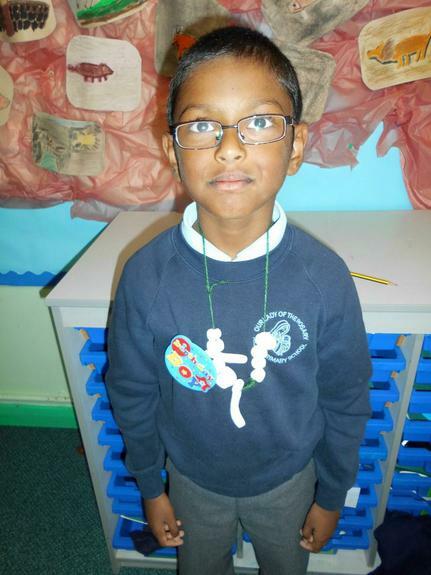 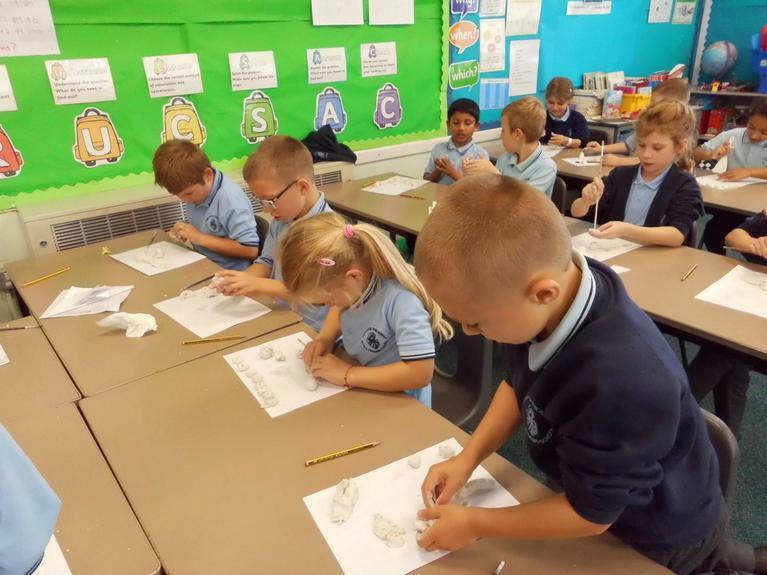 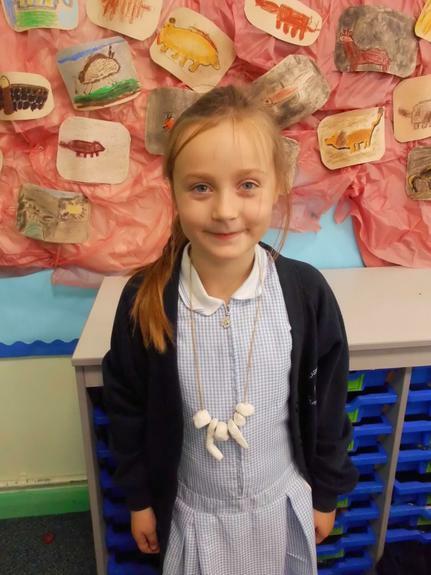 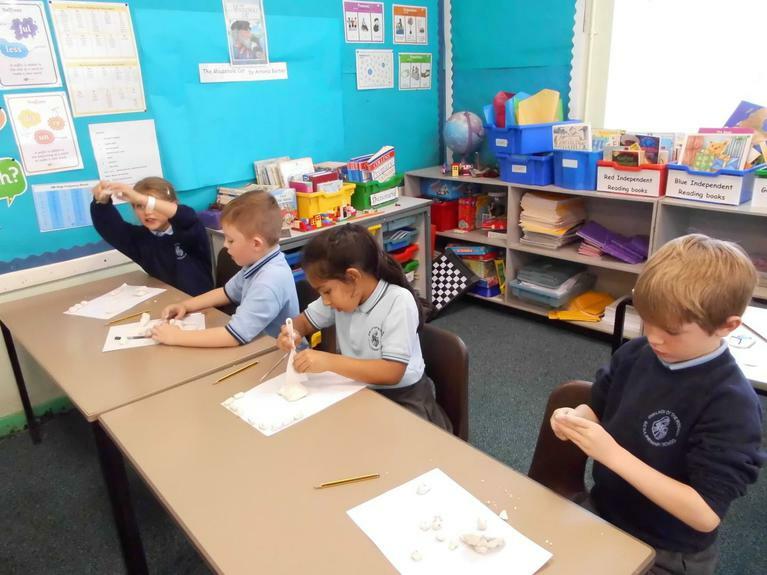 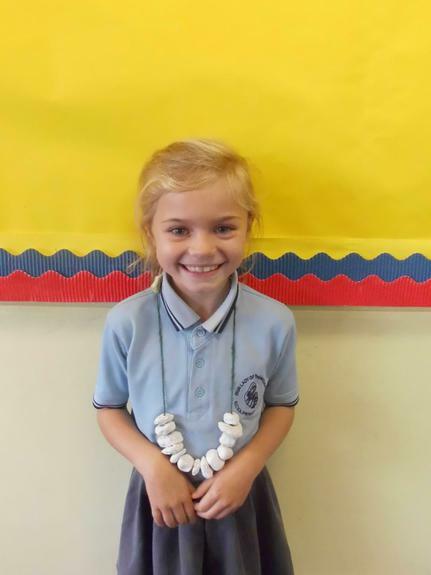 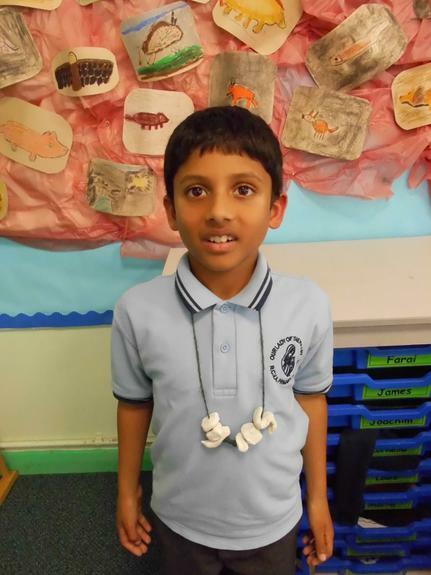 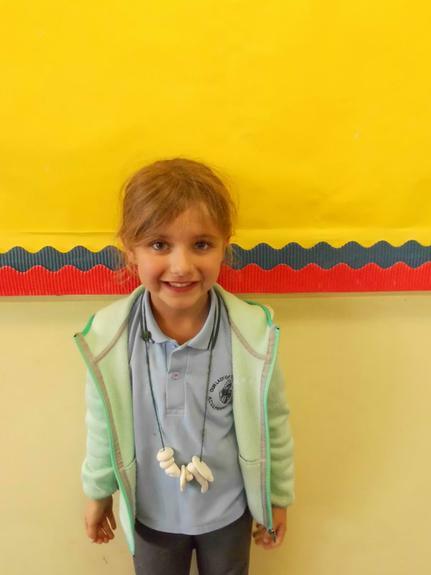 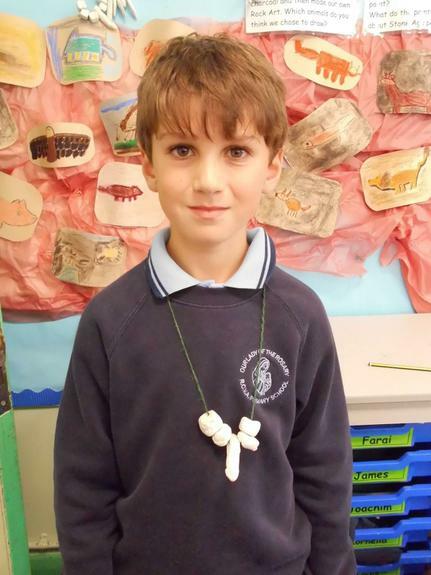 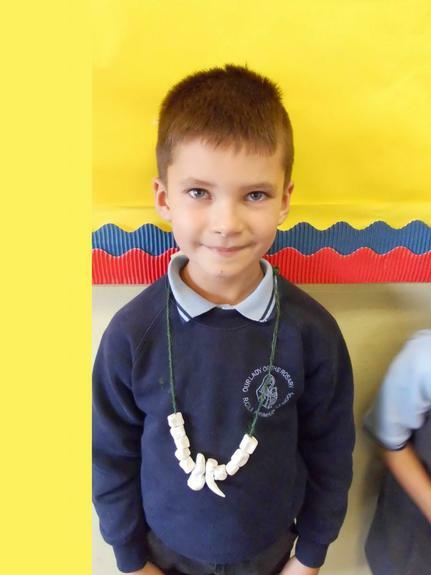 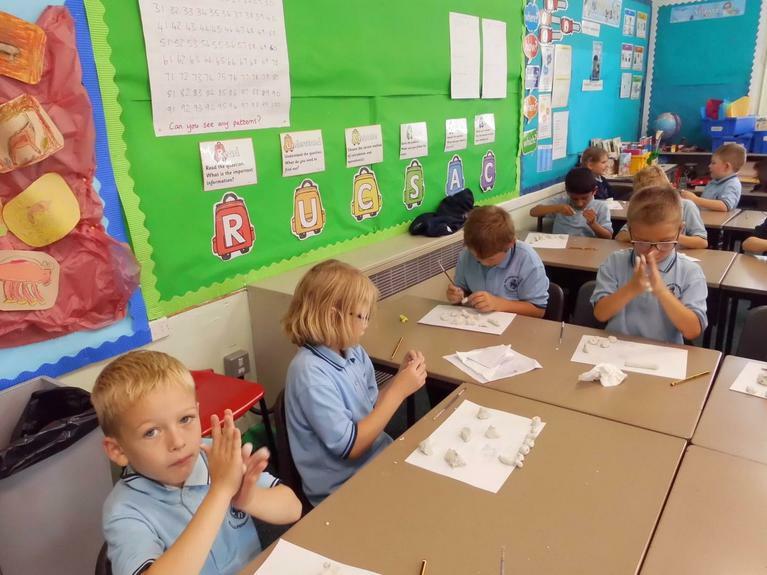 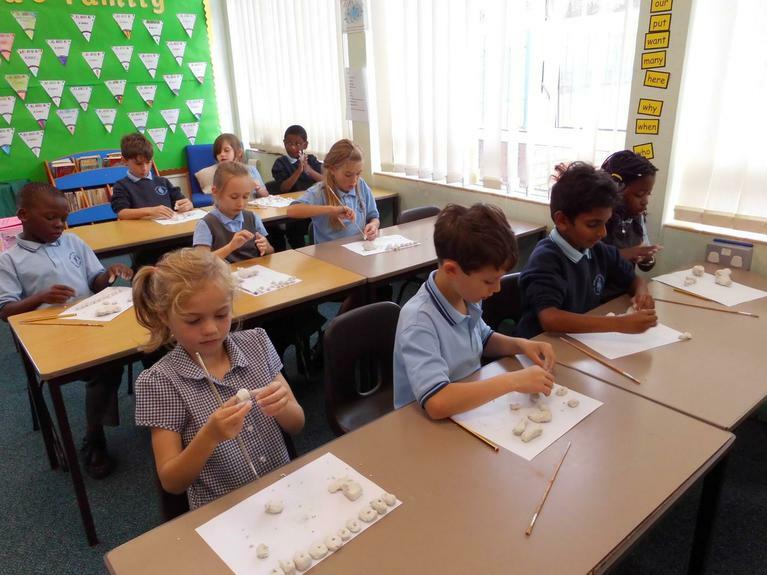 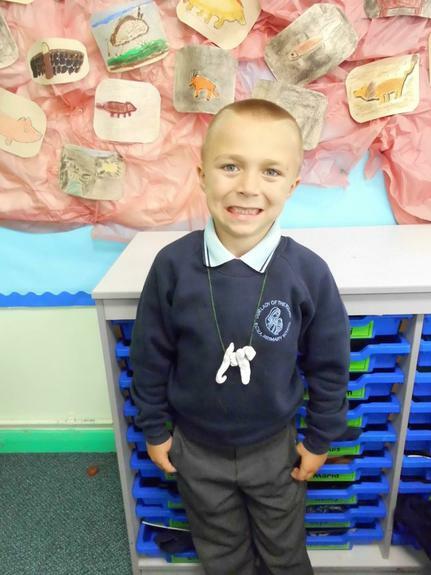 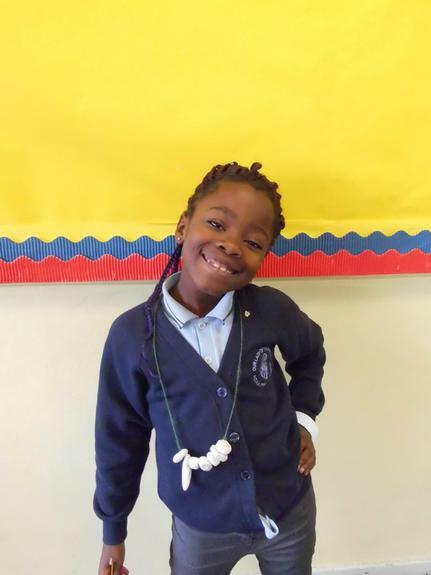 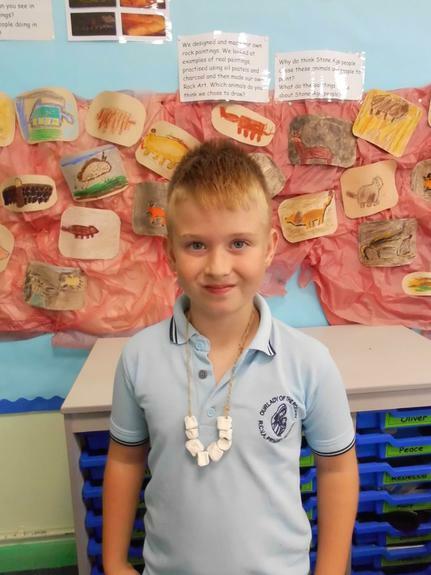 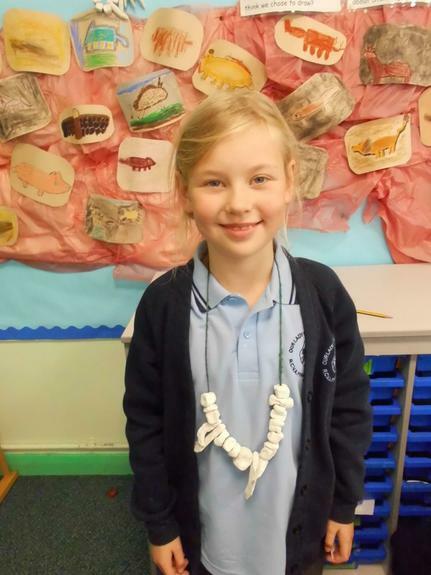 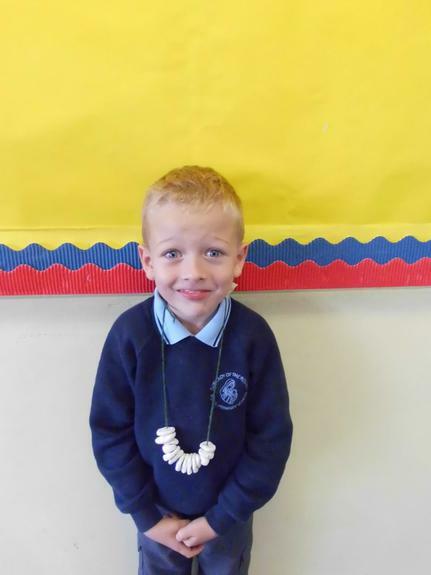 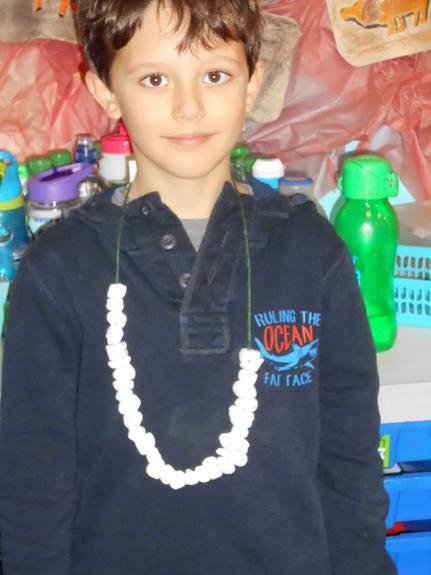 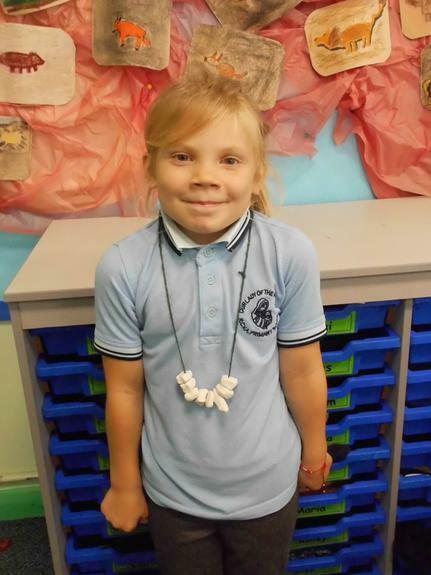 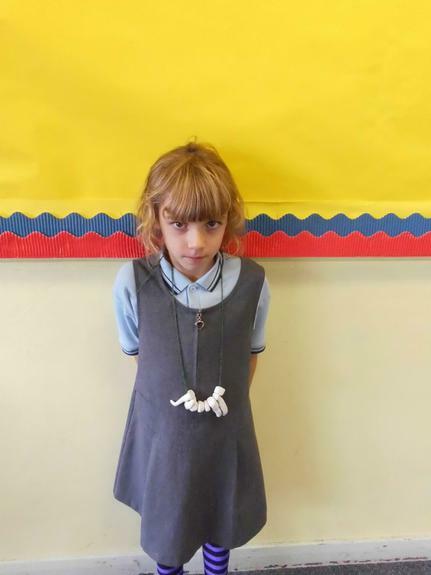 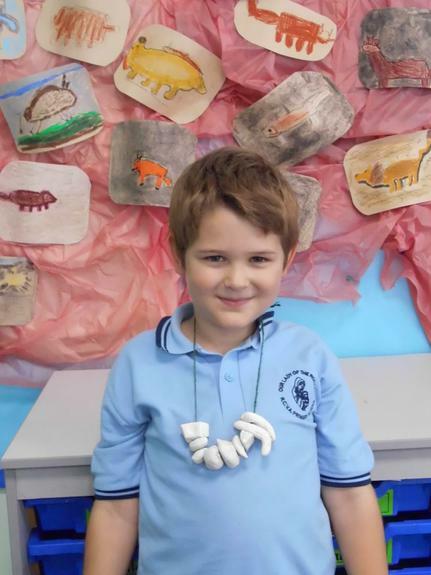 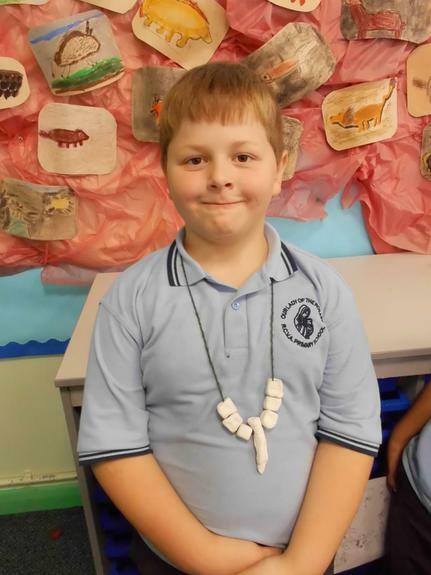 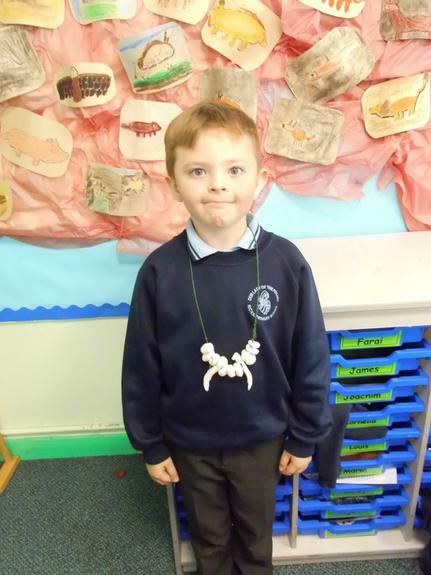 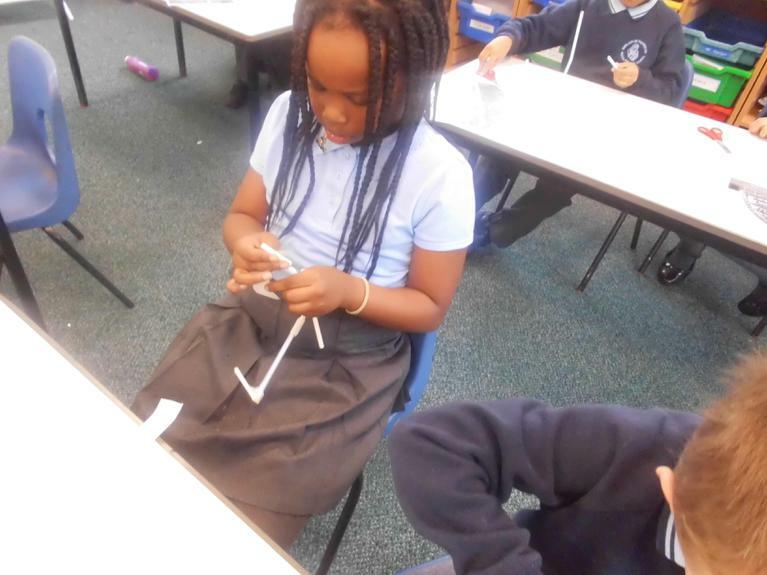 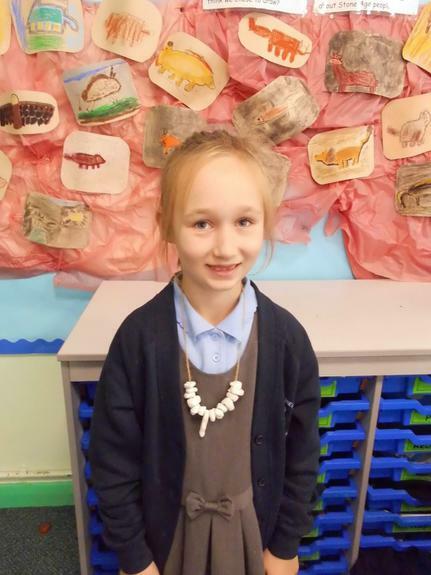 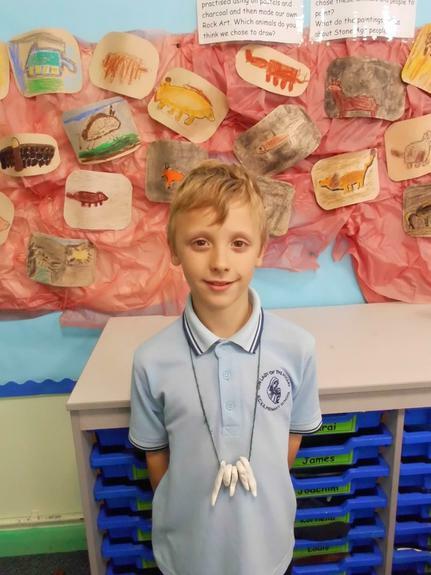 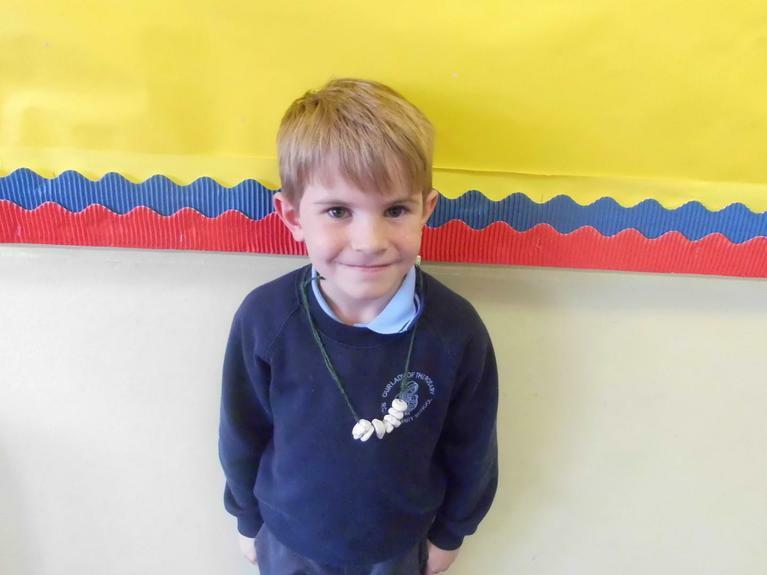 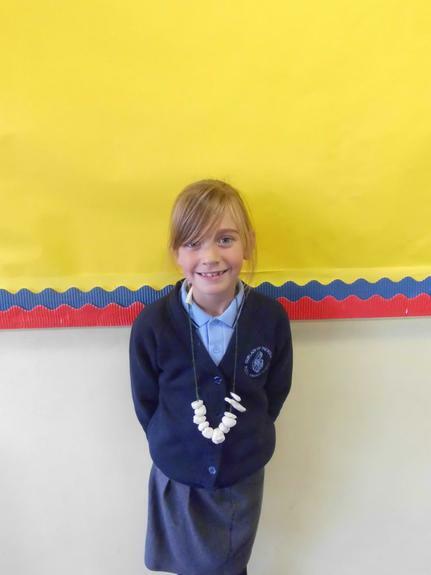 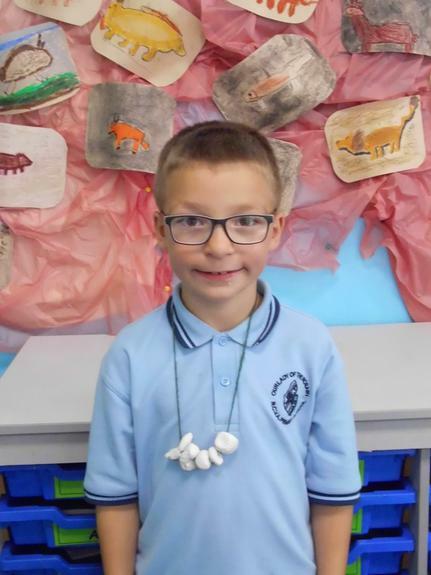 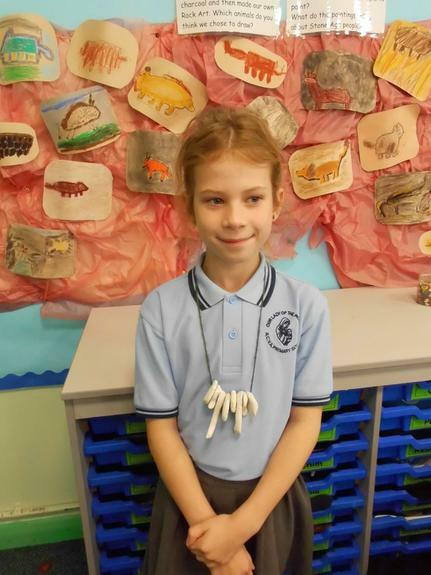 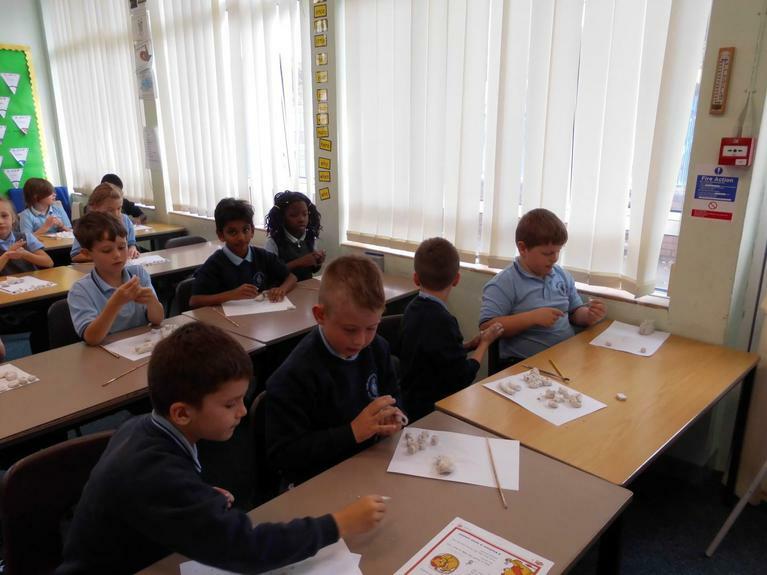 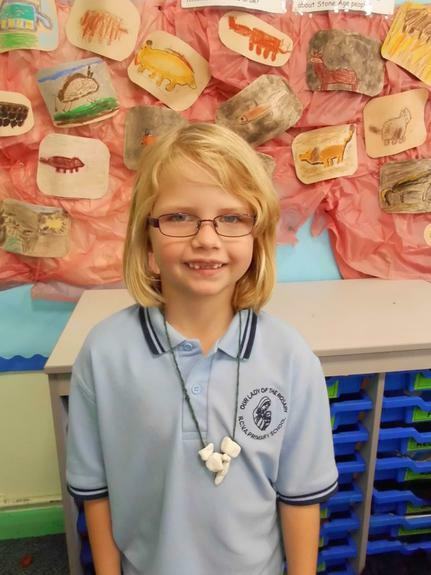 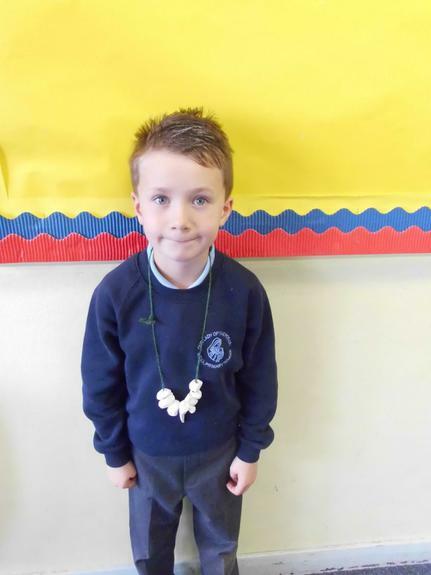 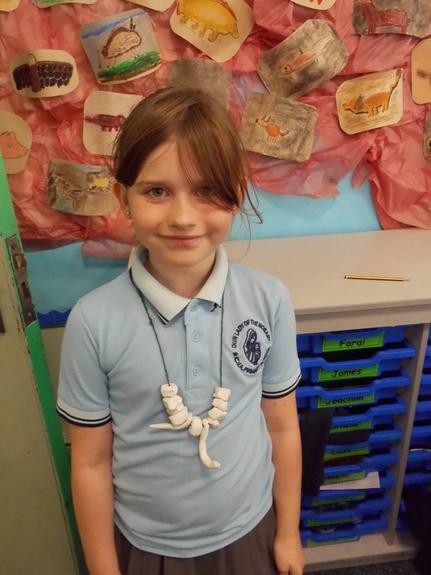 Year 3 used clay to make Stone Age necklaces. 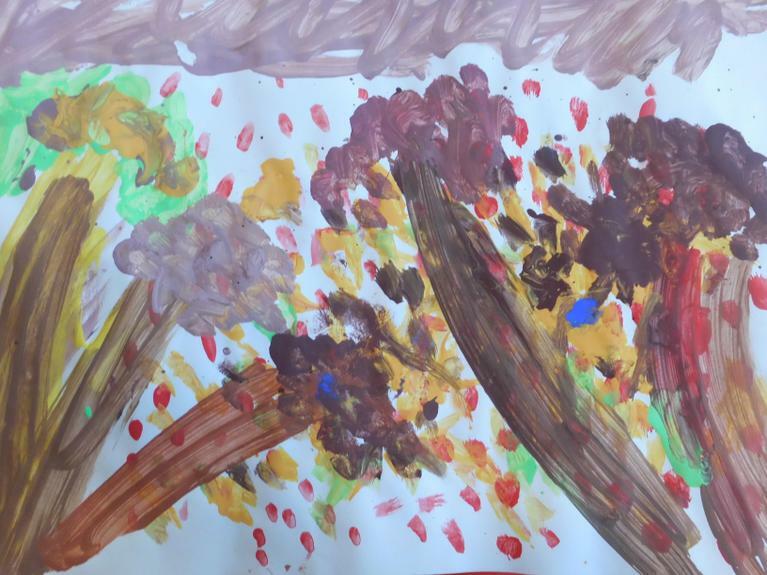 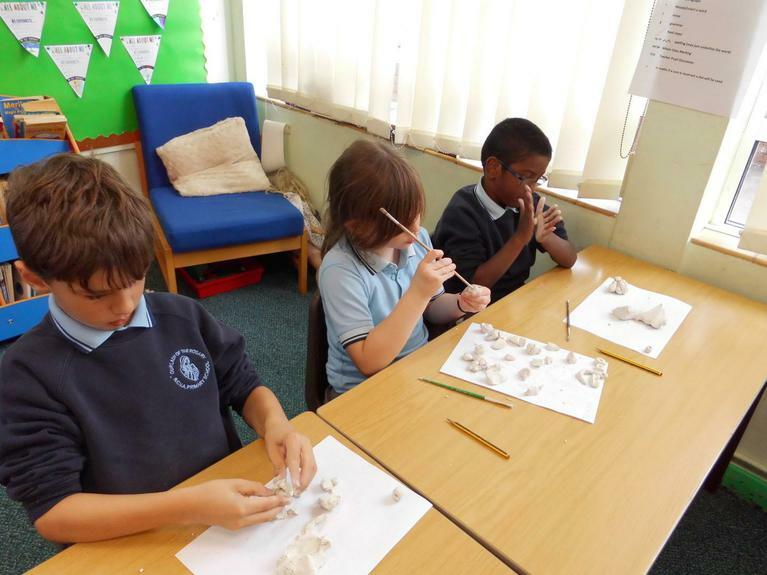 In the background of some of these photos you can see the Cave paintings that the children made too. 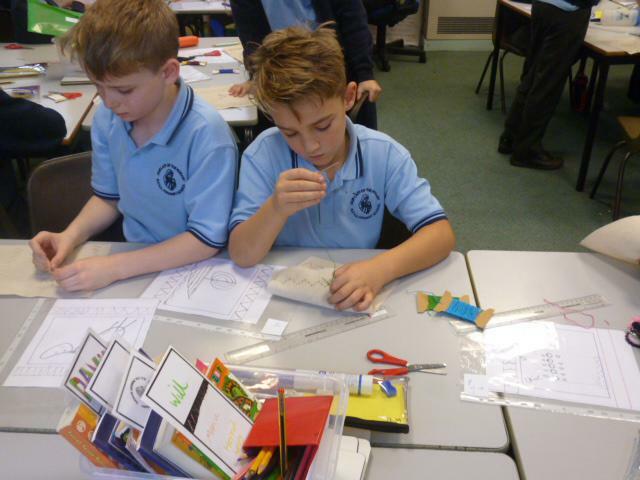 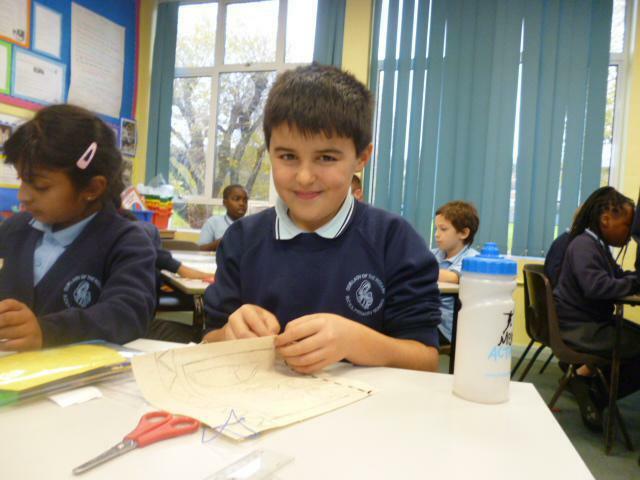 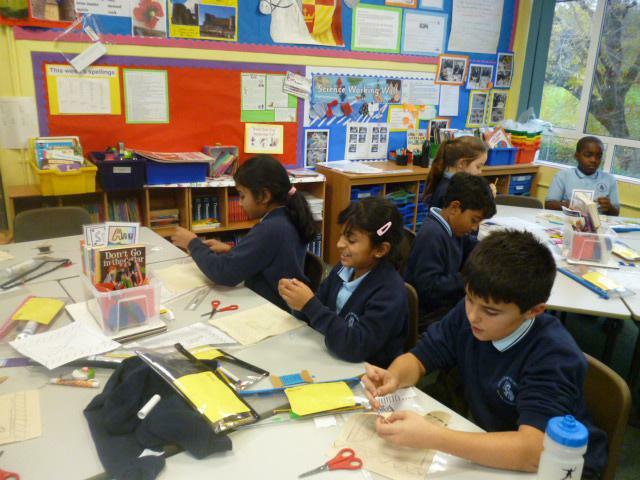 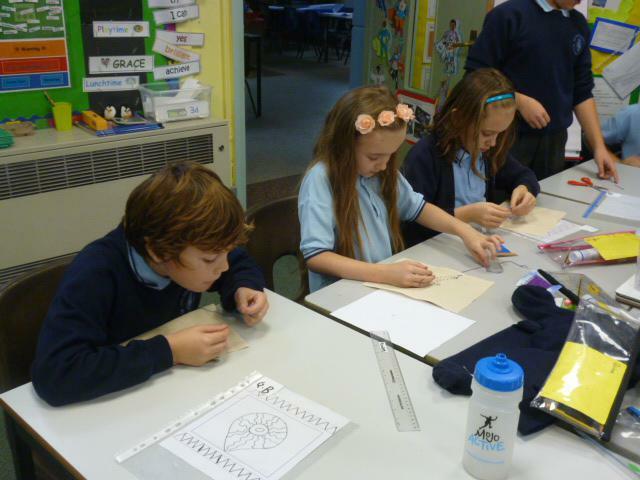 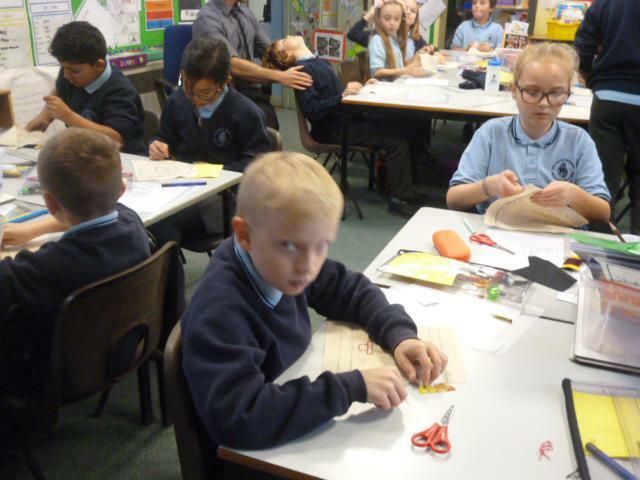 Year 5 have been learning how to sew to recreate The Bayeux Tapestry. 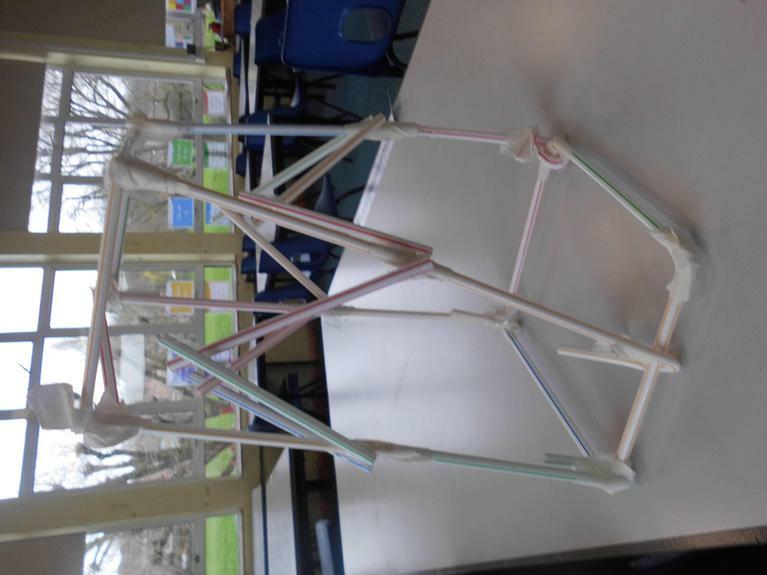 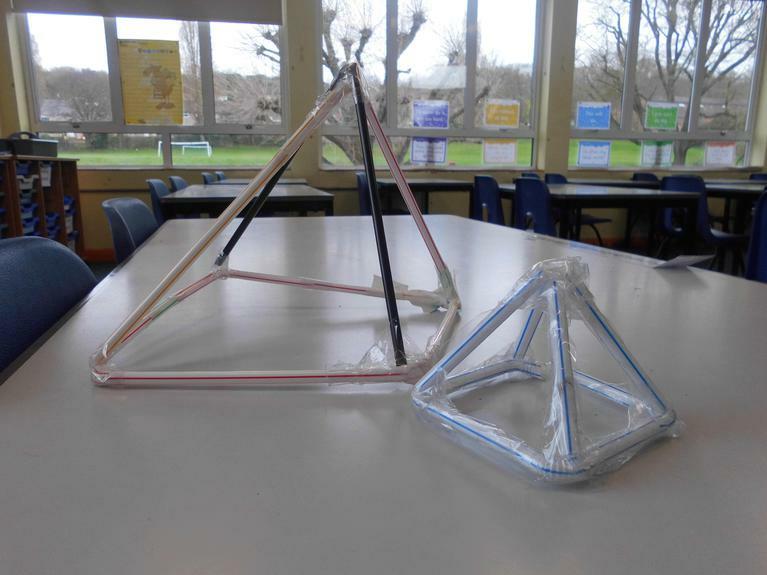 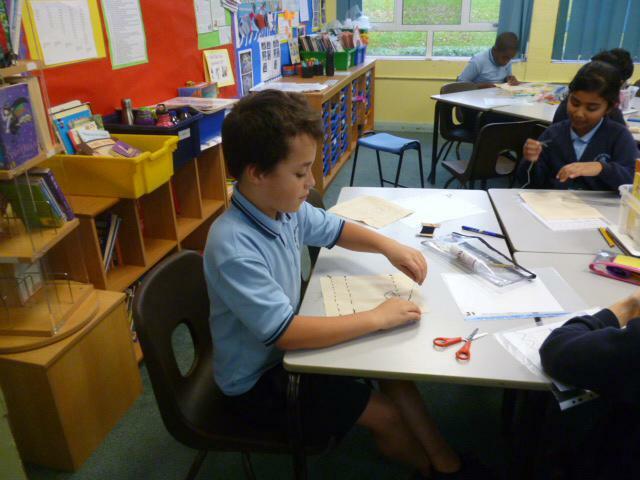 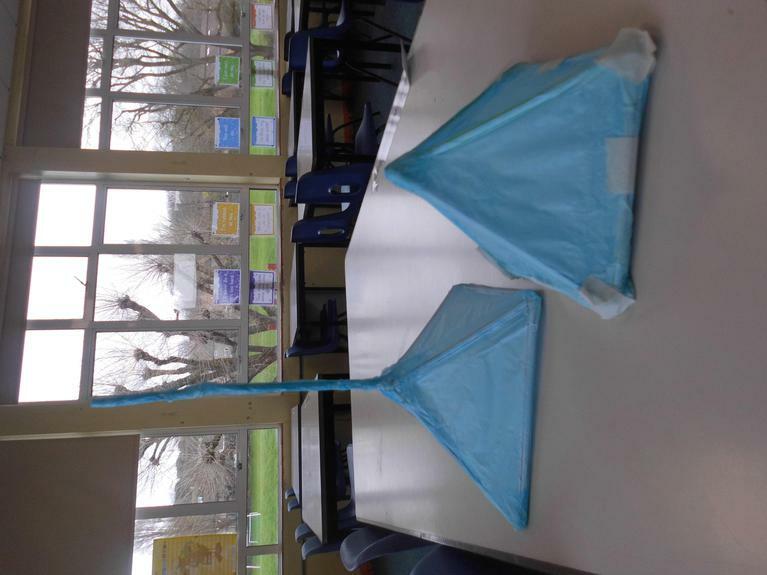 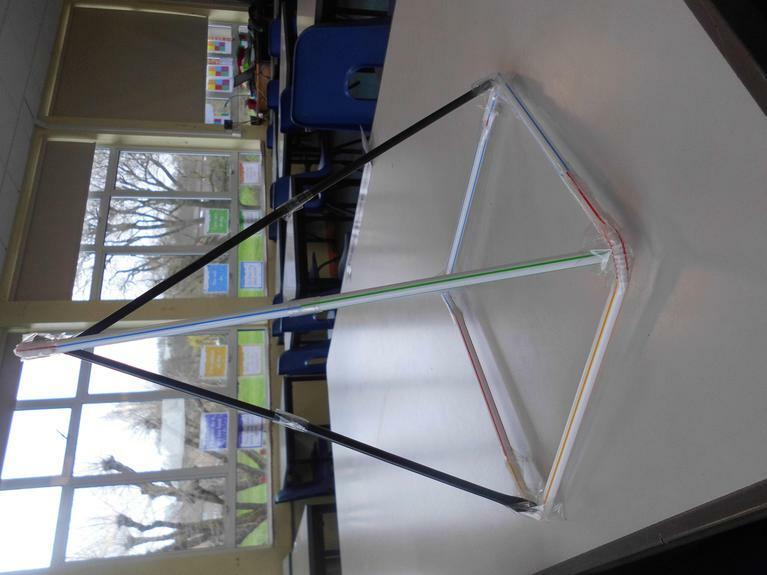 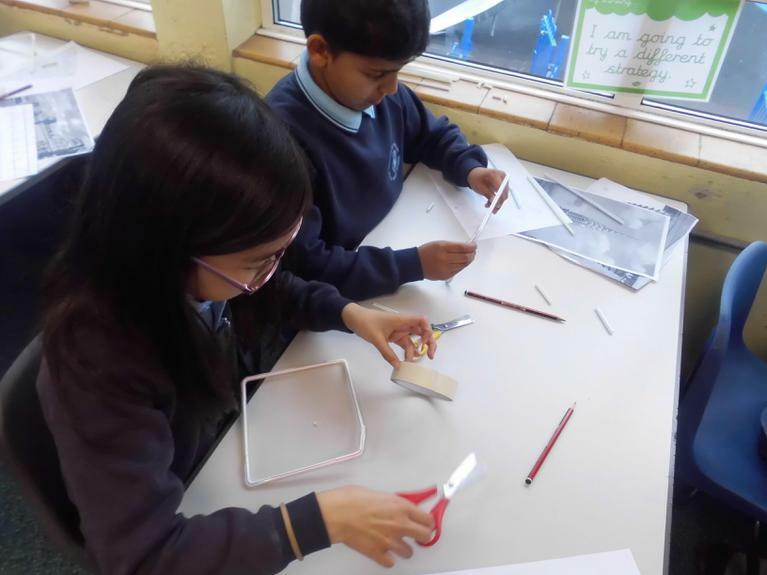 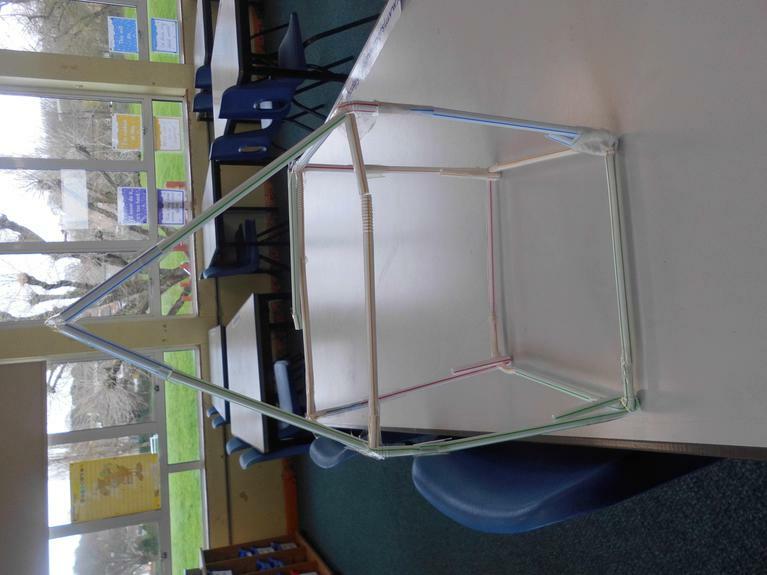 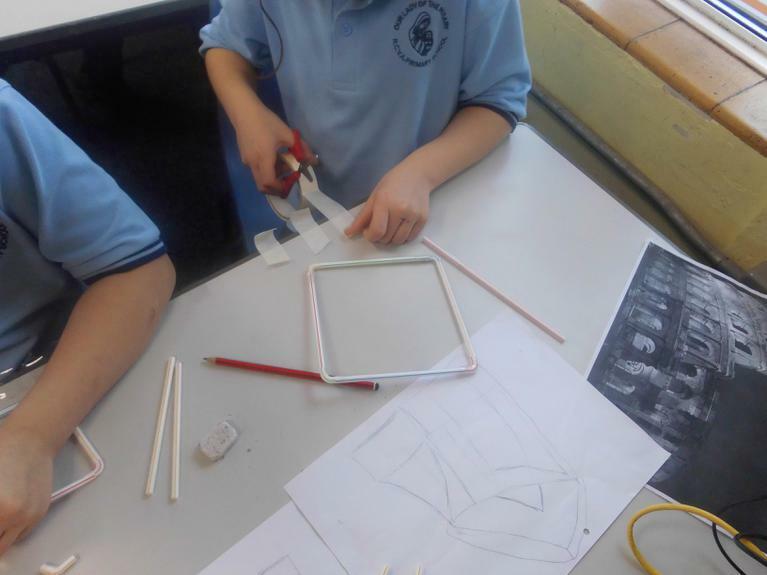 Year 5 used their ART skills for a 3D shape mathematical challenge! 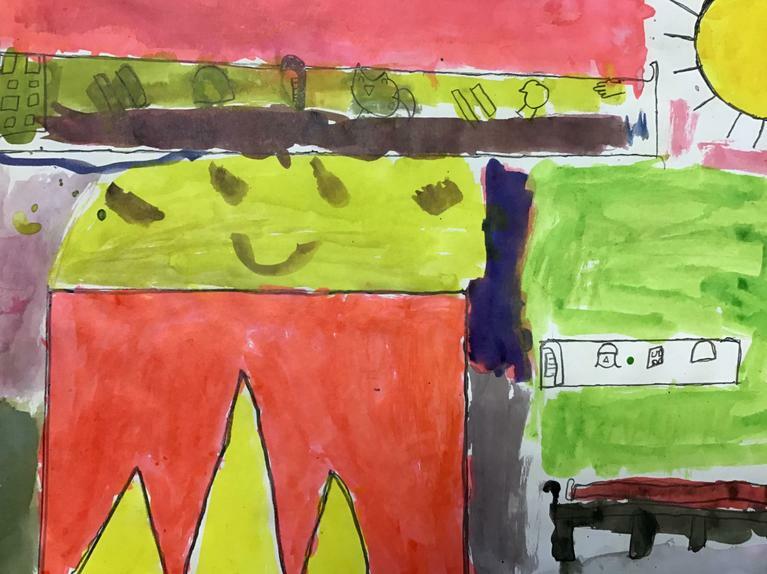 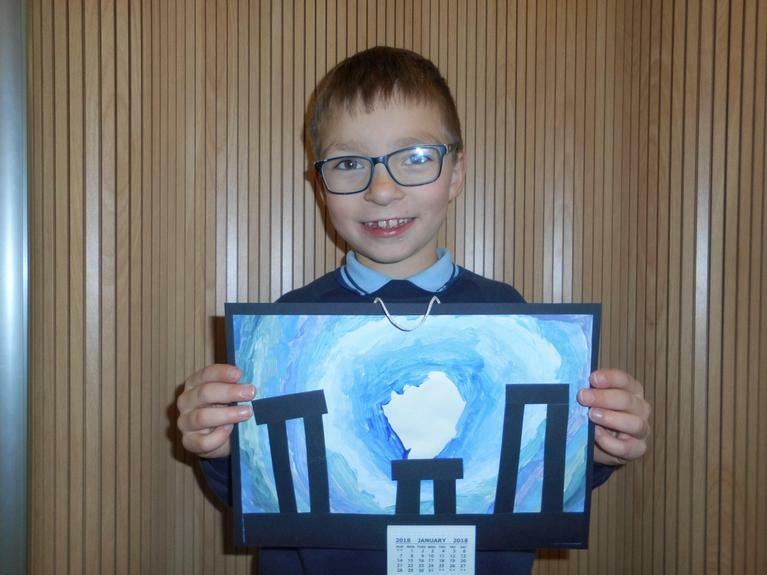 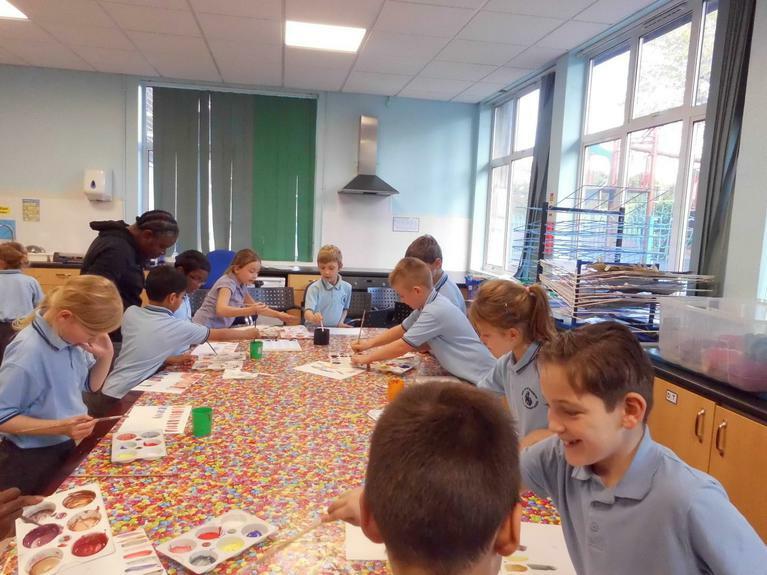 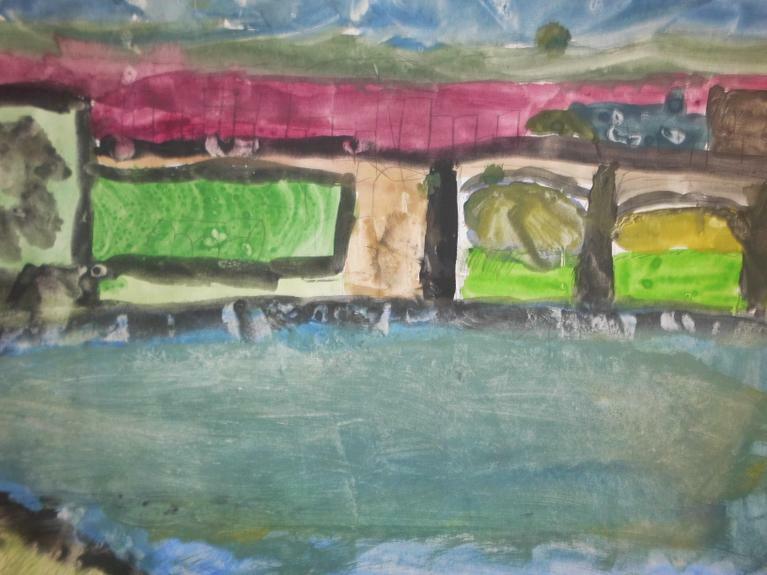 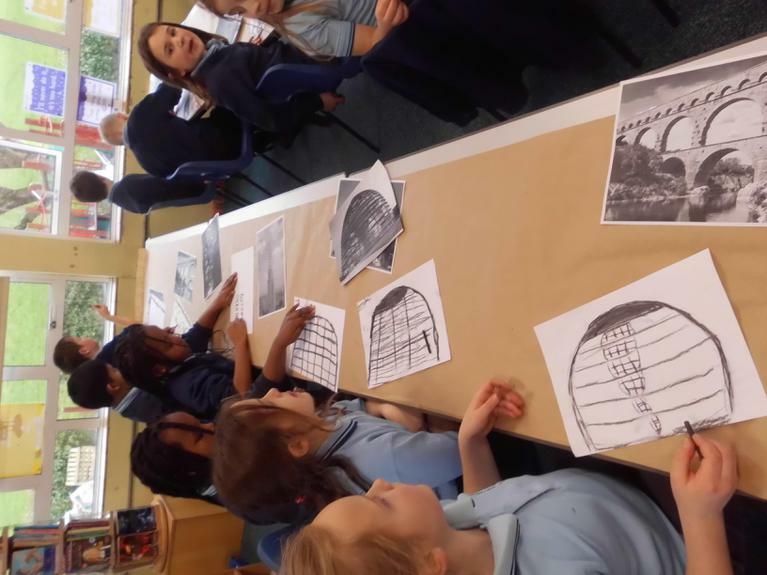 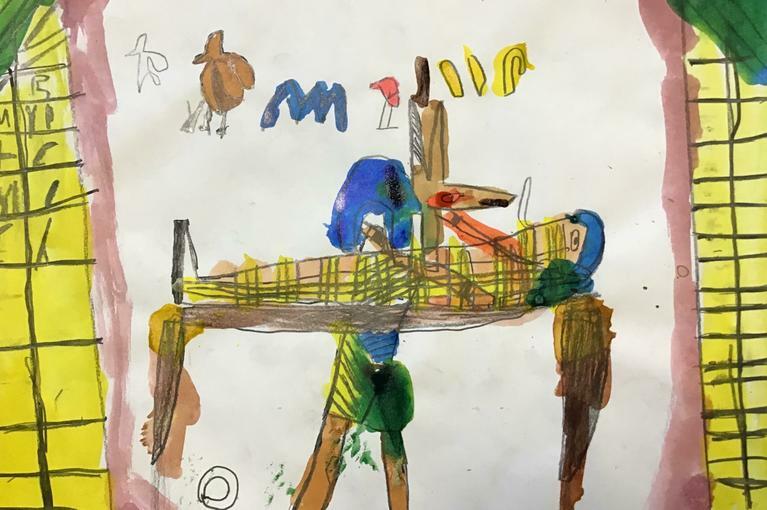 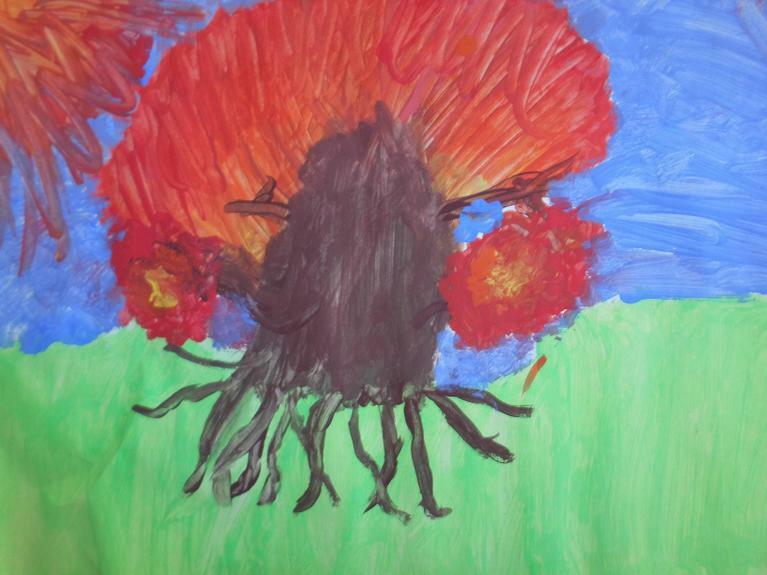 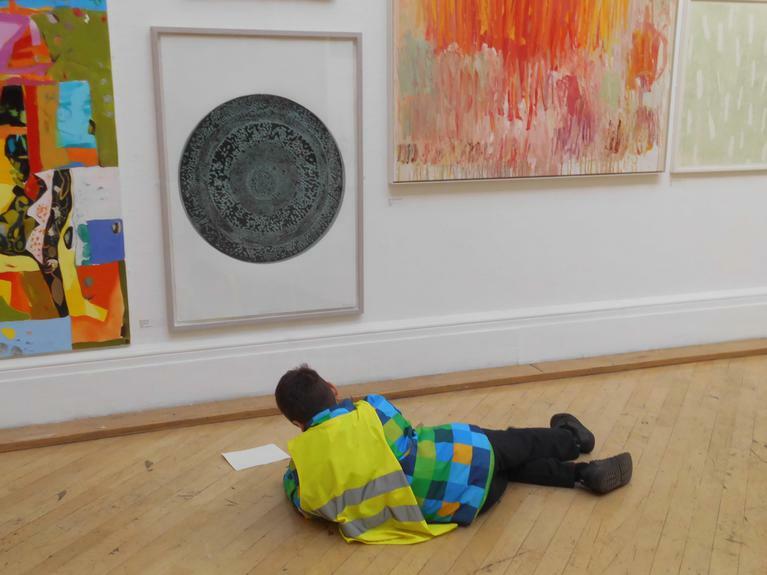 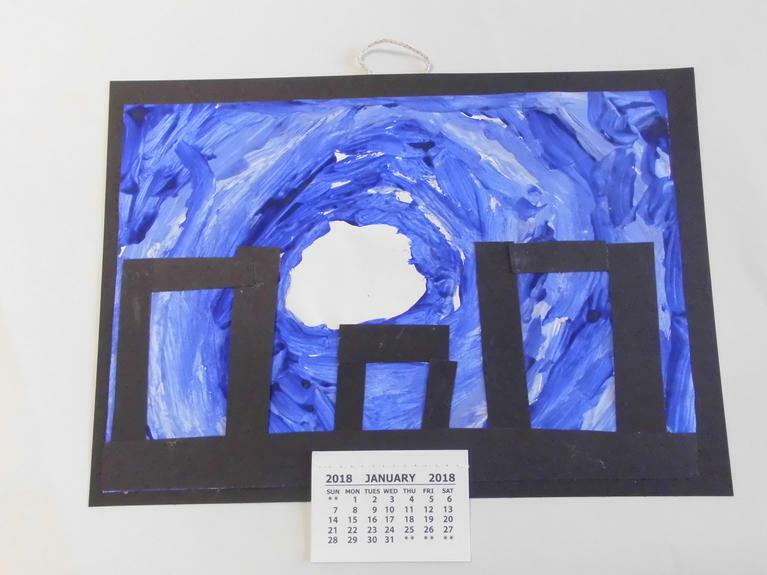 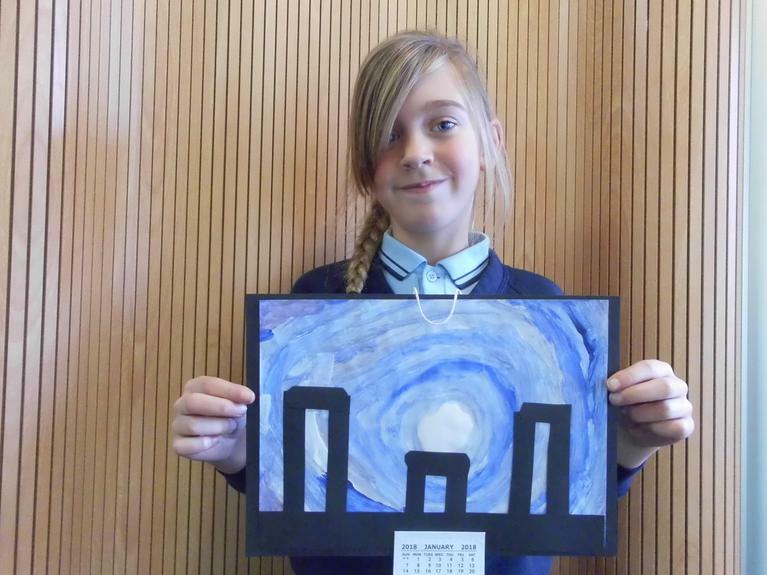 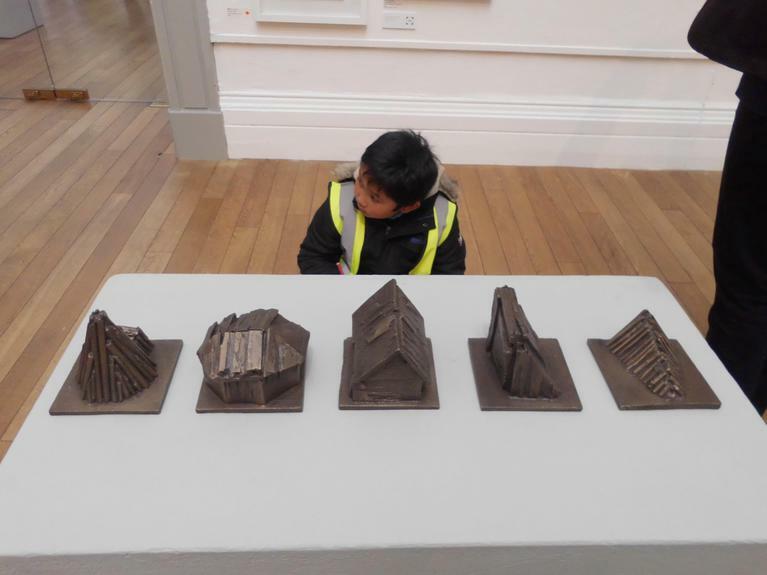 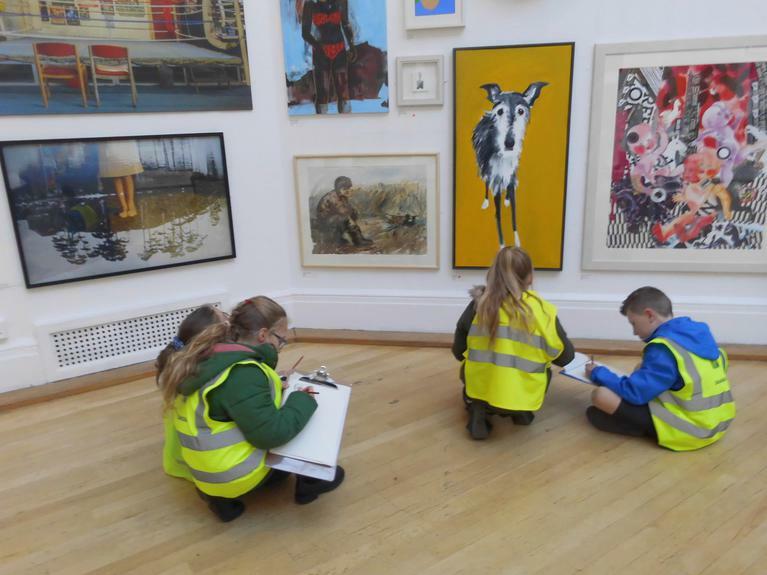 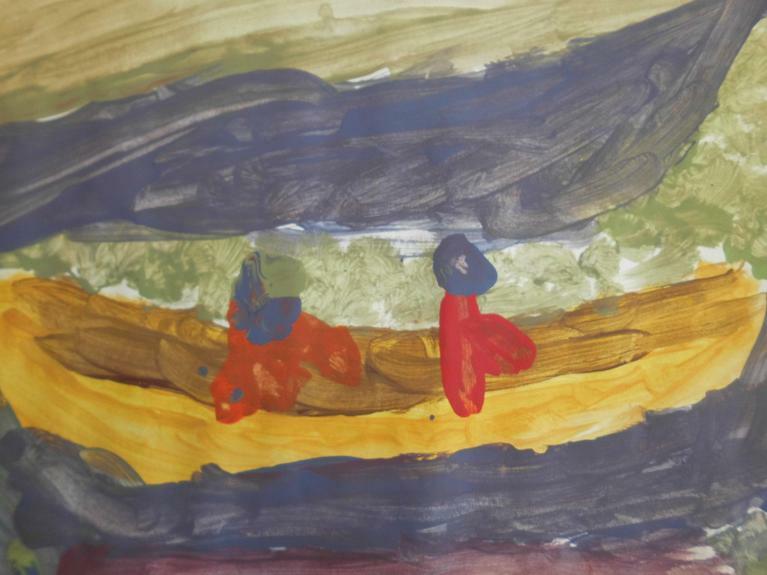 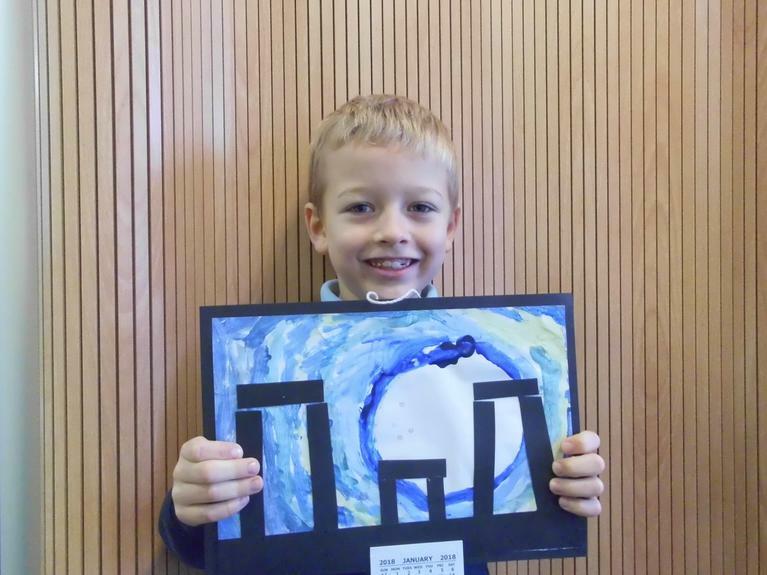 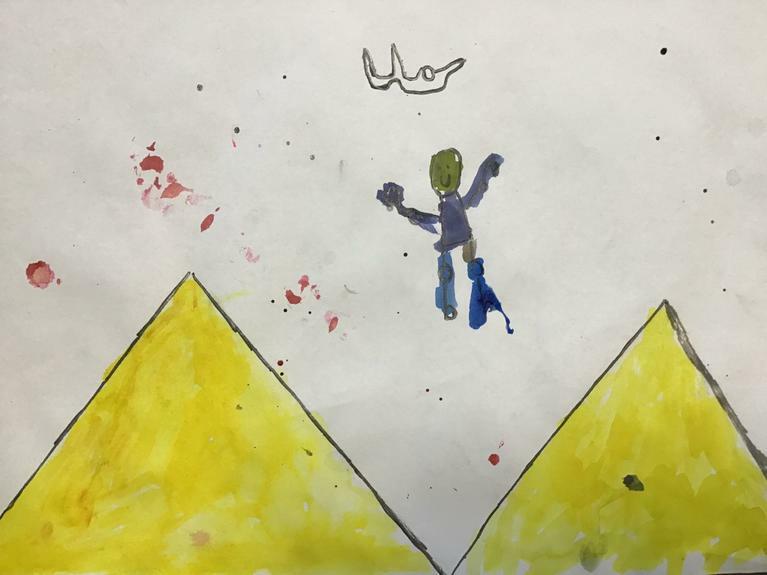 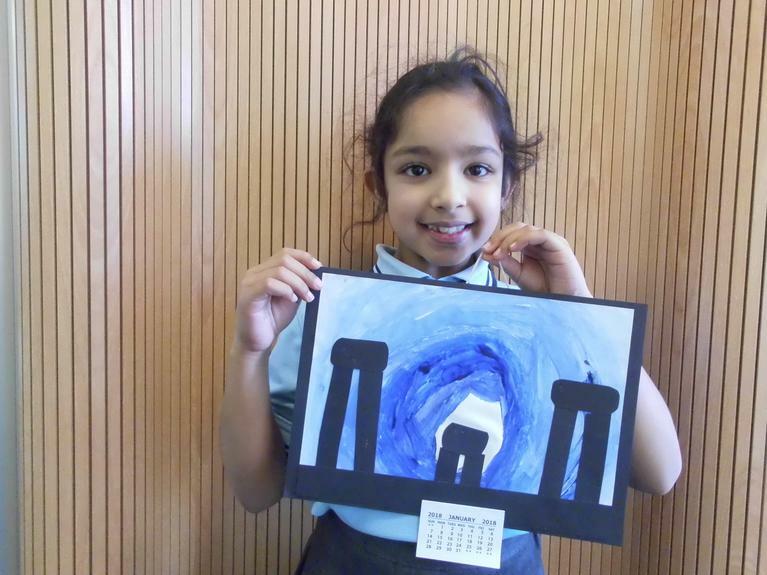 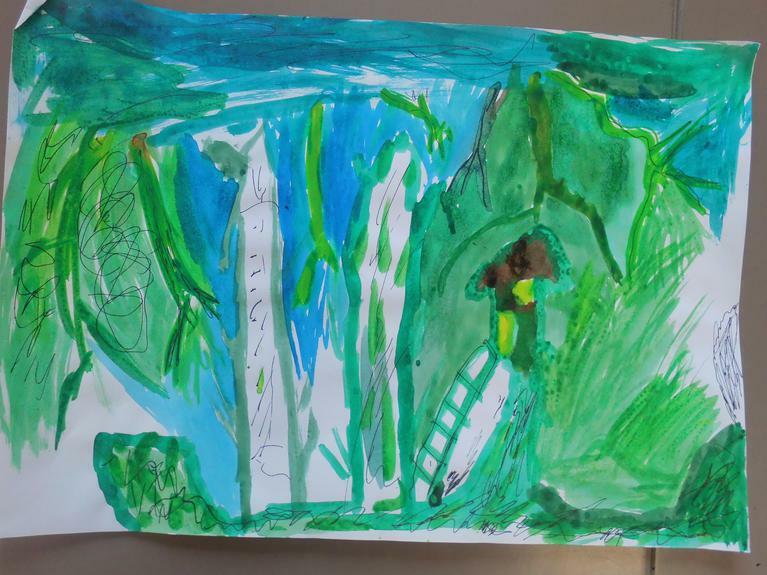 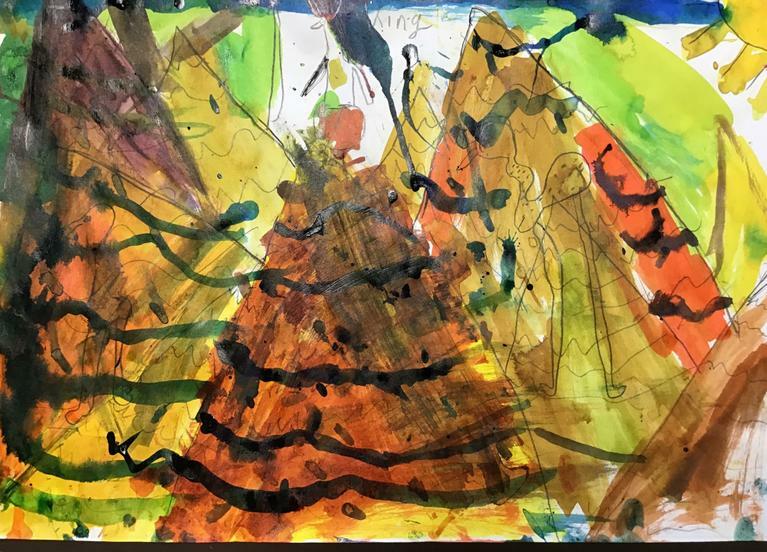 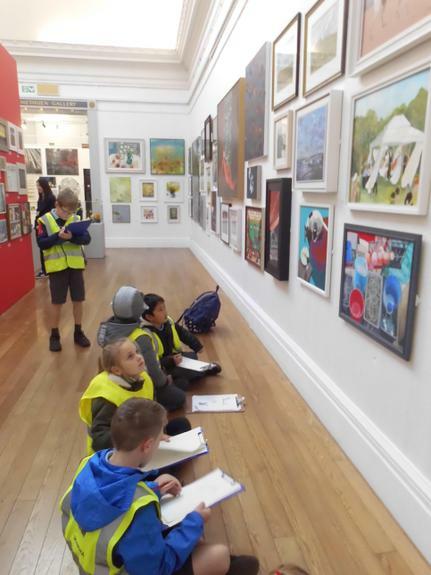 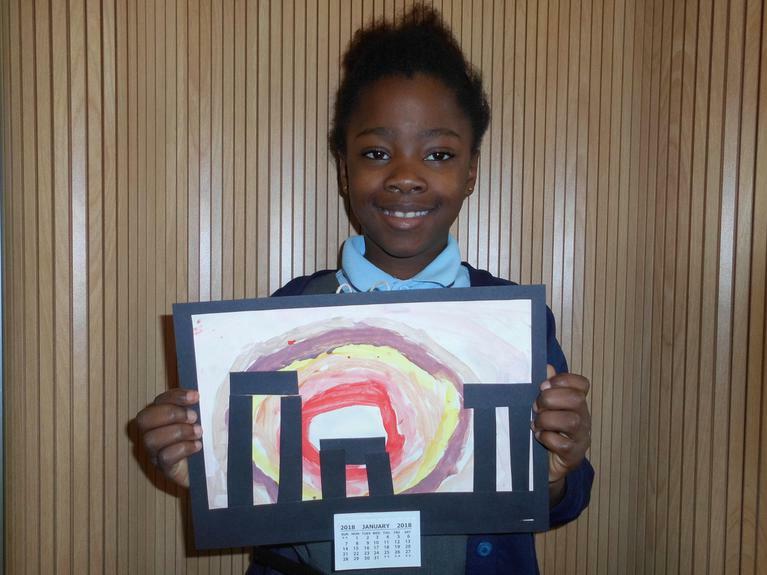 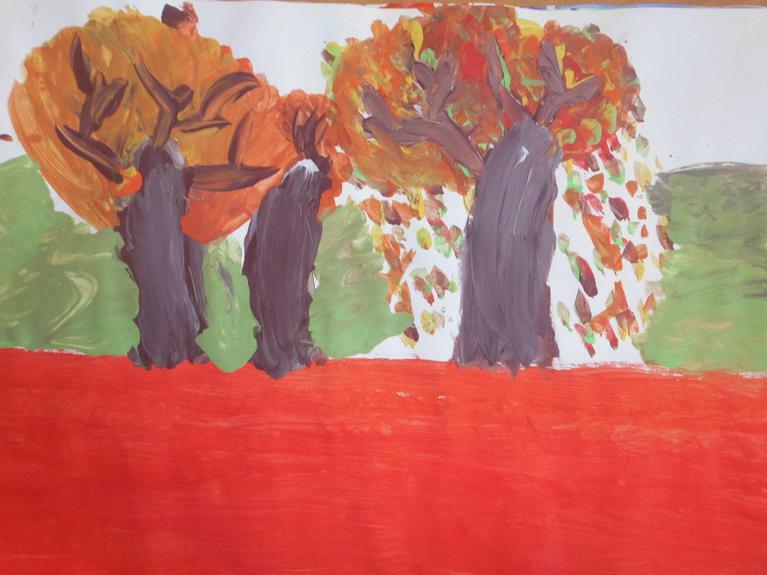 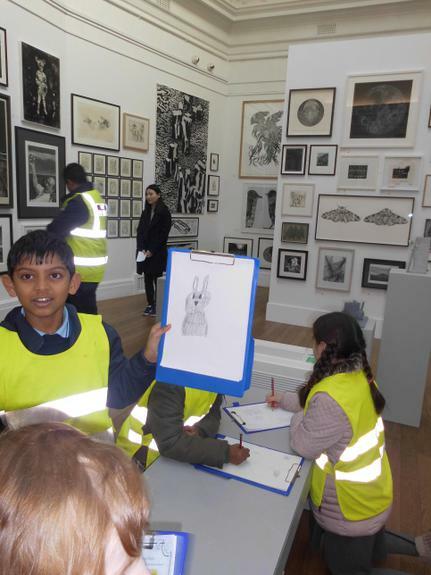 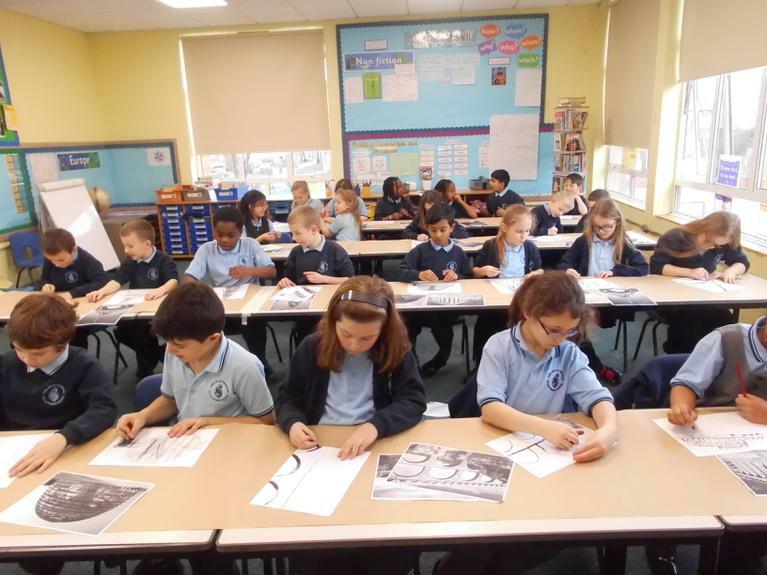 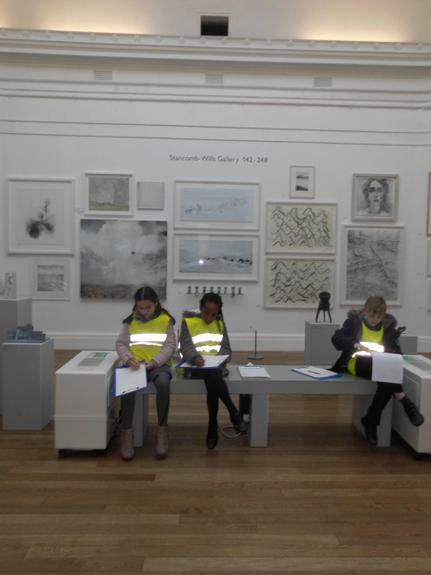 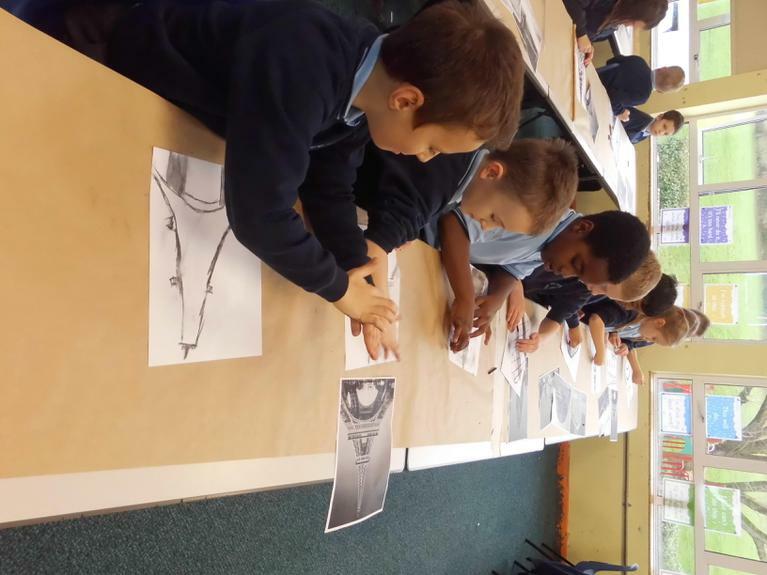 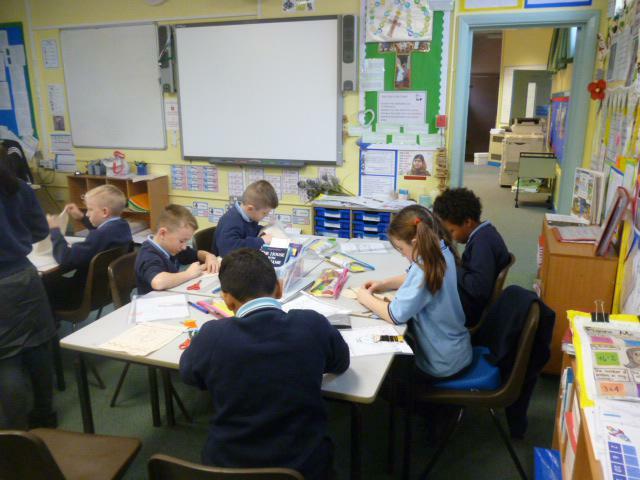 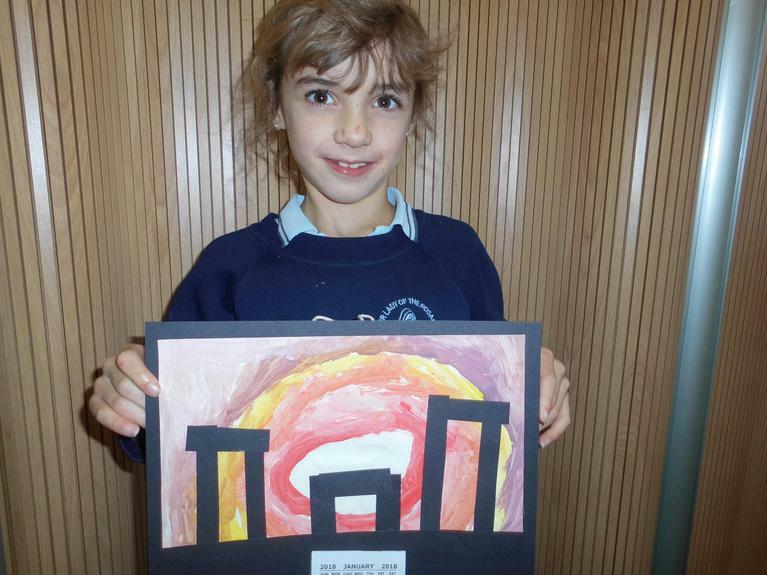 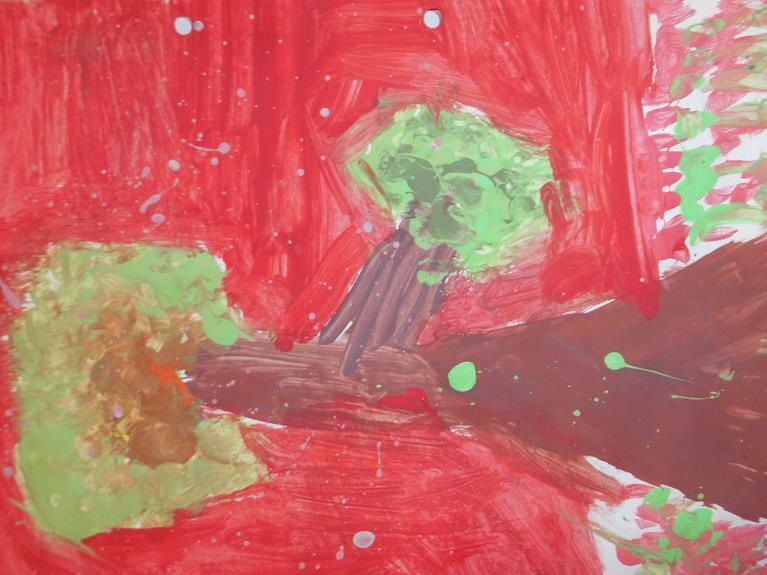 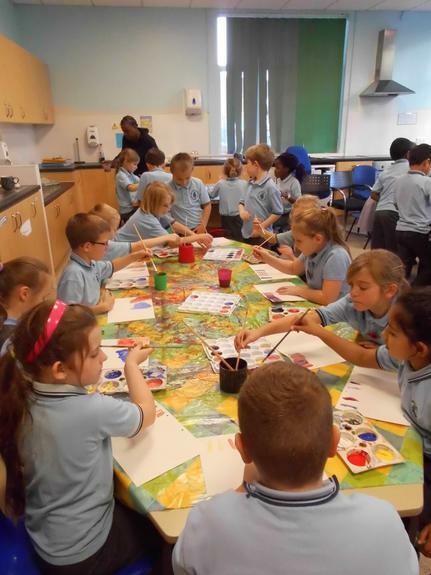 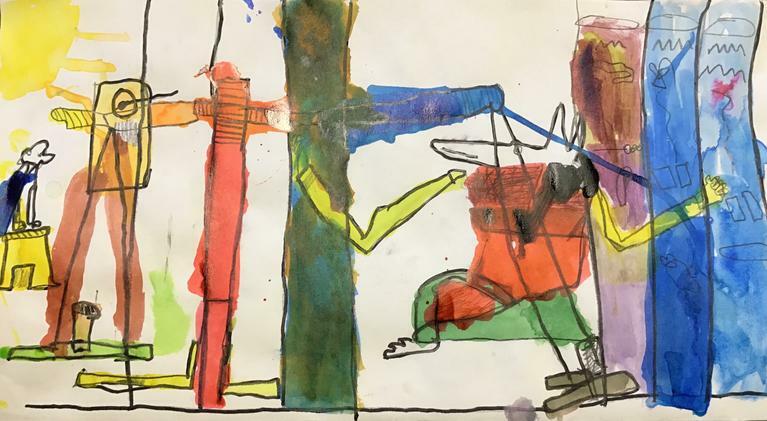 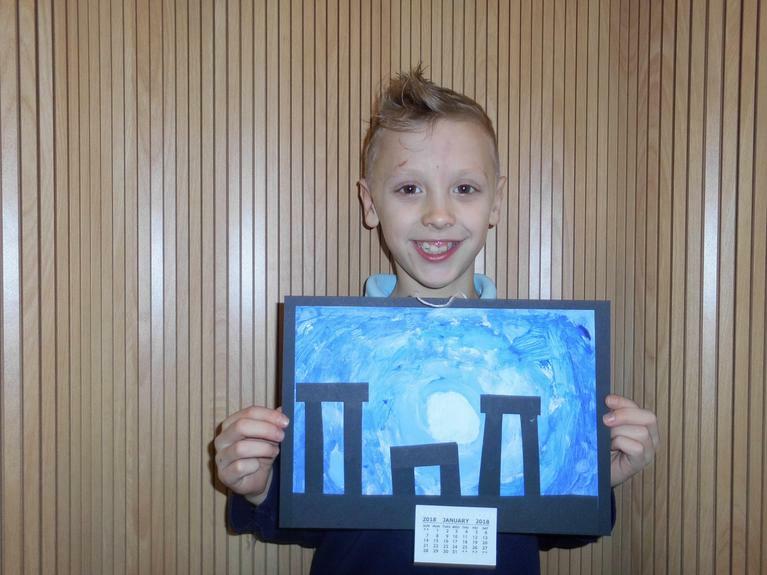 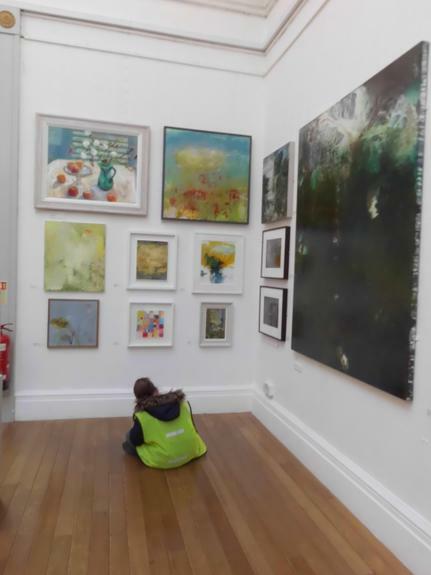 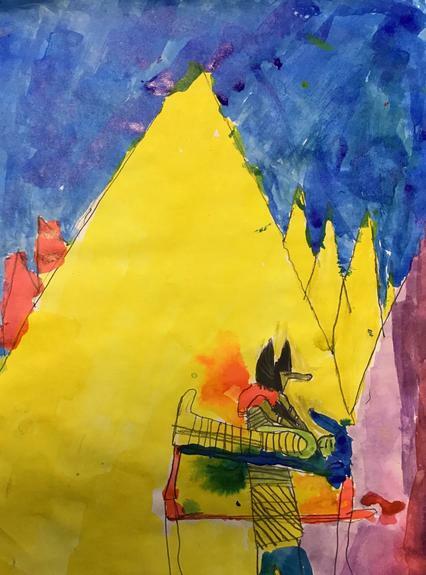 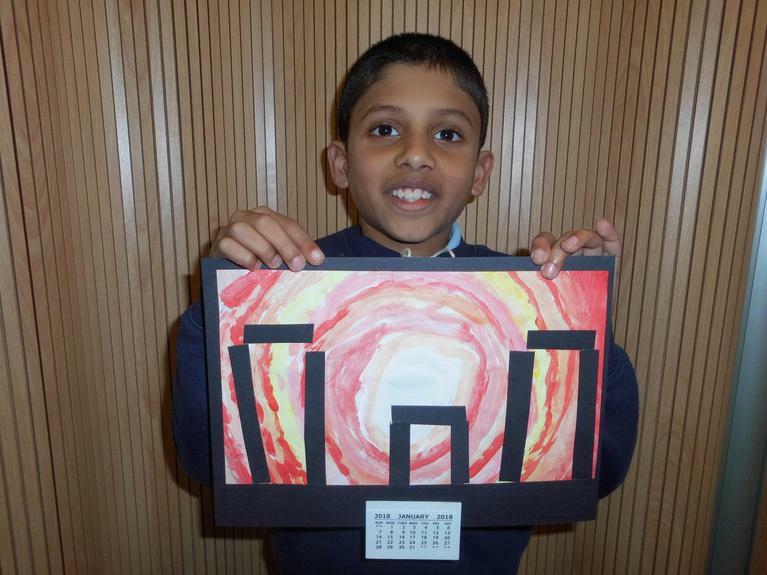 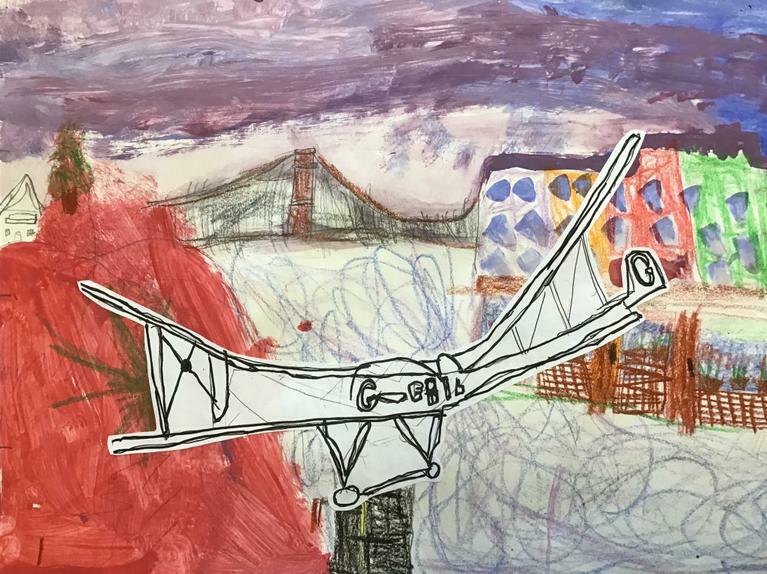 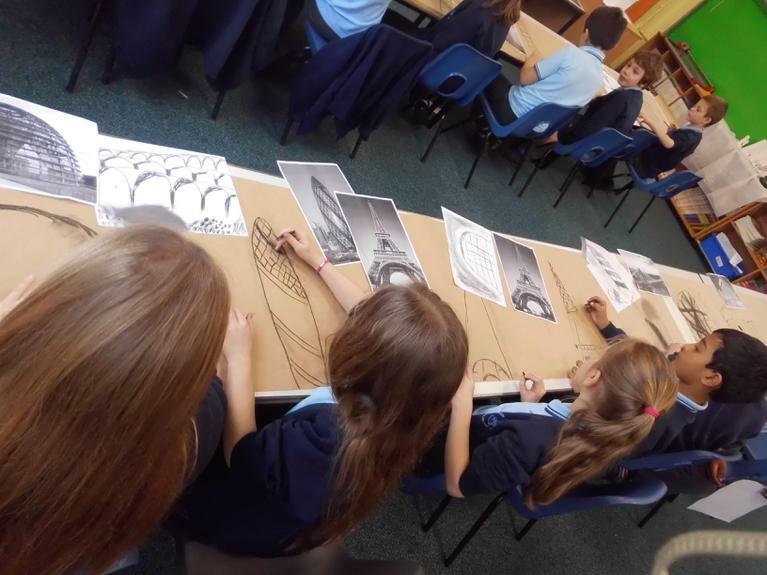 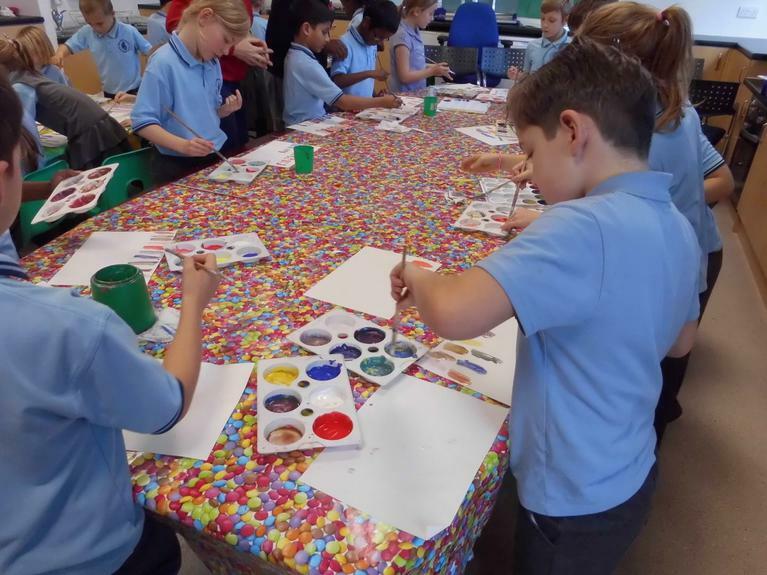 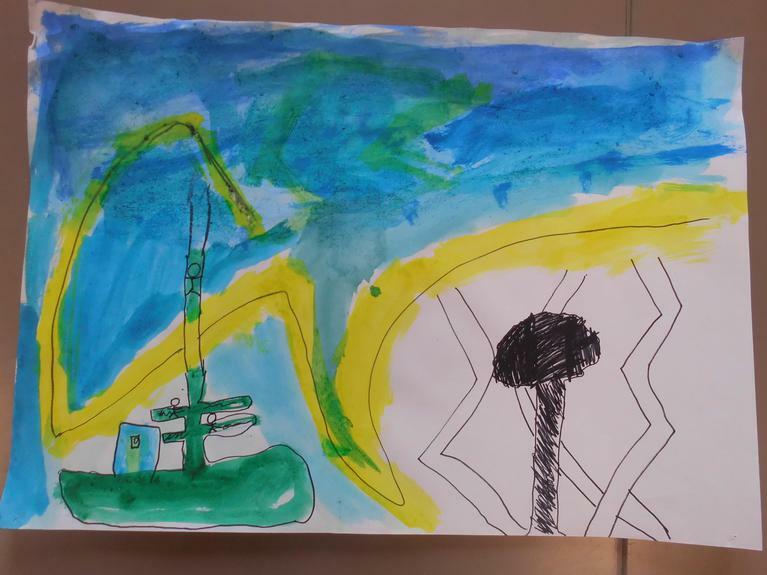 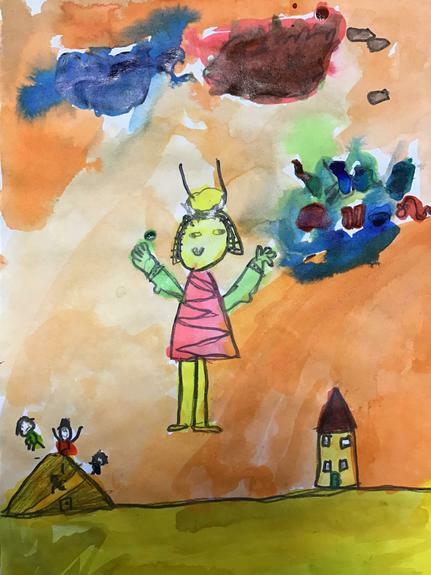 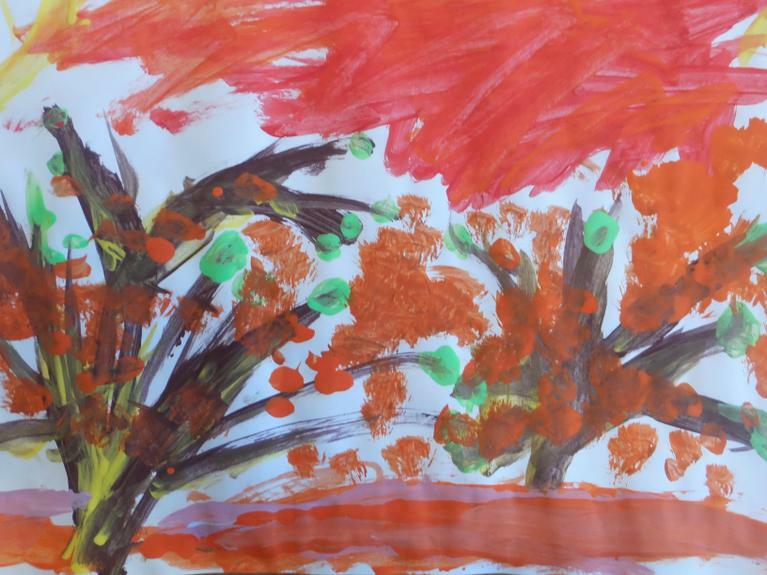 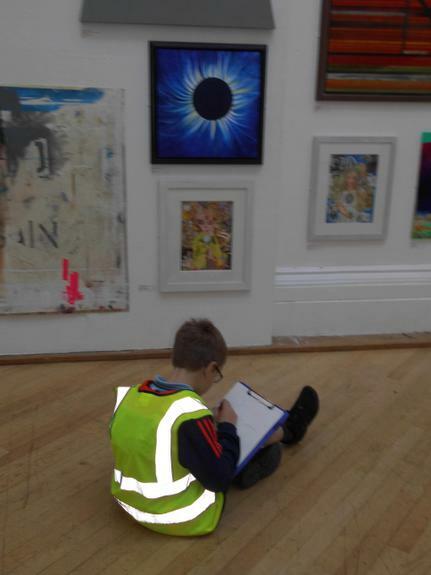 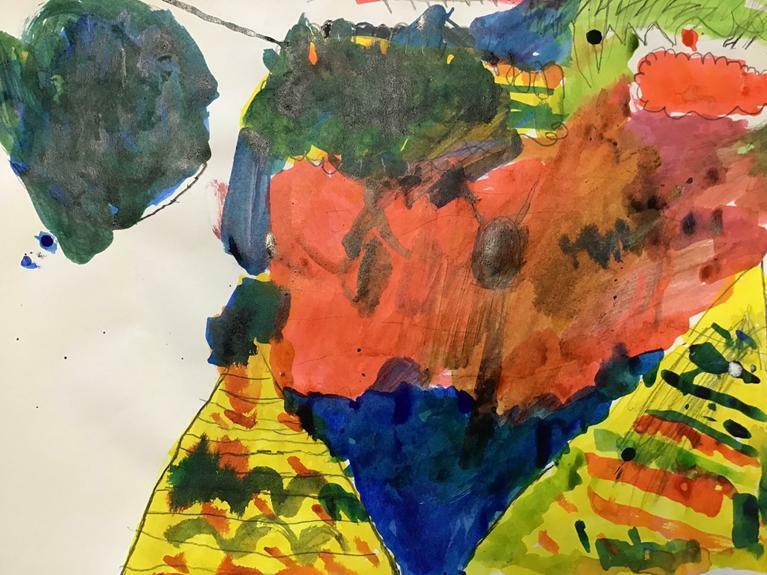 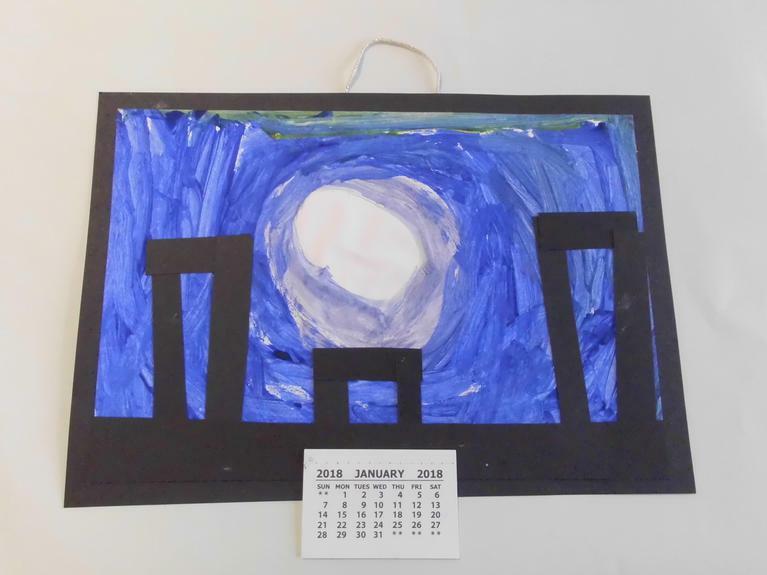 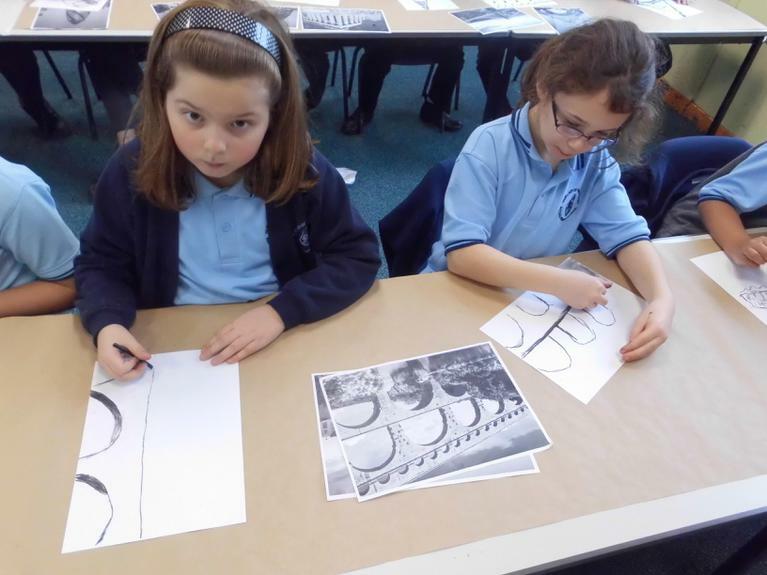 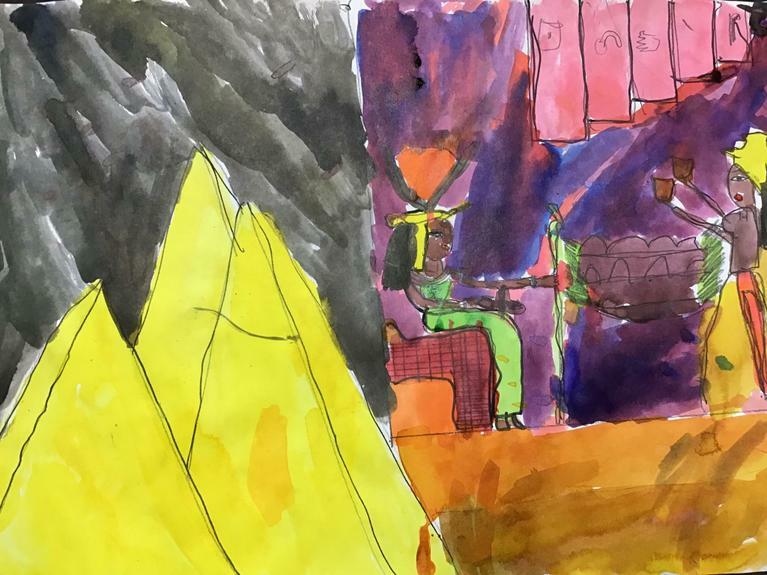 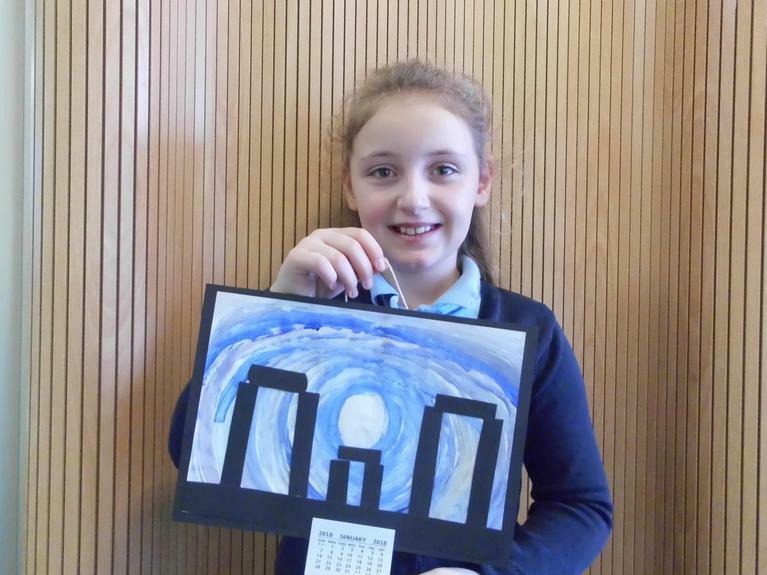 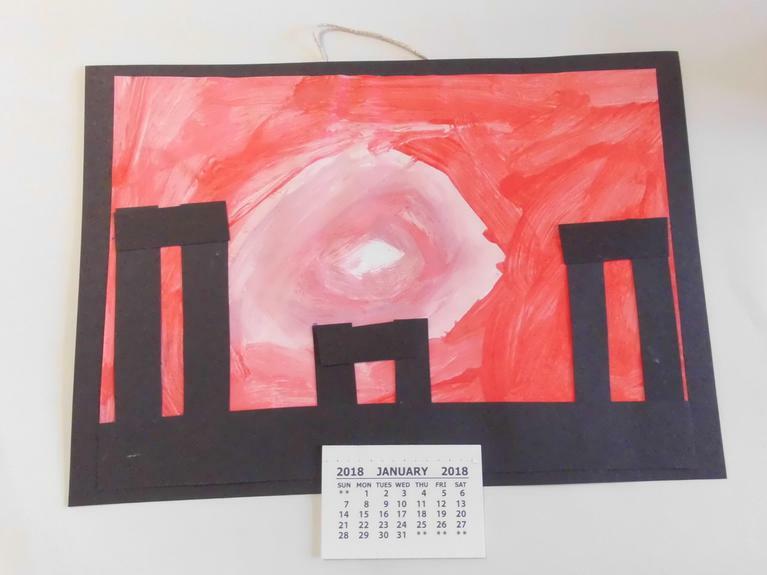 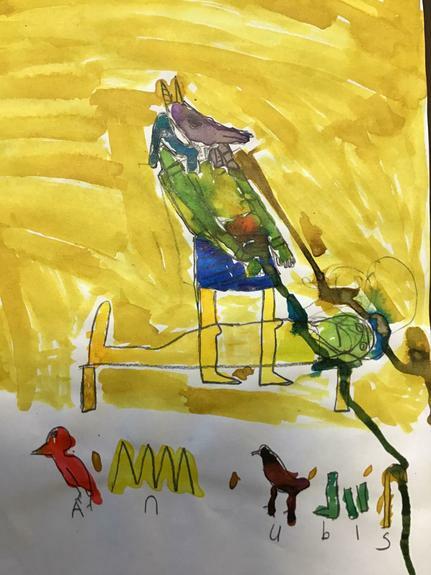 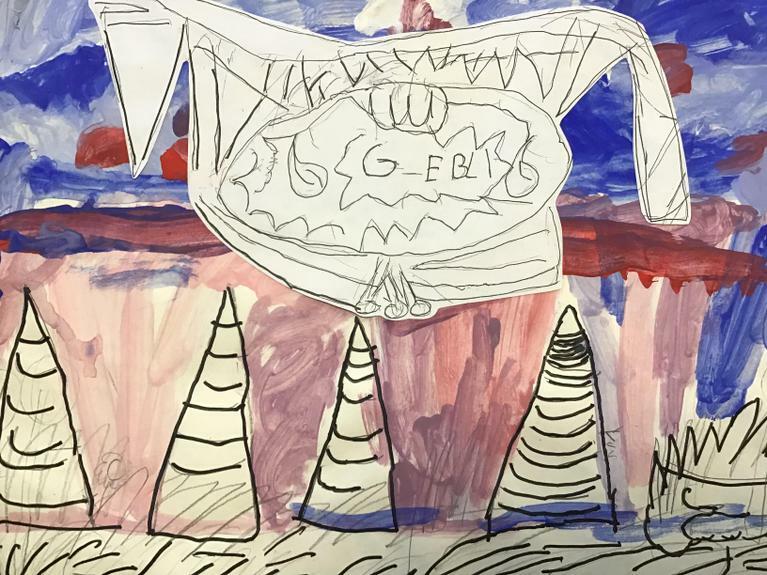 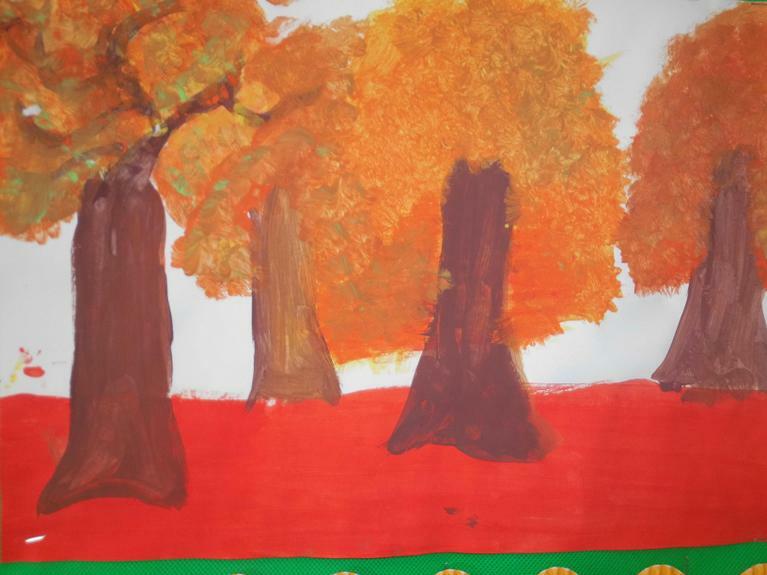 In November, Year 4 visited the RWA Art Gallery. 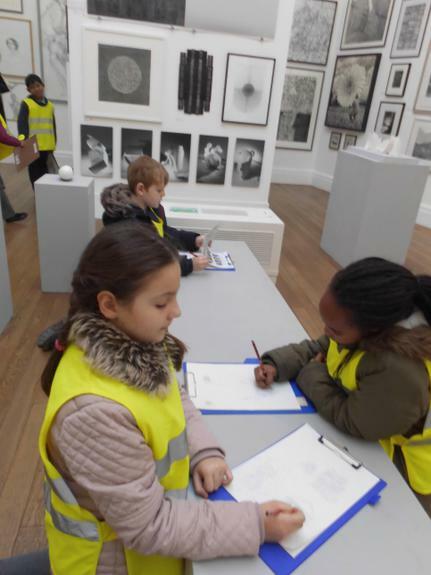 They really enjoyed looking at a range of artwork. 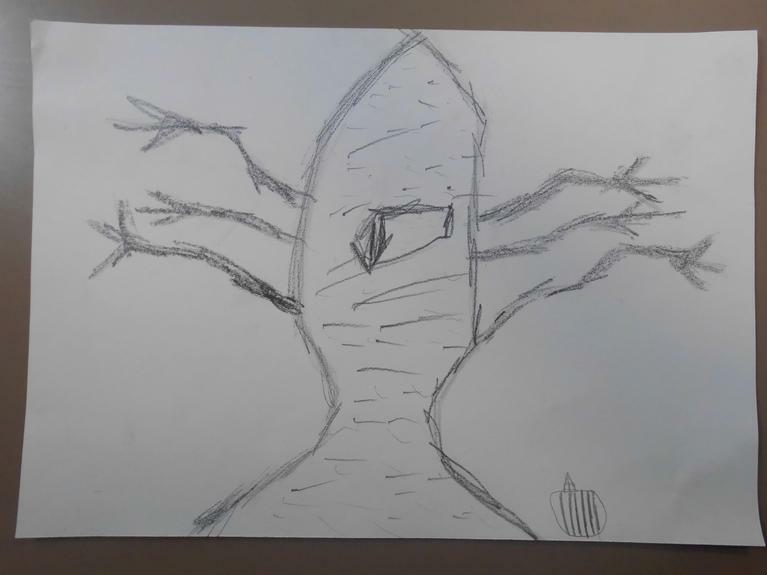 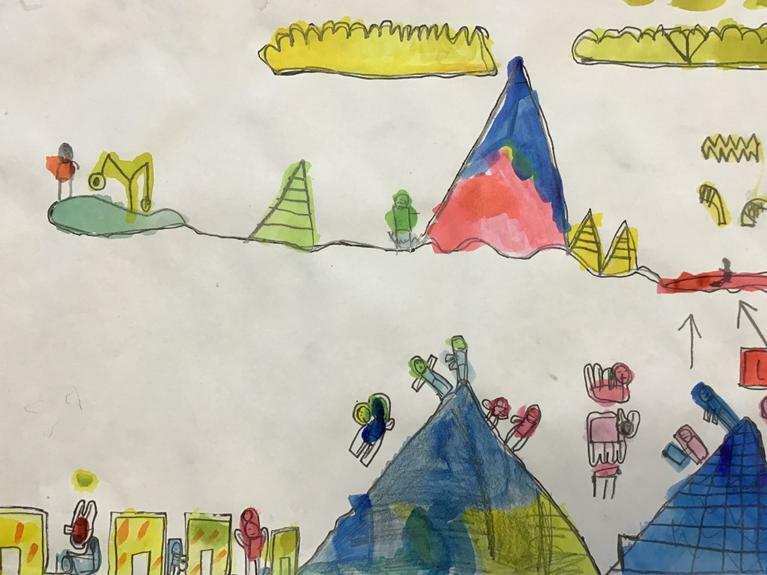 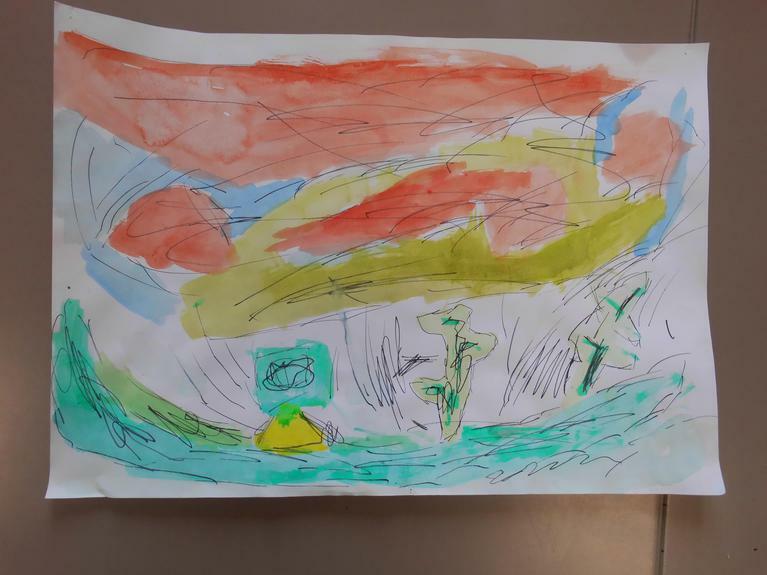 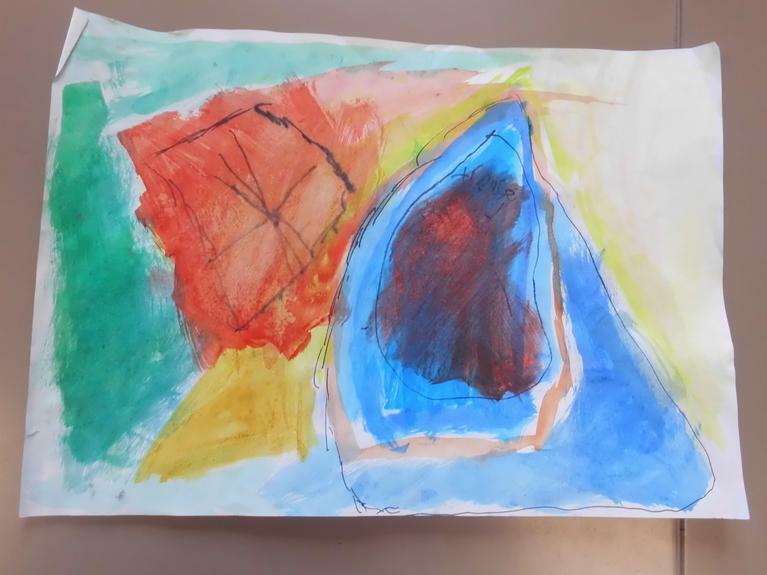 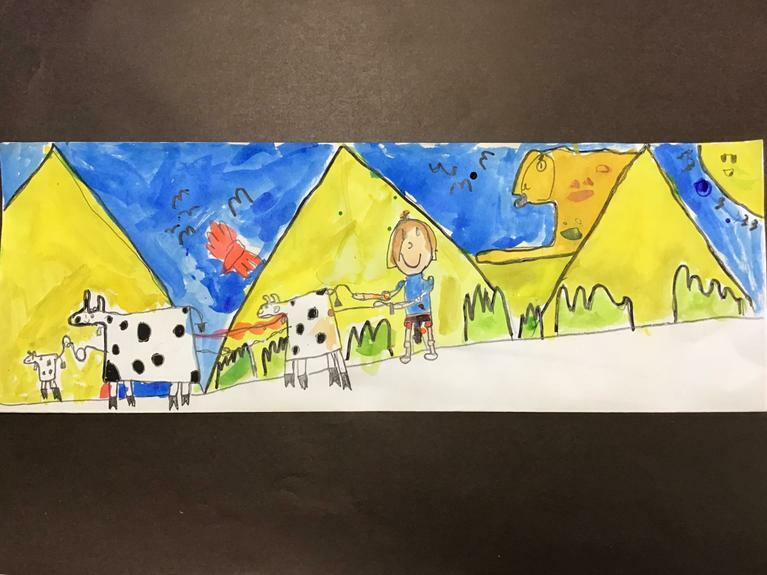 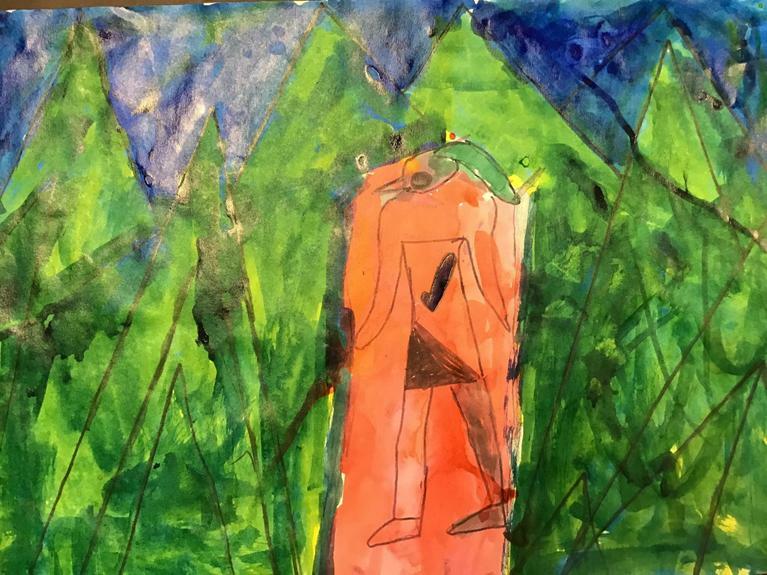 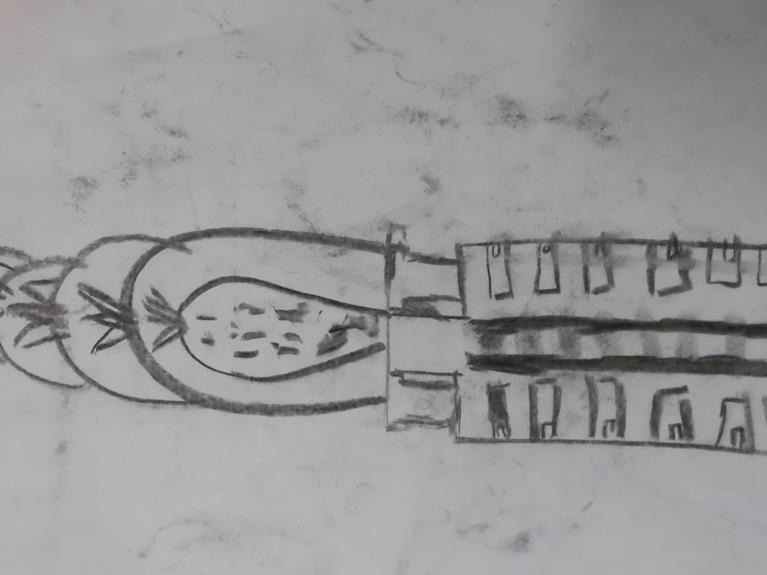 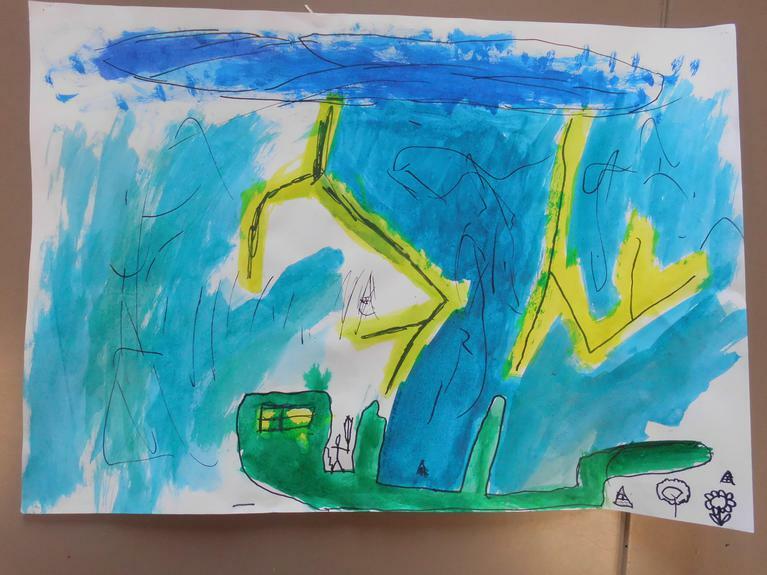 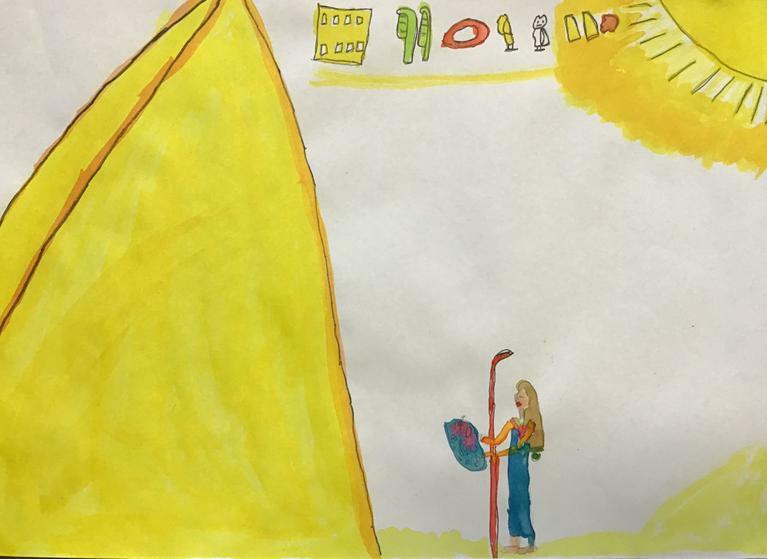 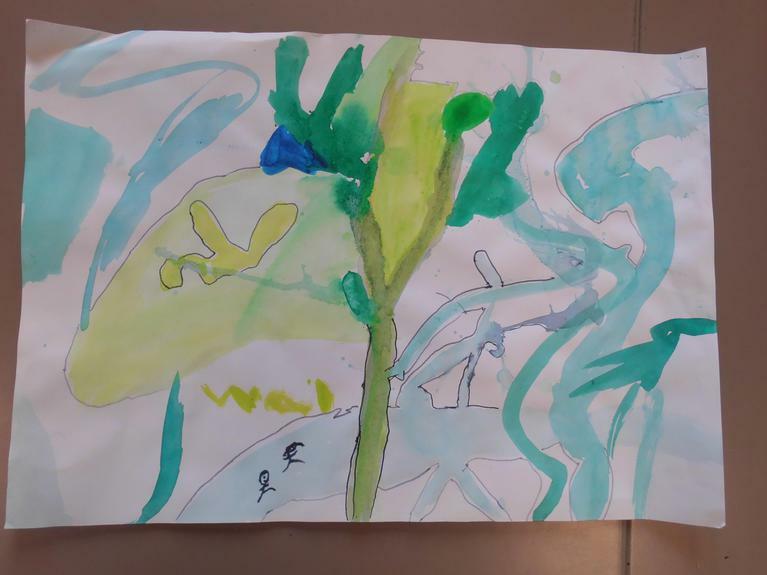 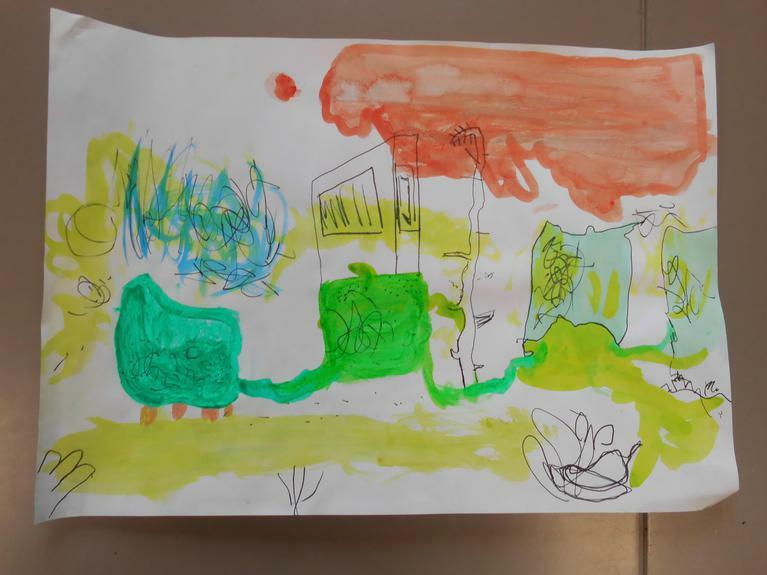 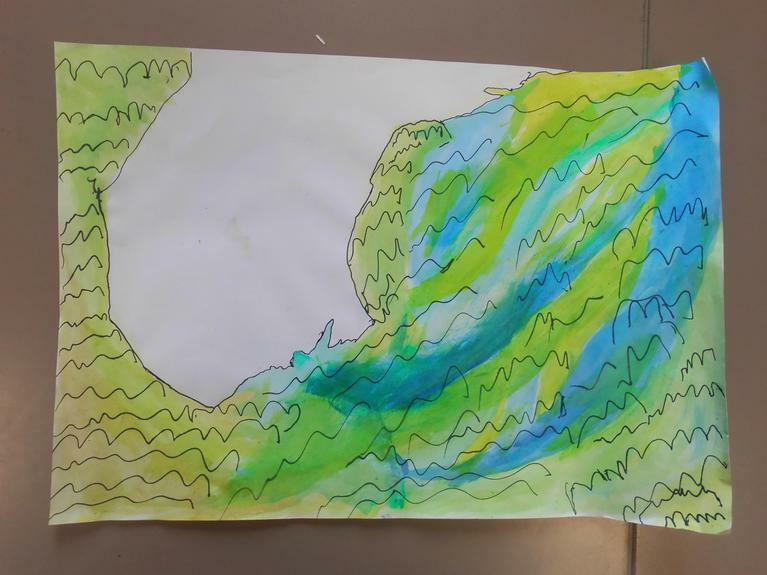 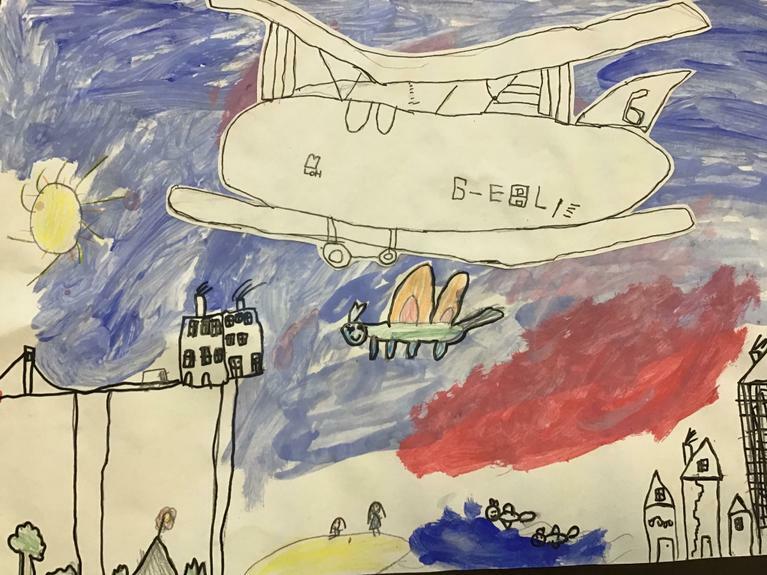 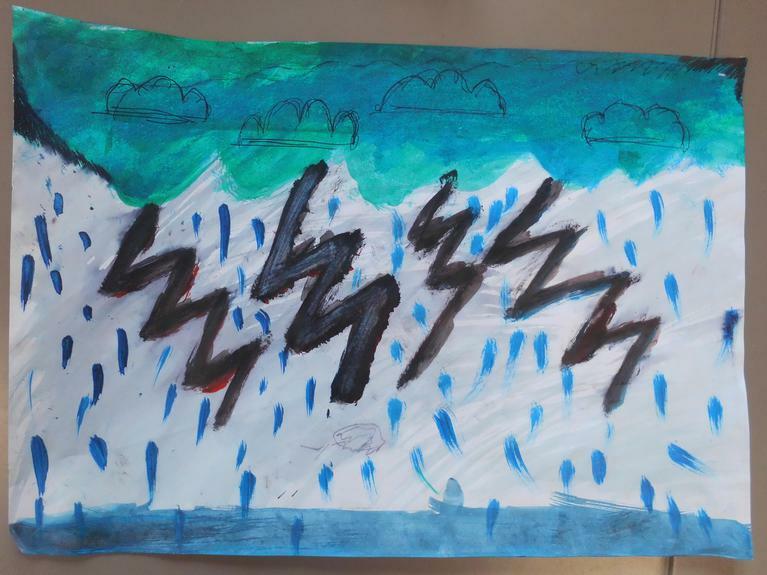 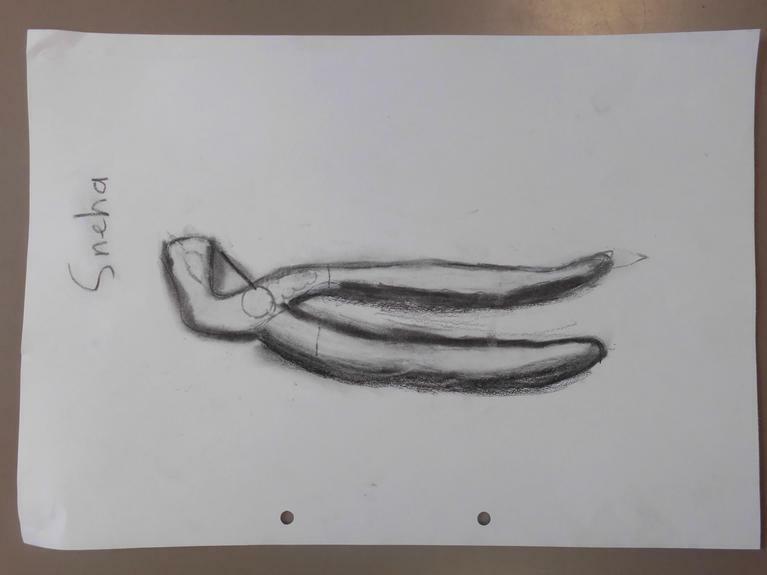 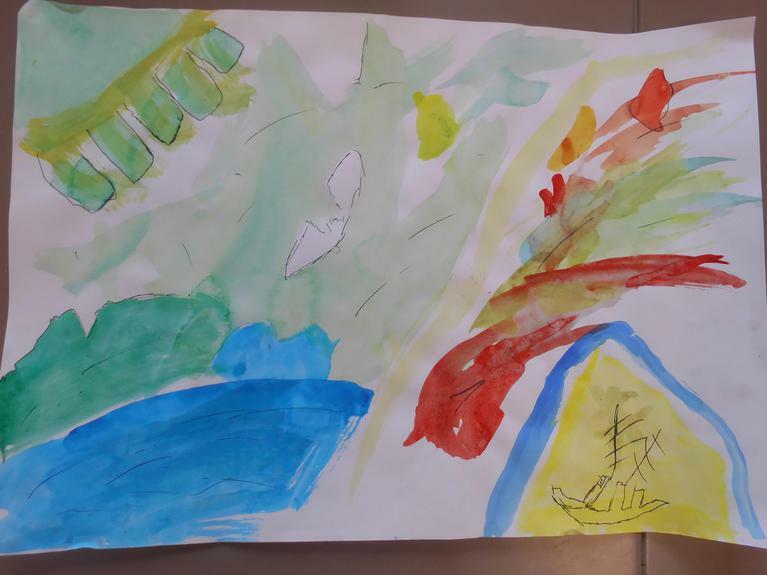 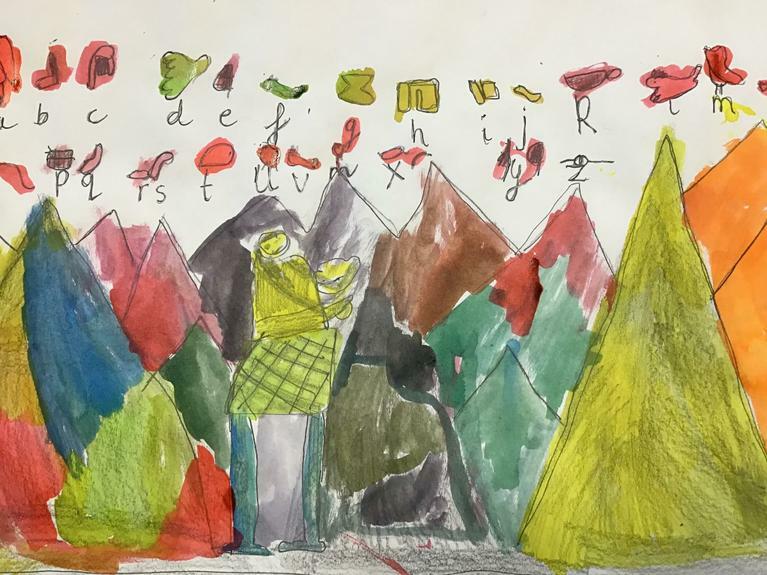 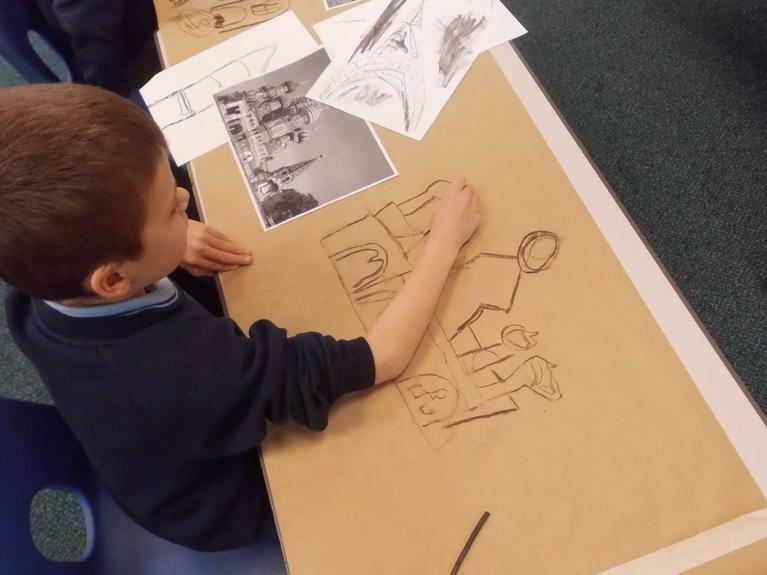 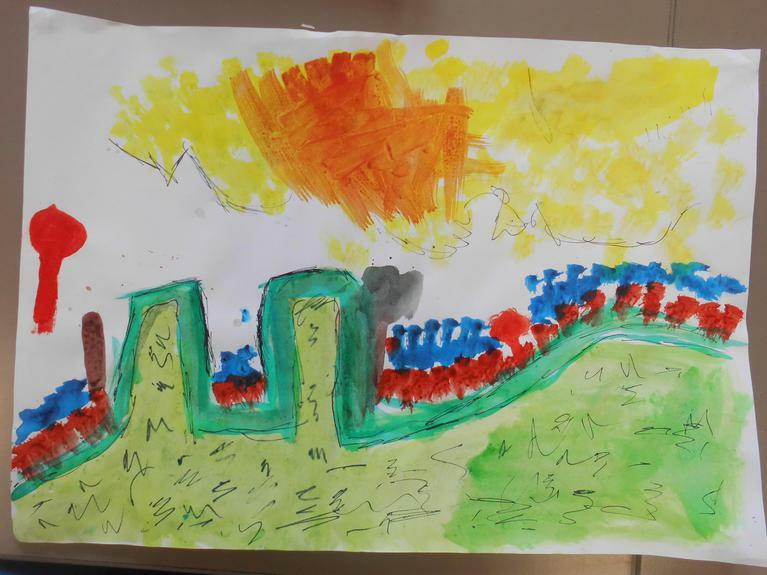 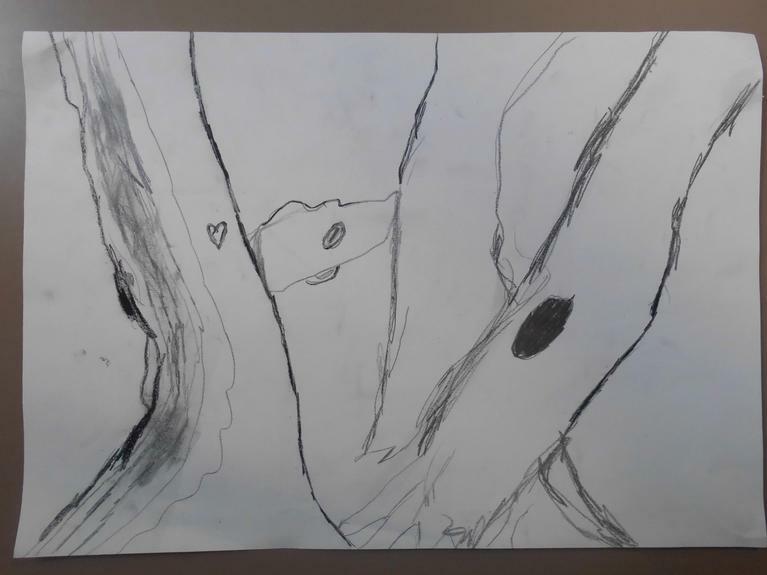 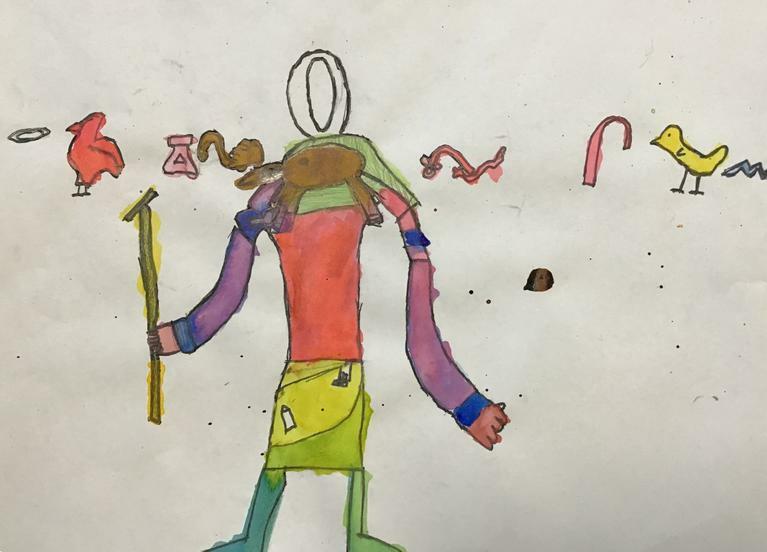 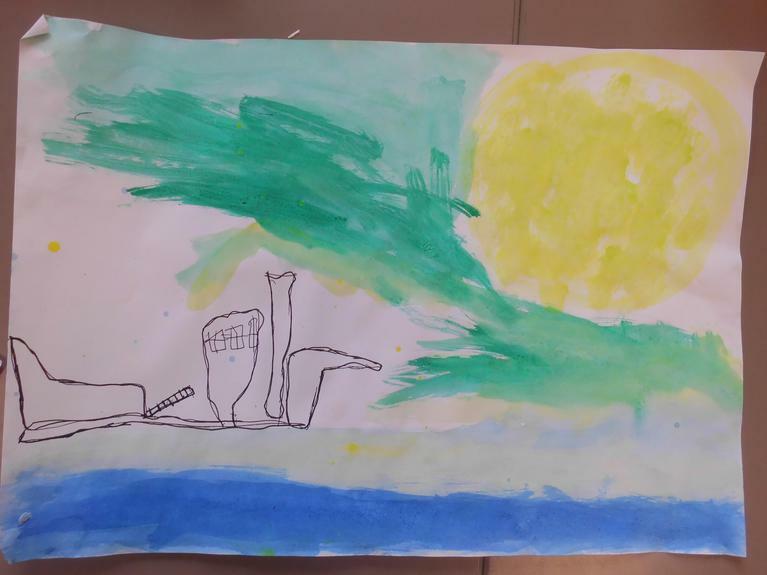 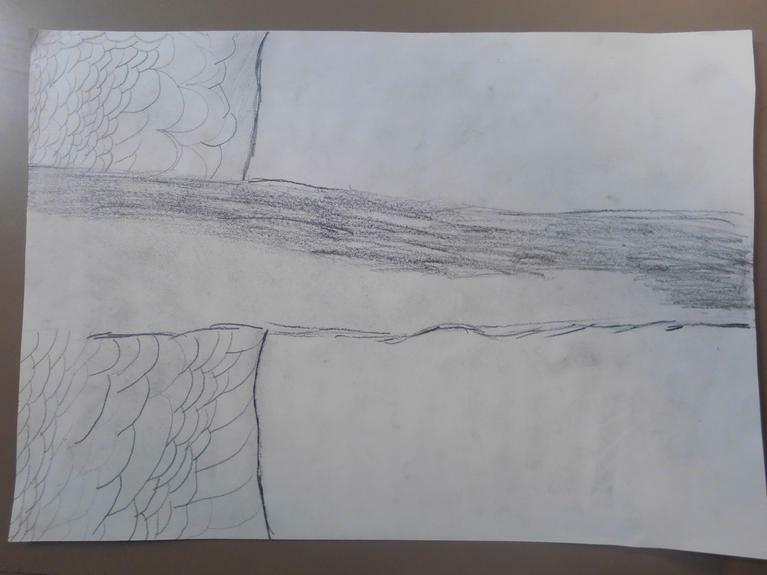 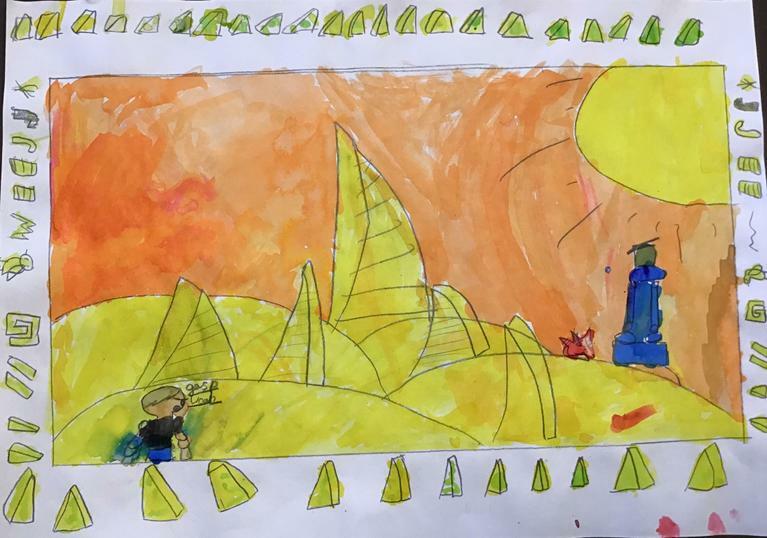 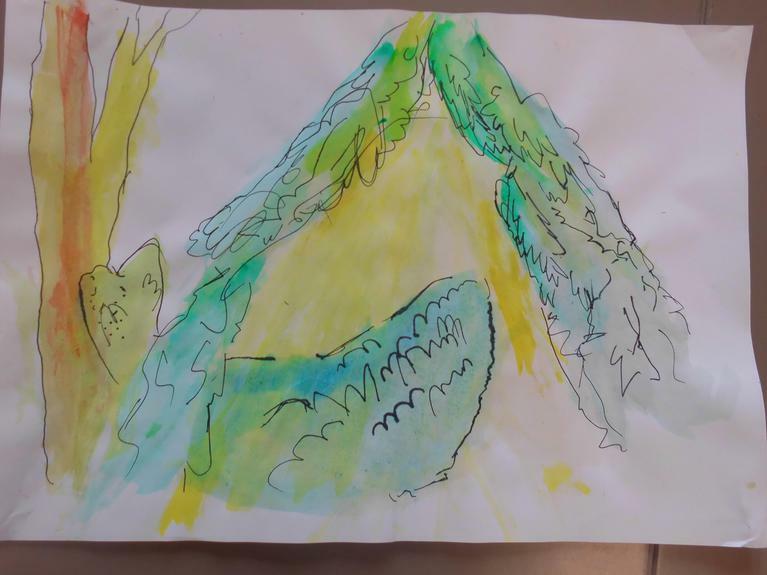 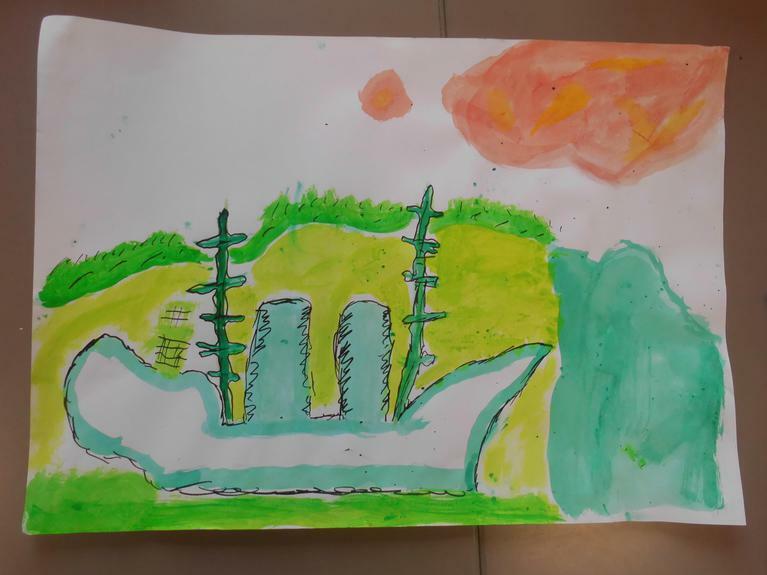 Year 4 produced lots of sketches which they will now use to develop their own artwork. 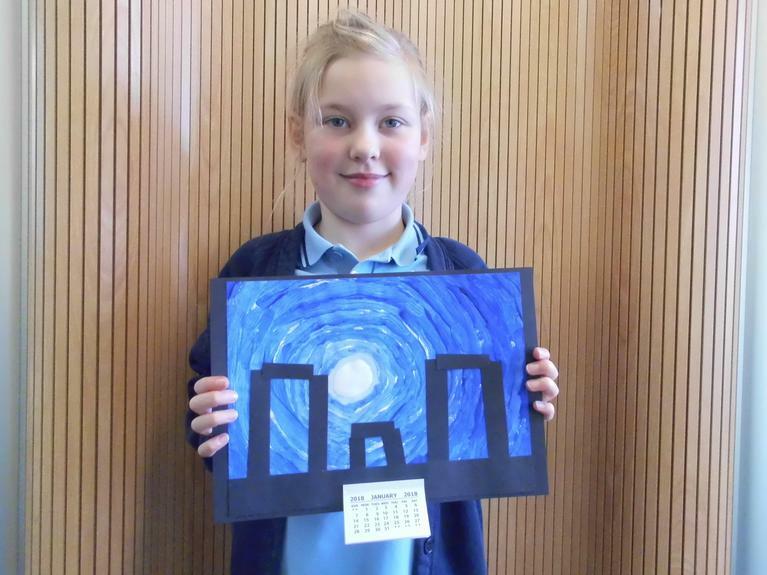 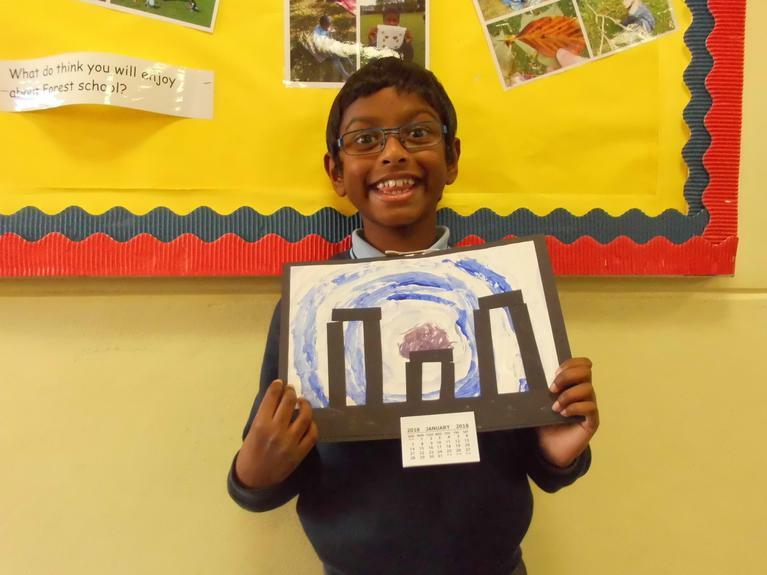 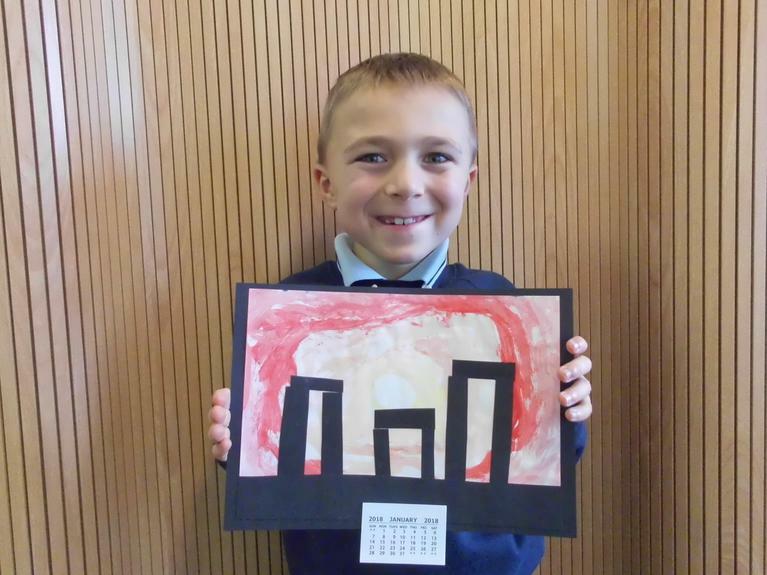 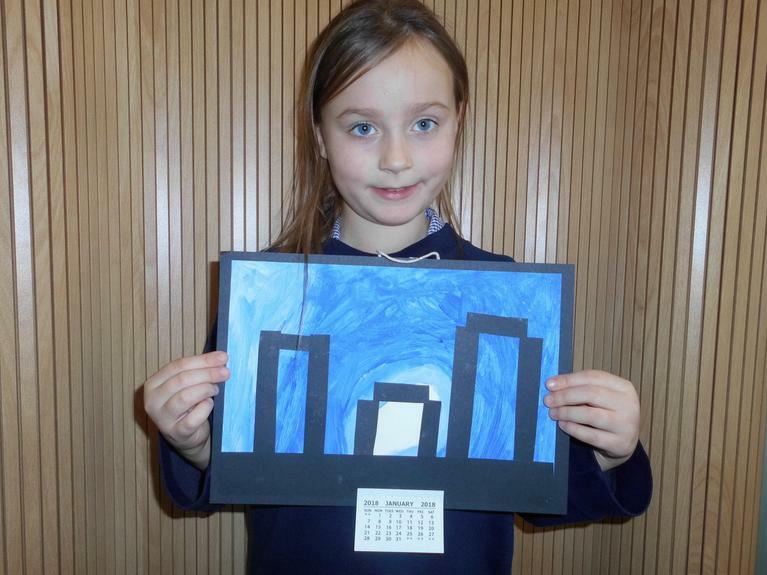 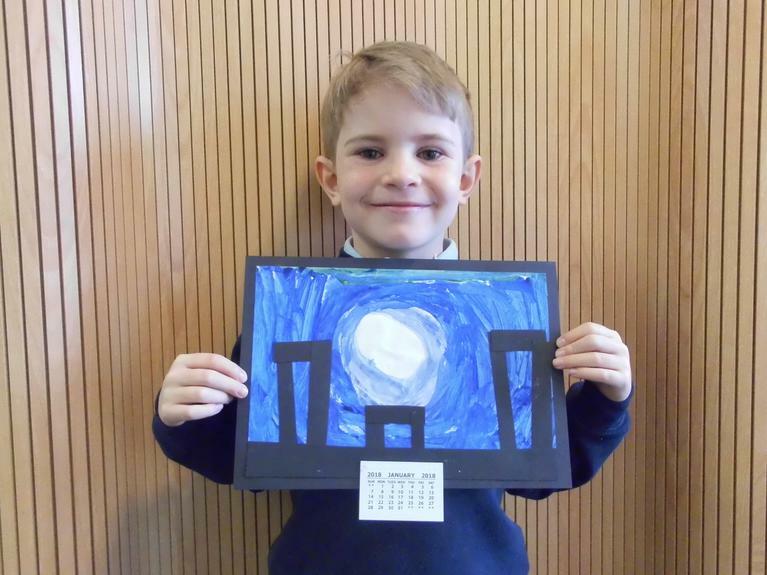 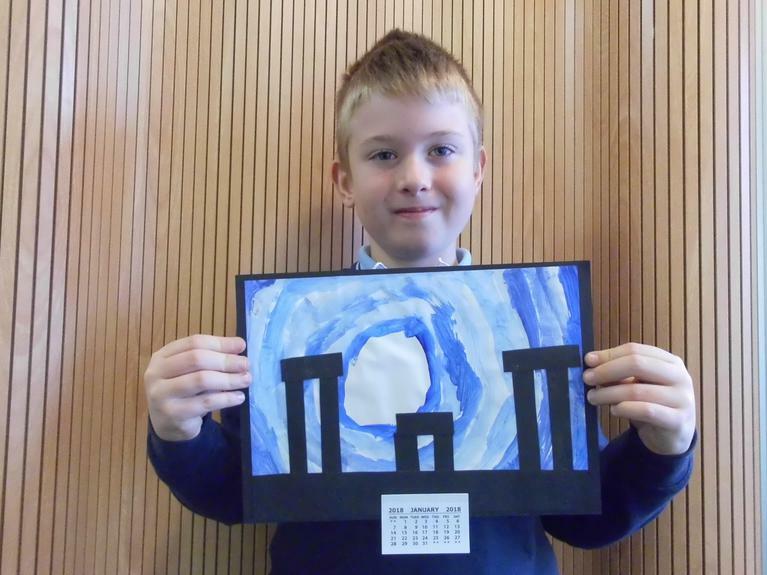 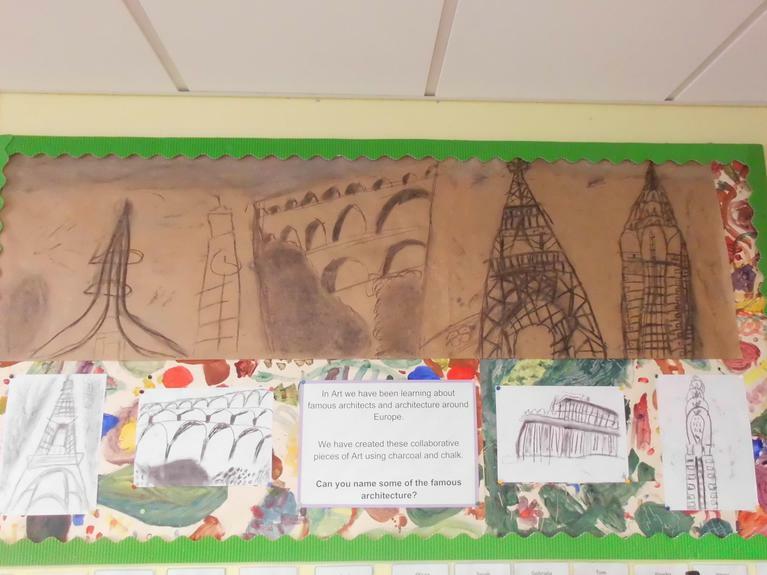 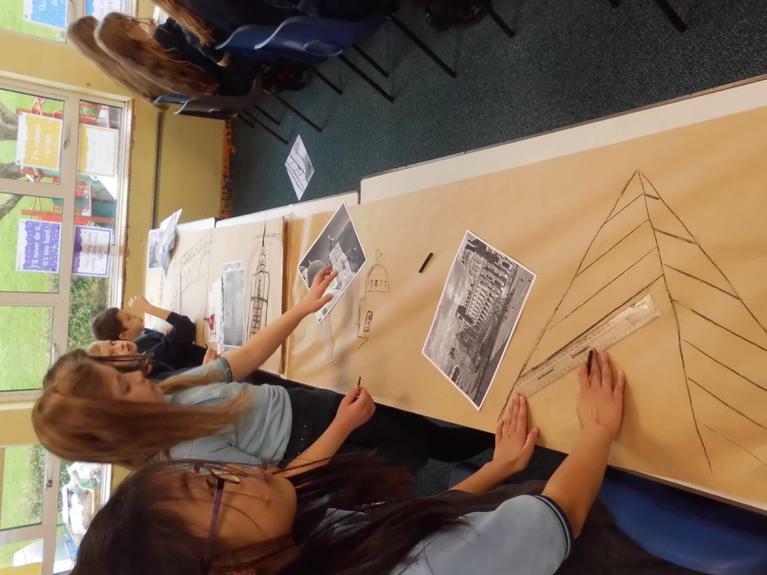 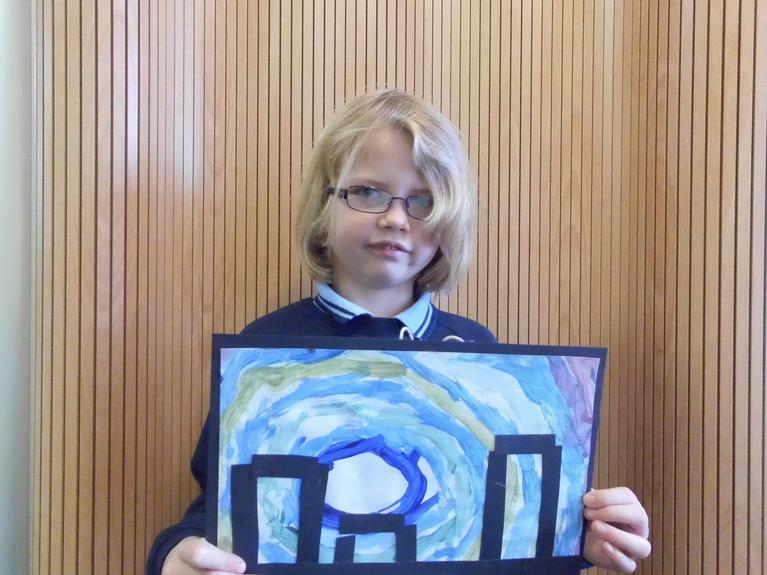 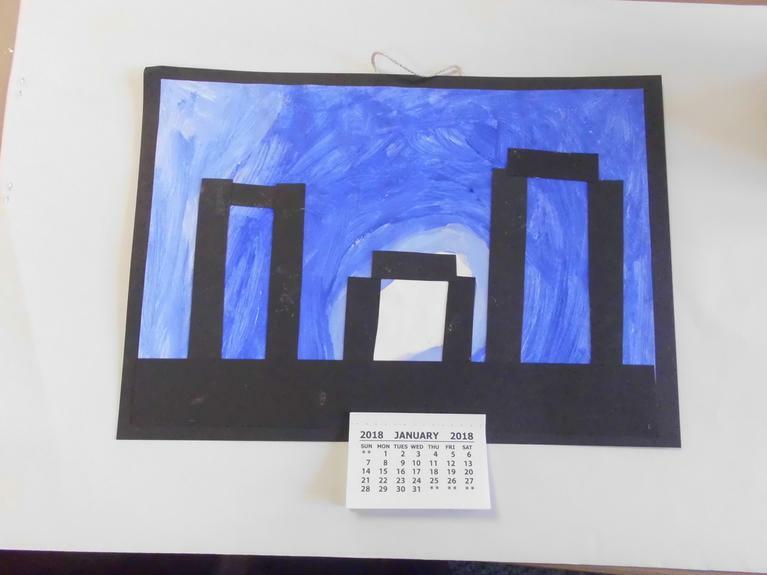 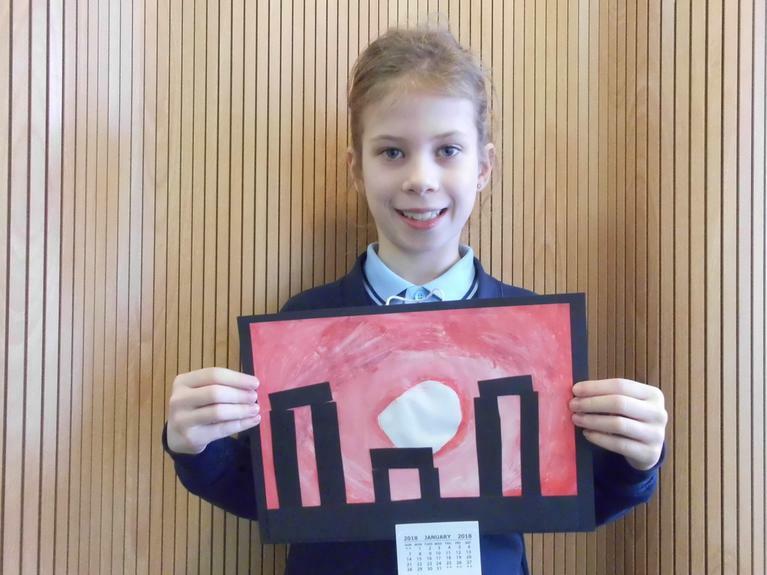 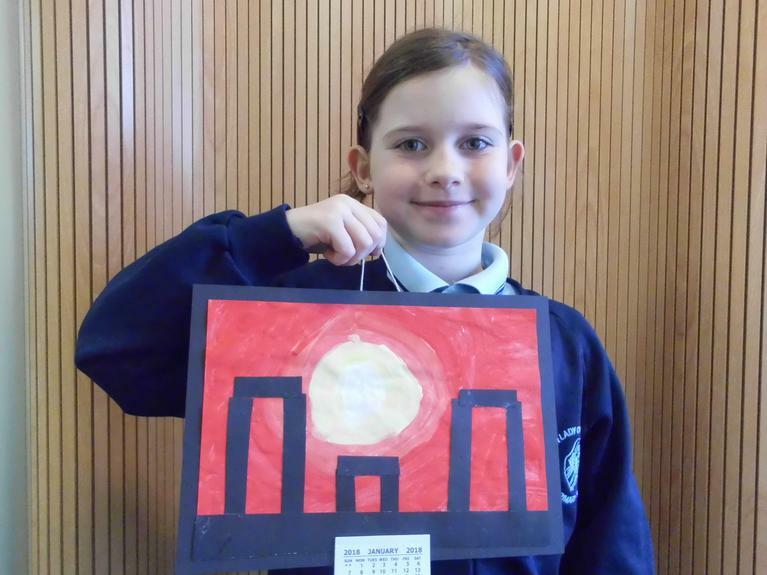 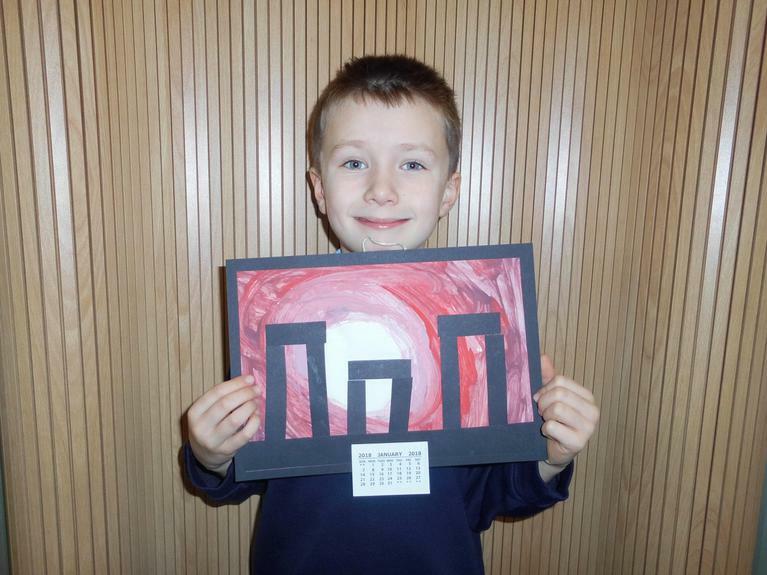 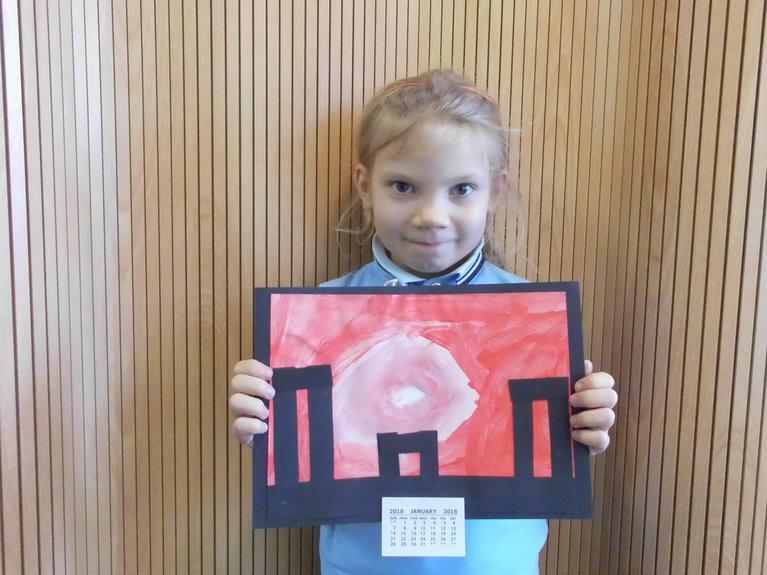 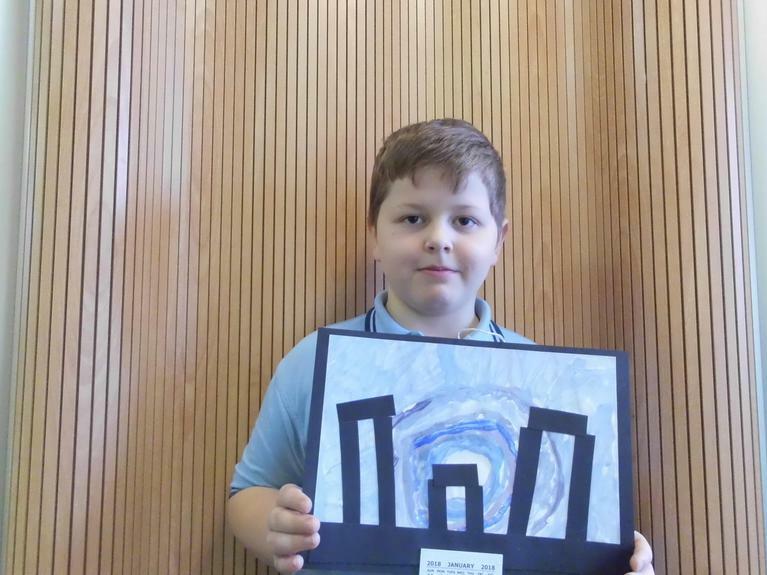 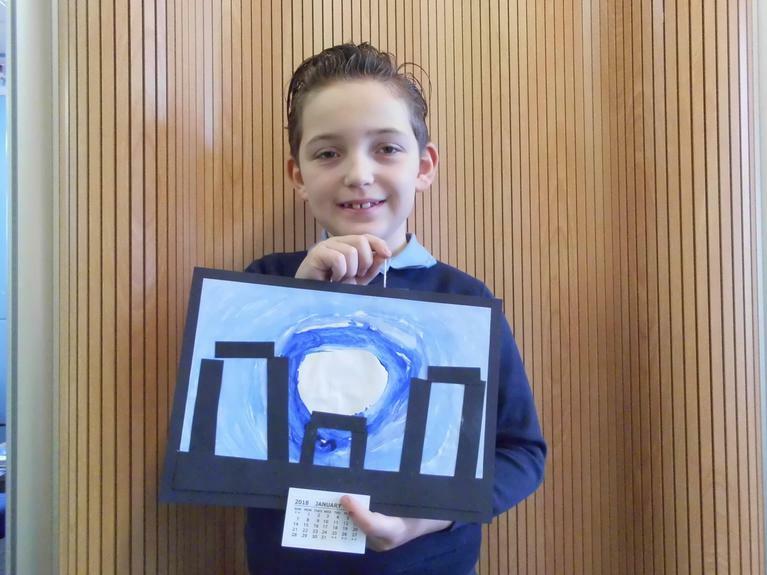 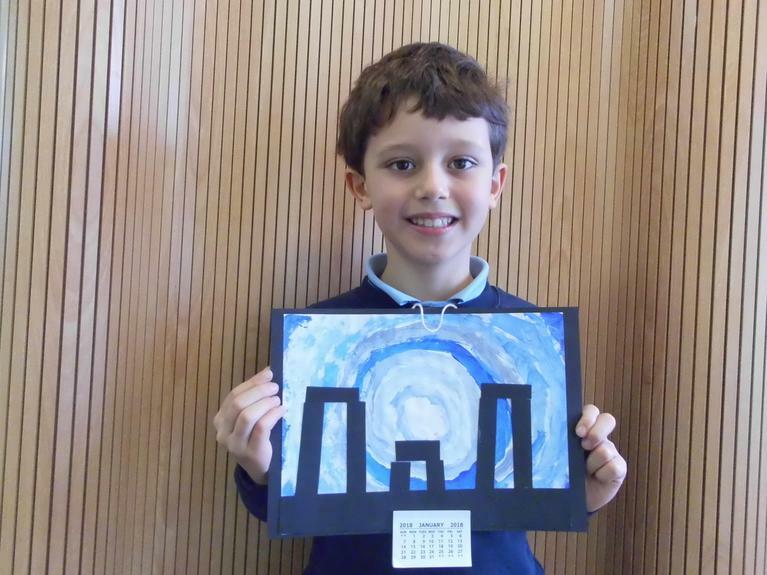 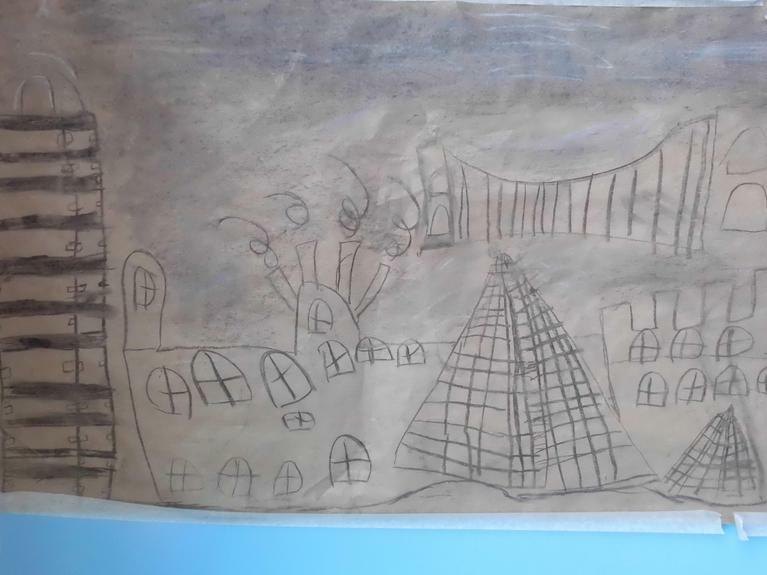 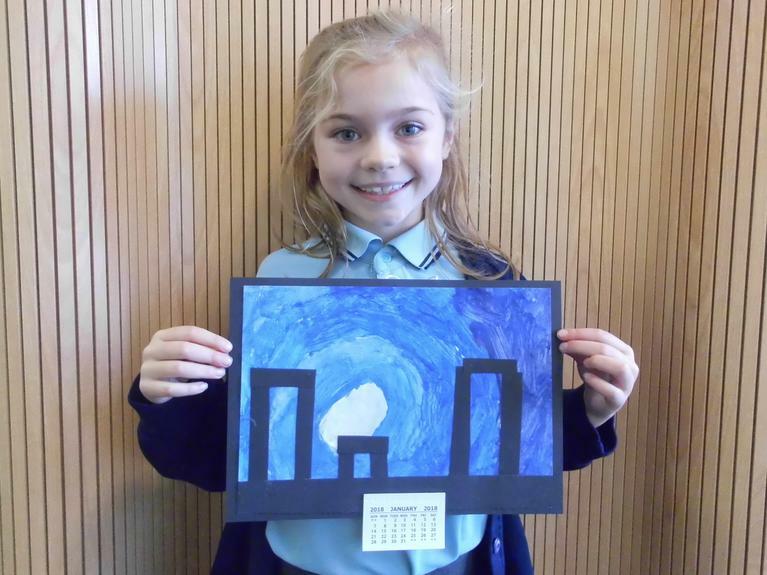 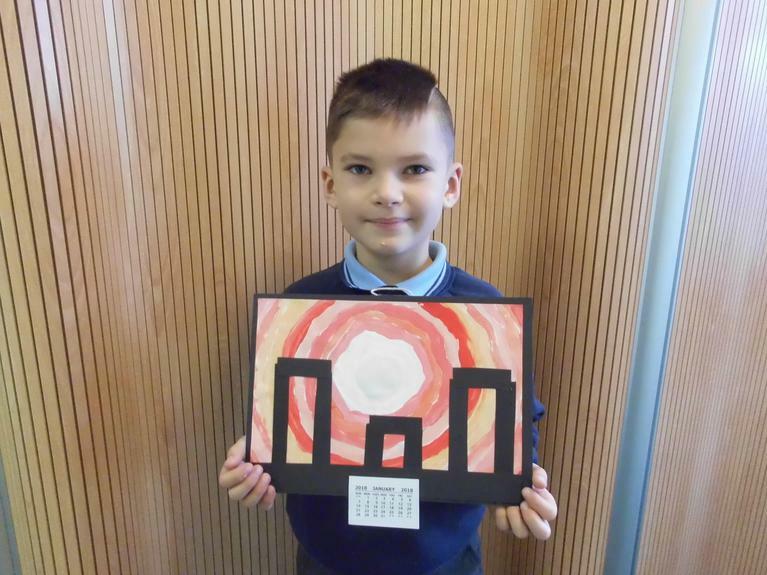 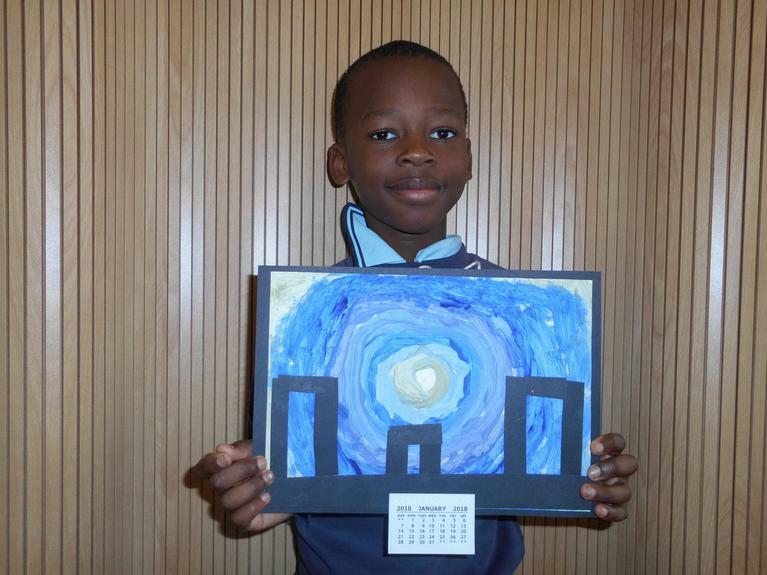 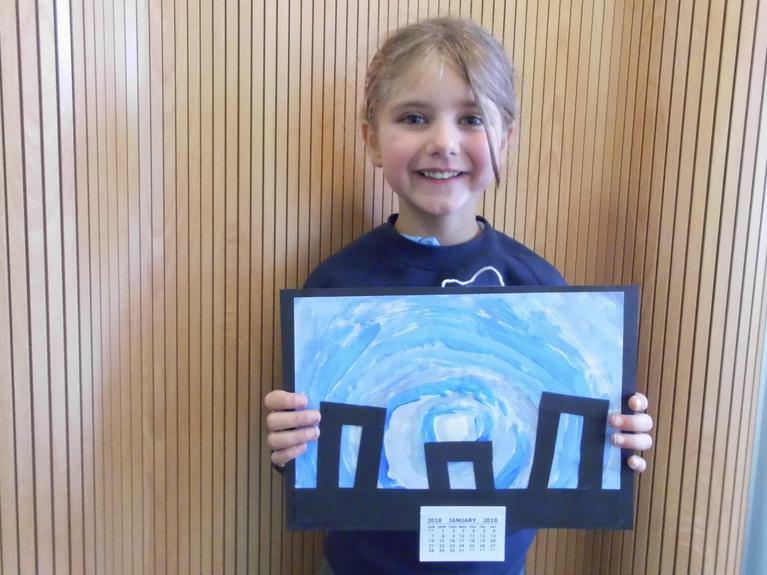 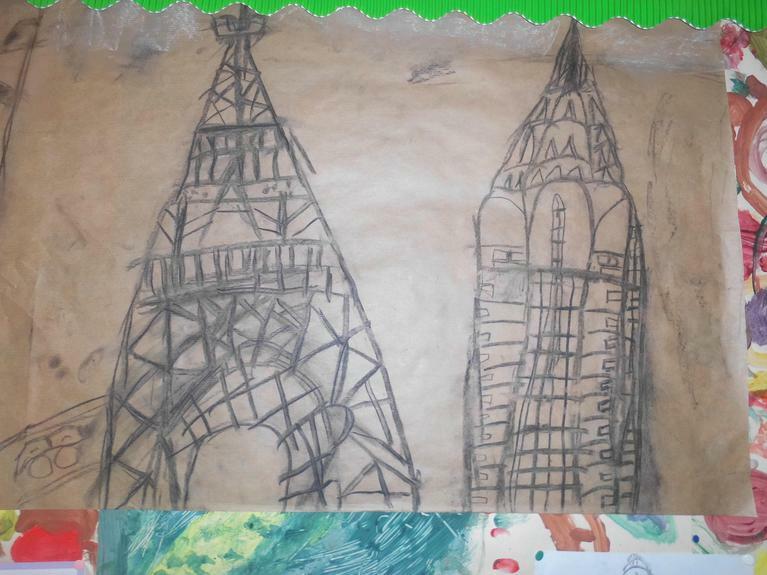 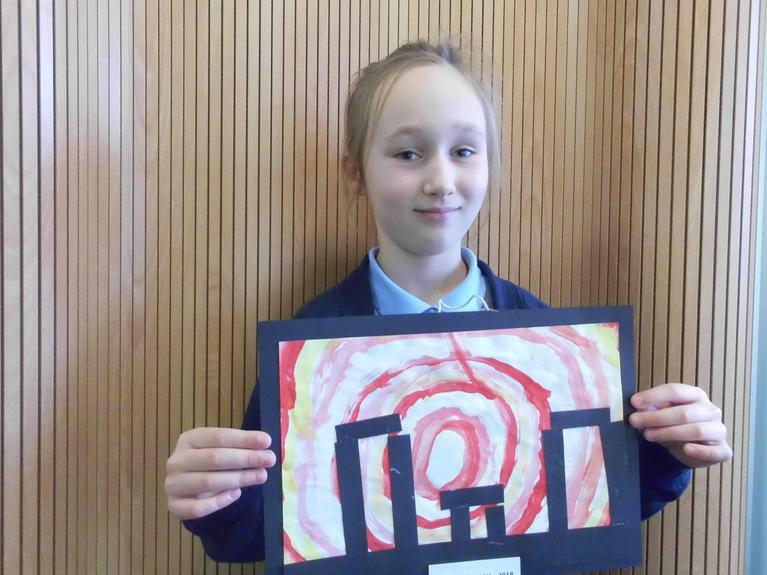 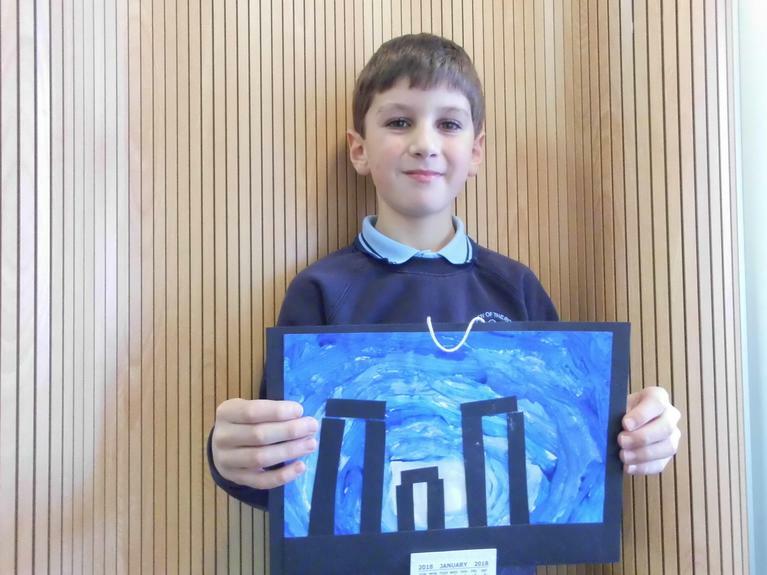 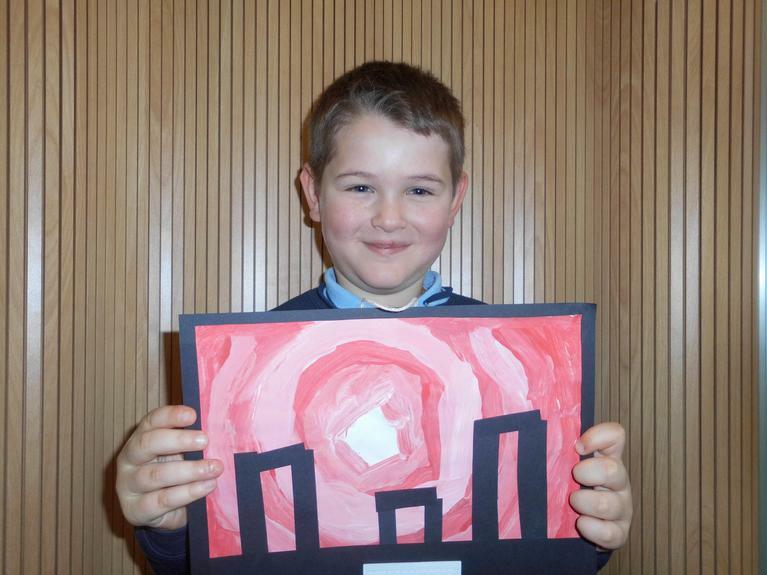 Year 4 have been learning about famous architects and architecture around Europe. 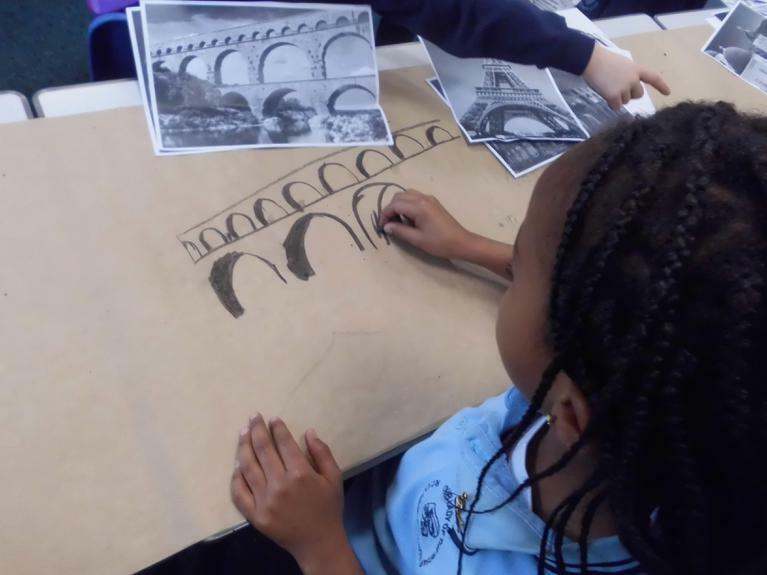 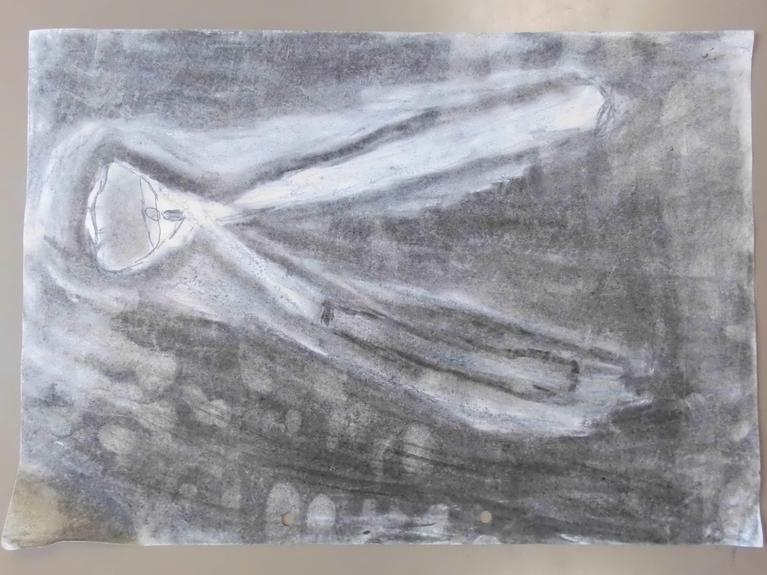 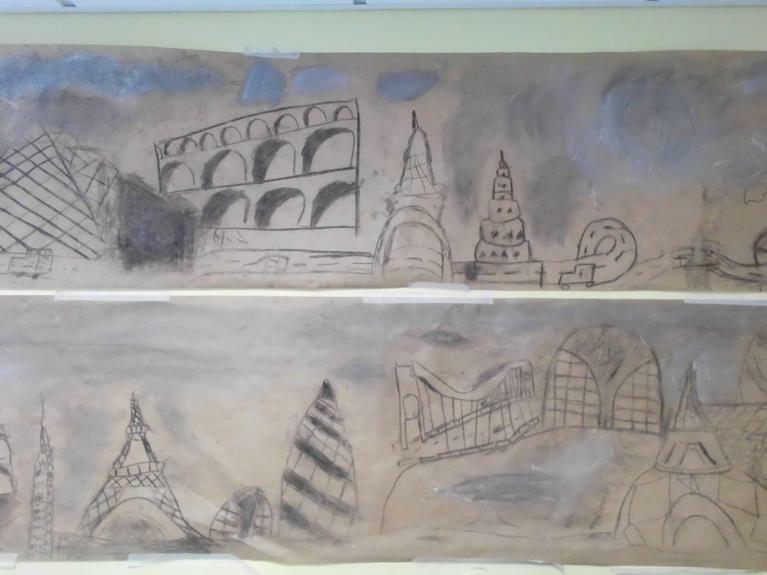 We created these collaborative pieces using charcoal and chalk. 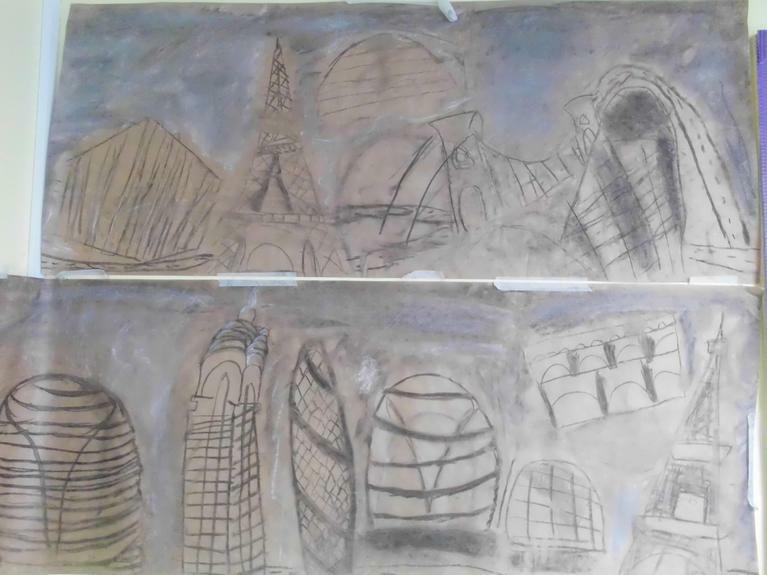 Do you recognise any of the architecture? 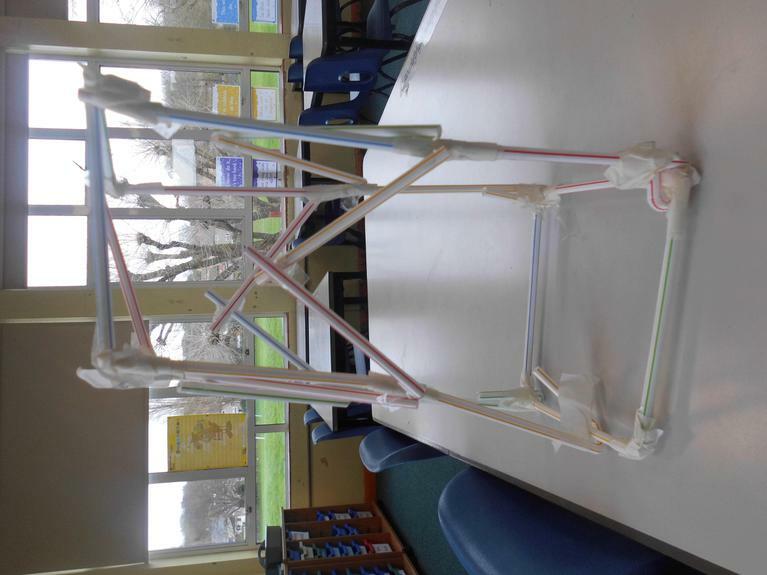 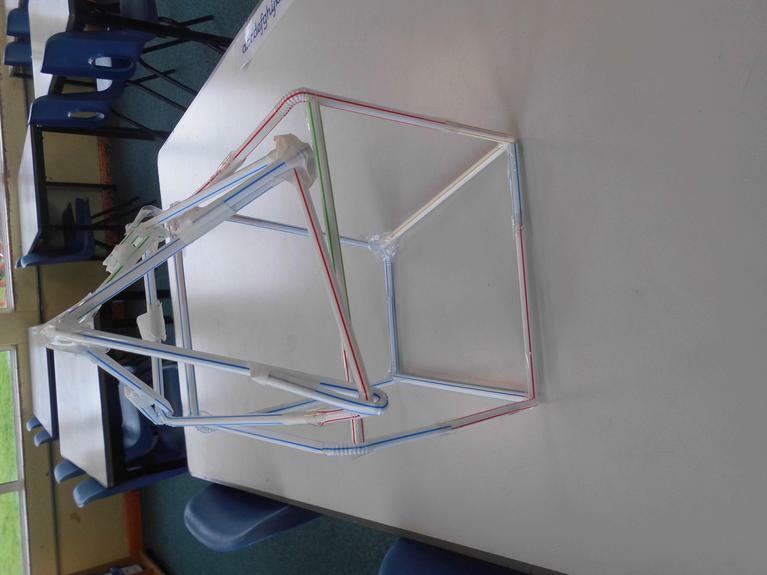 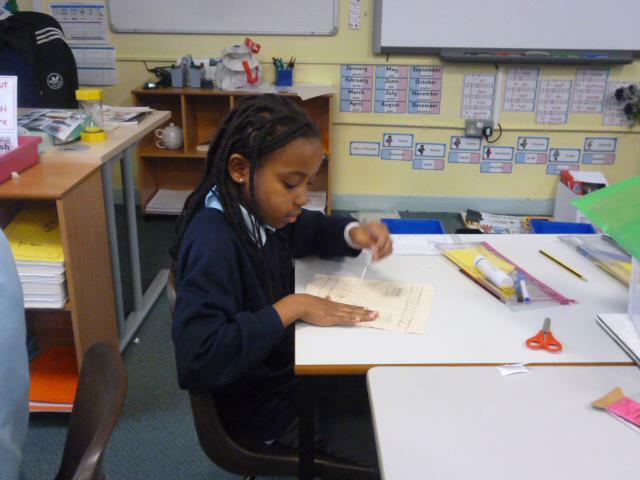 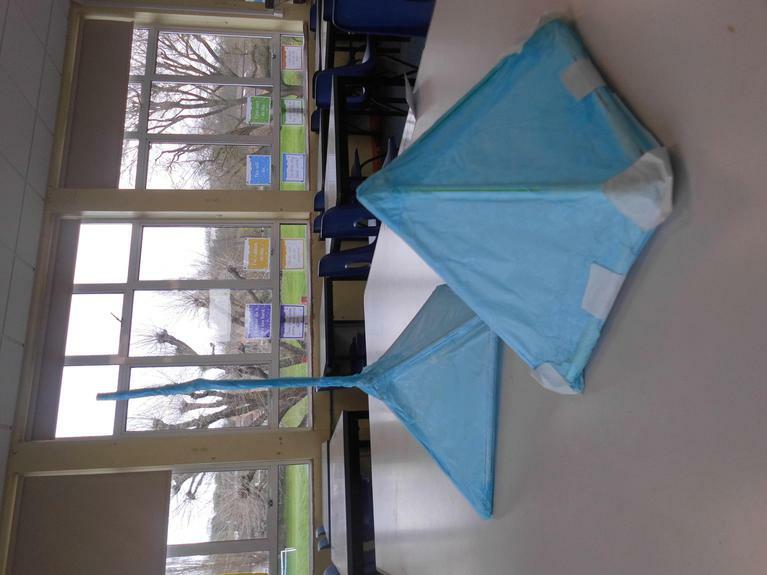 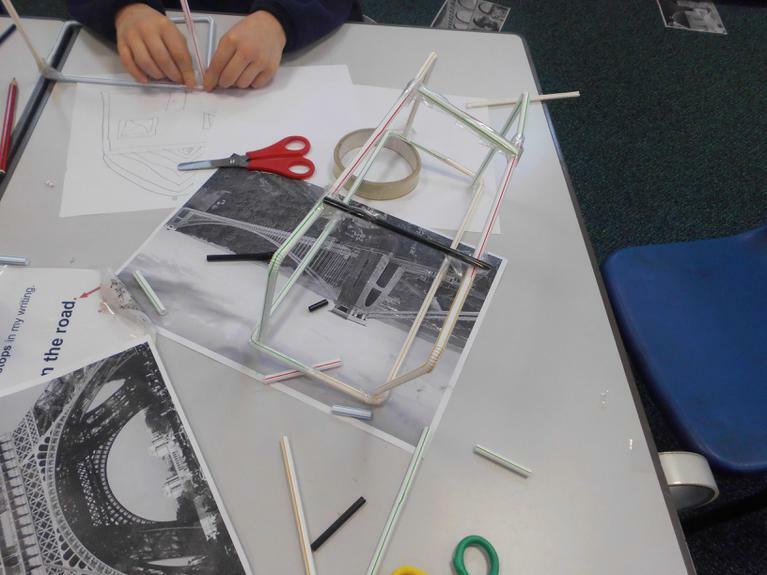 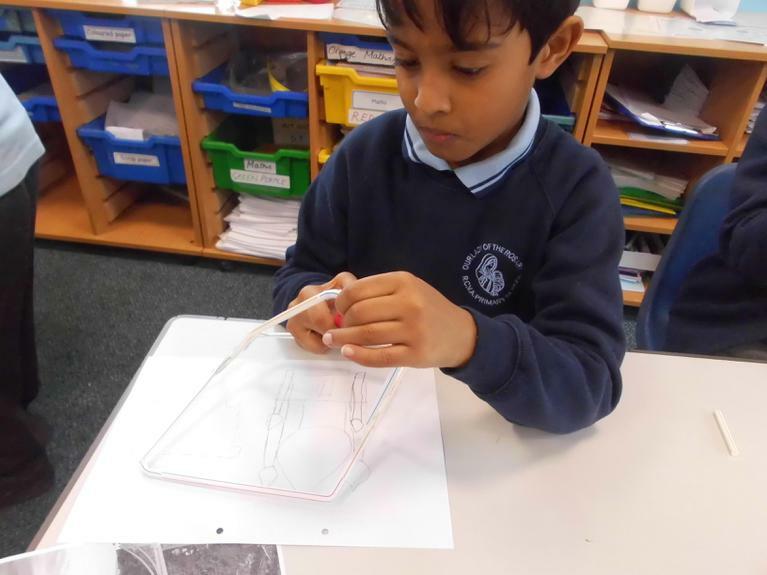 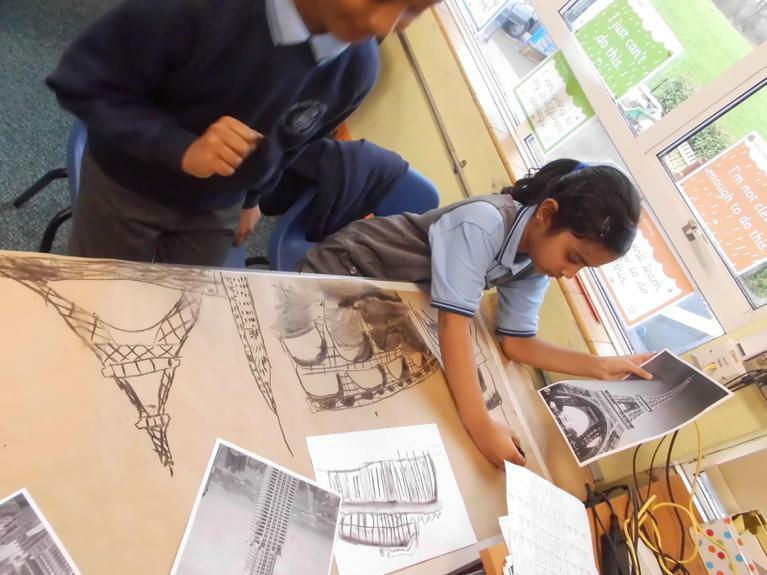 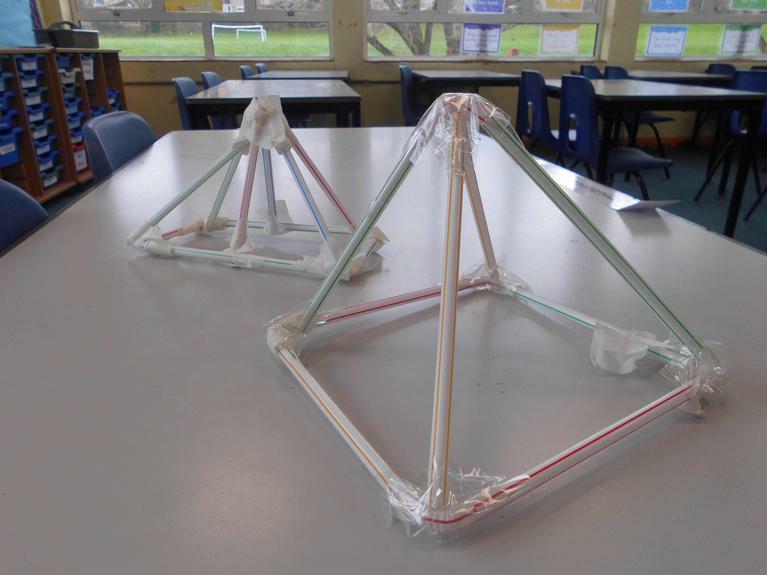 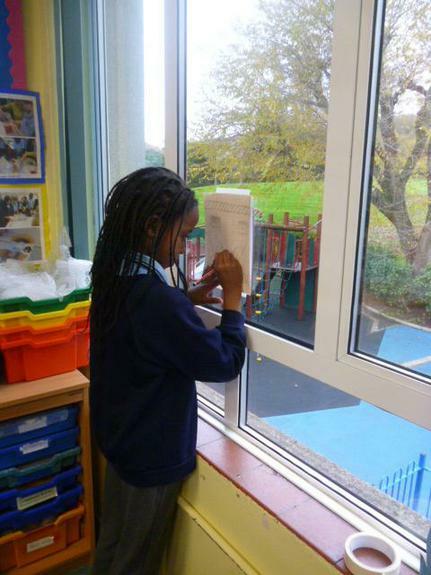 Children in Year 4 became architects and designed their own buildings. 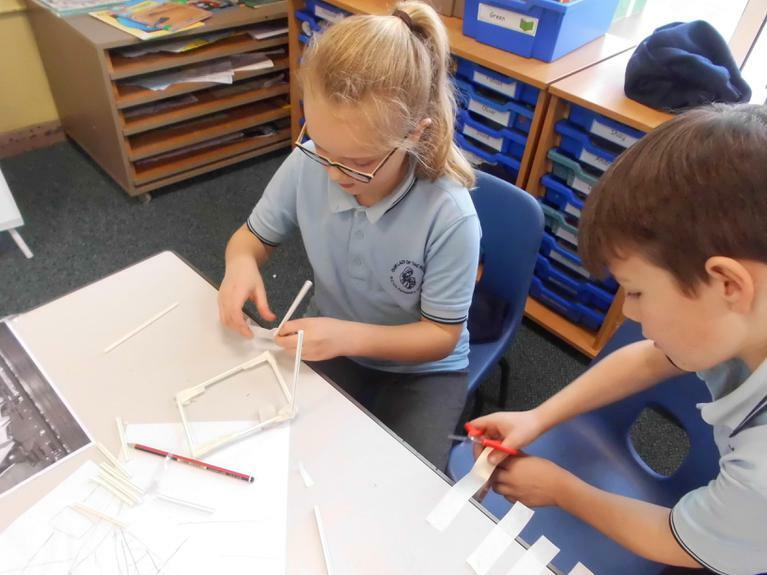 In pairs, they worked together to construct them. 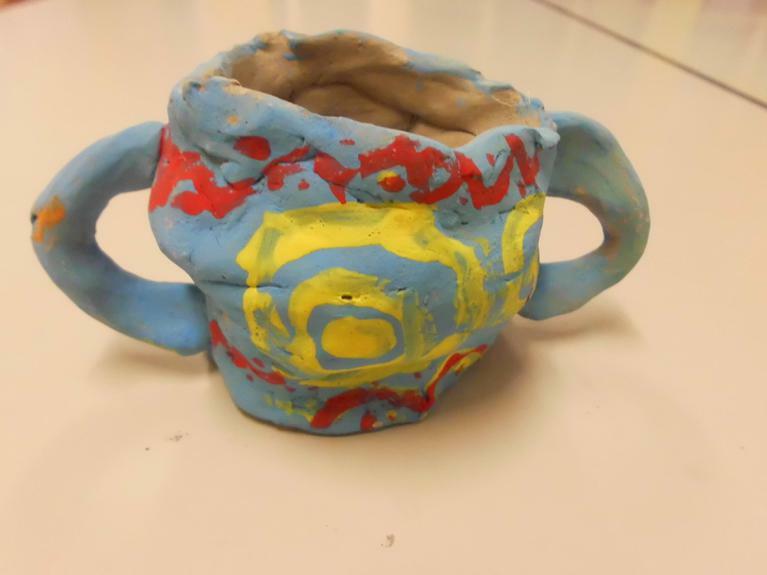 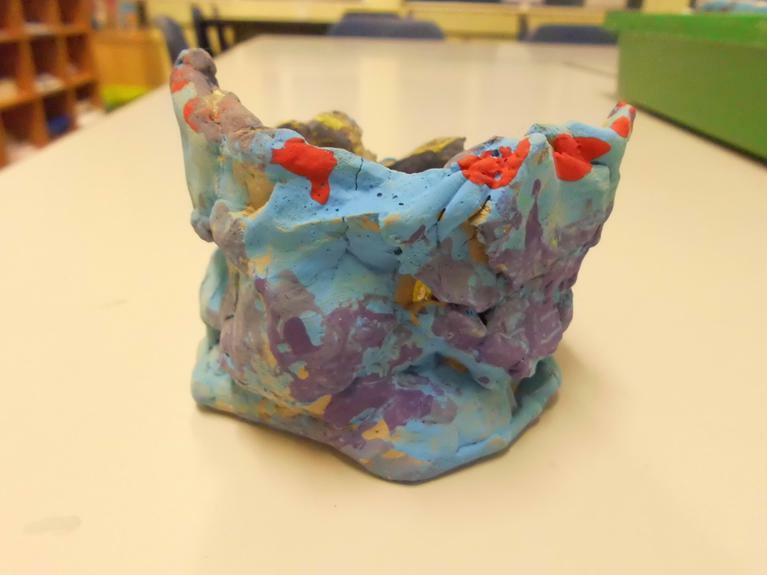 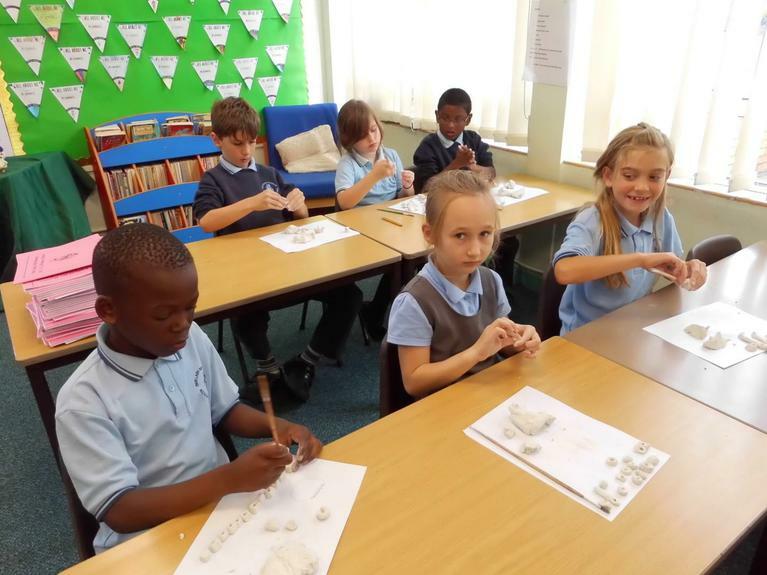 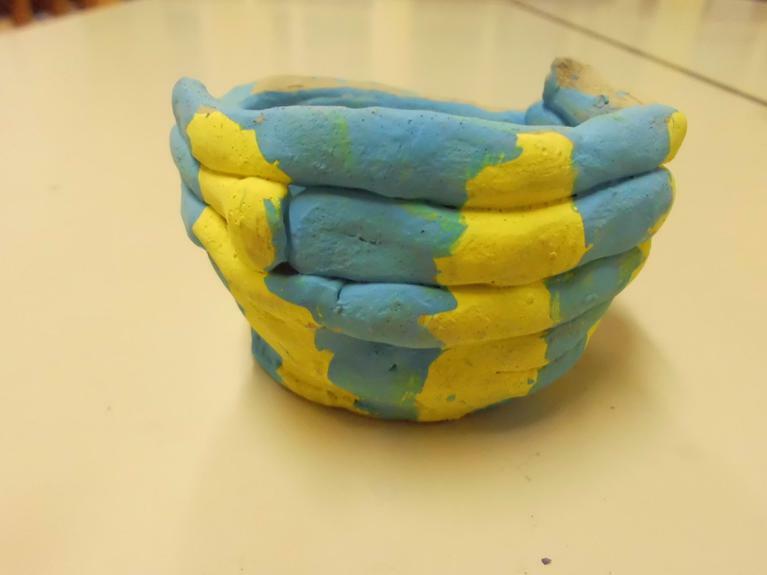 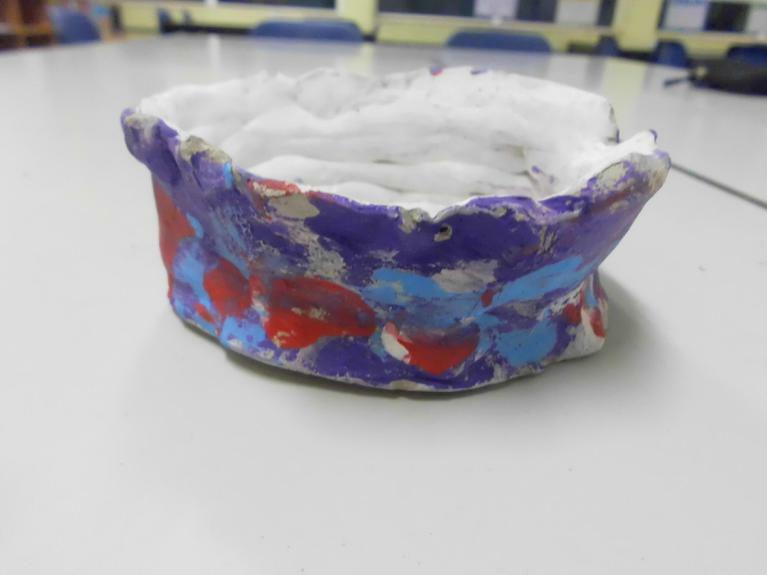 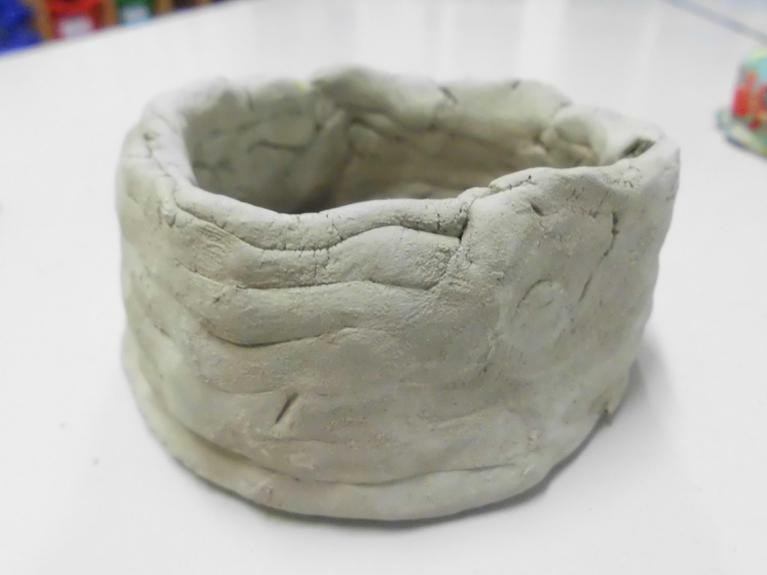 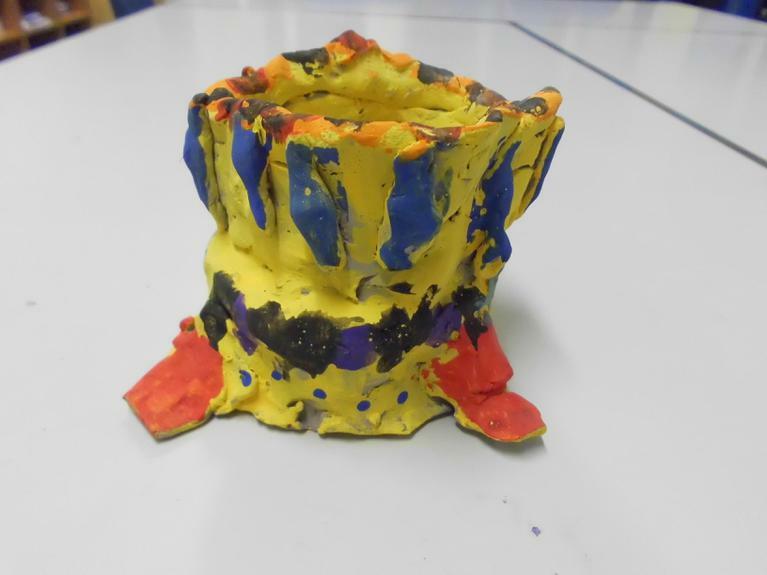 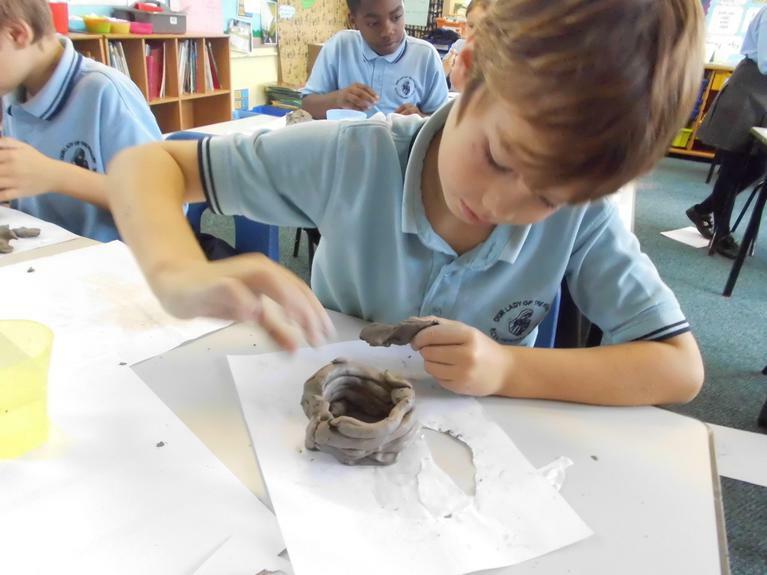 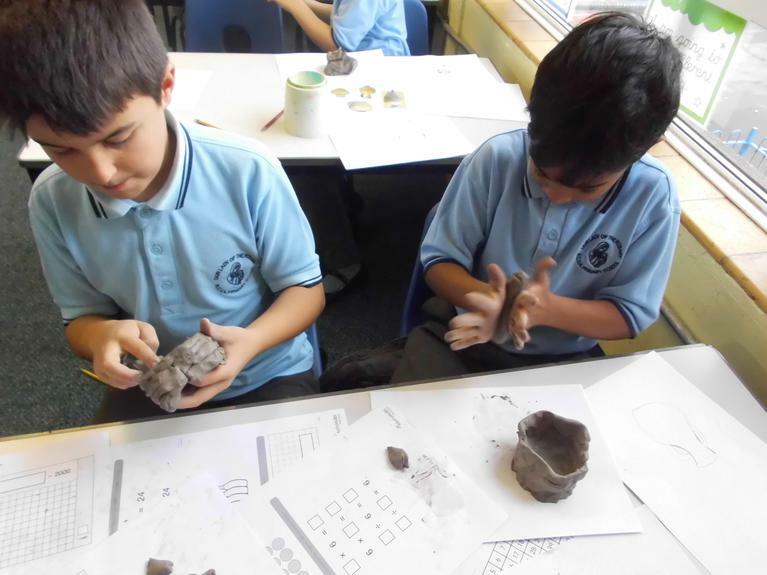 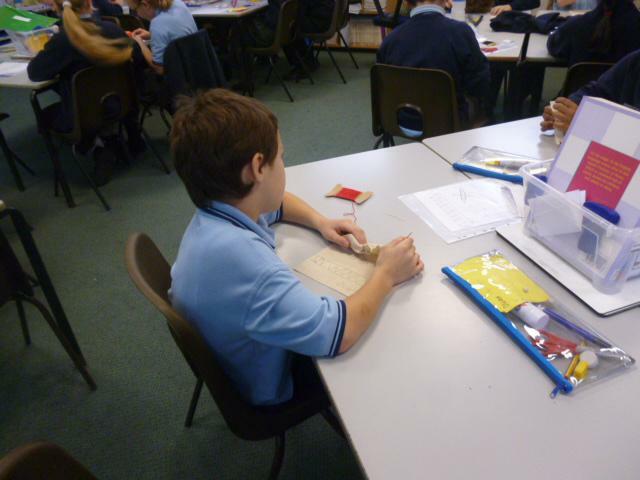 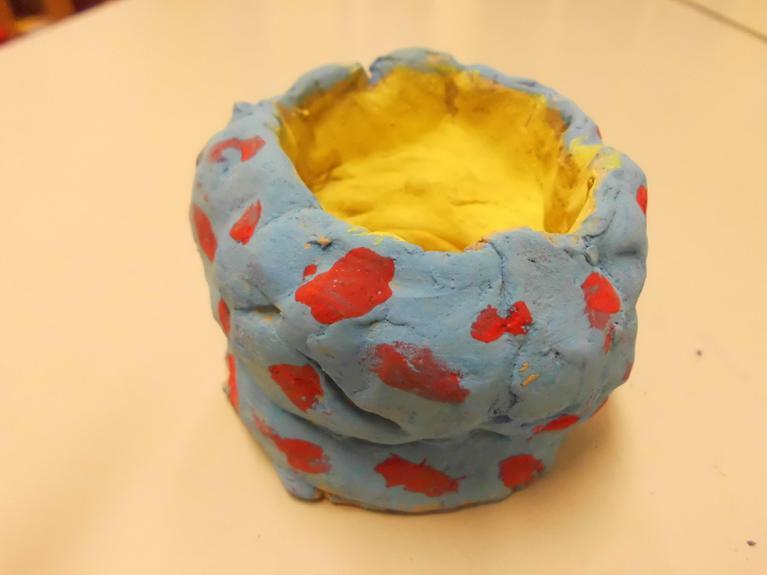 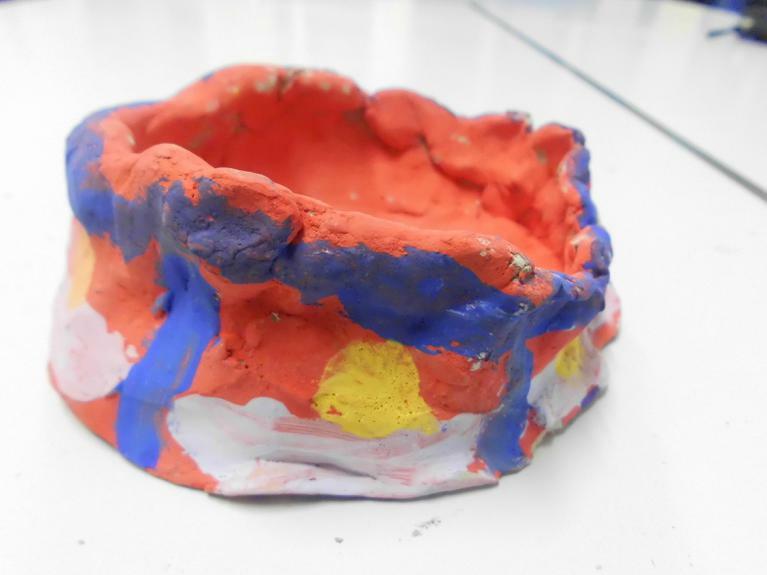 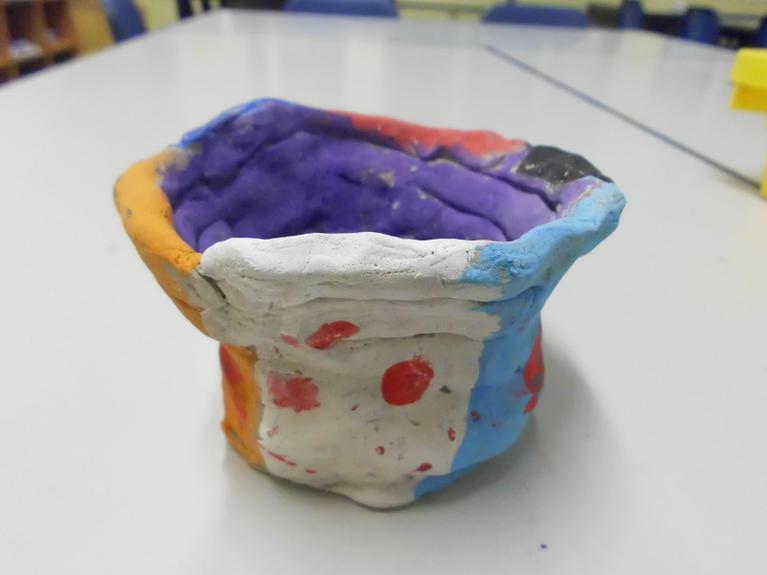 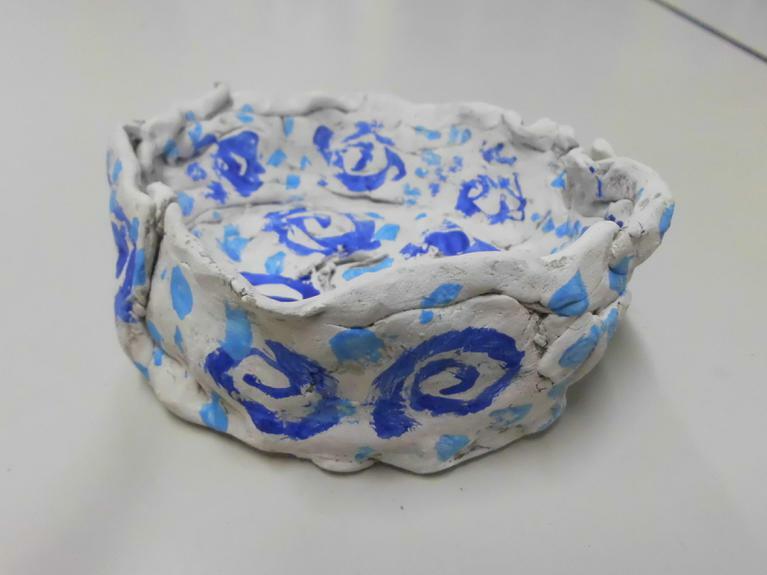 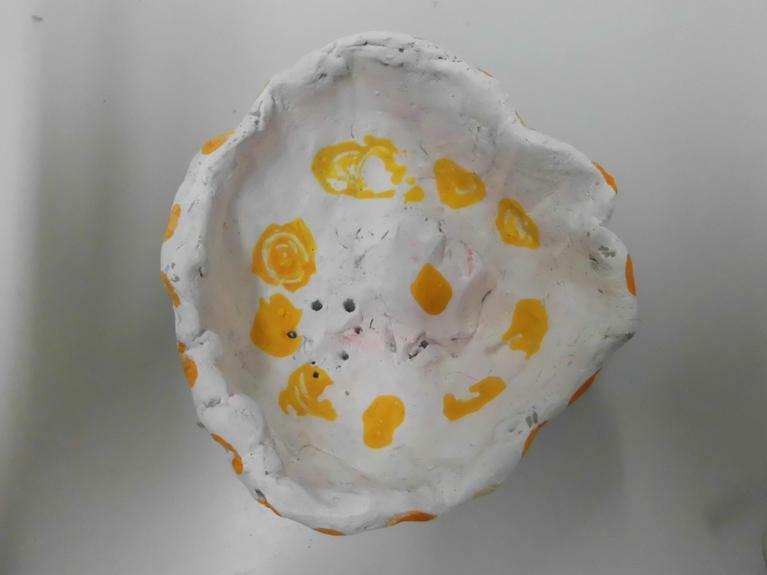 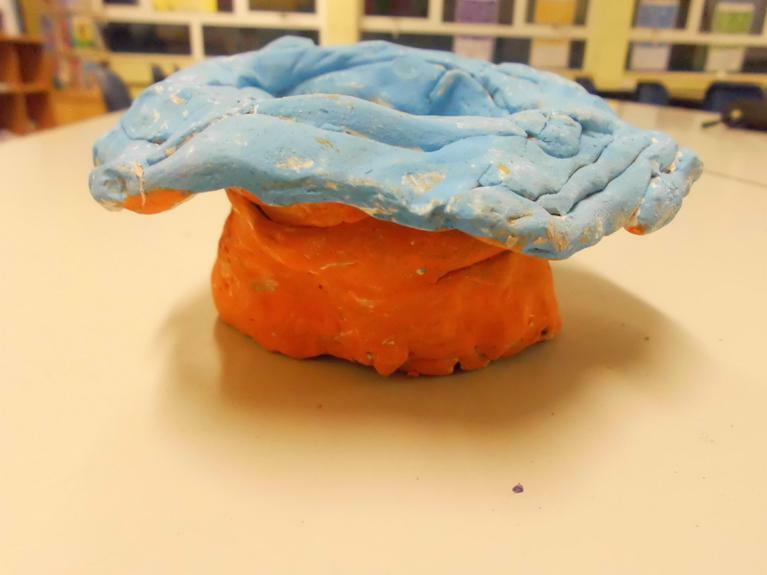 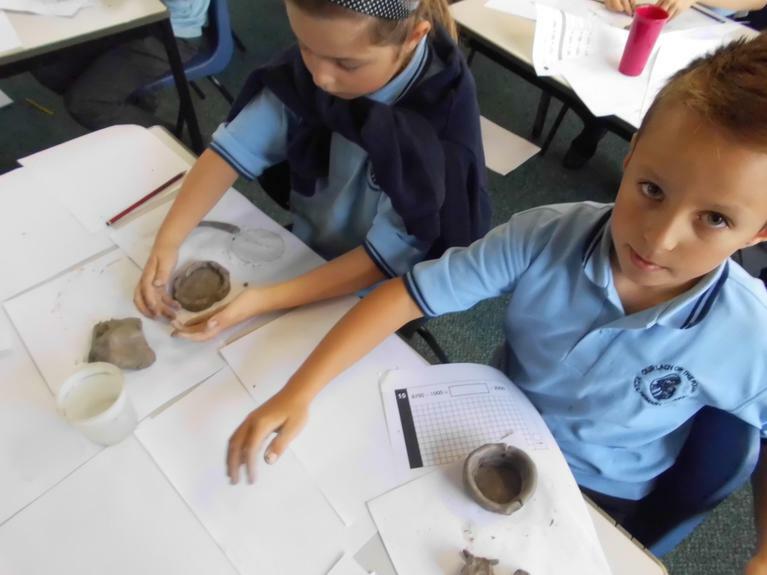 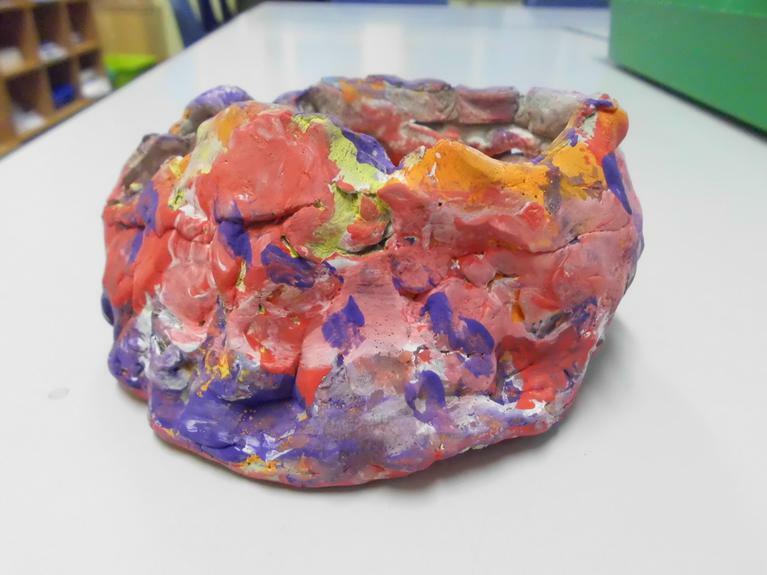 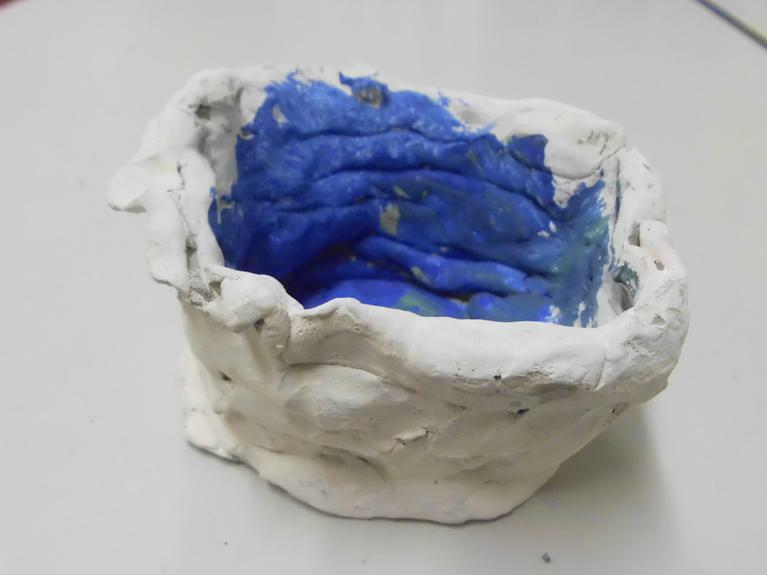 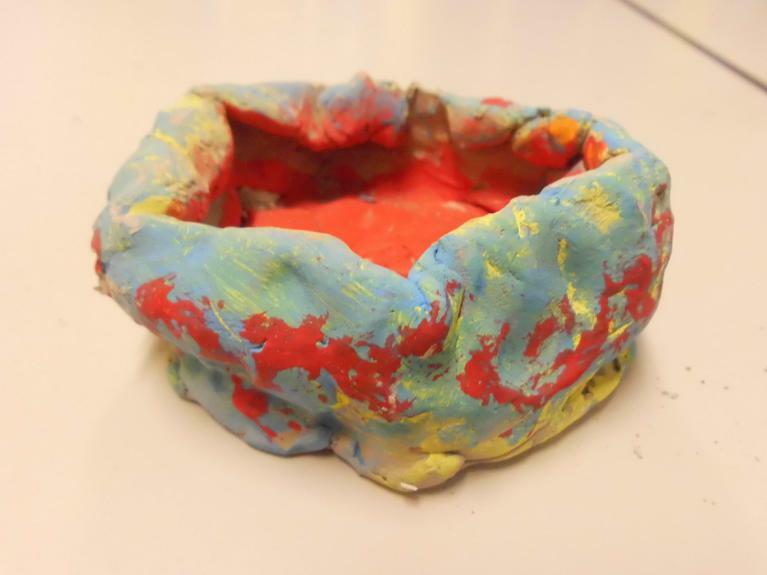 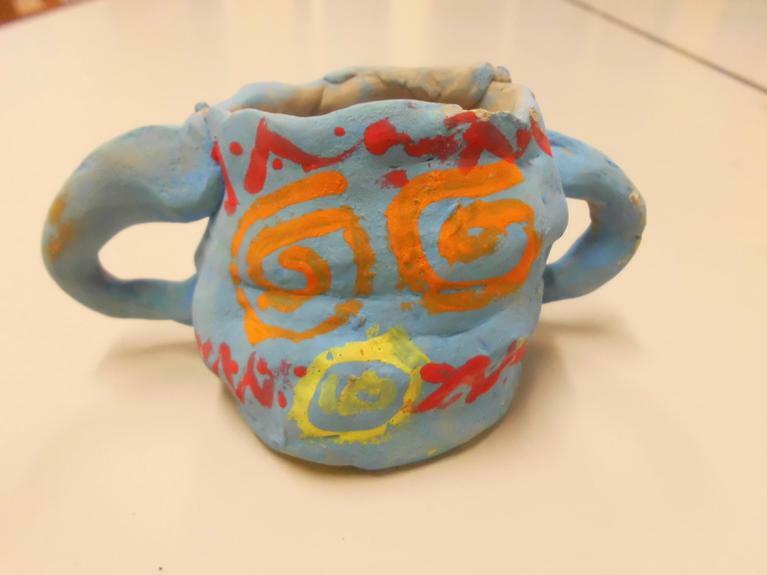 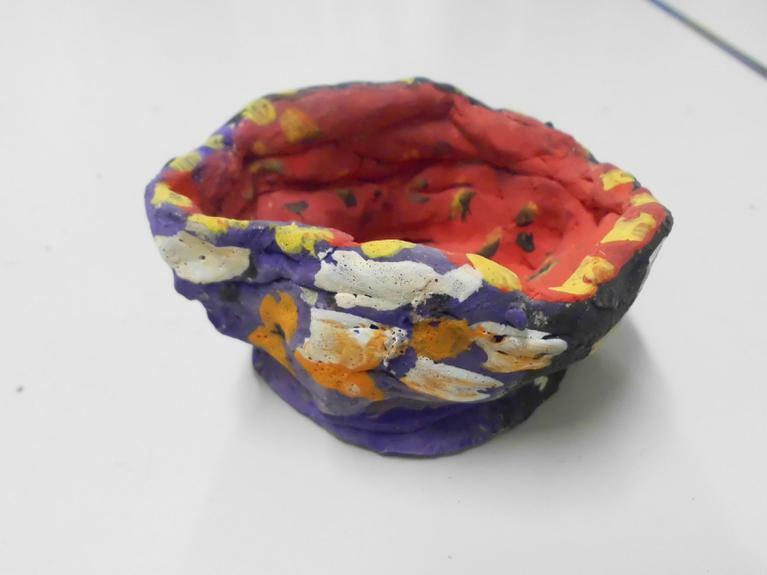 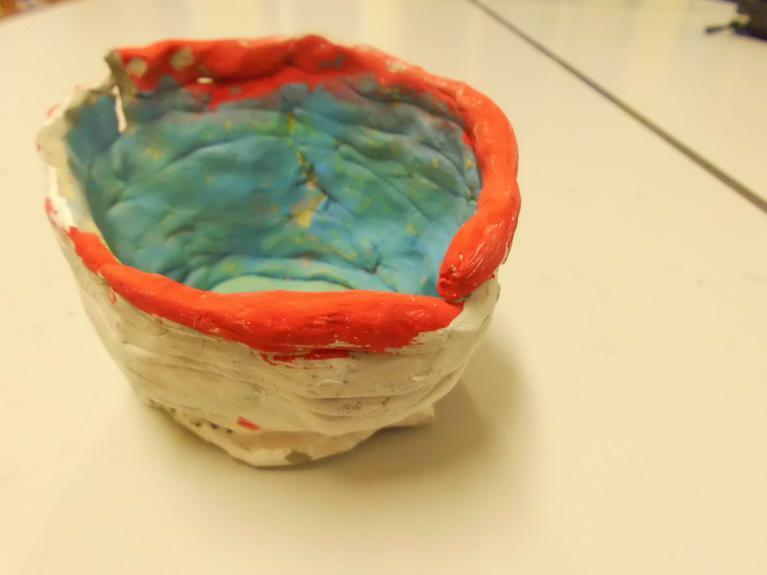 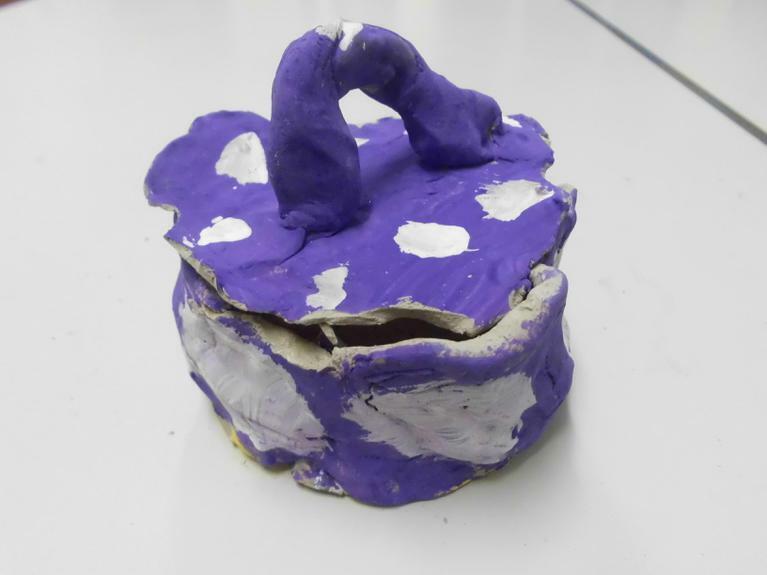 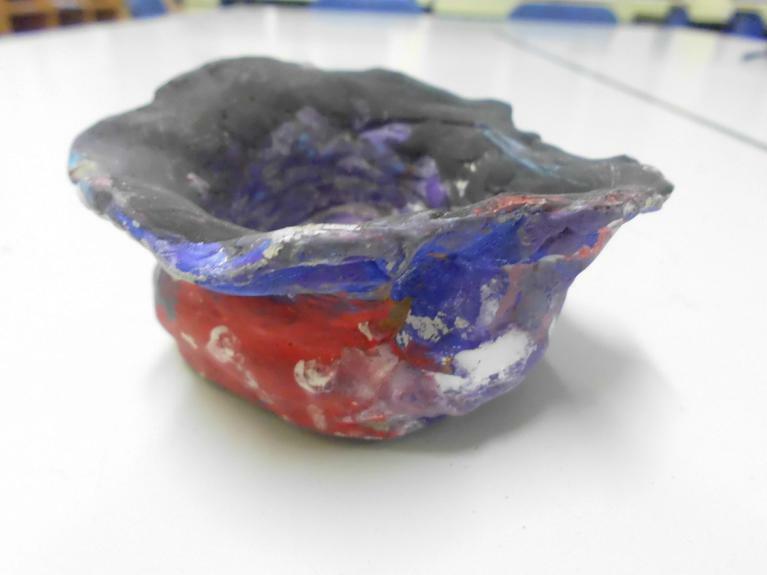 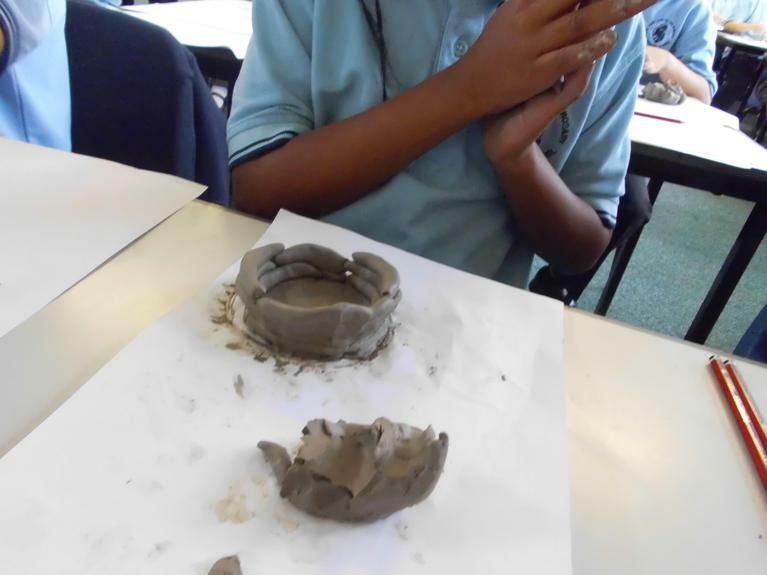 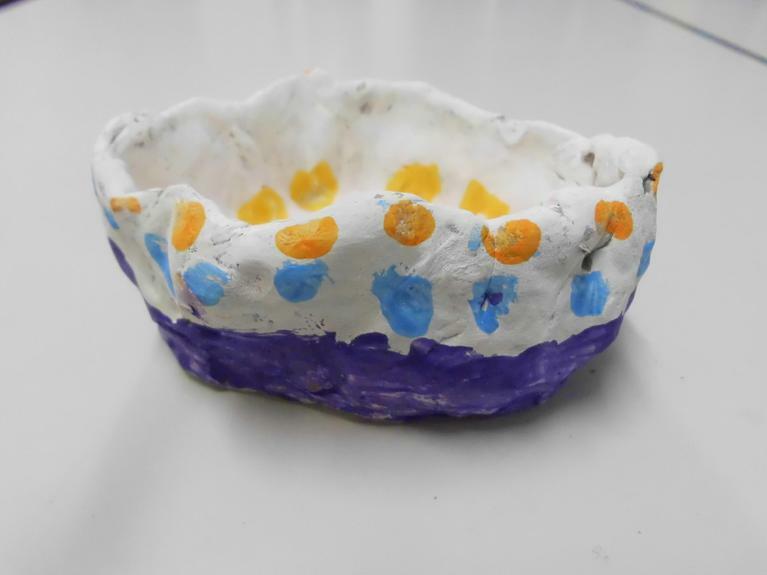 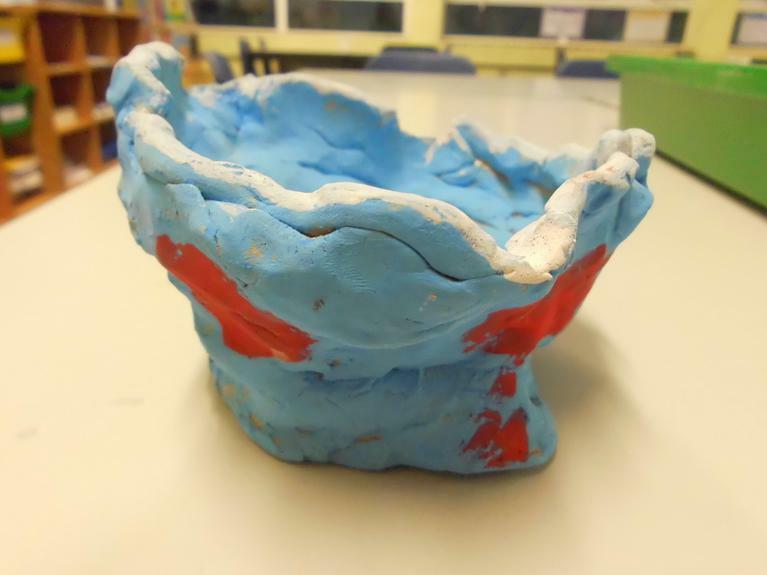 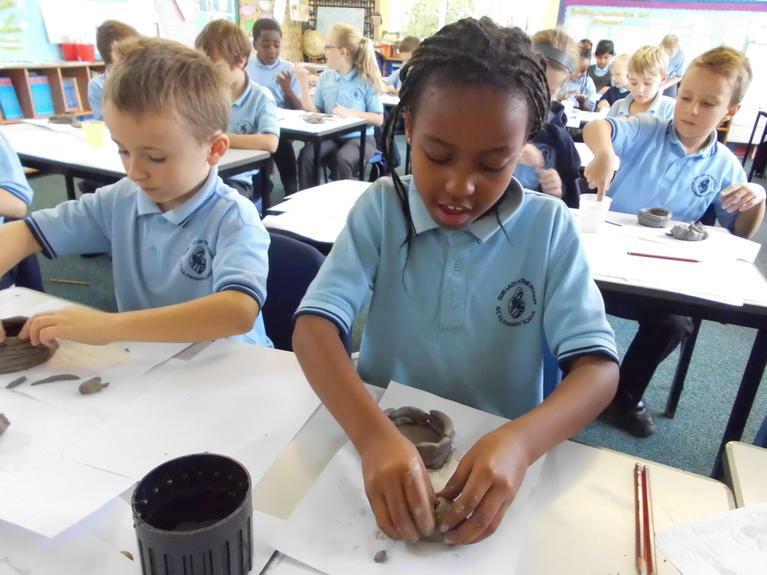 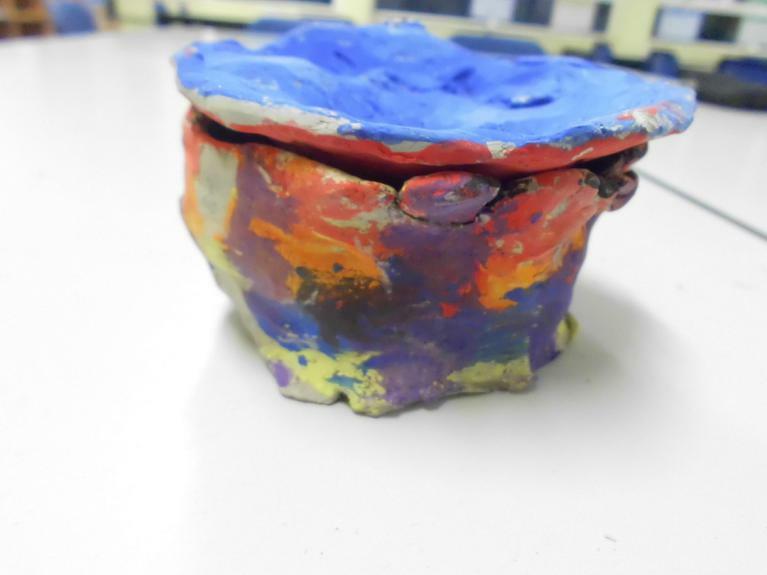 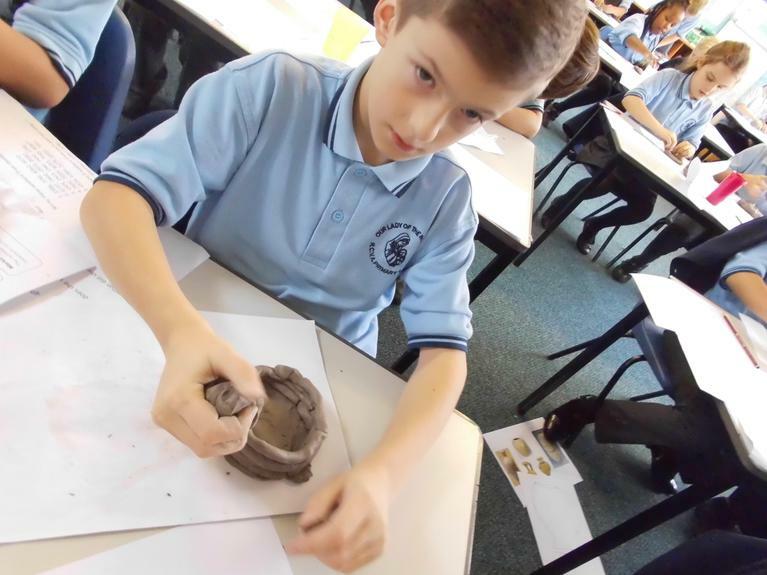 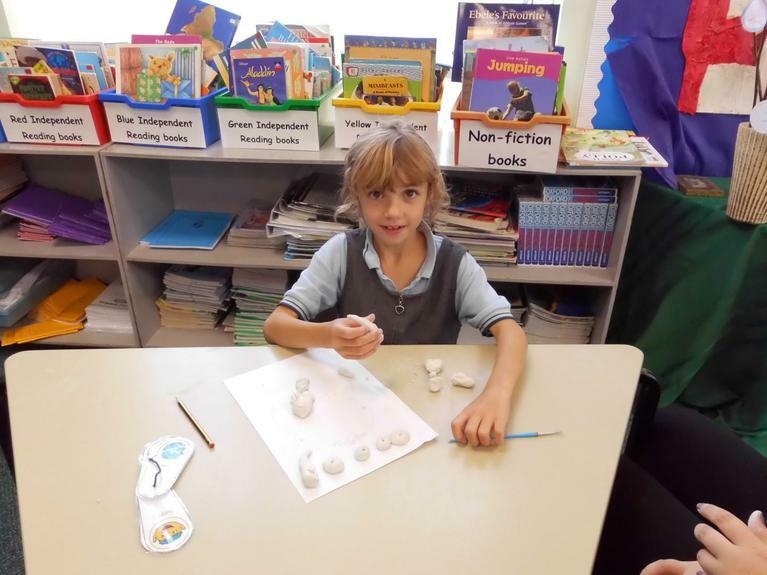 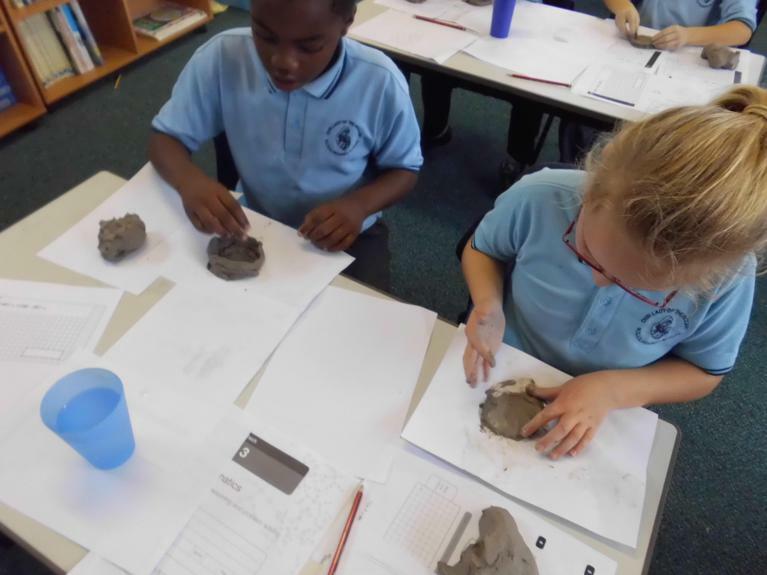 Children in Year 4 have been exploring pottery in Ancient Egypt. 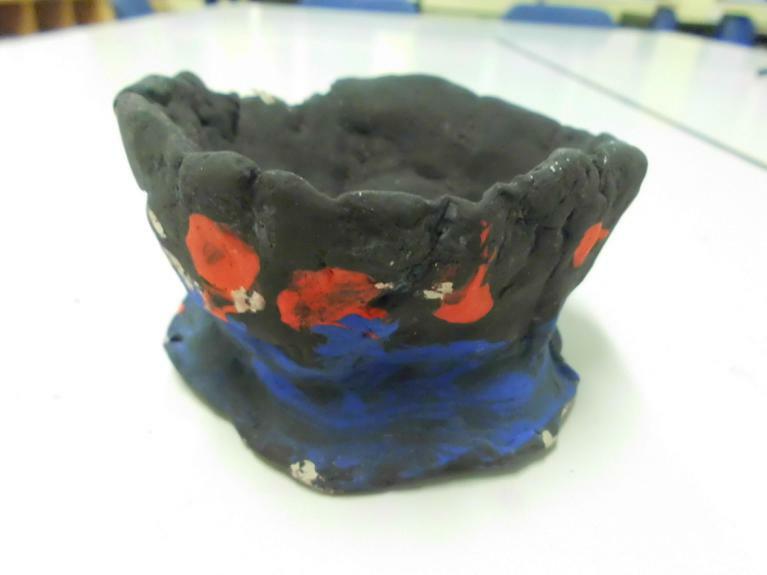 They have designed and decorated their own pots. 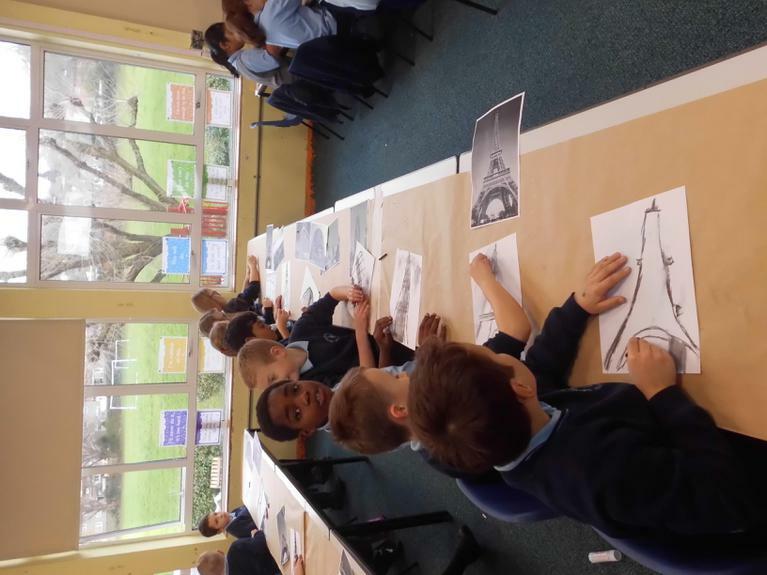 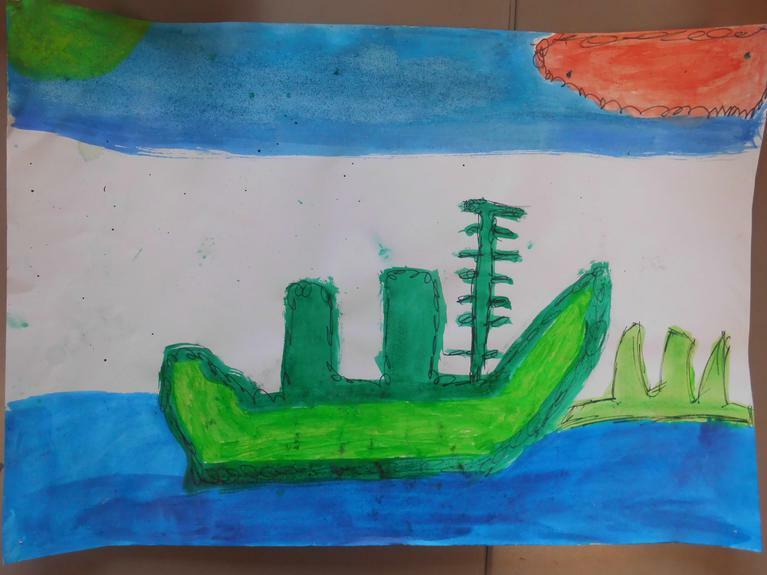 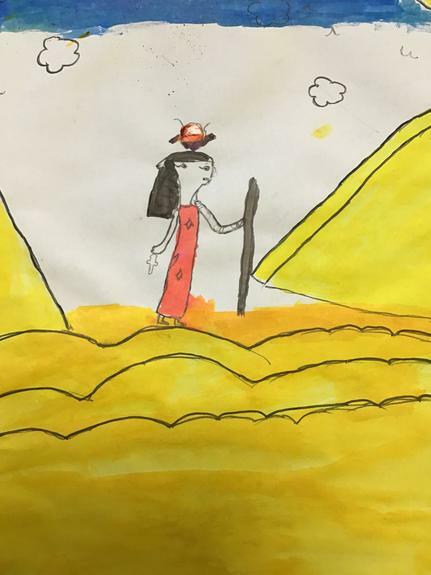 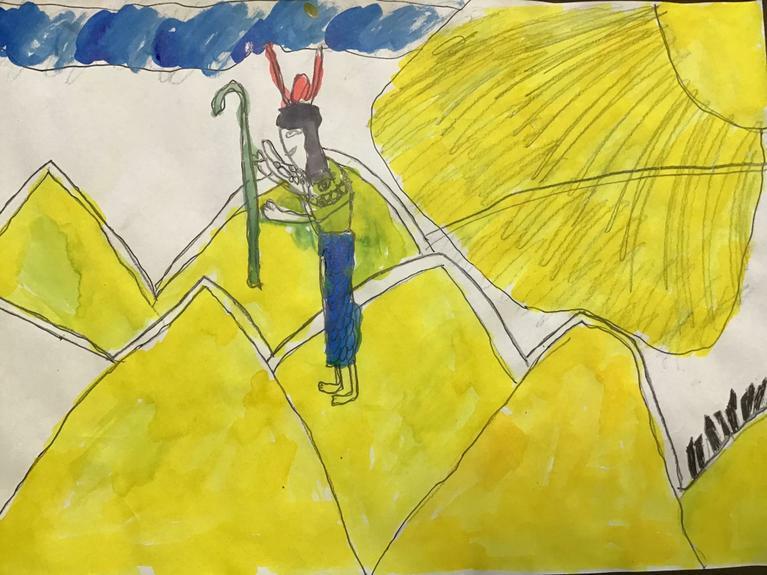 Year 4 have been inspired by the paintings in a book they have been reading. 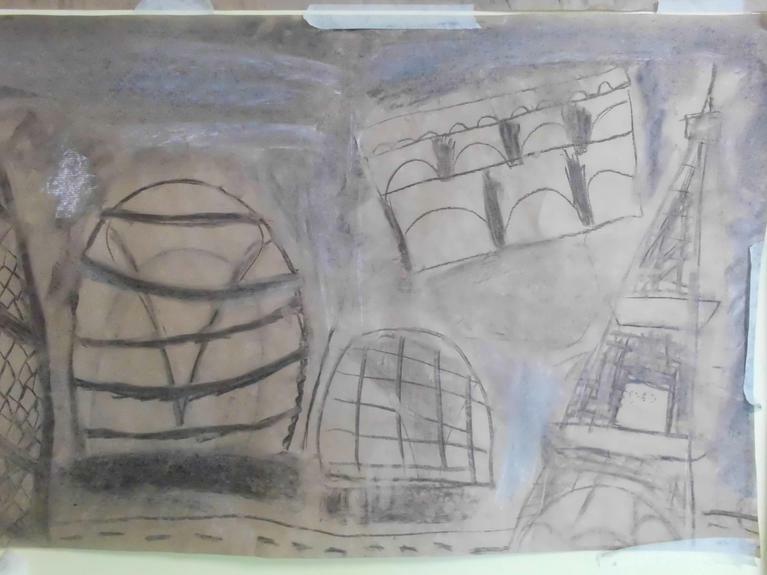 Do you know which book it is? 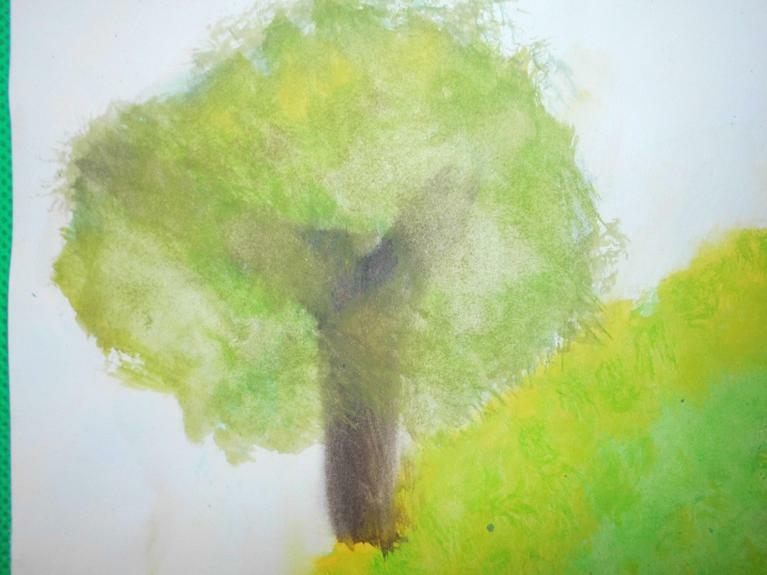 They have used inks and fineliner. 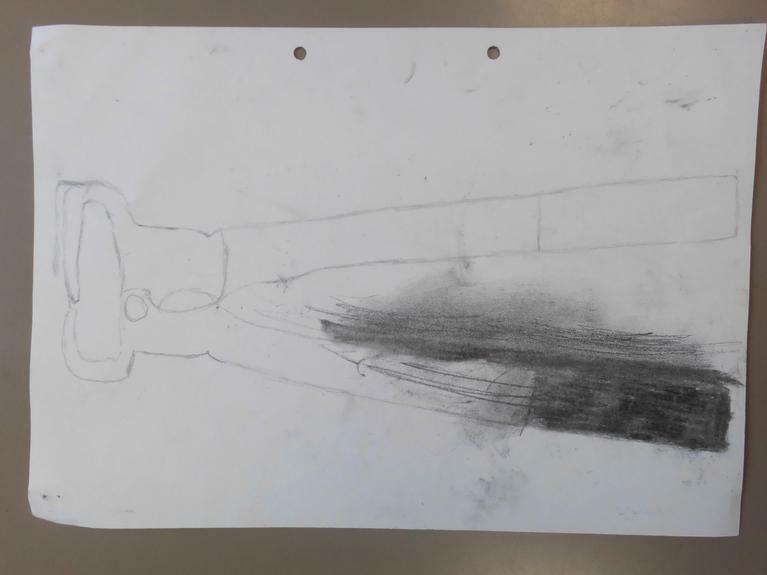 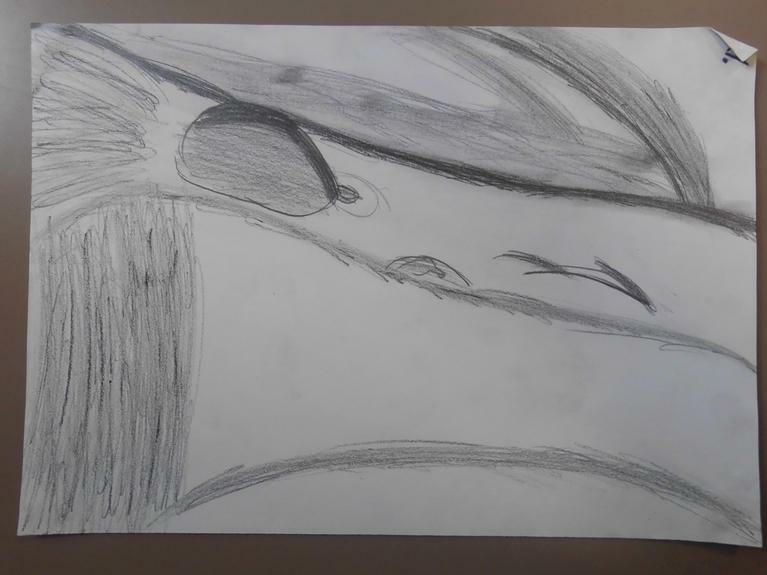 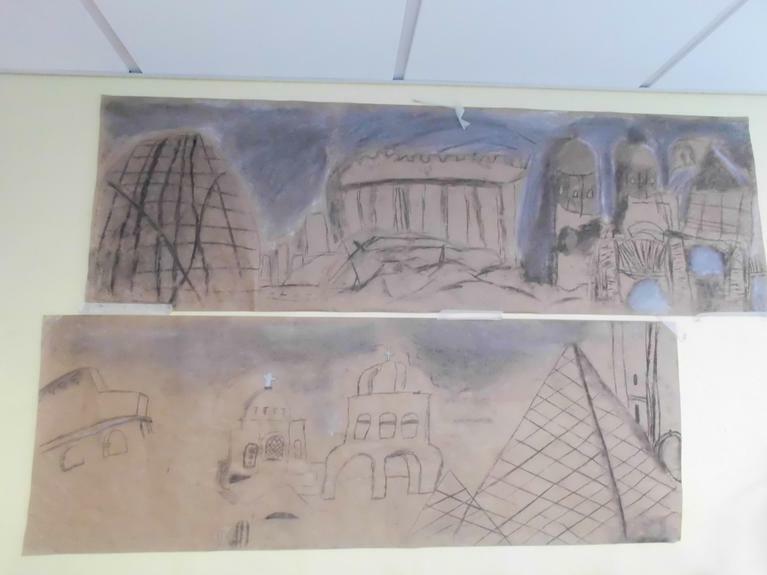 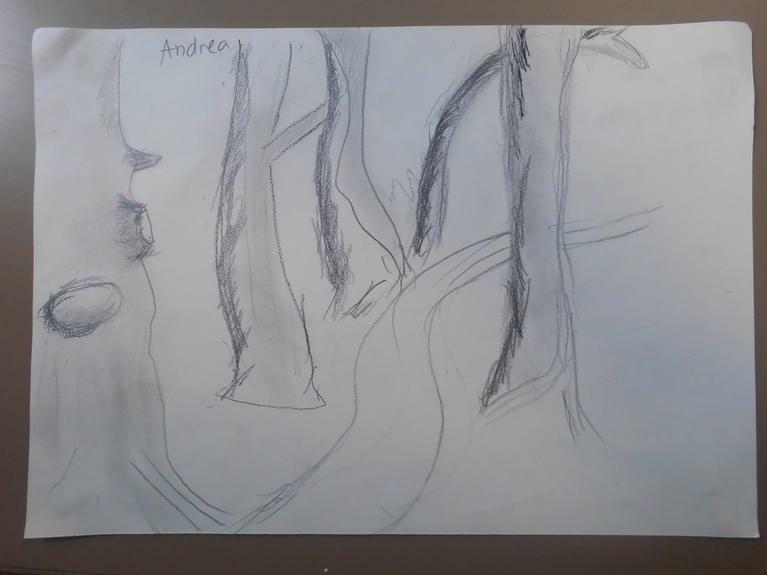 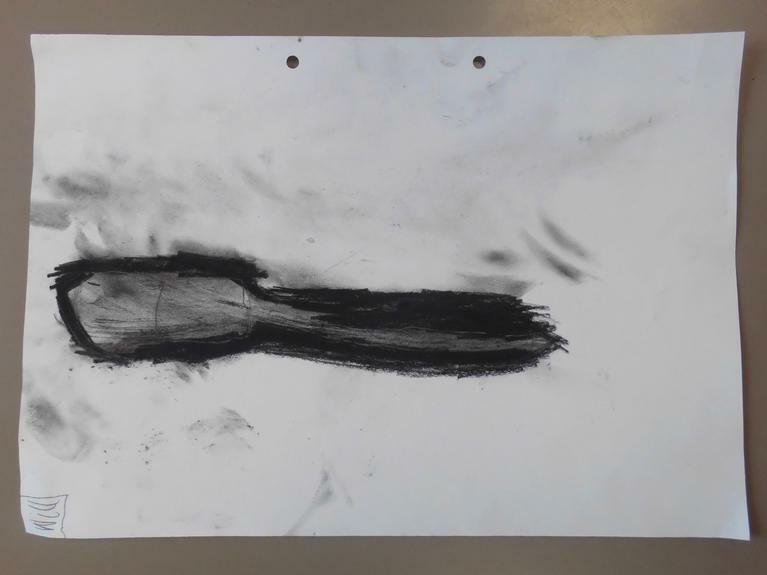 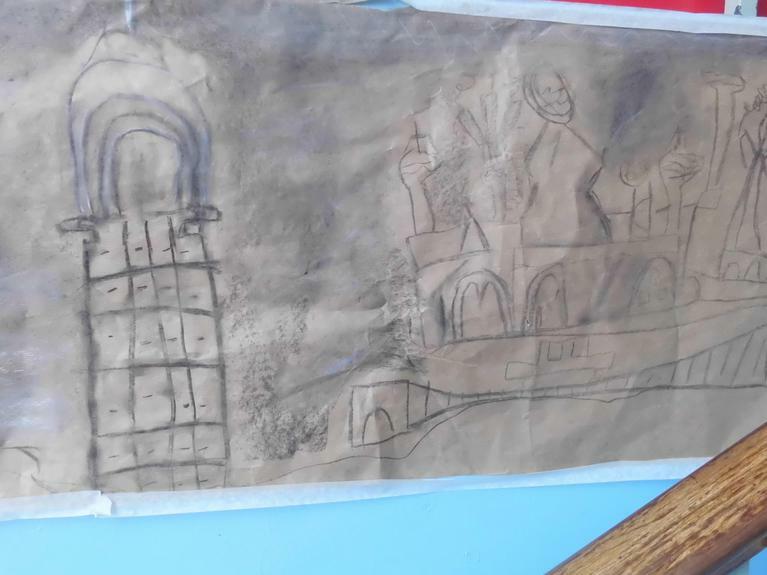 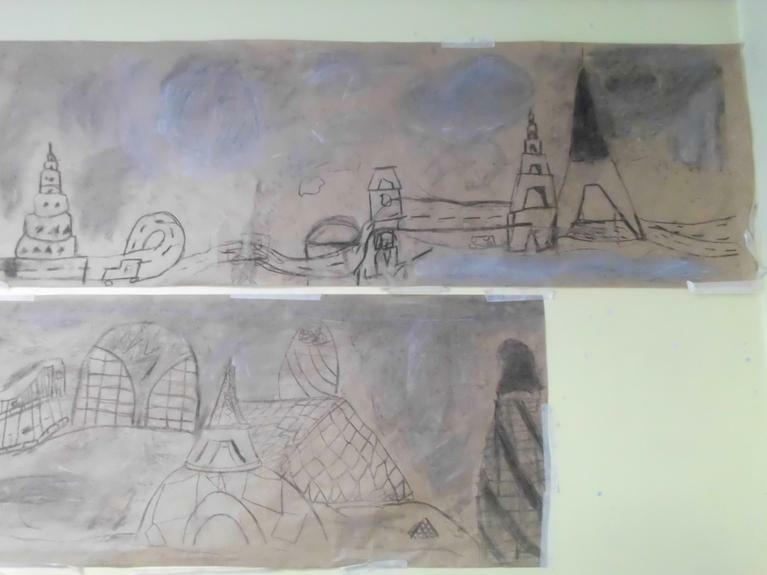 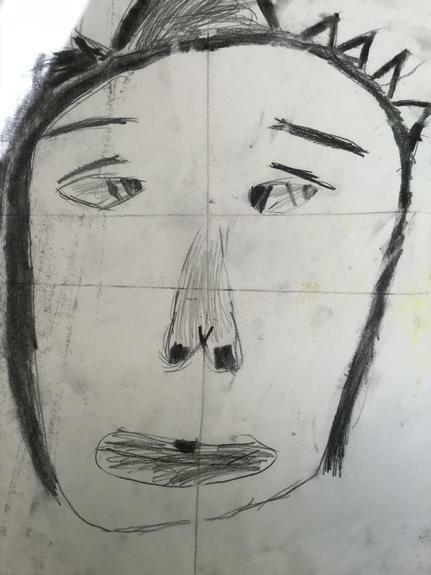 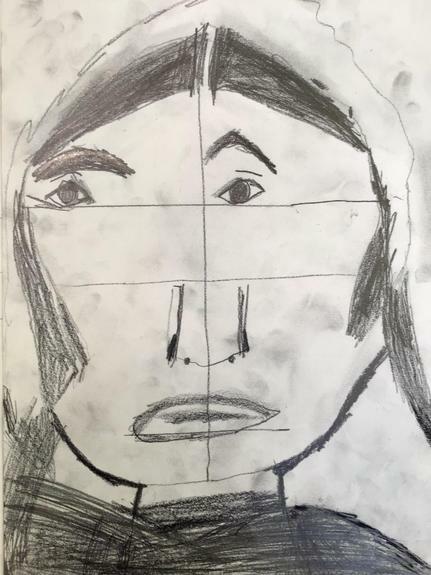 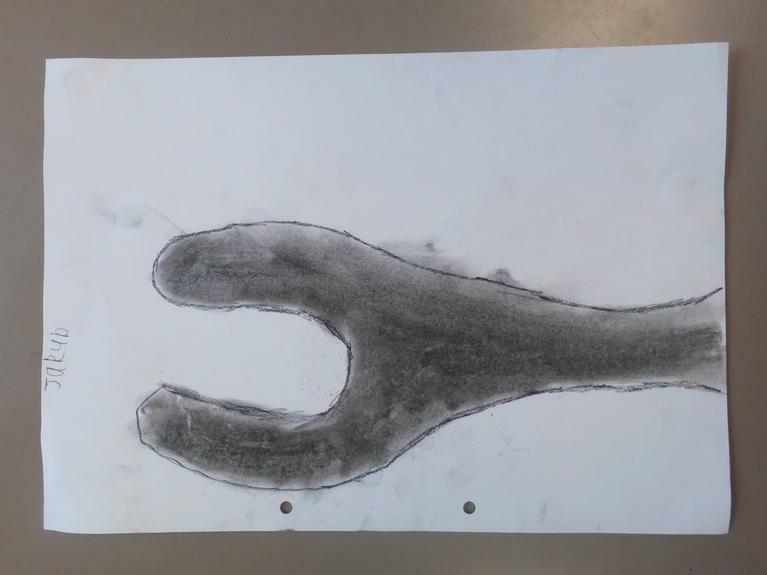 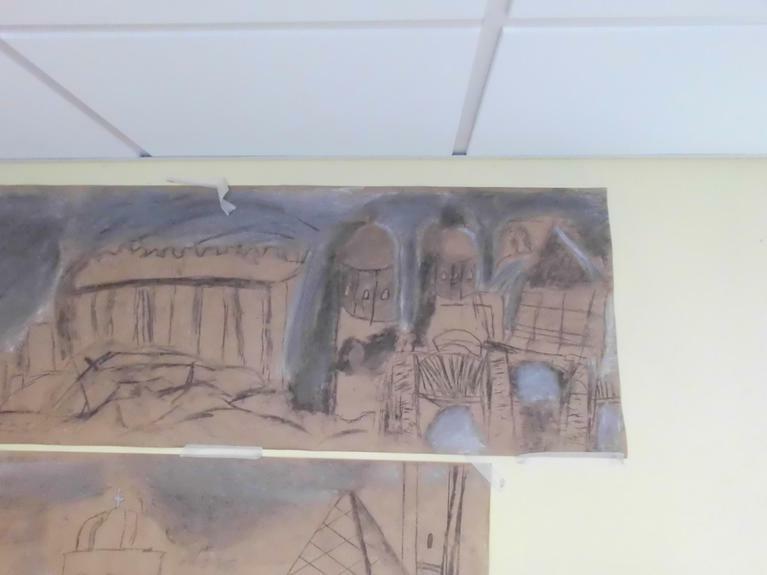 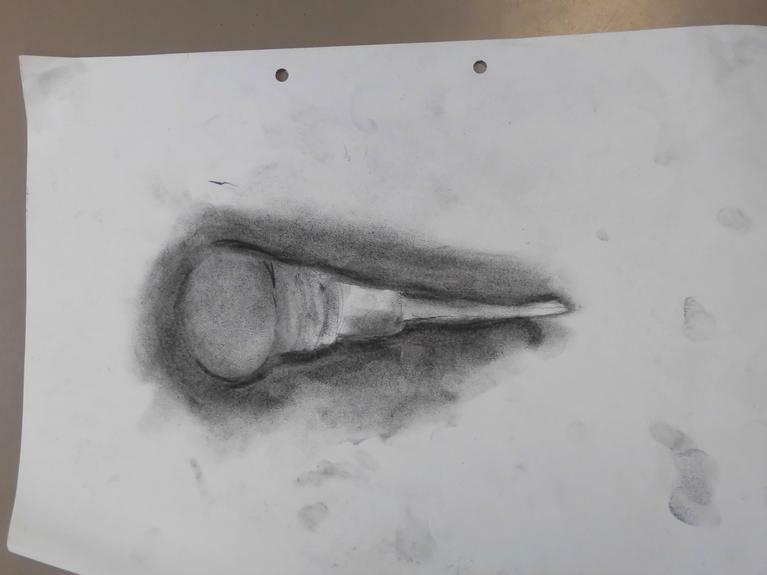 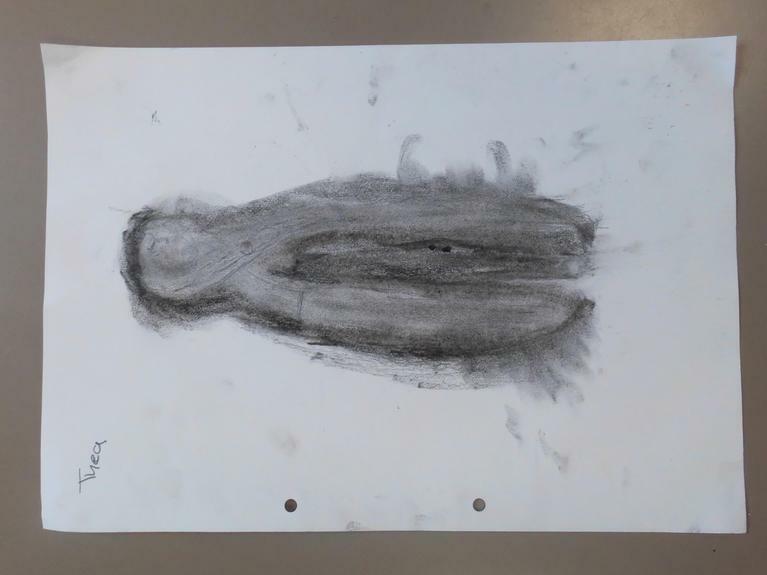 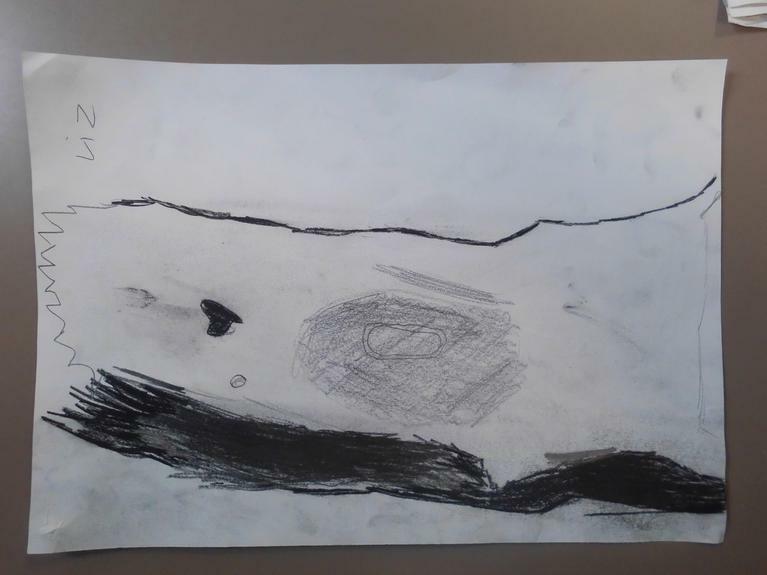 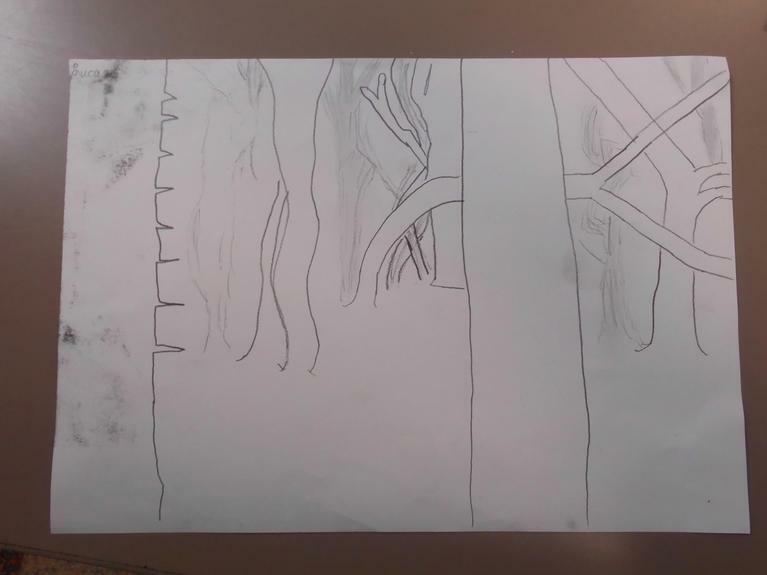 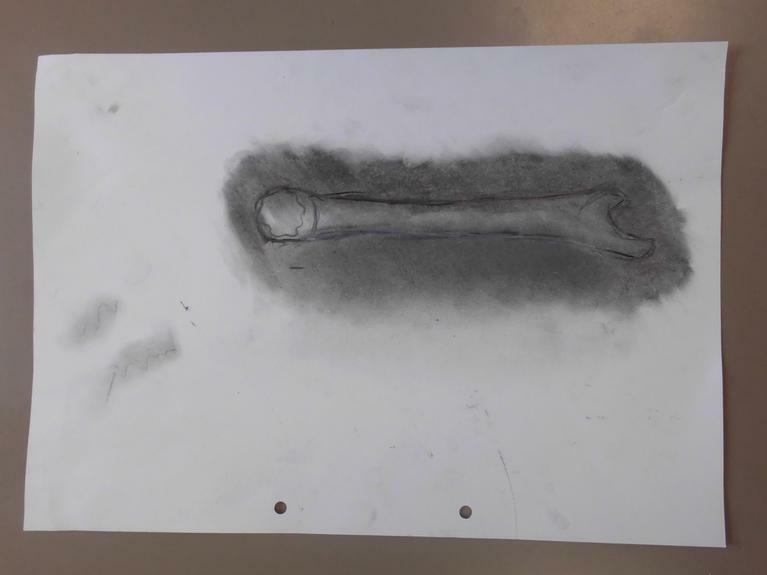 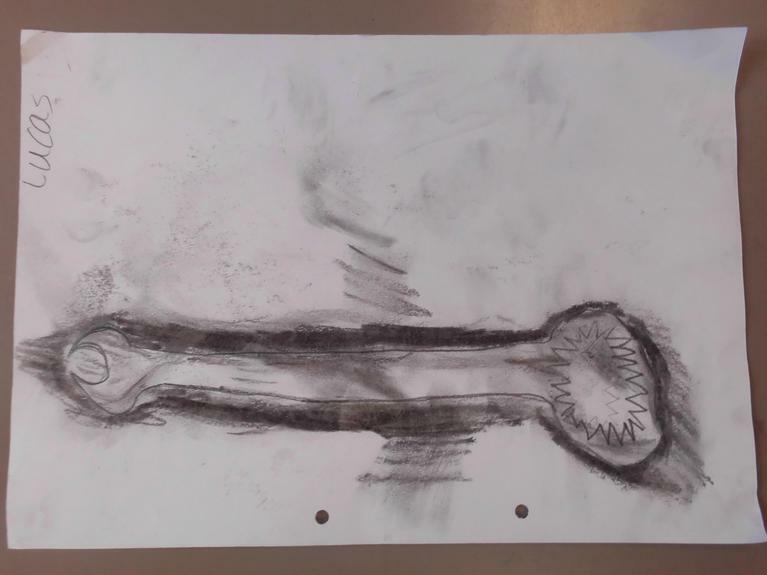 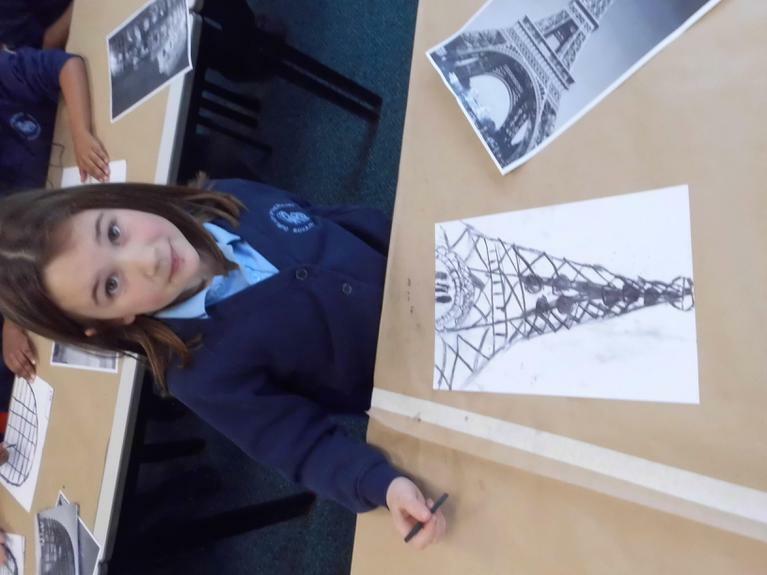 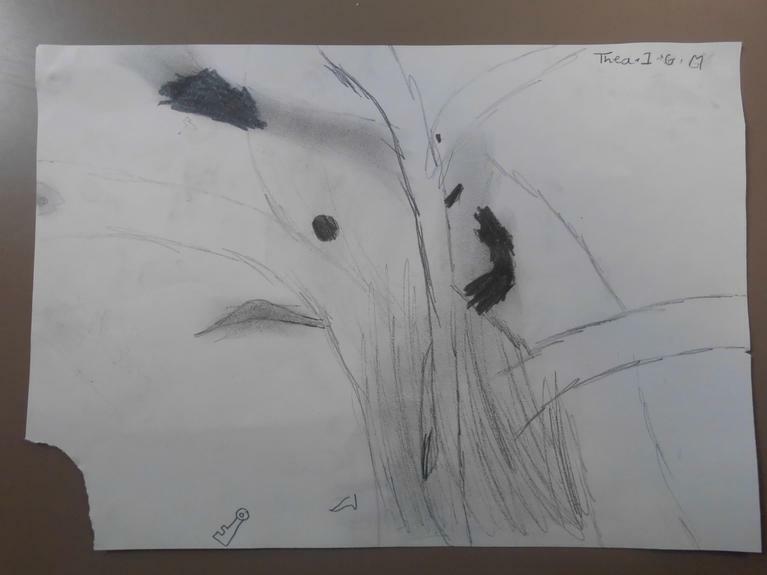 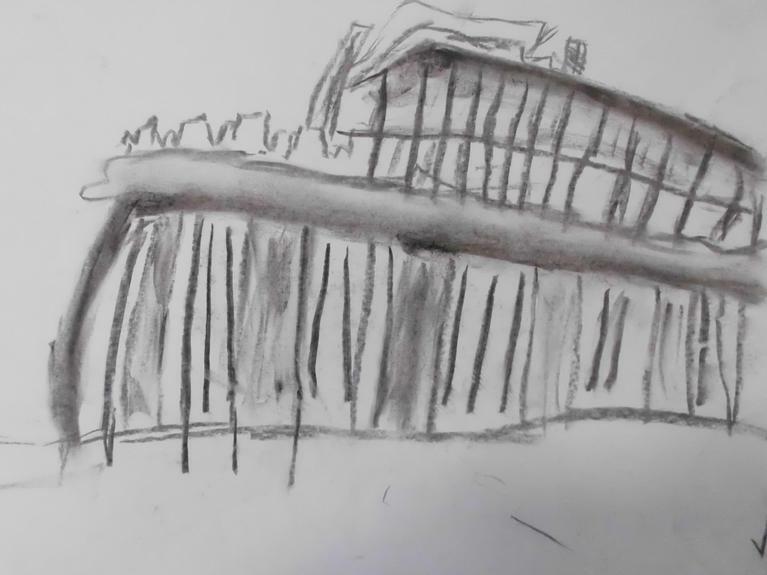 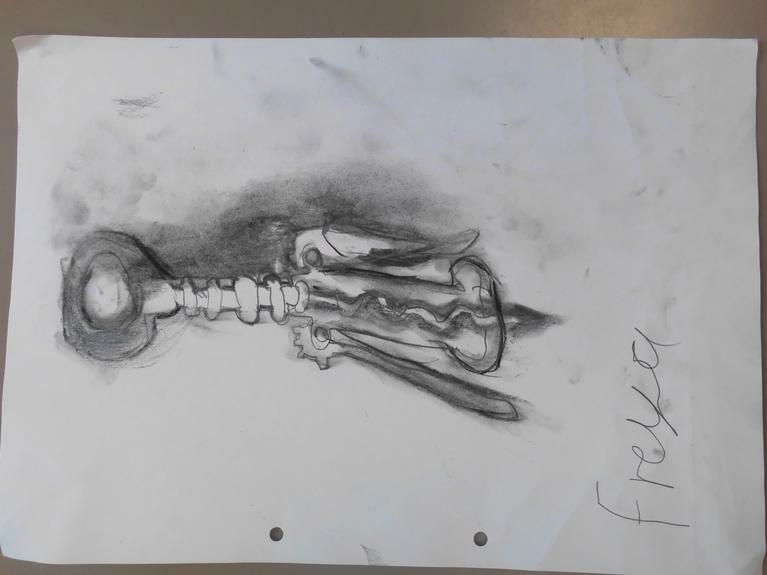 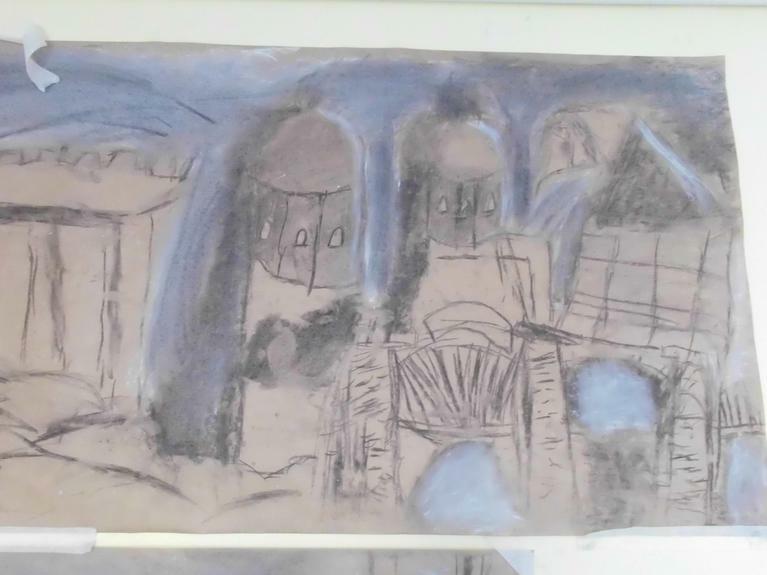 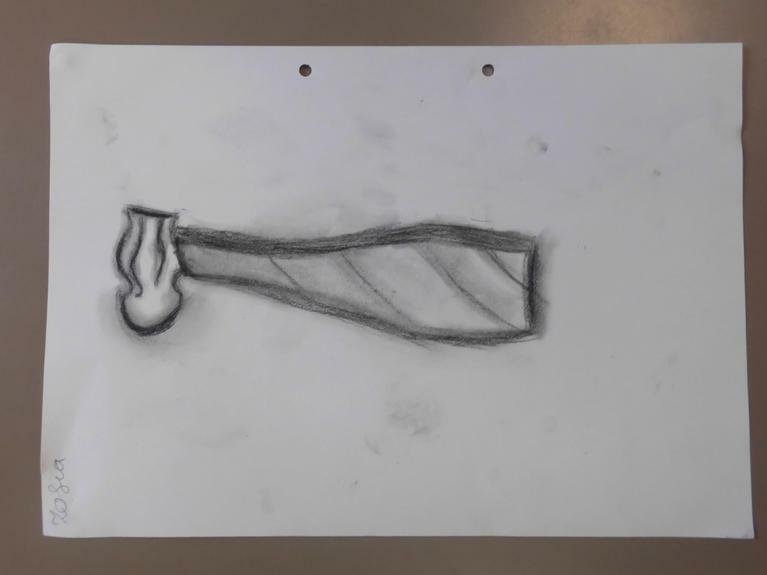 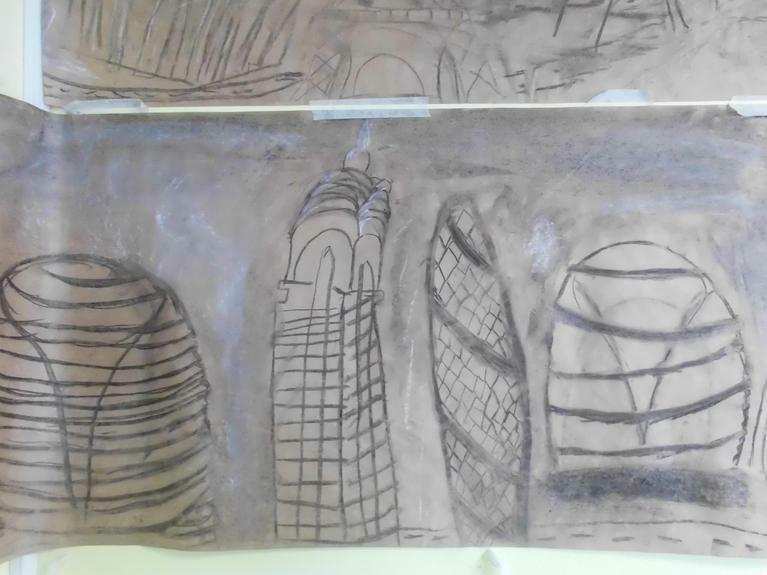 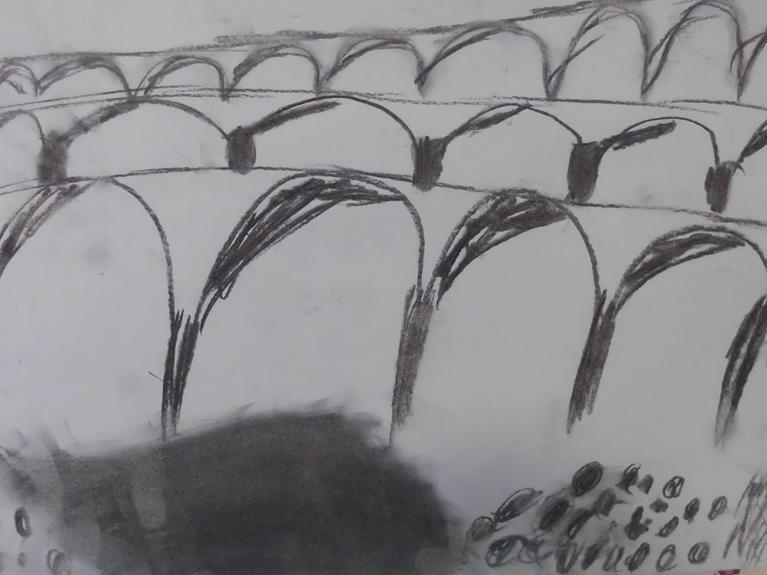 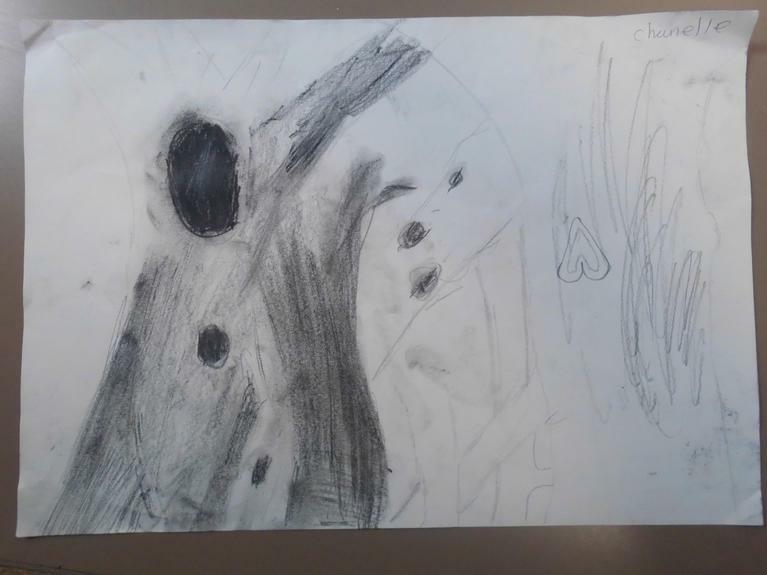 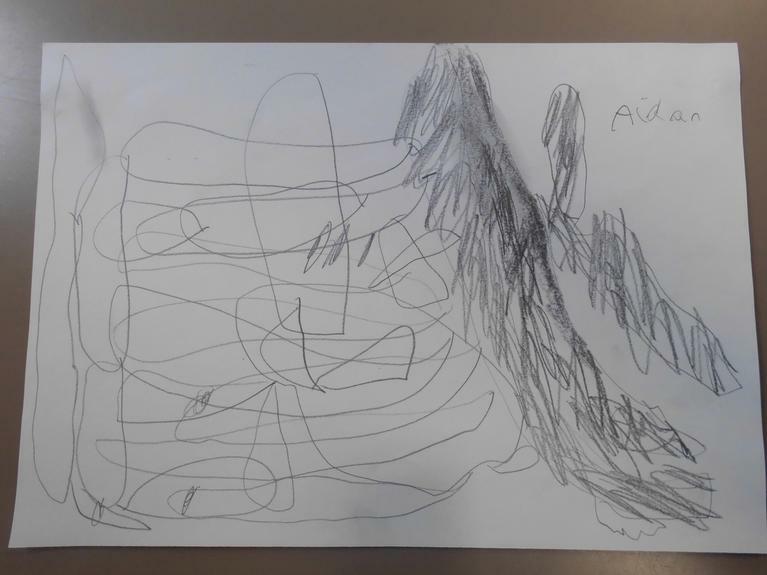 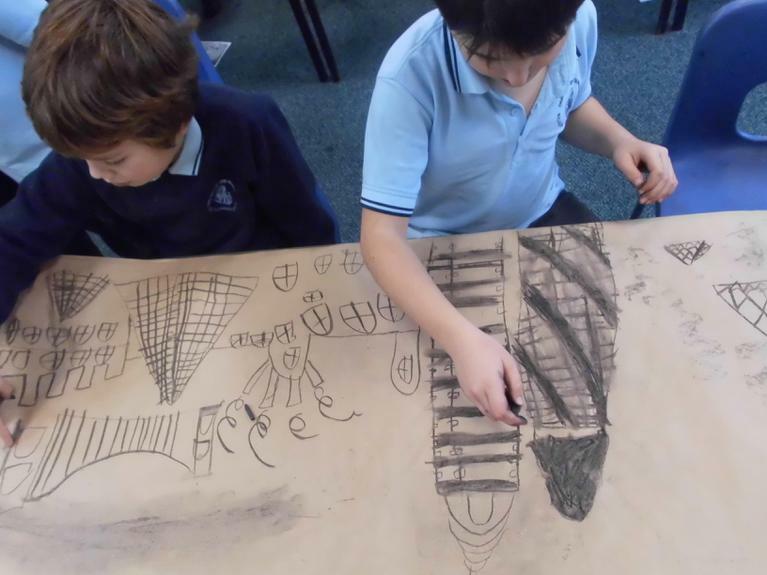 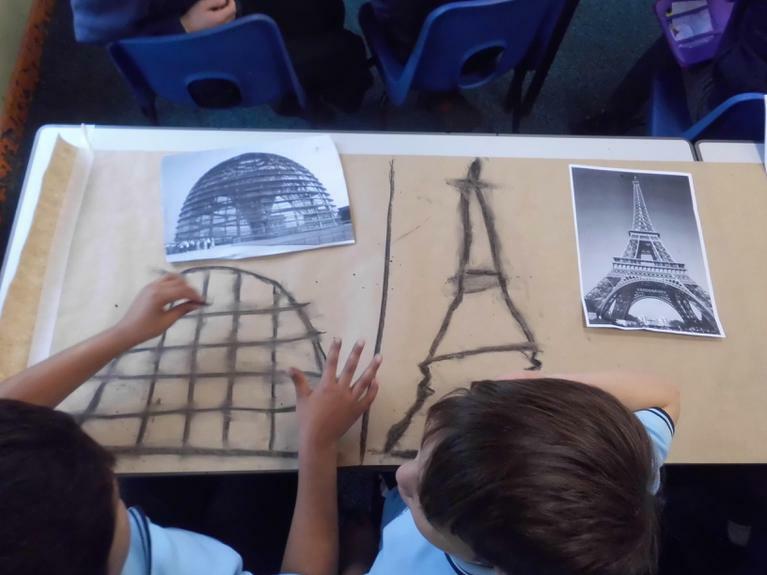 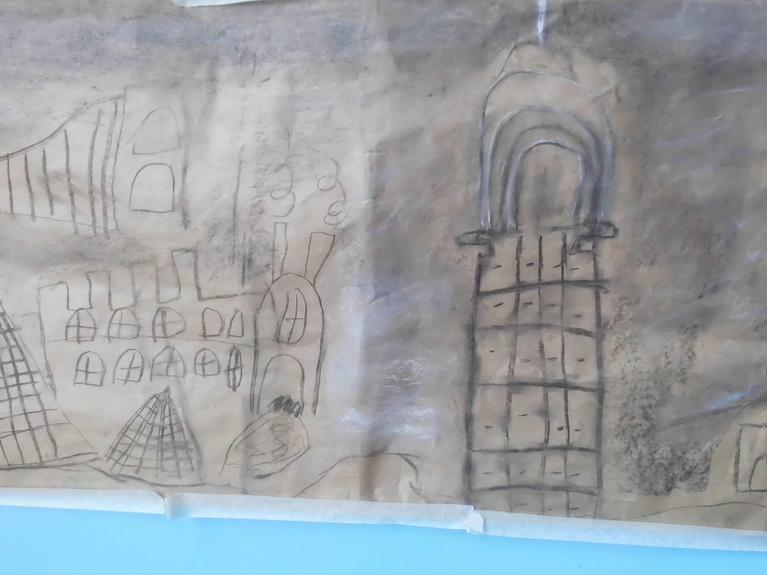 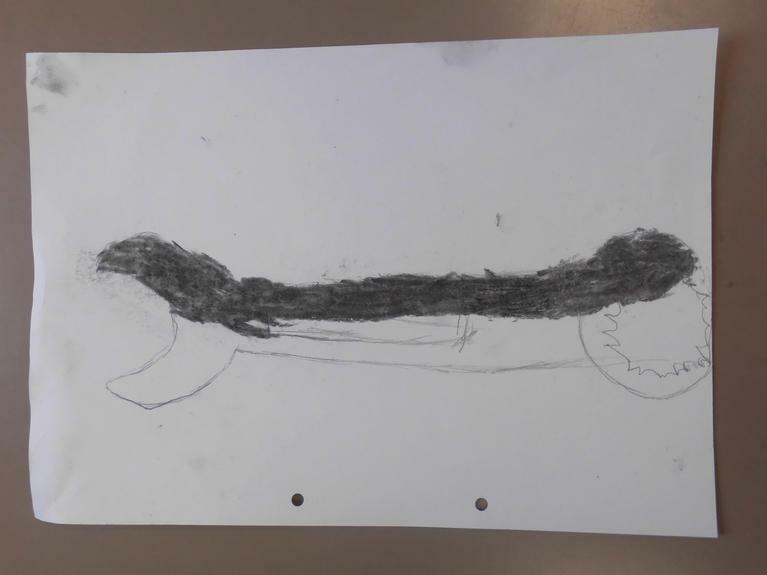 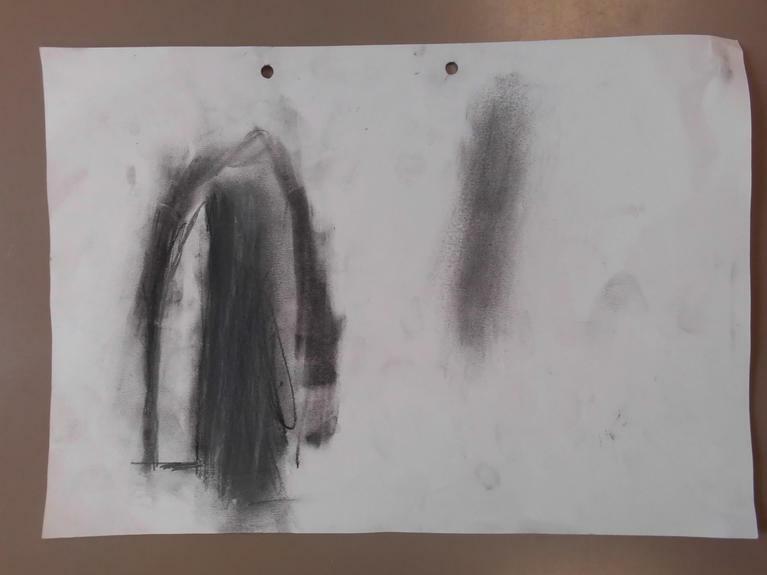 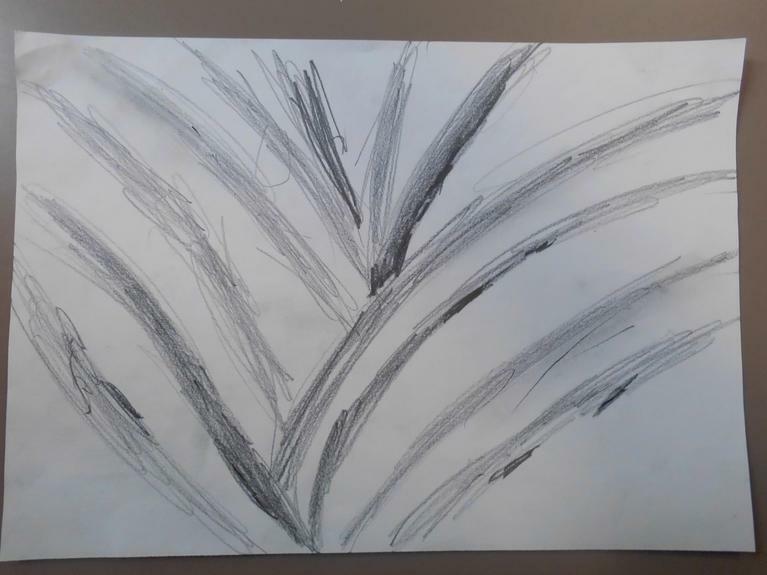 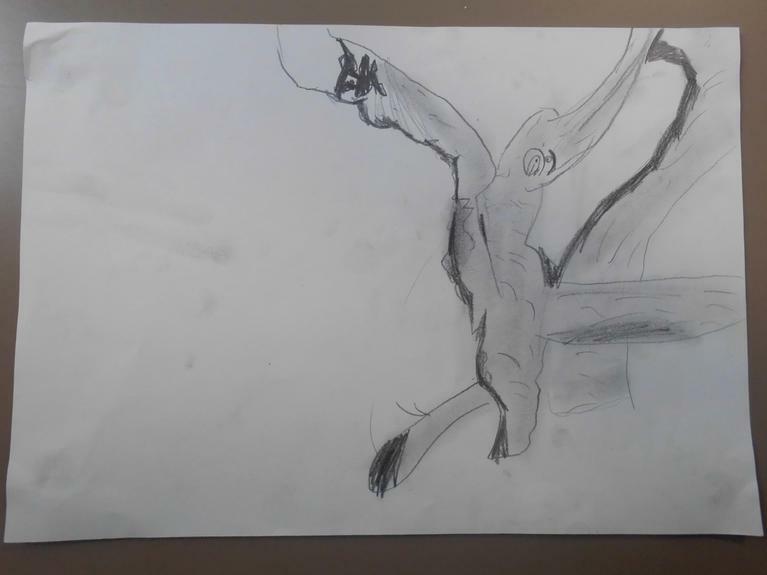 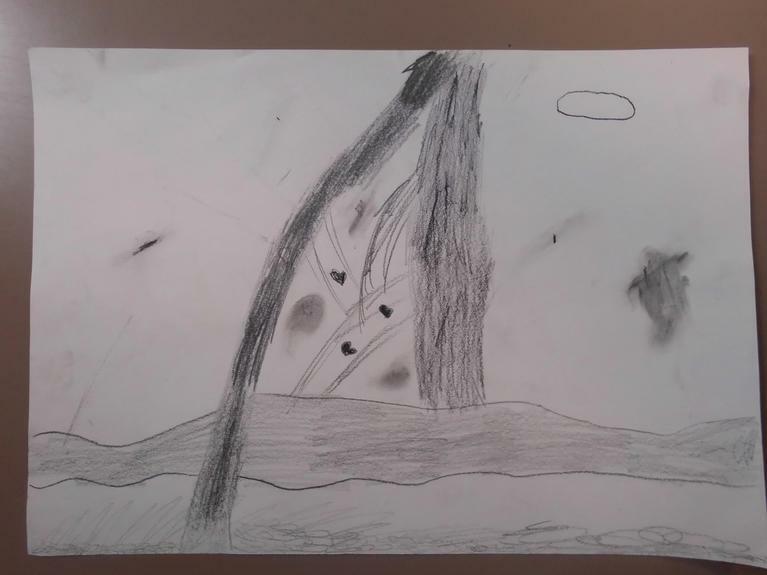 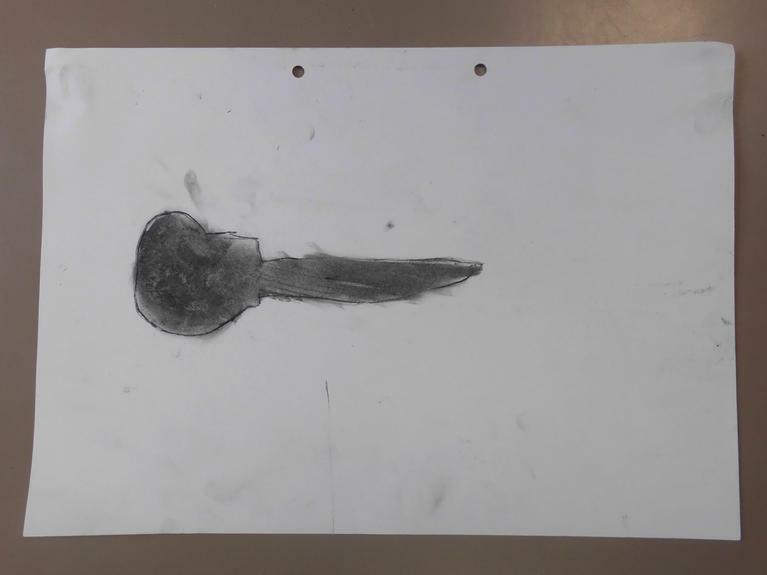 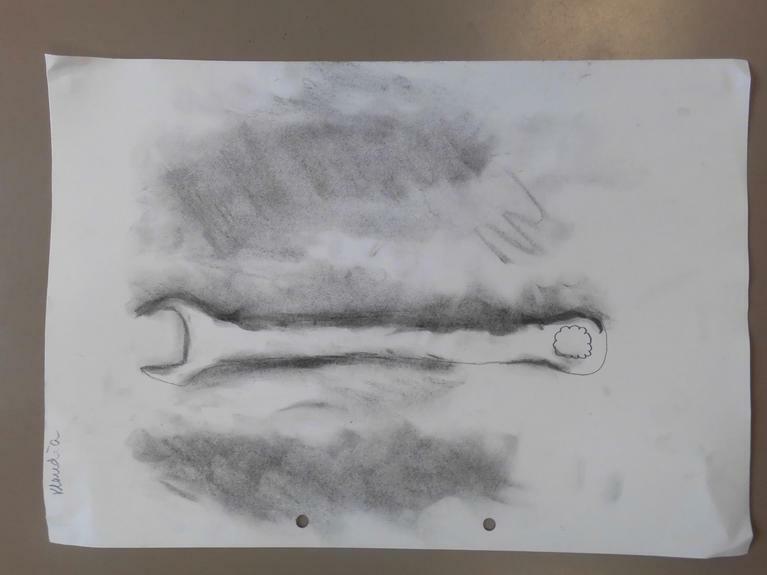 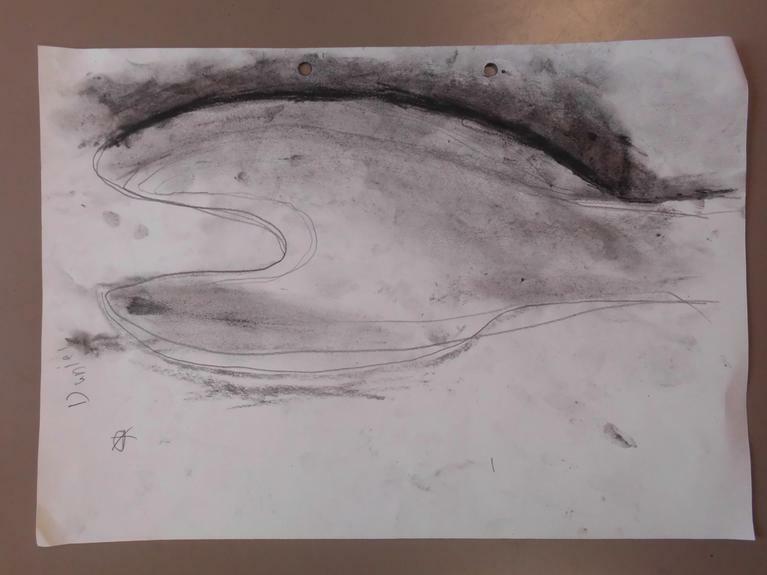 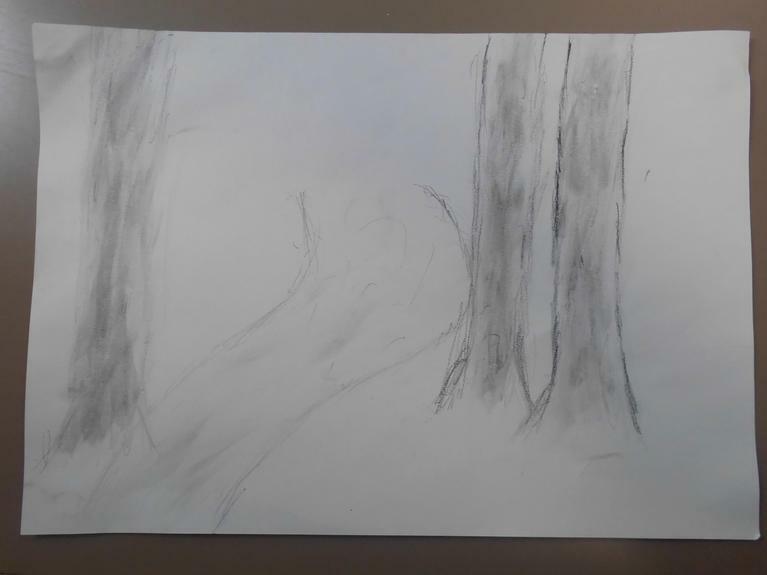 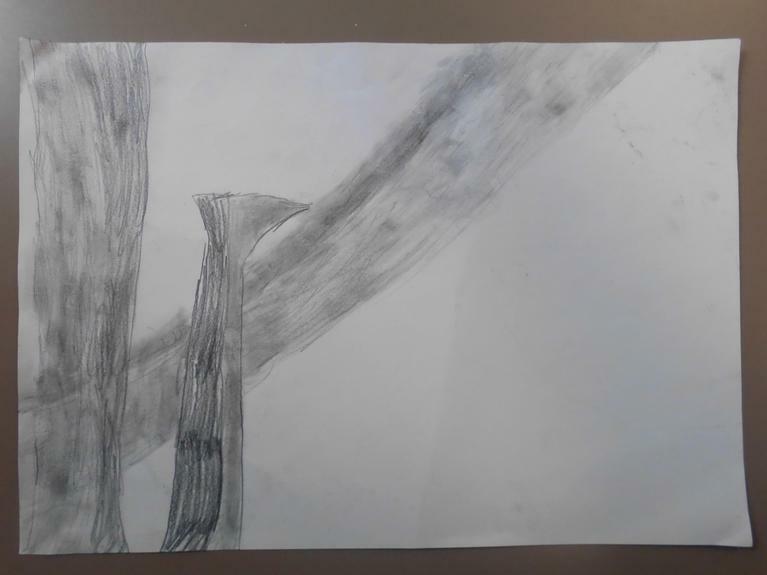 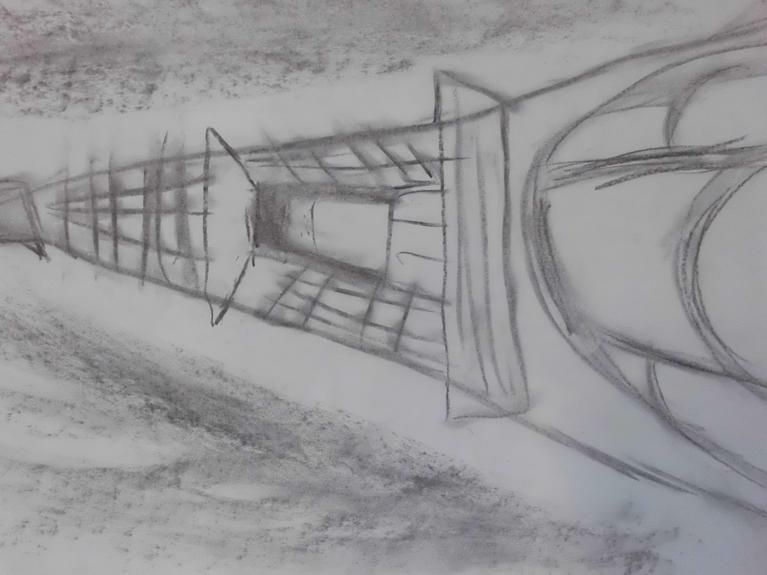 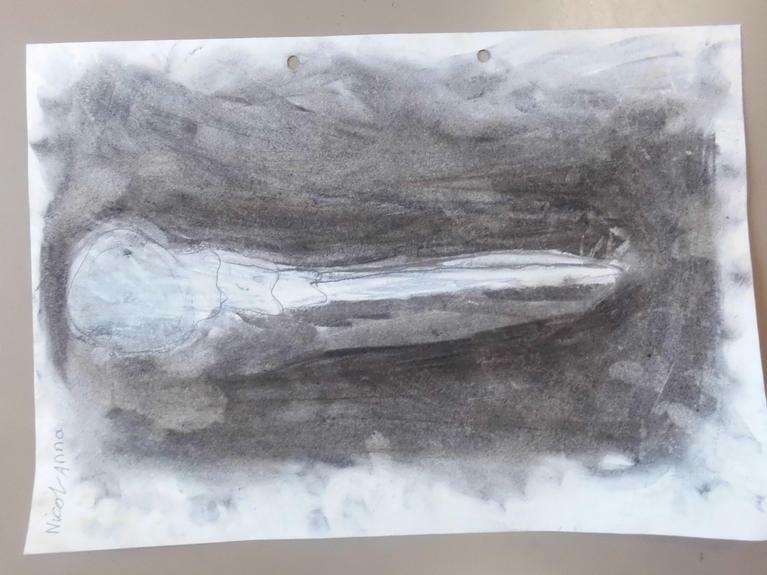 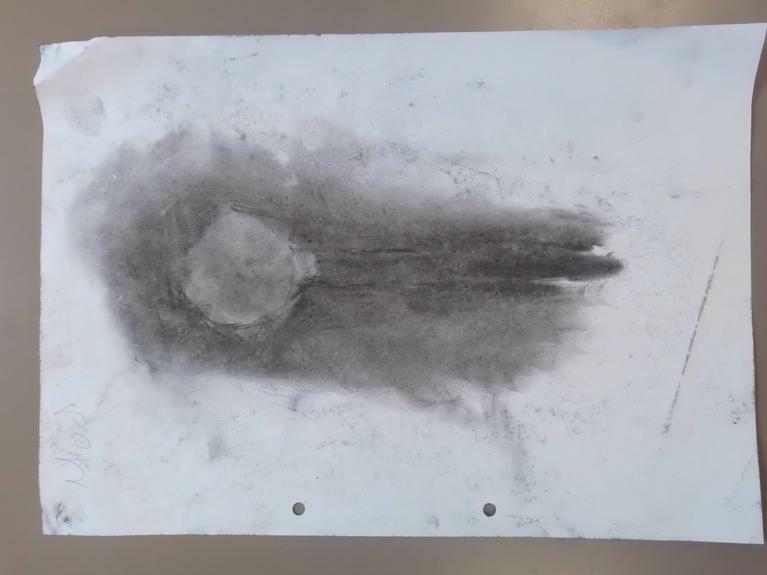 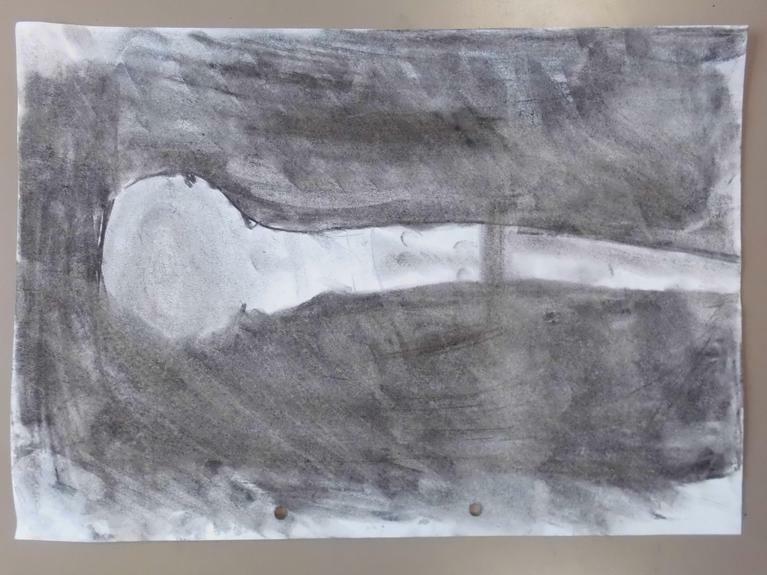 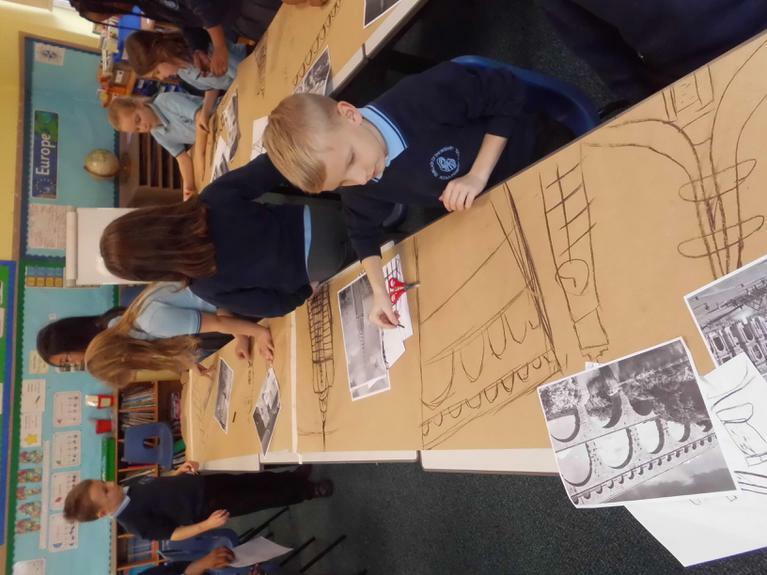 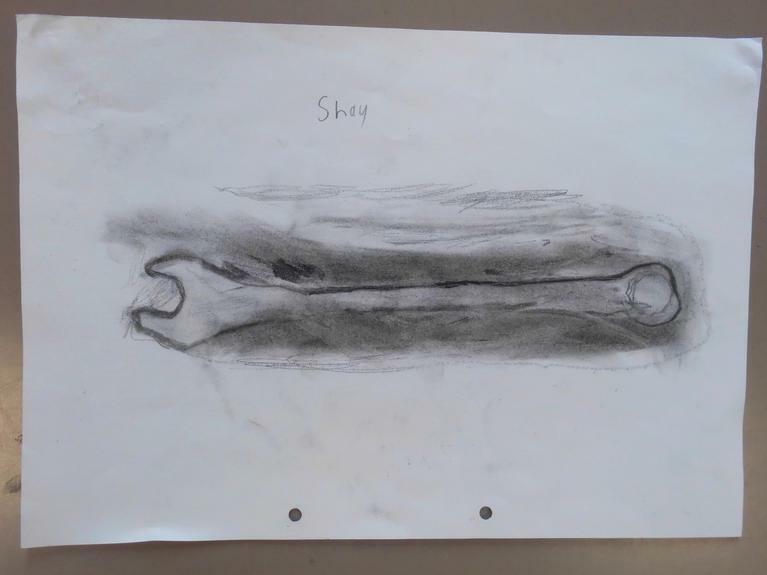 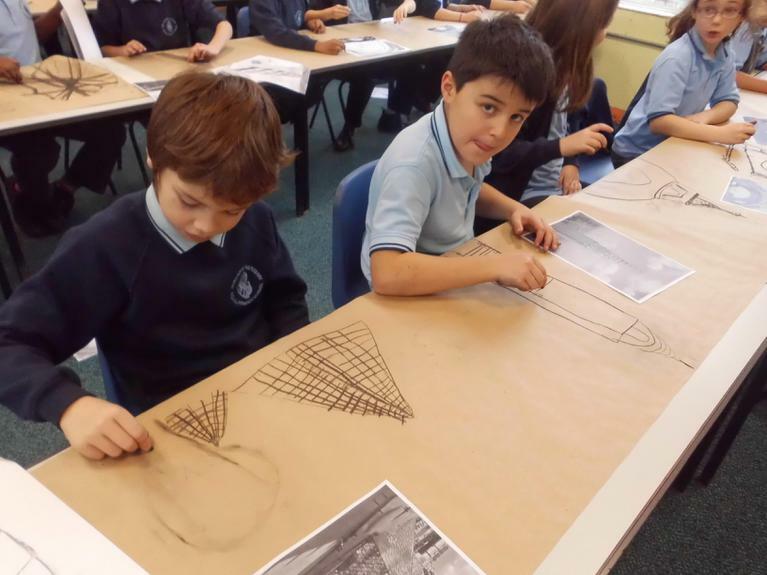 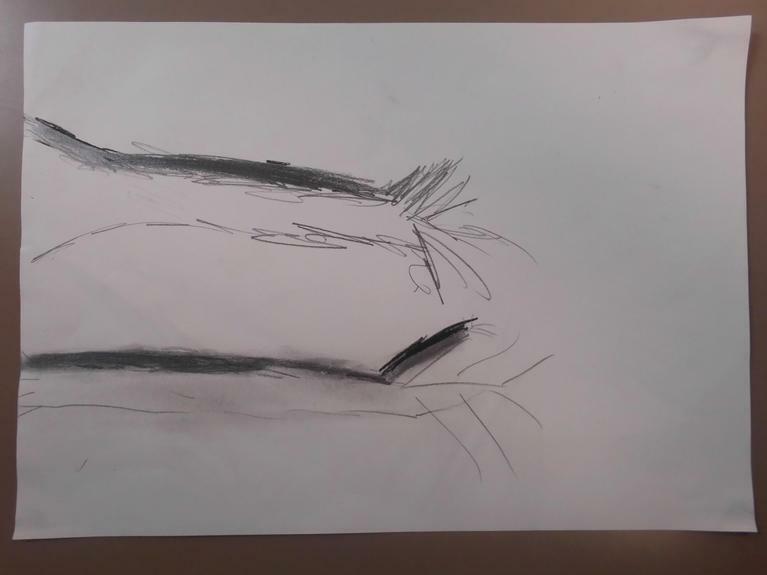 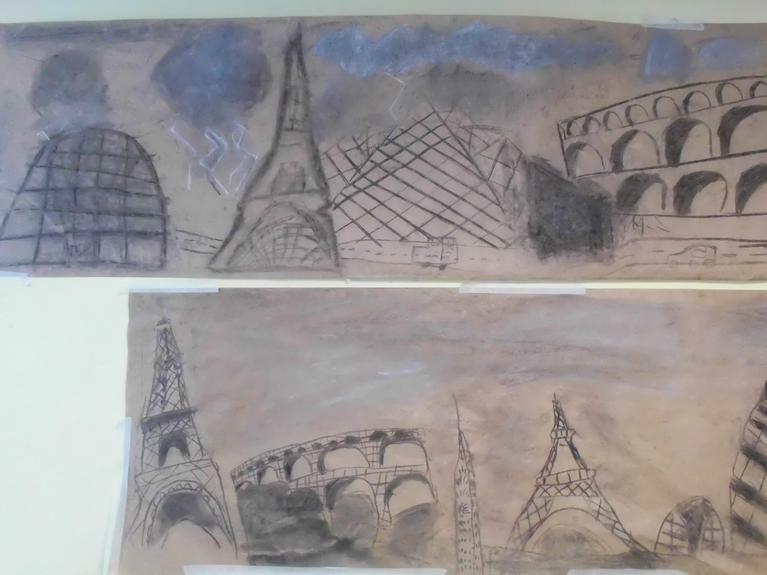 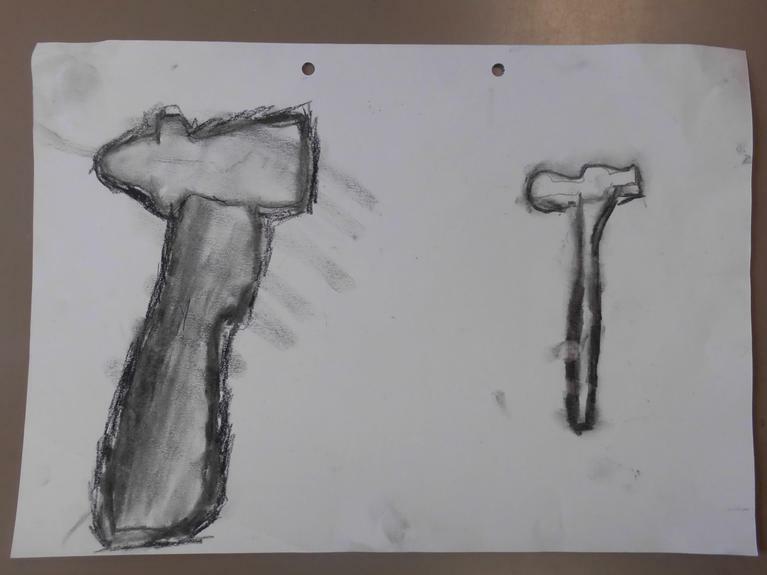 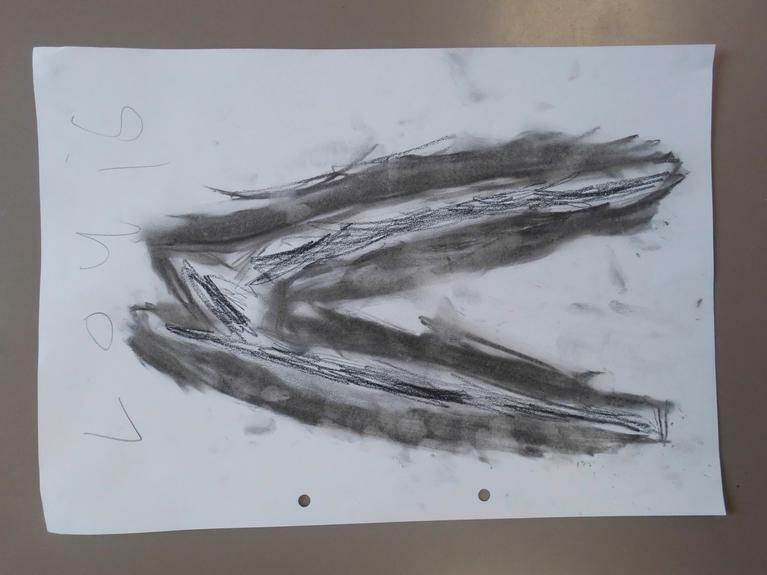 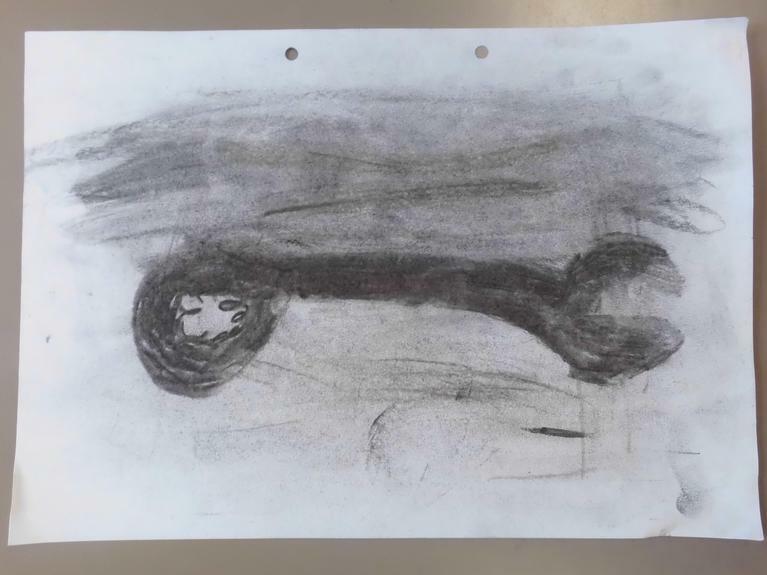 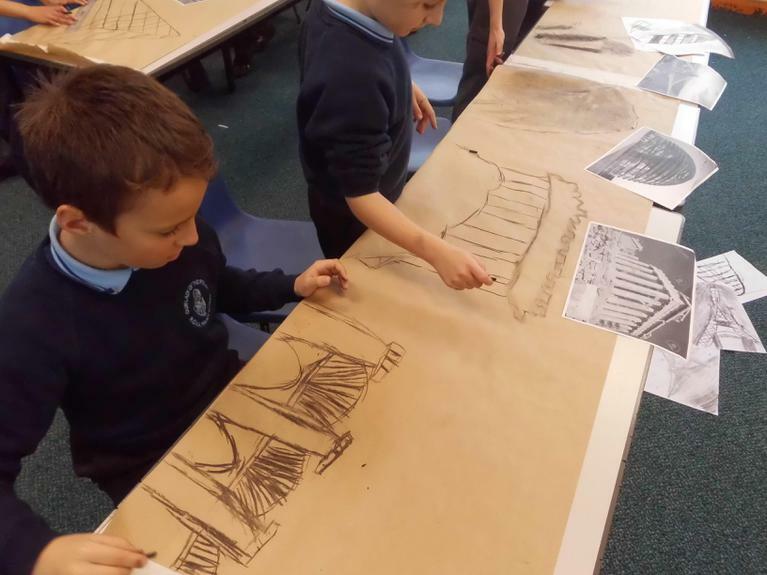 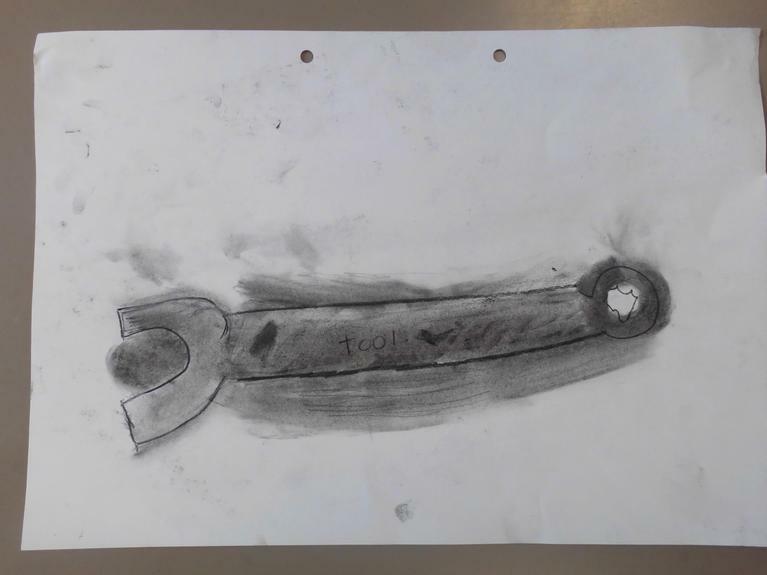 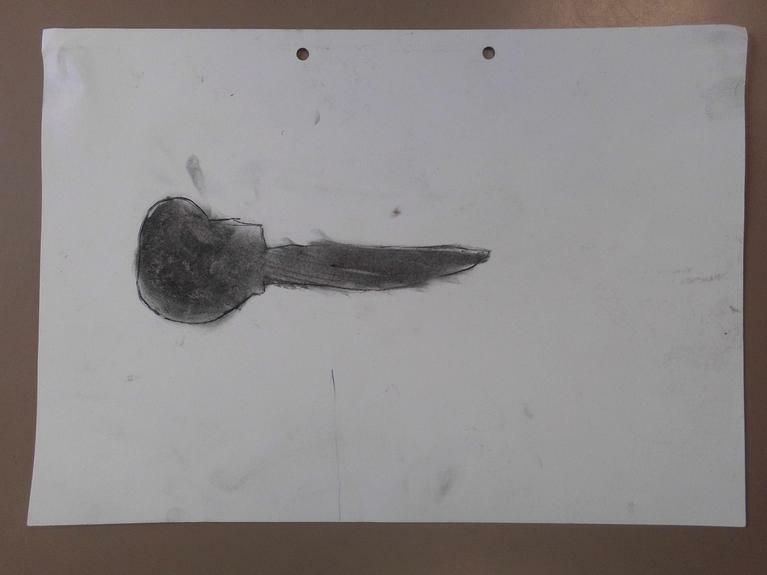 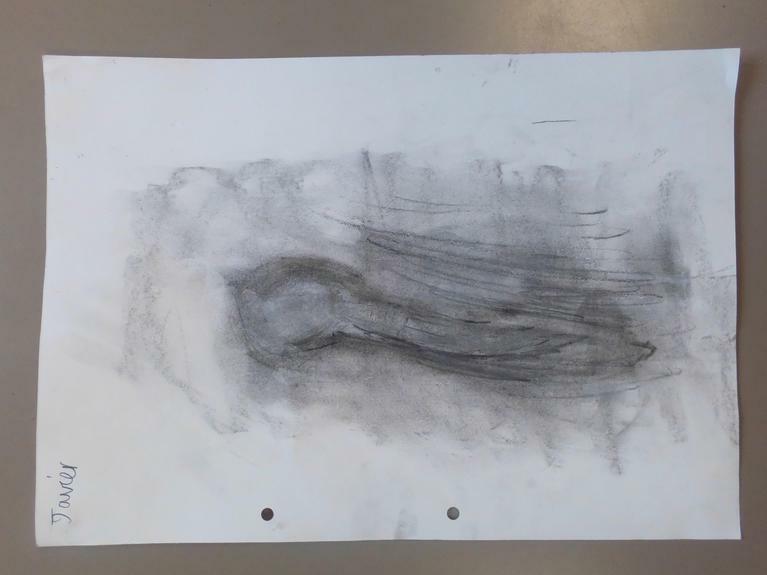 Year 4 have been developing their drawing skills using charcoal. 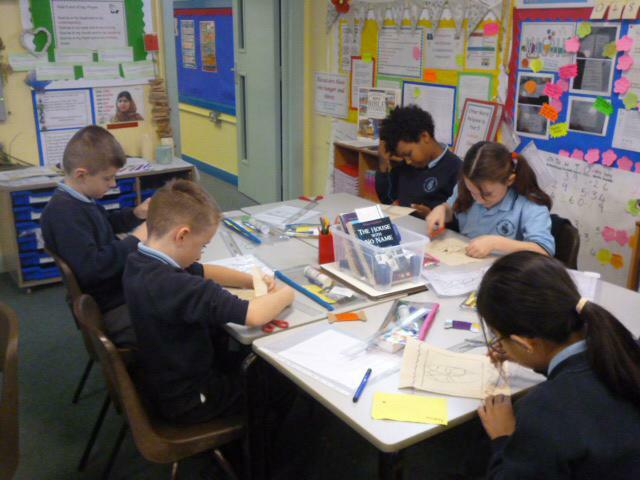 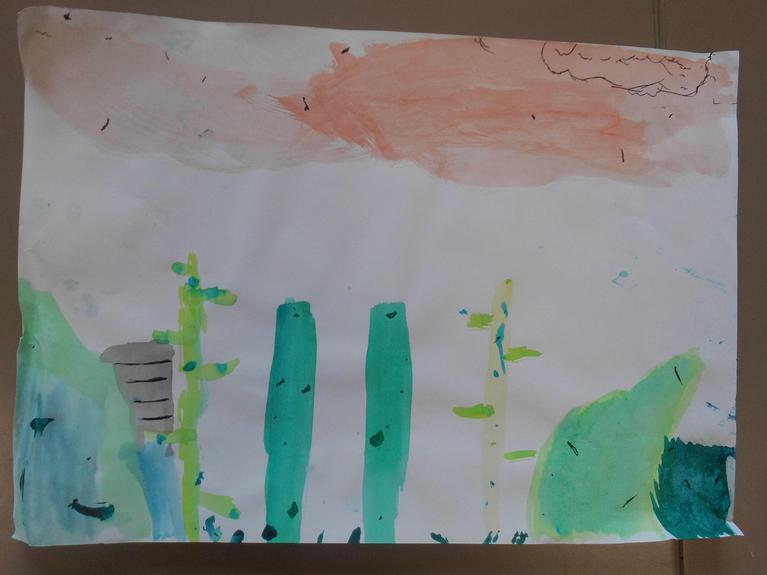 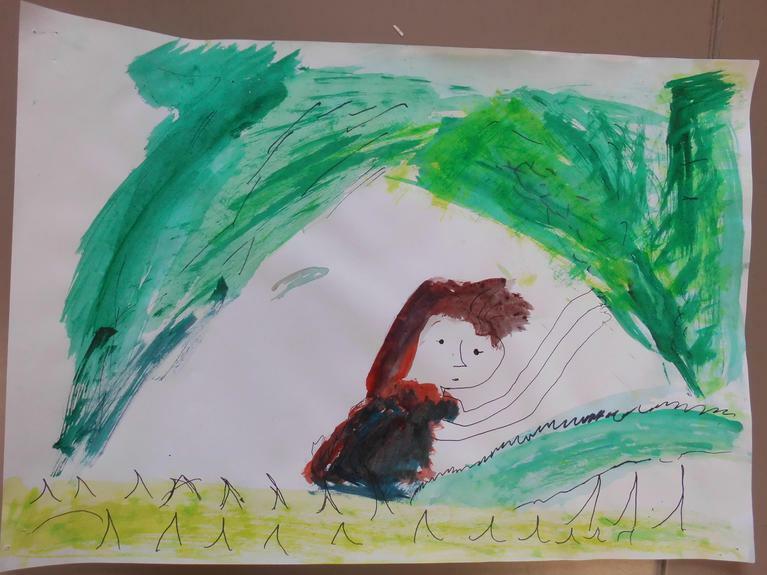 Year 4 have been inspired by the illustrations from a book they have been reading. 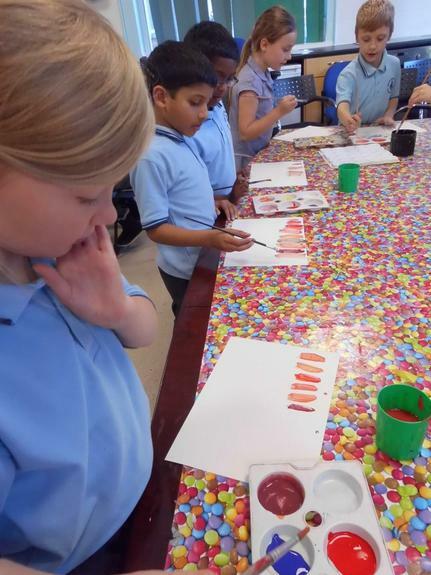 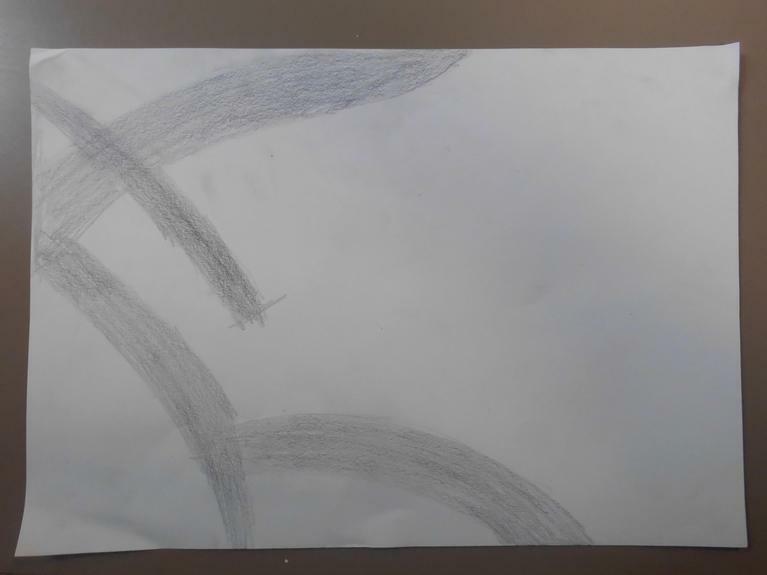 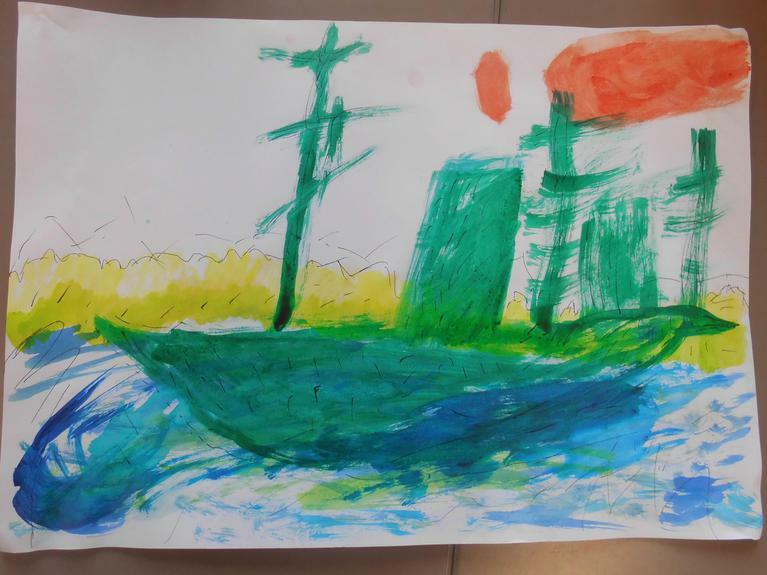 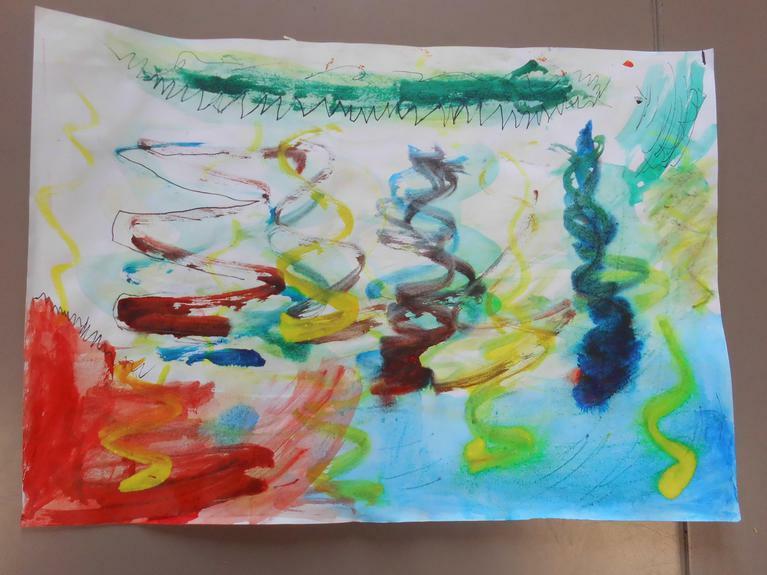 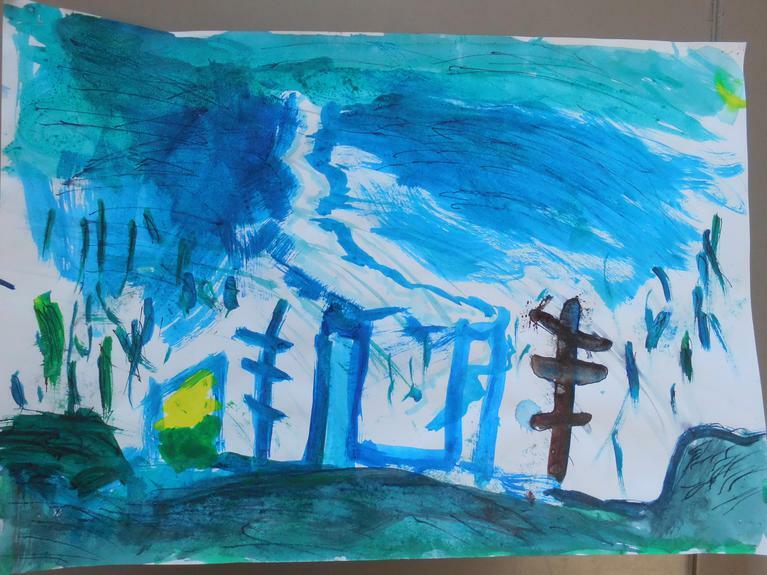 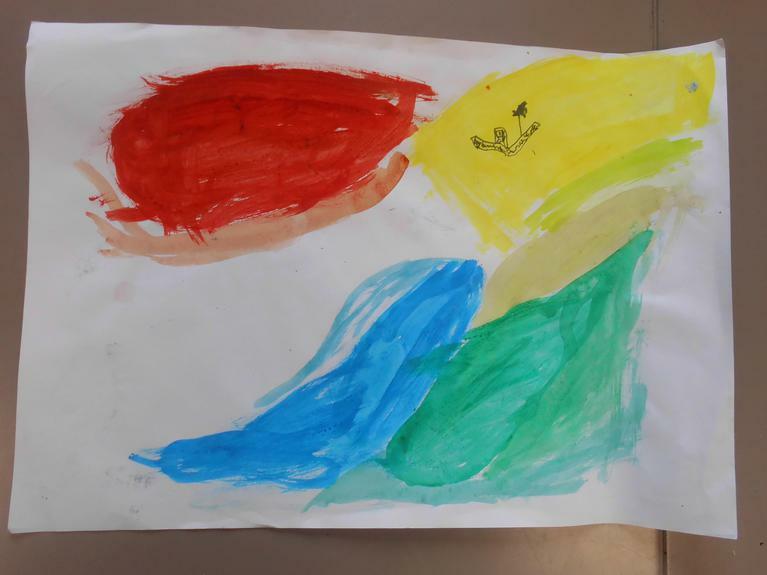 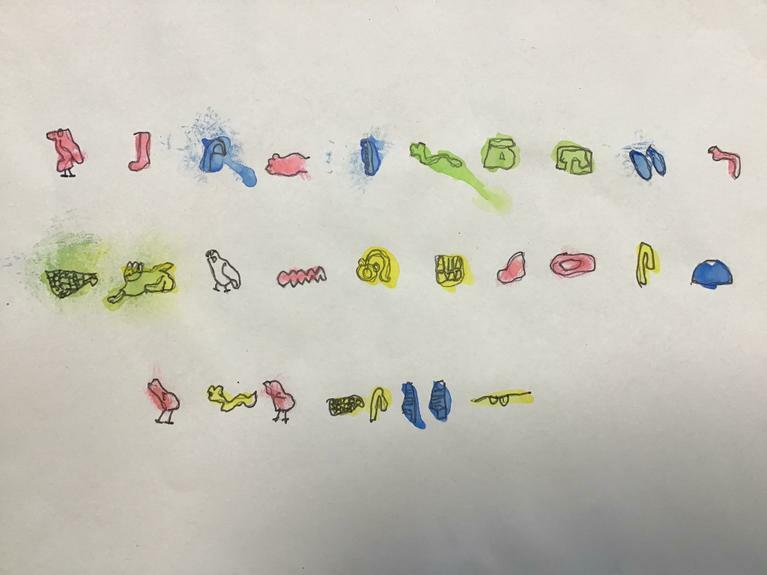 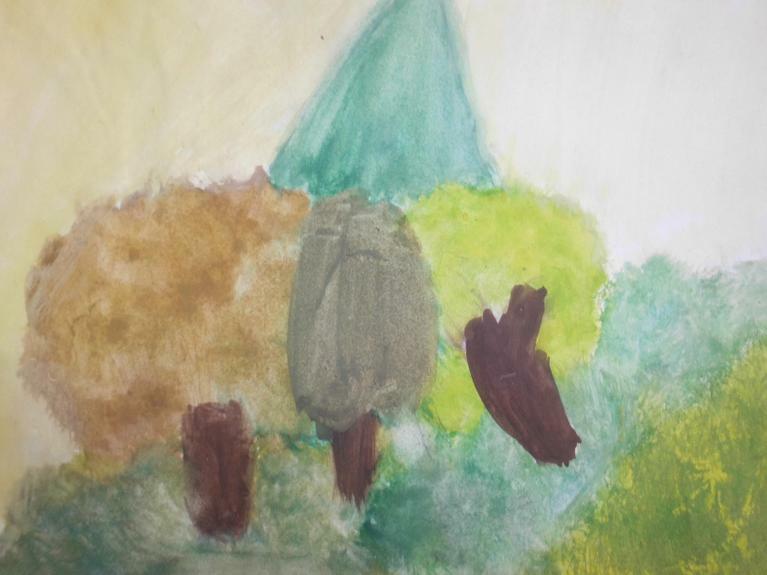 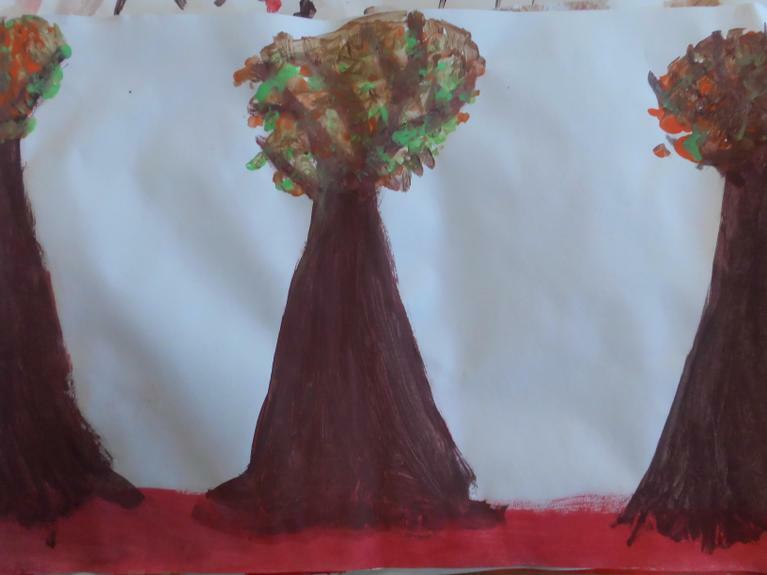 They have used a range of pencils to create different tones.